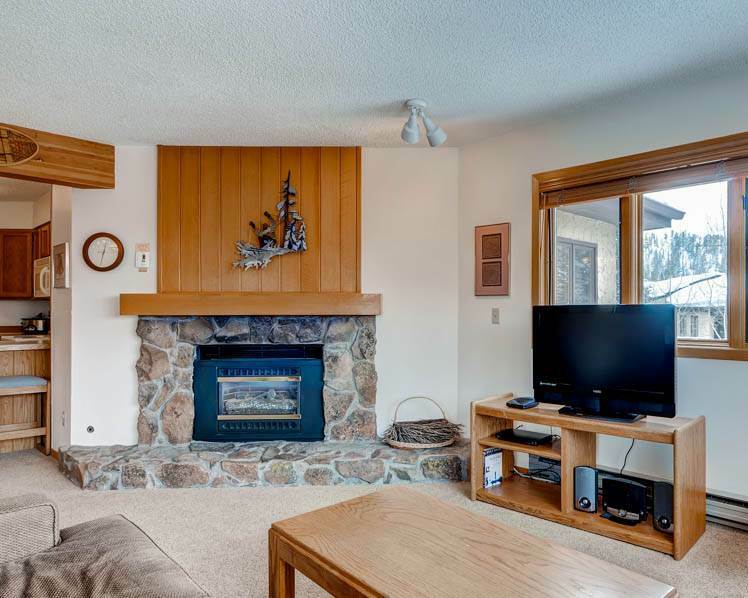 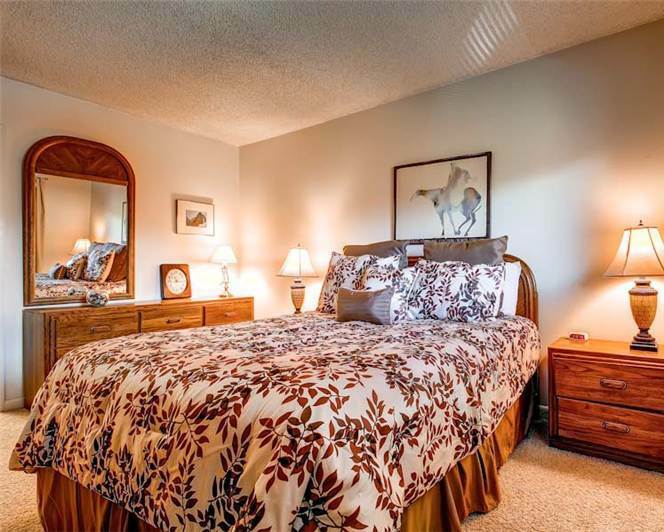 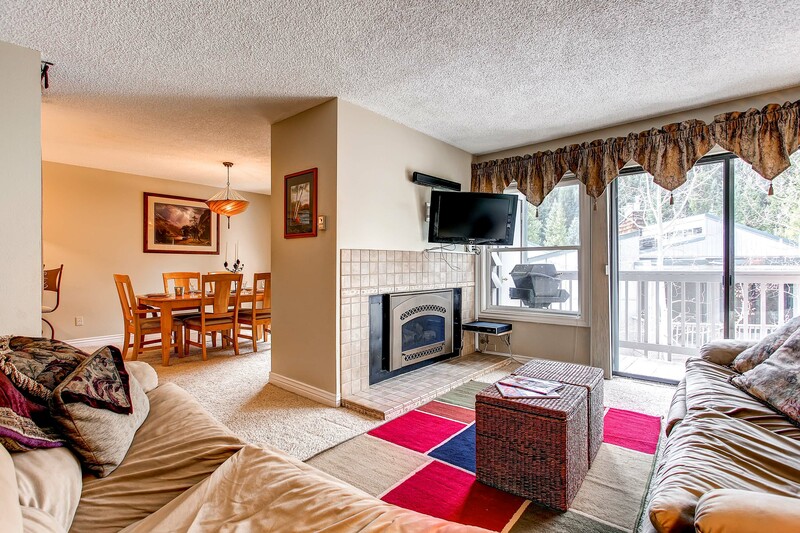 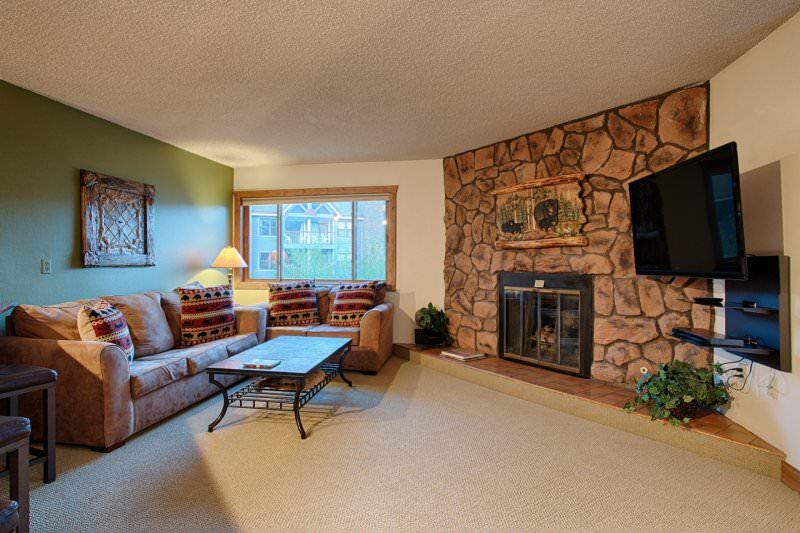 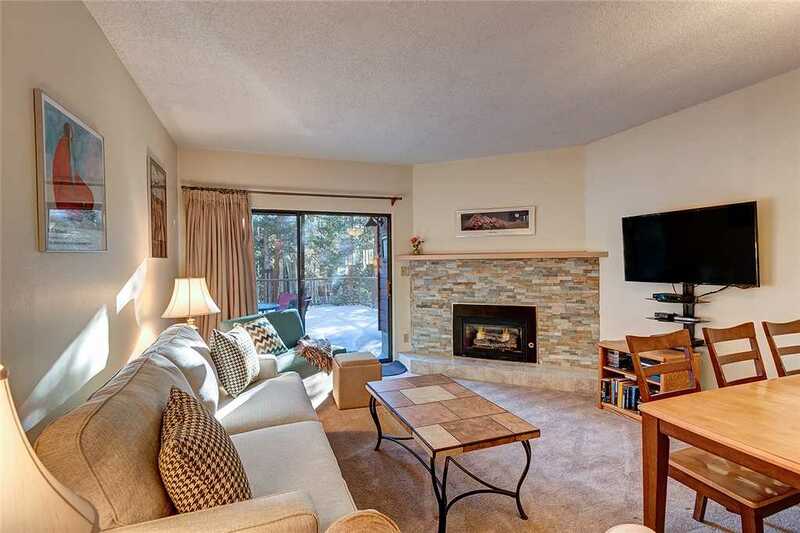 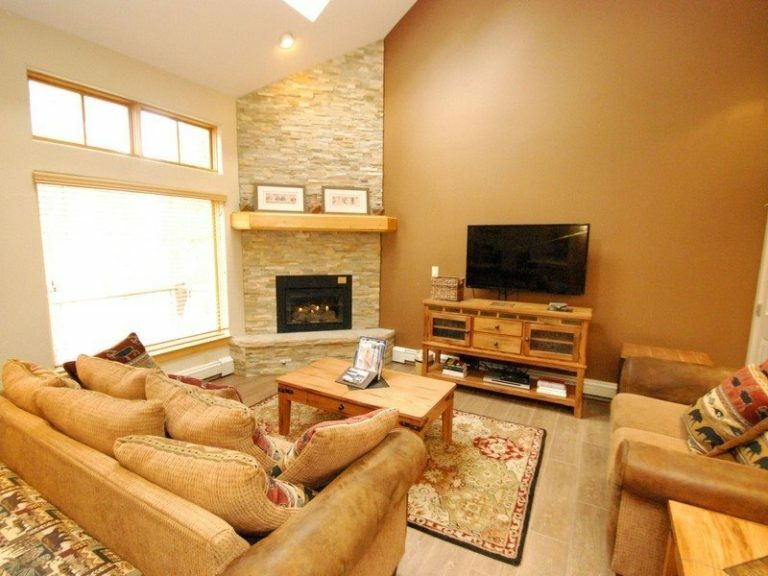 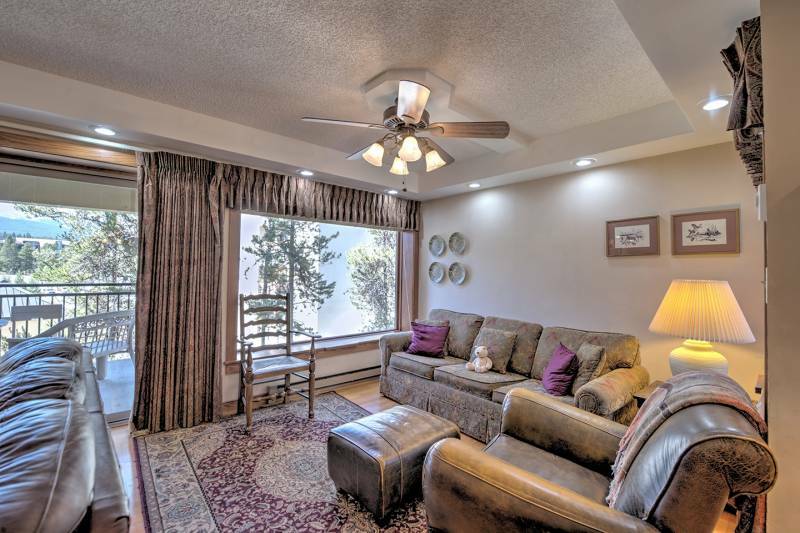 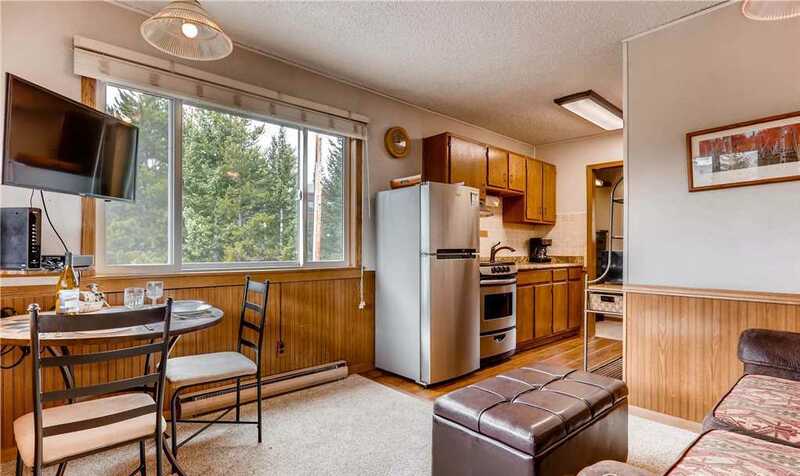 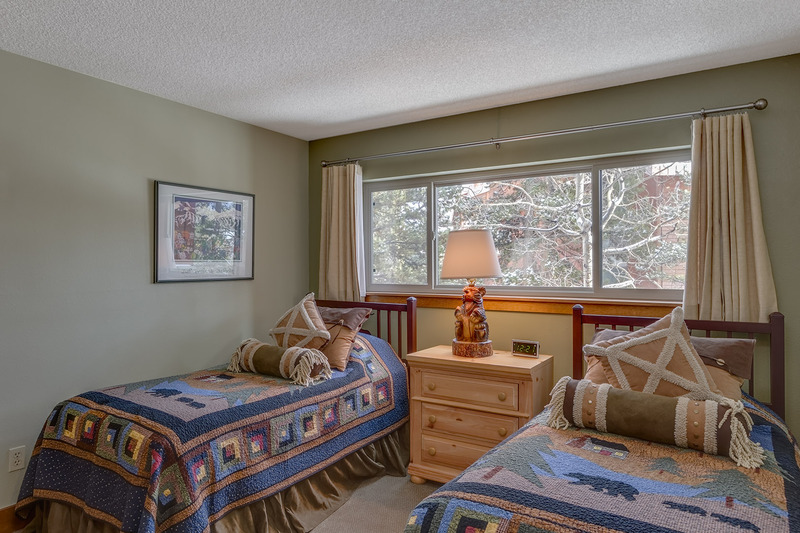 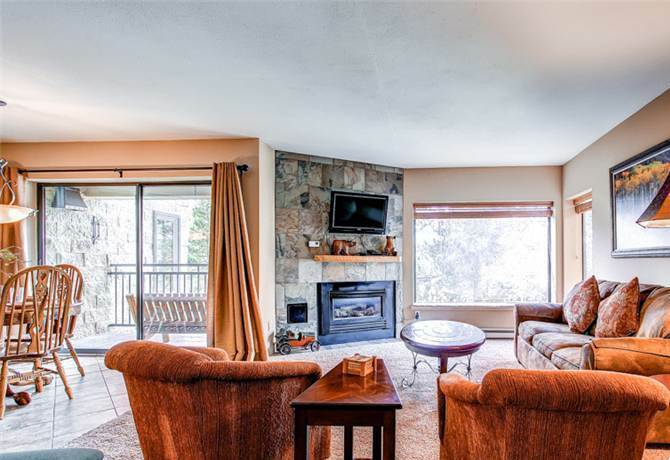 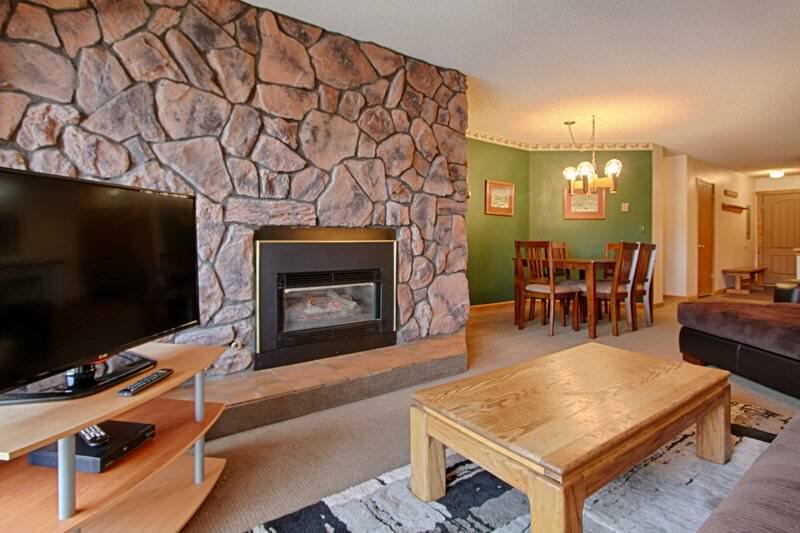 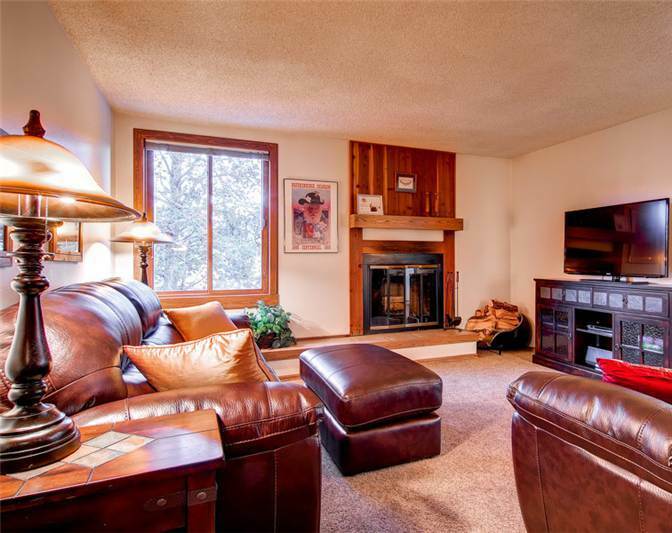 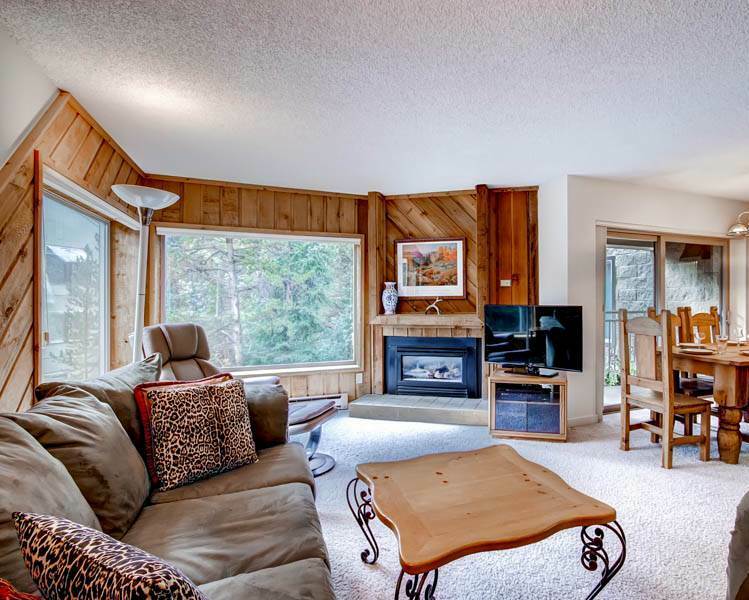 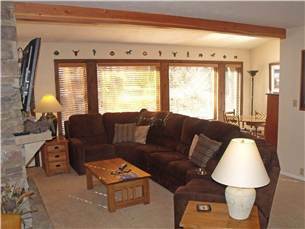 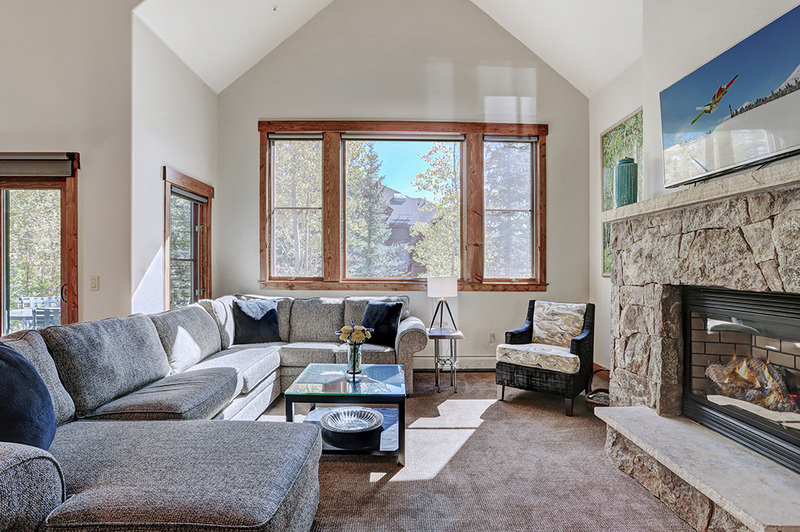 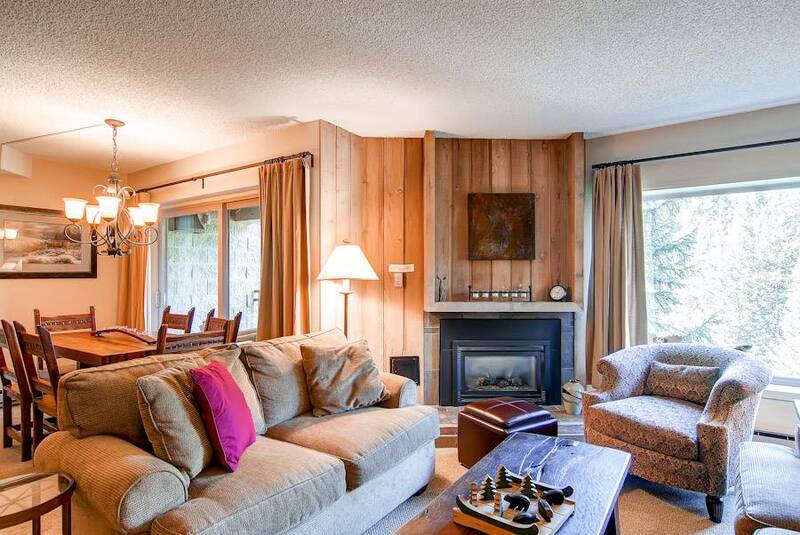 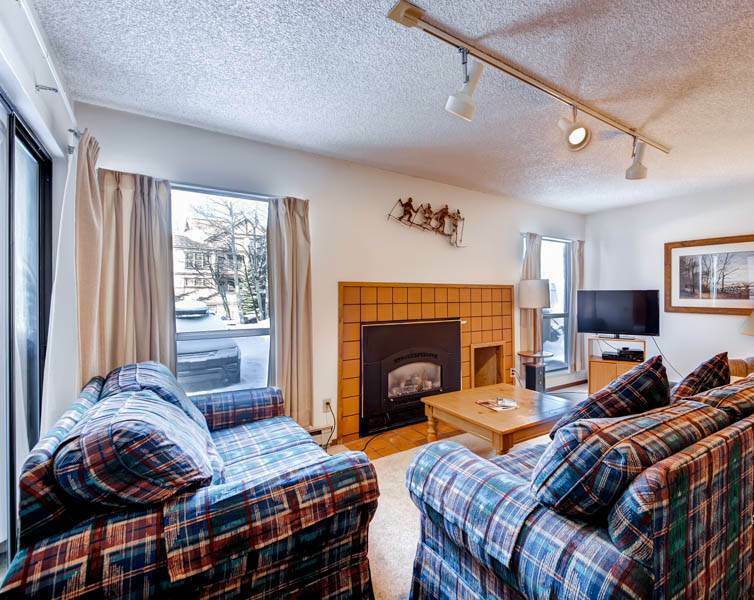 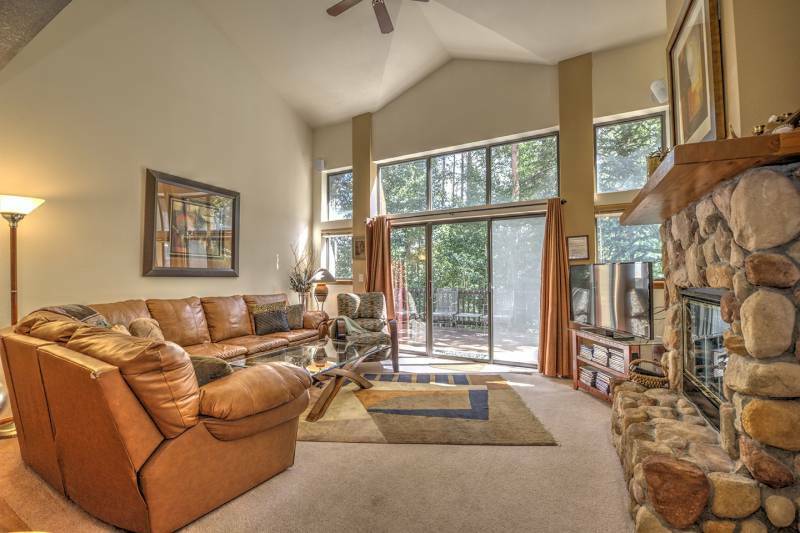 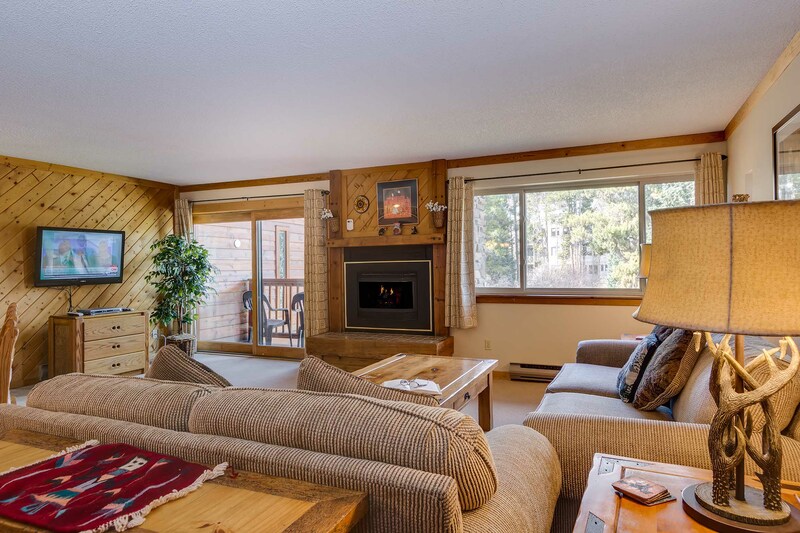 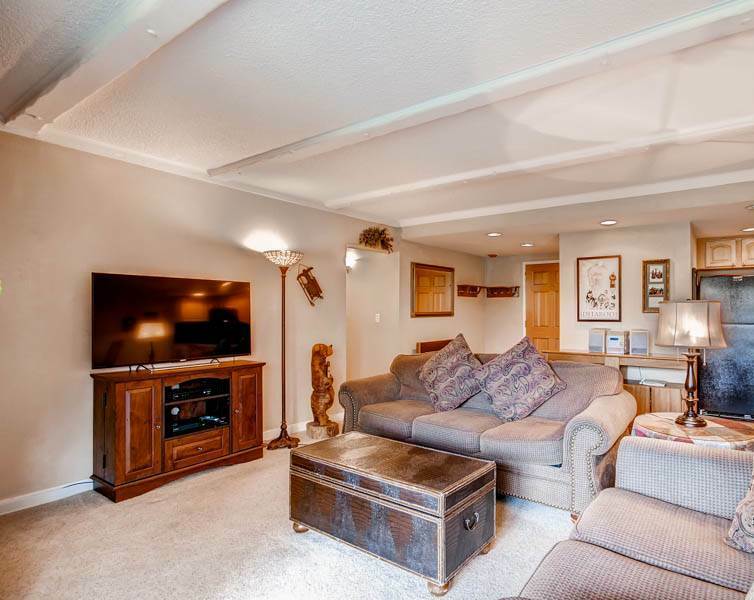 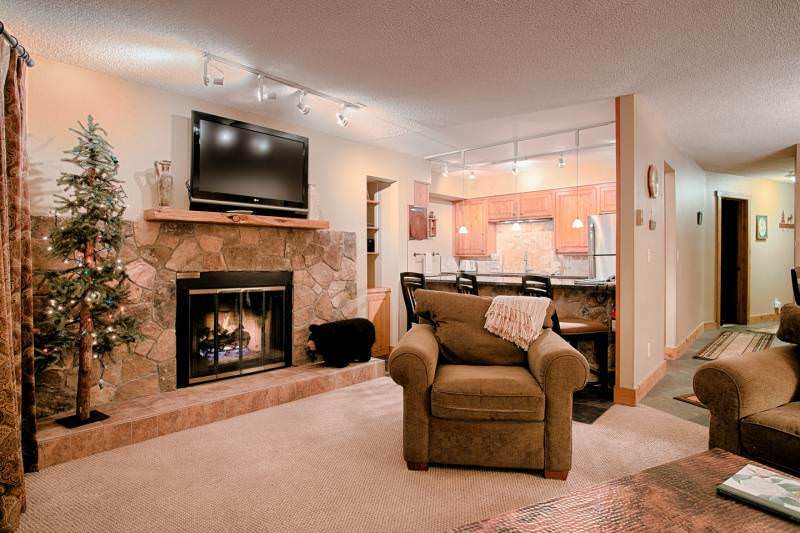 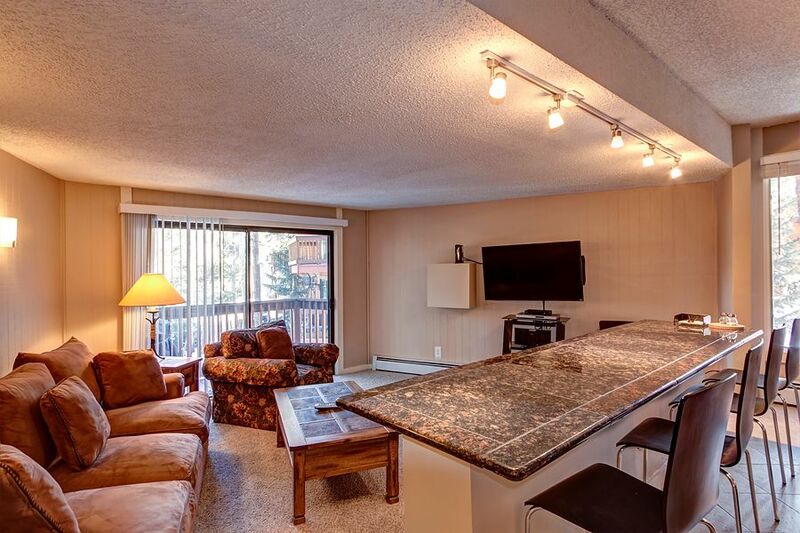 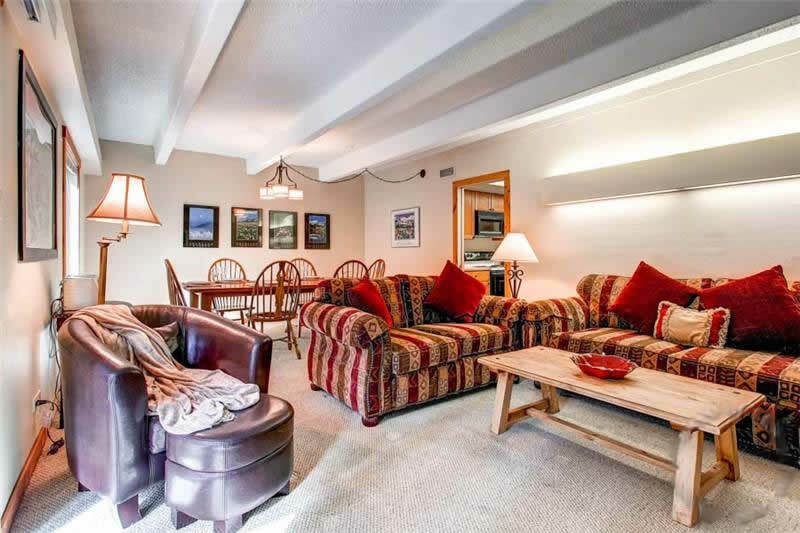 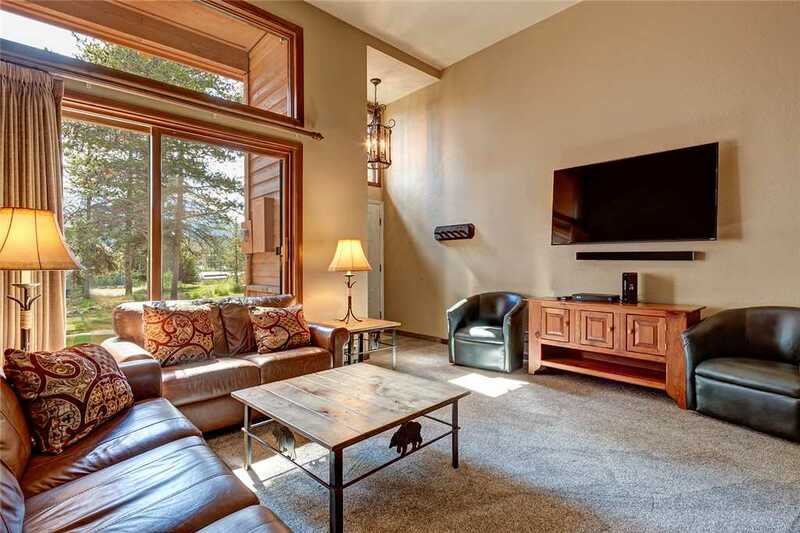 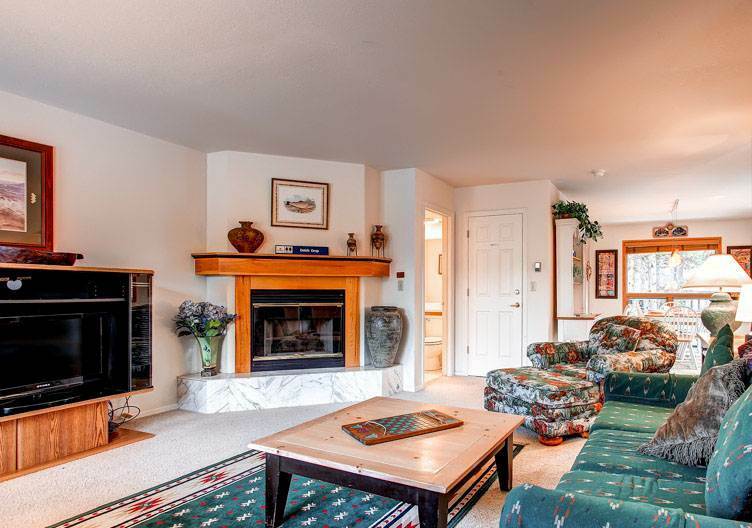 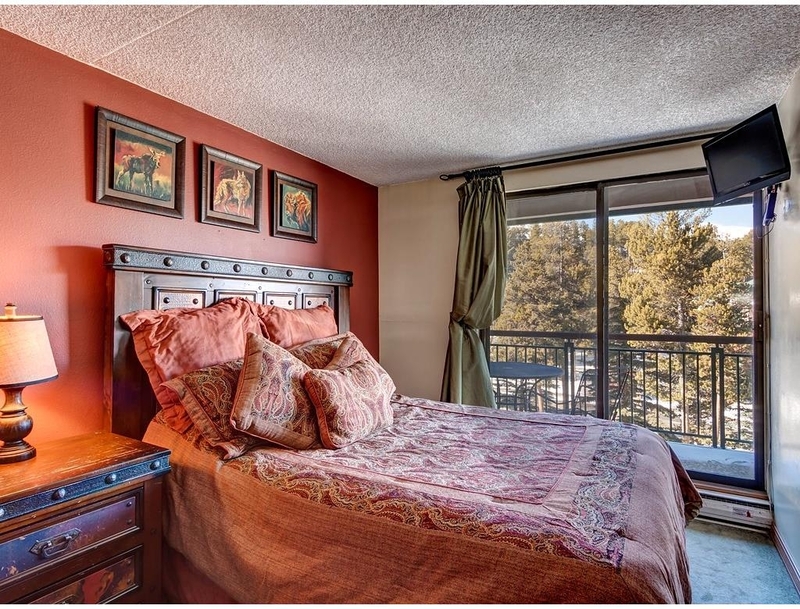 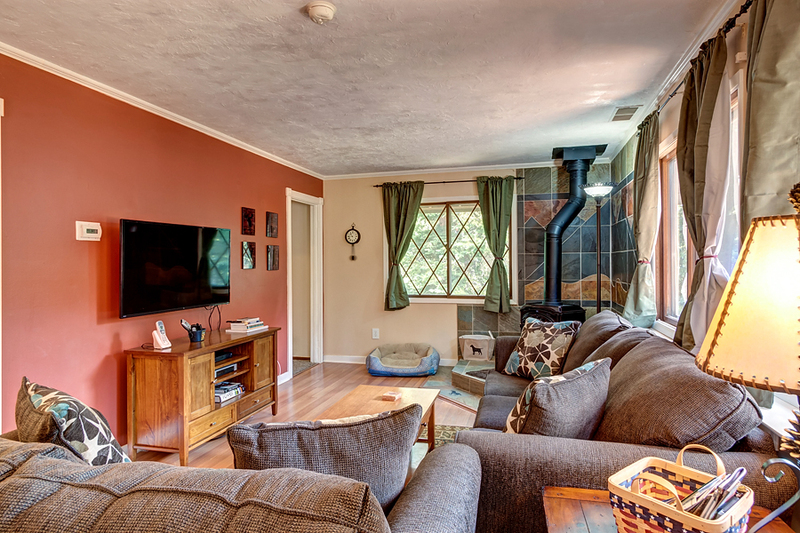 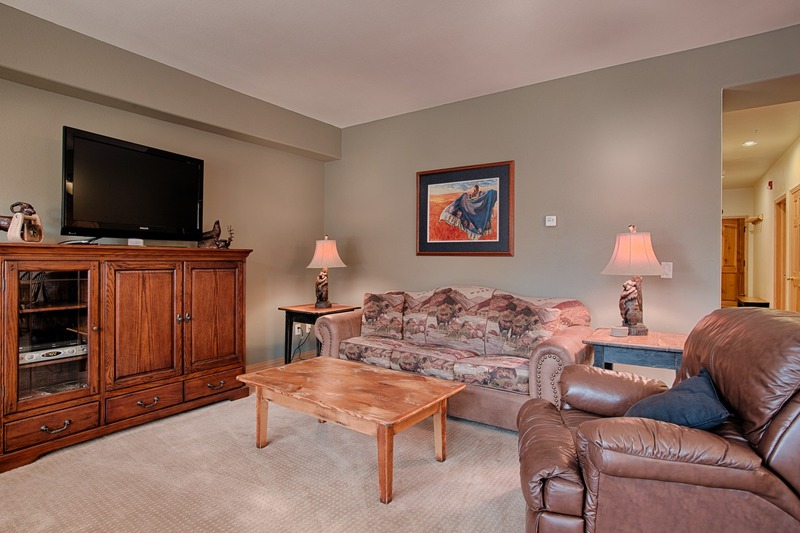 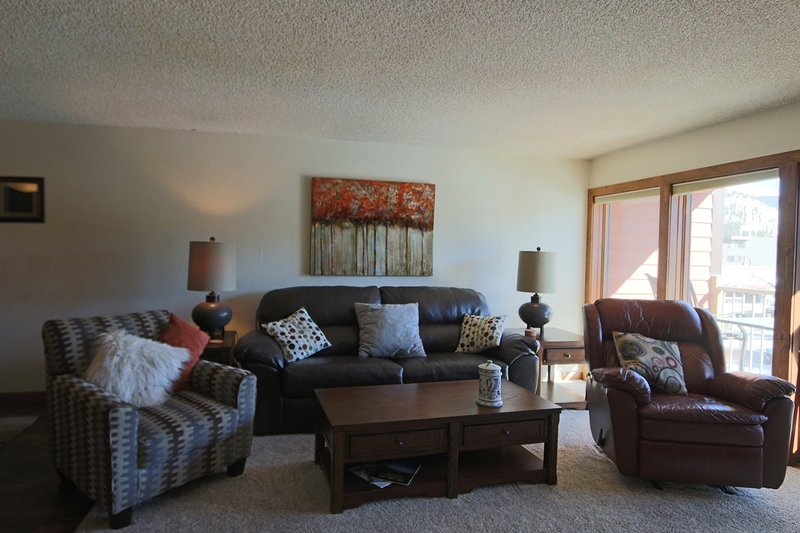 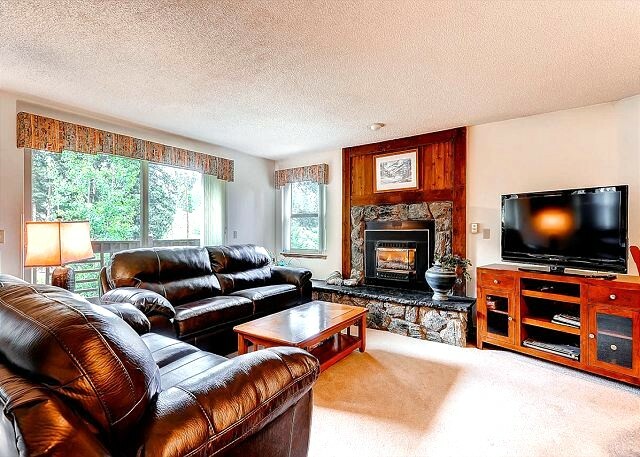 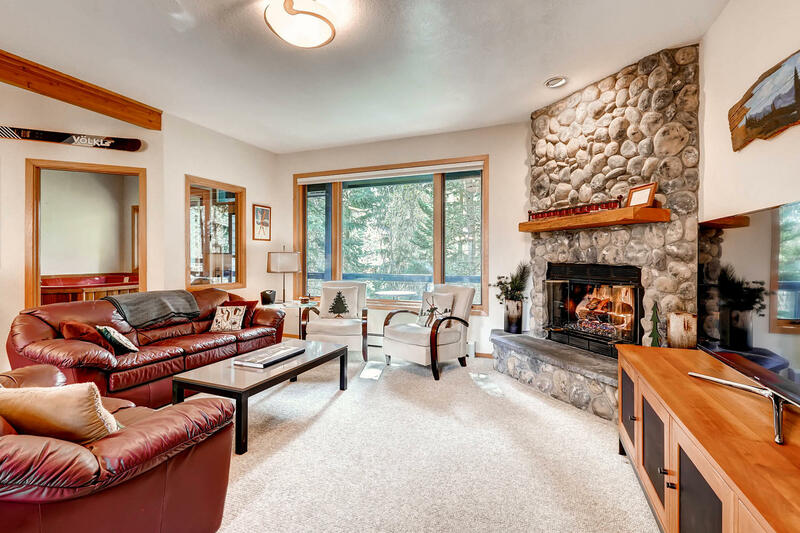 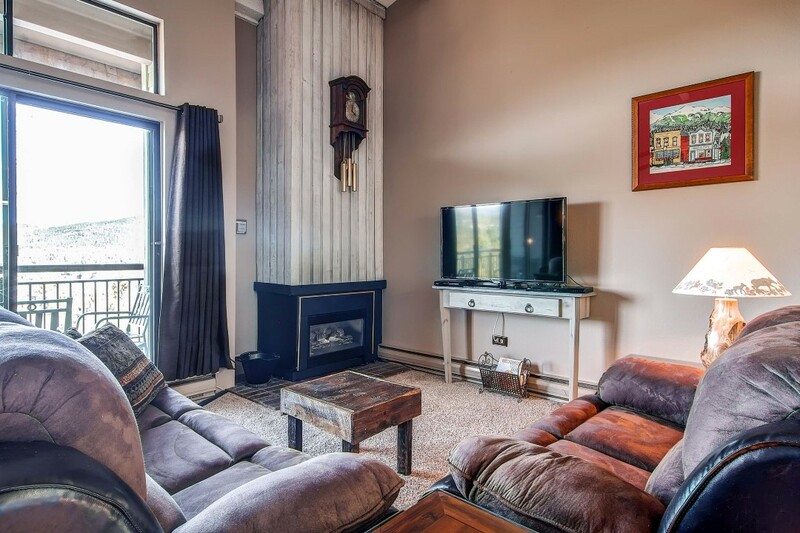 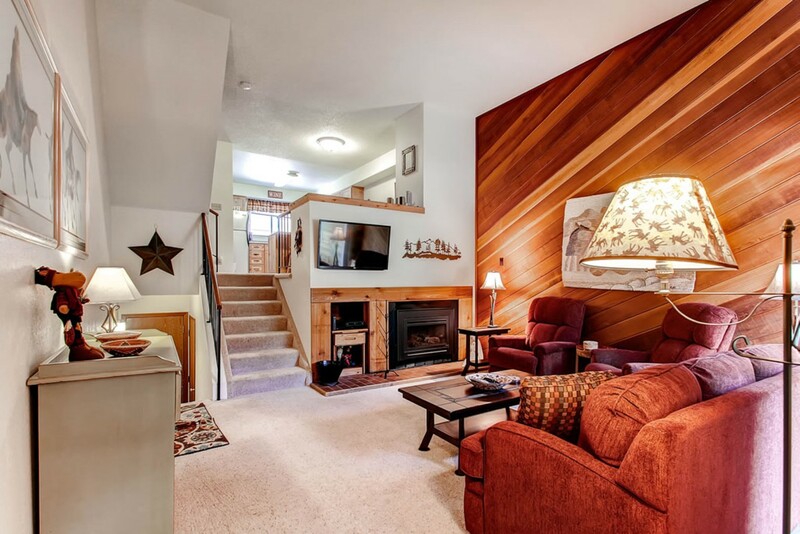 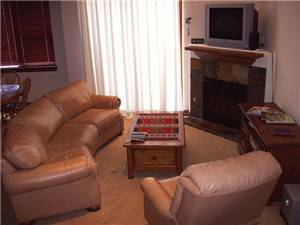 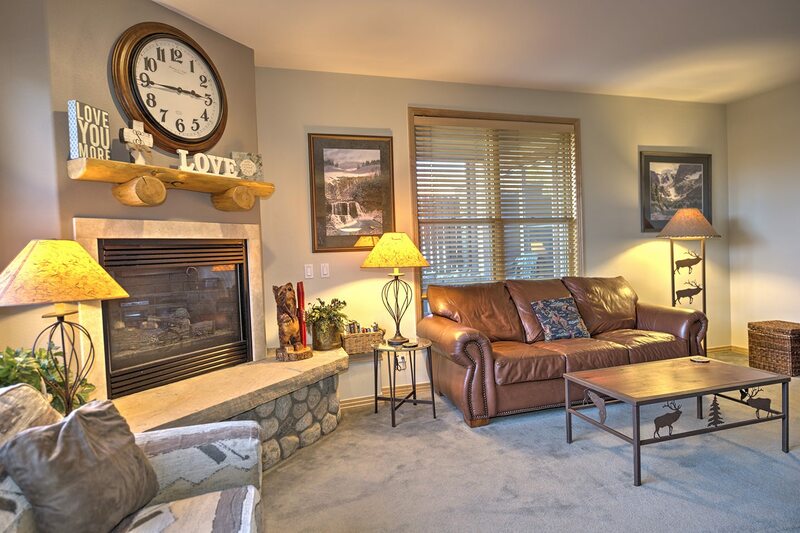 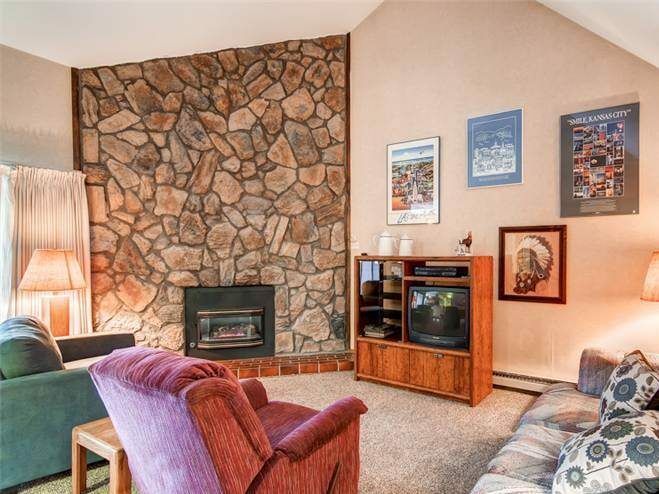 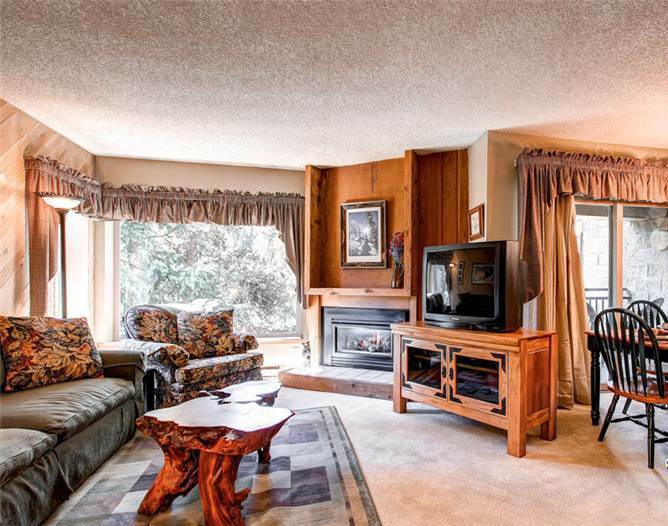 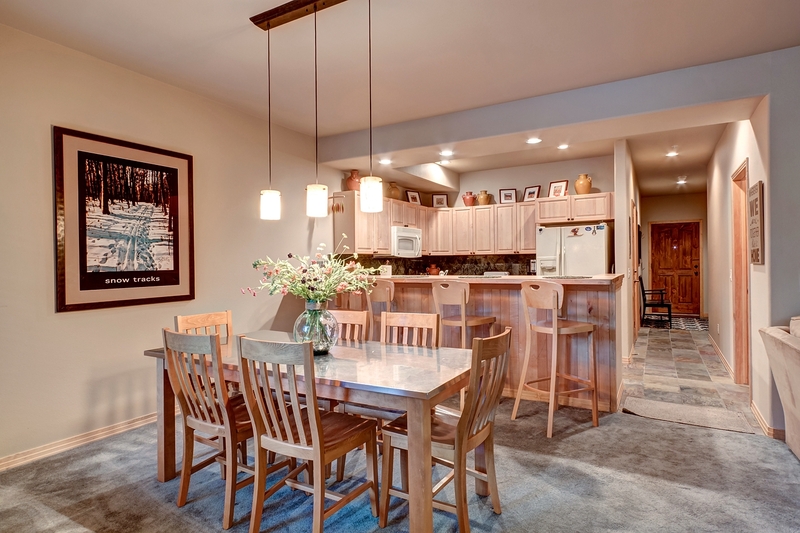 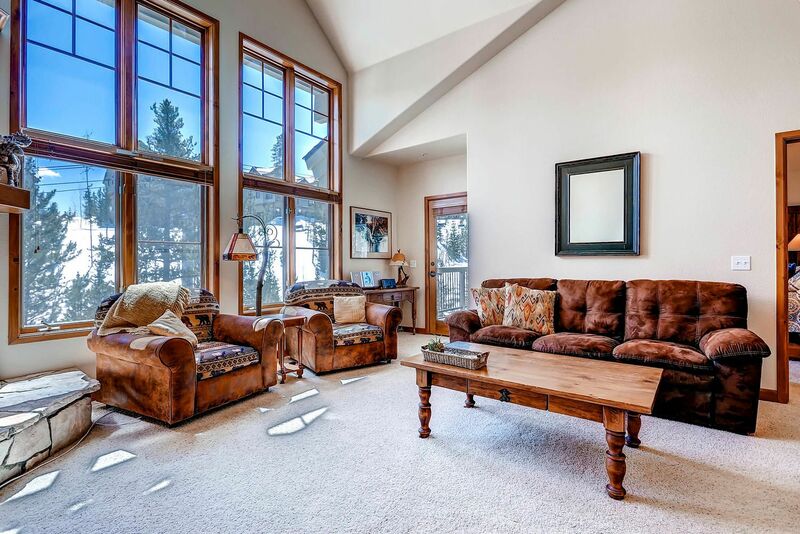 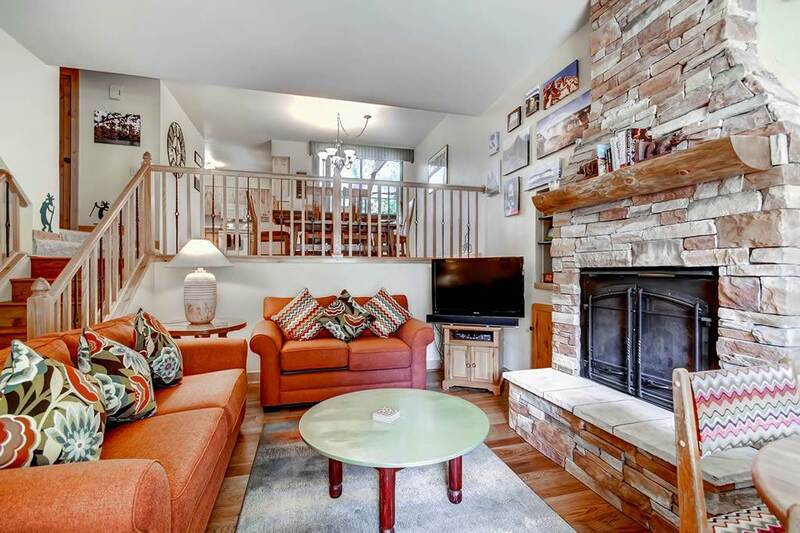 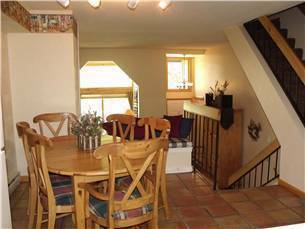 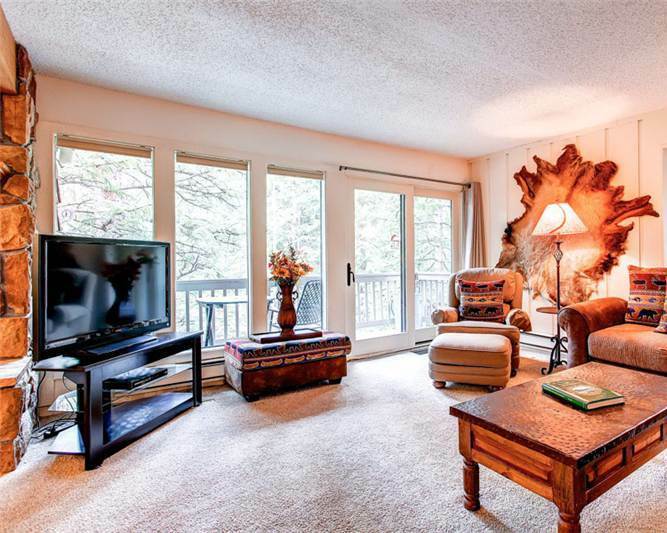 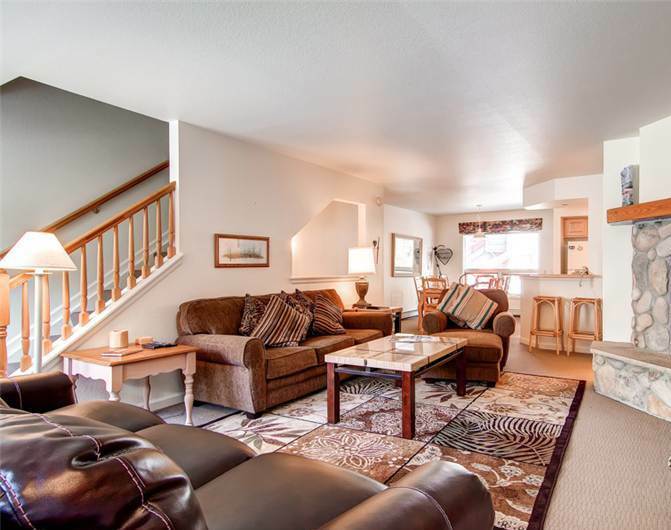 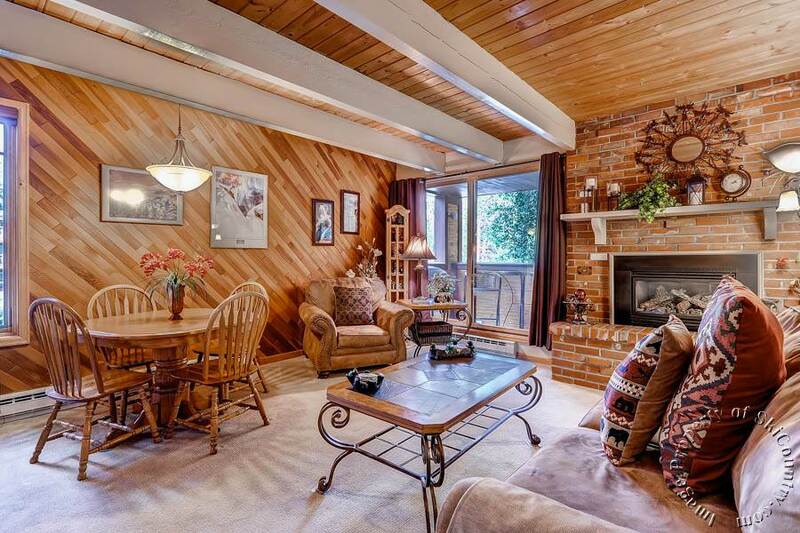 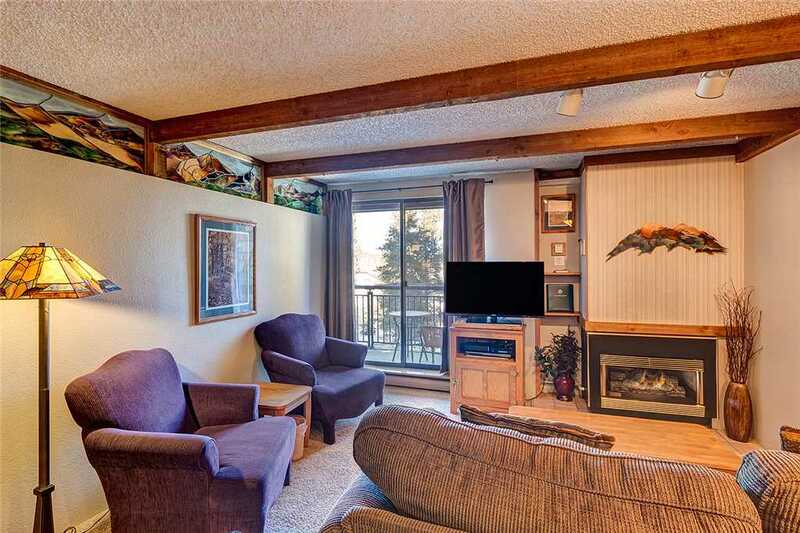 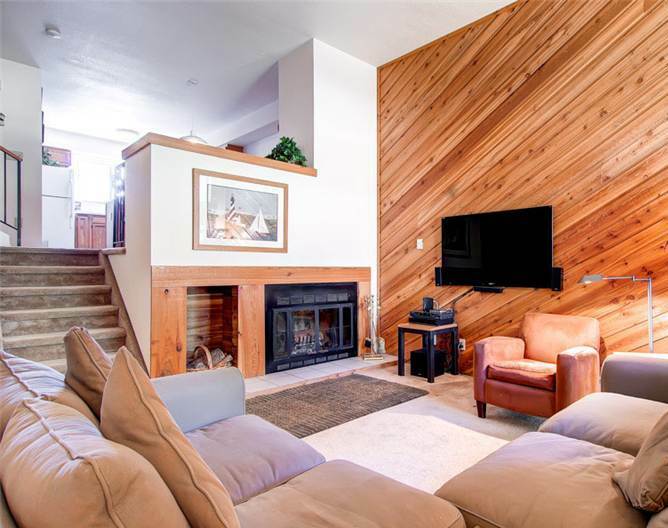 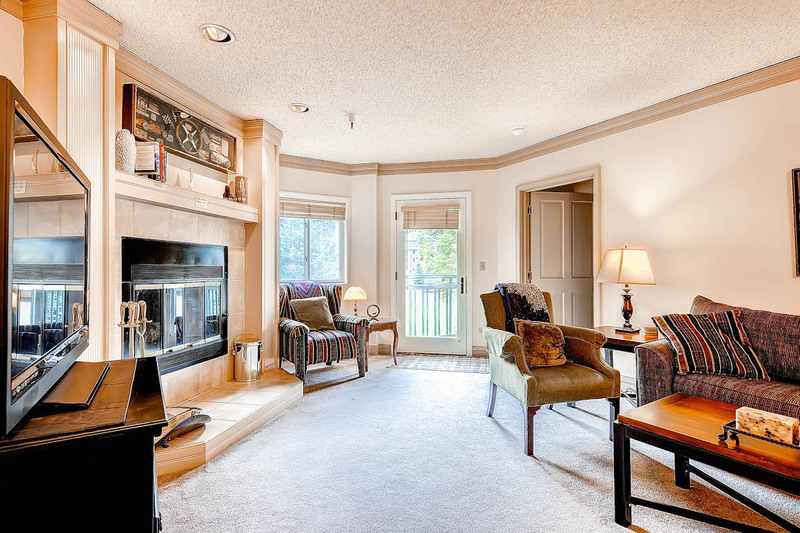 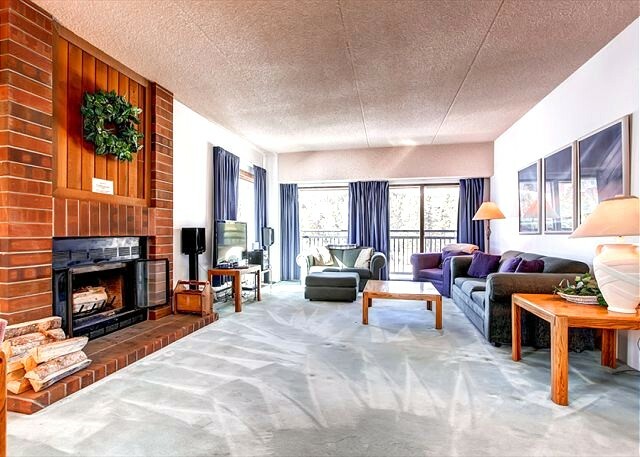 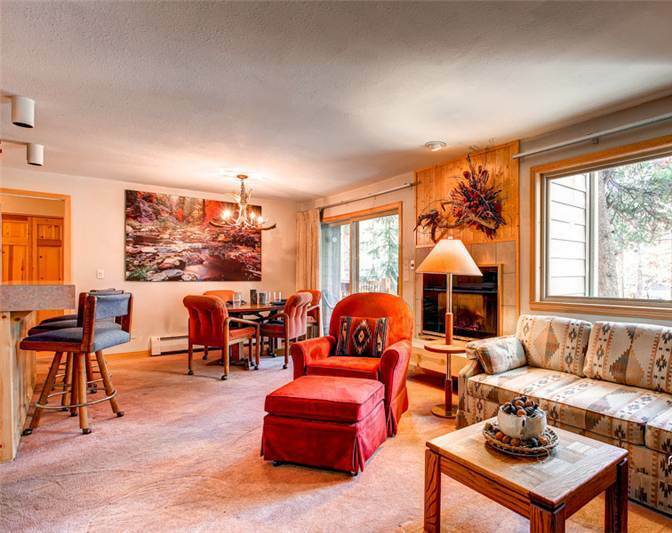 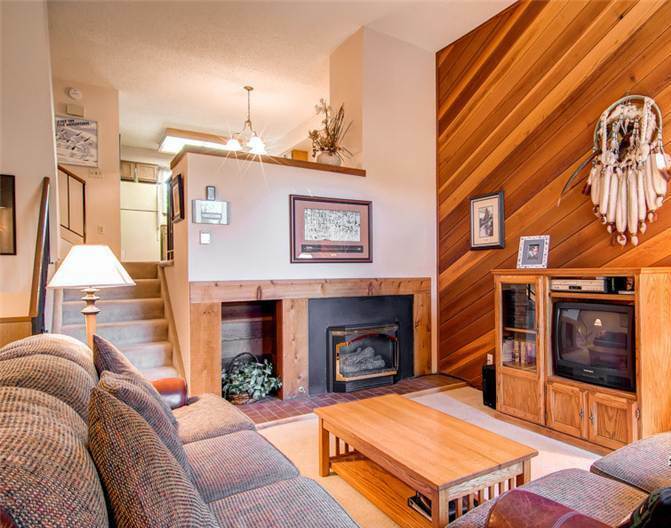 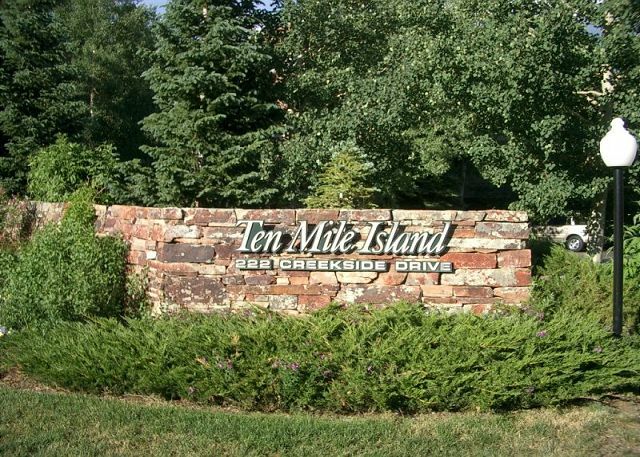 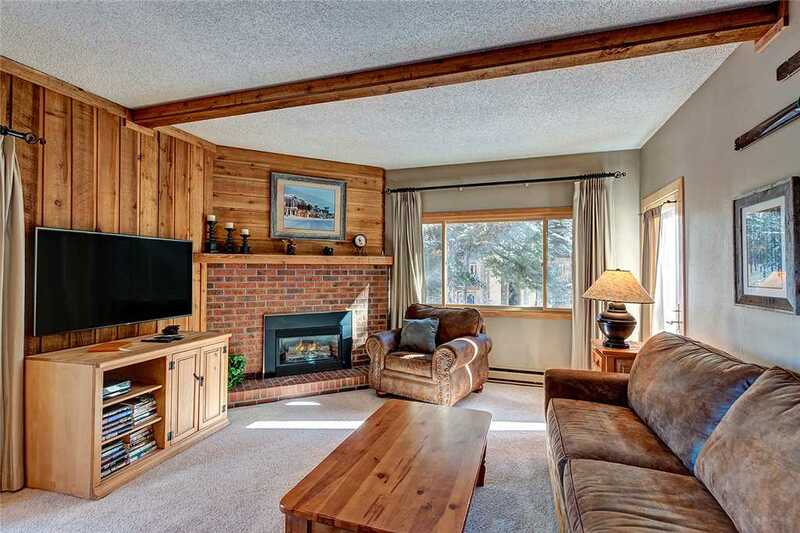 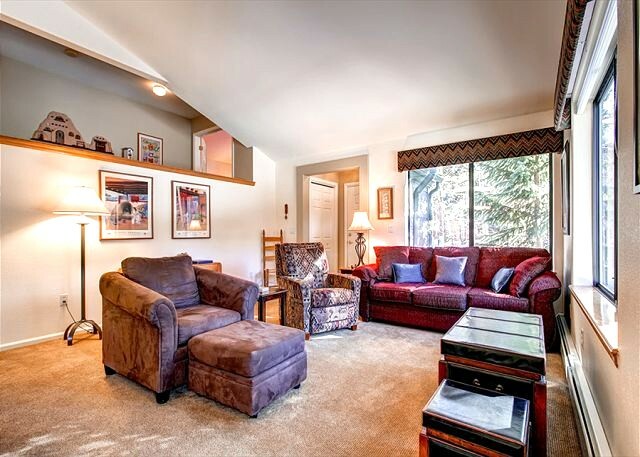 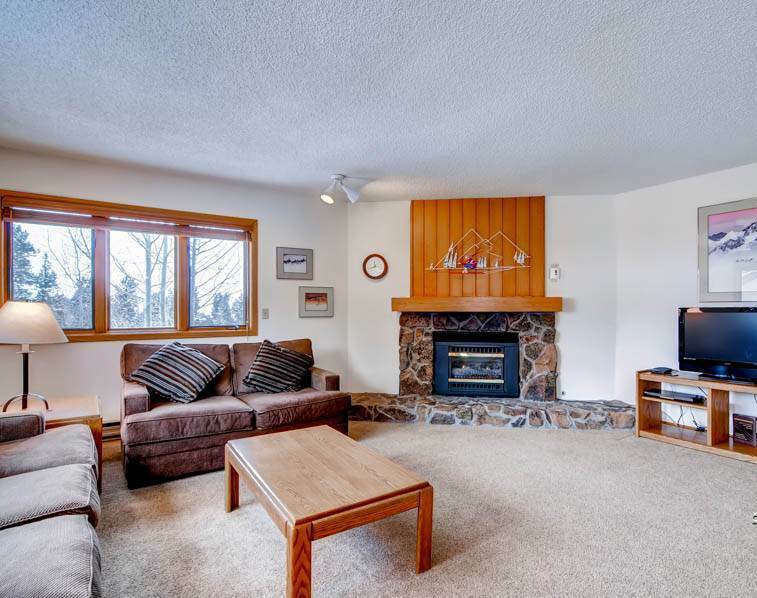 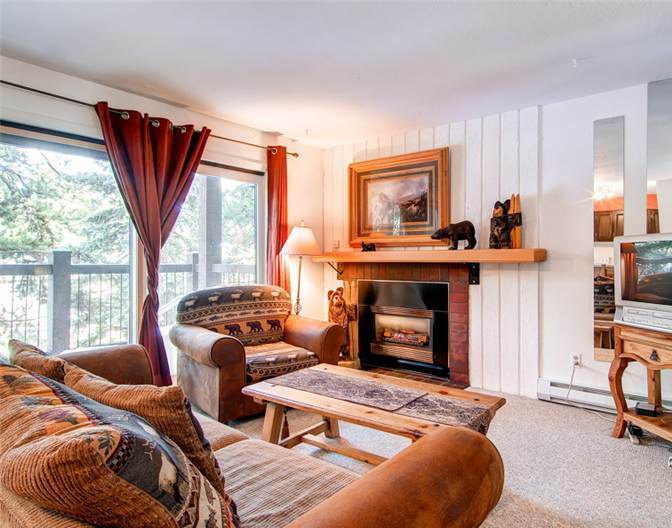 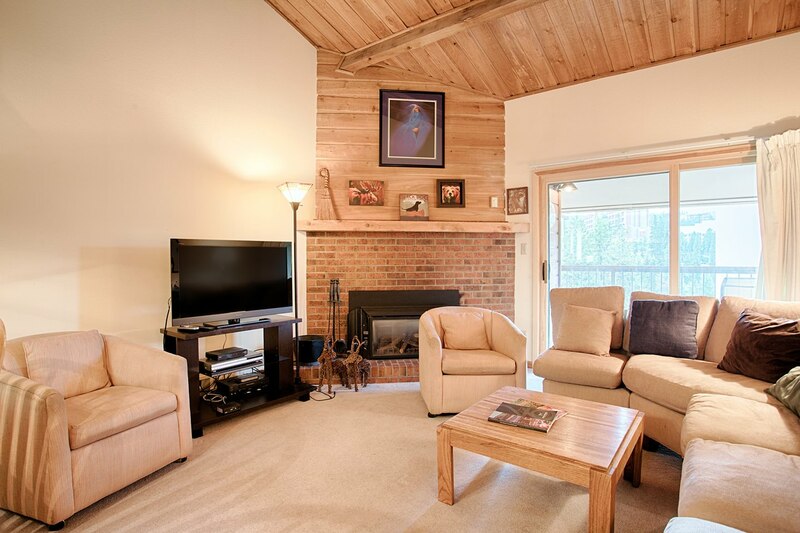 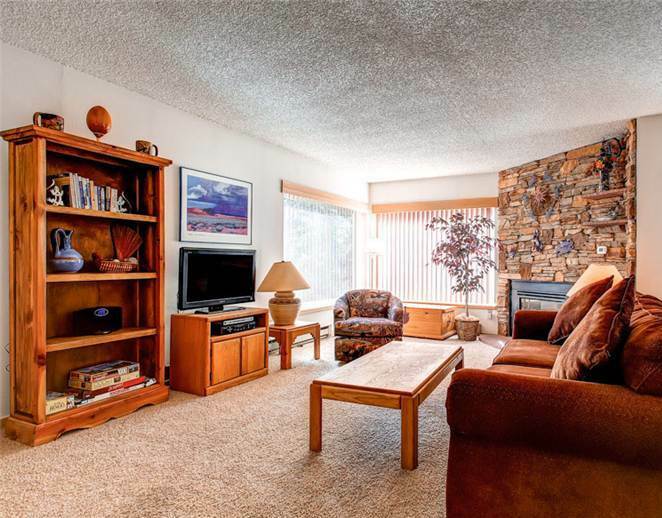 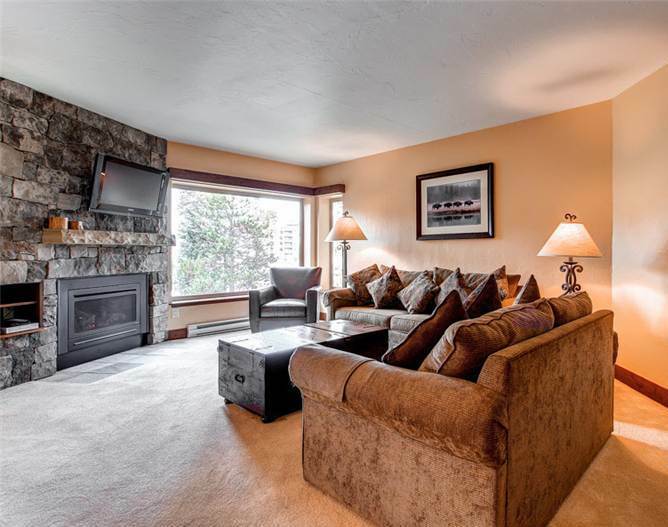 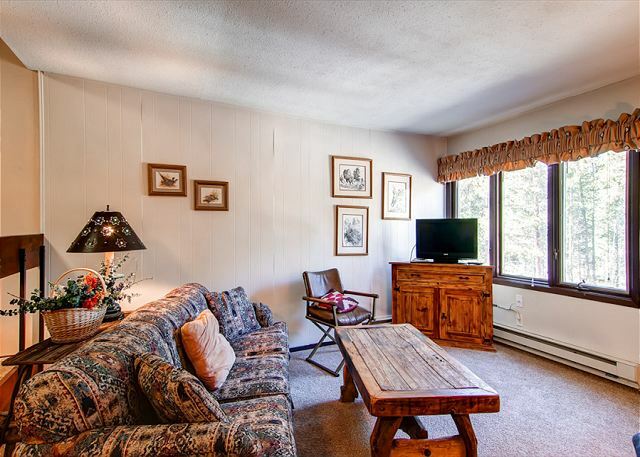 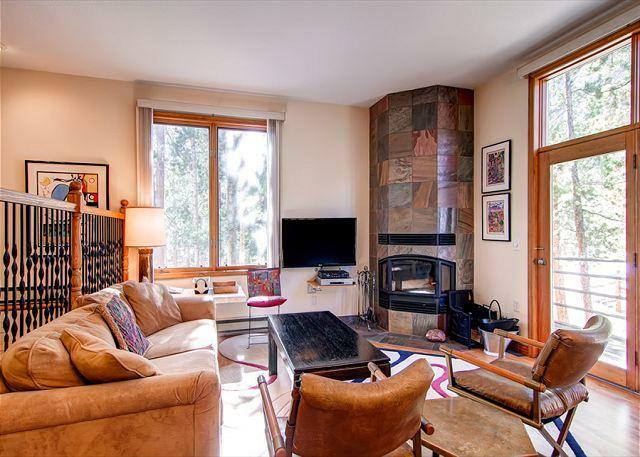 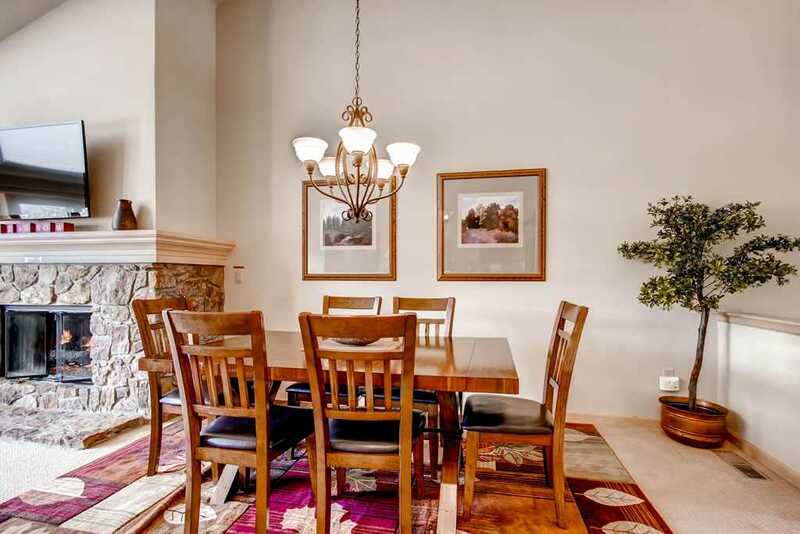 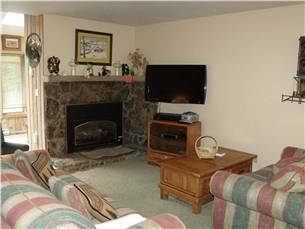 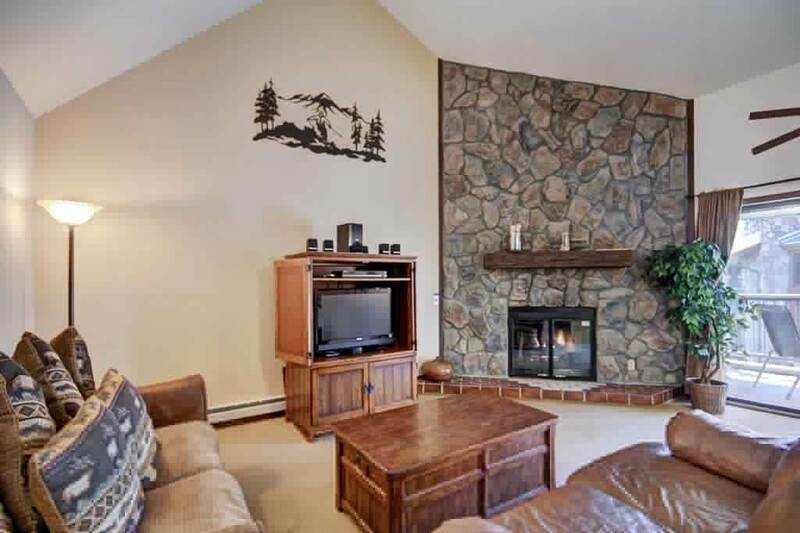 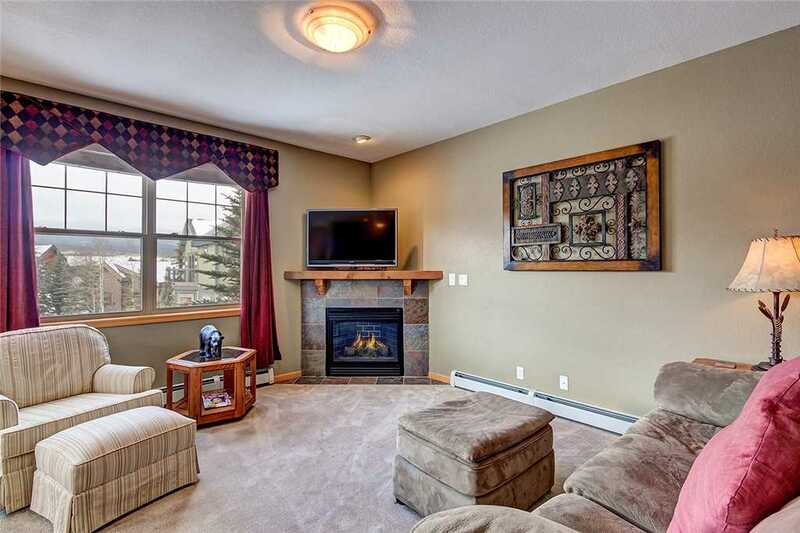 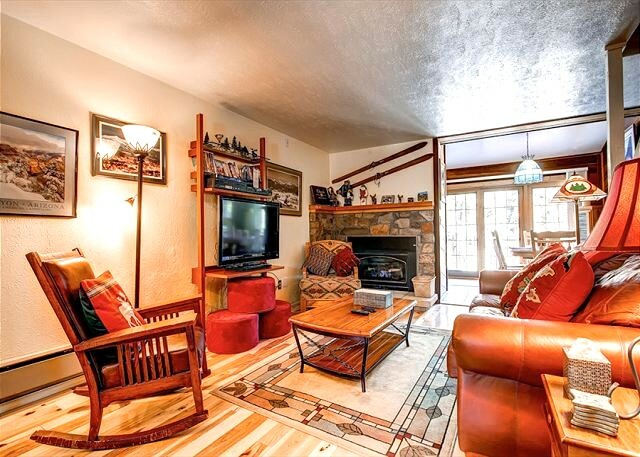 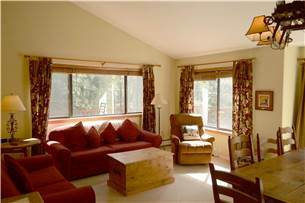 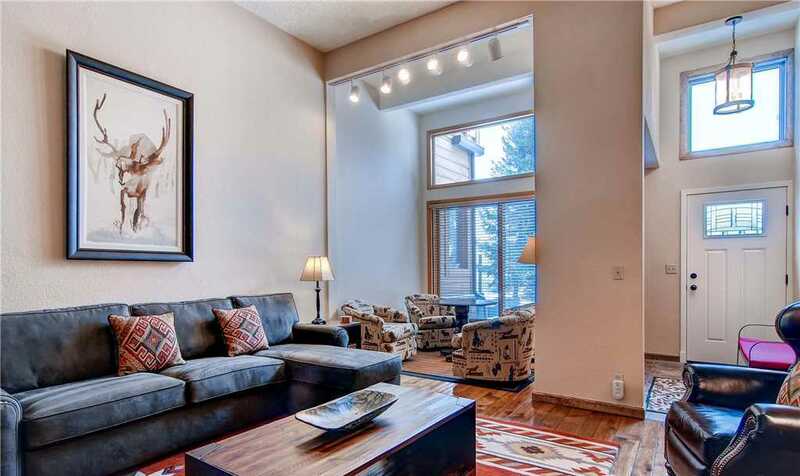 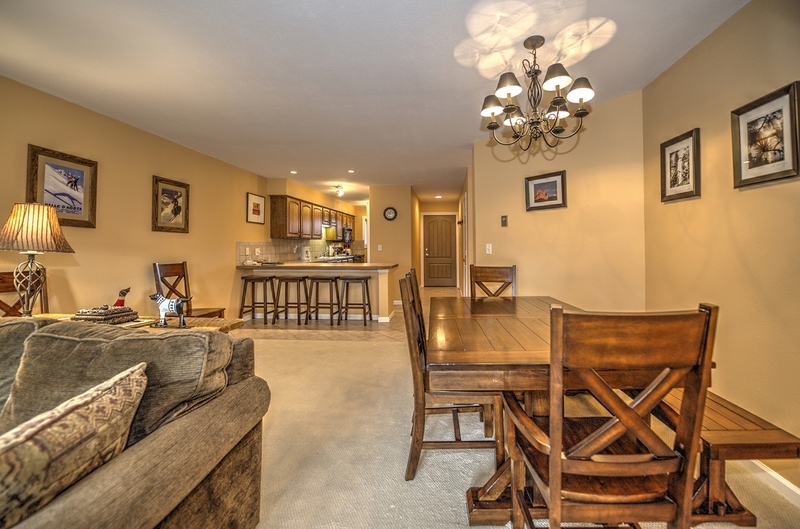 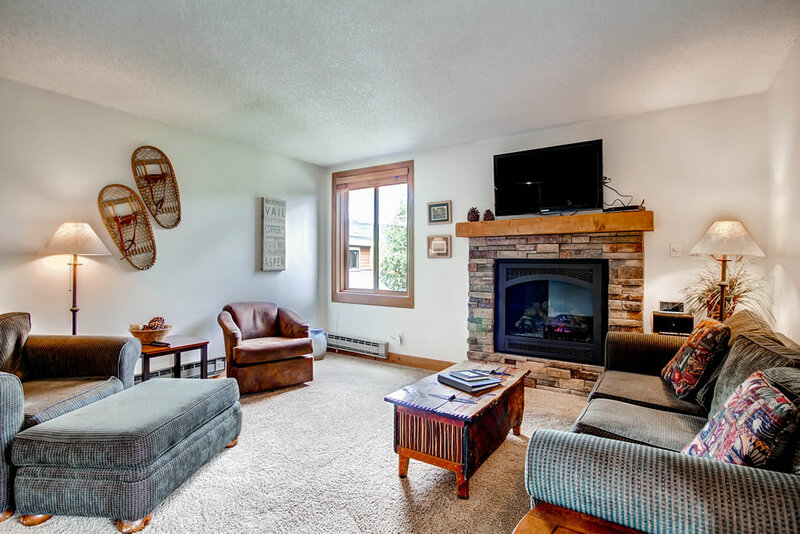 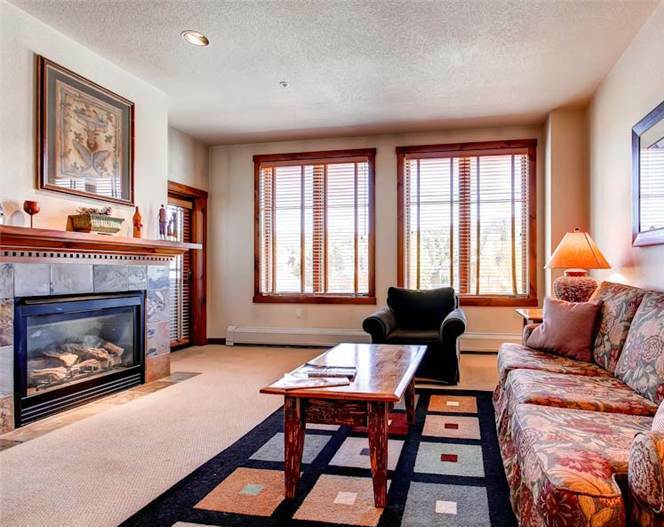 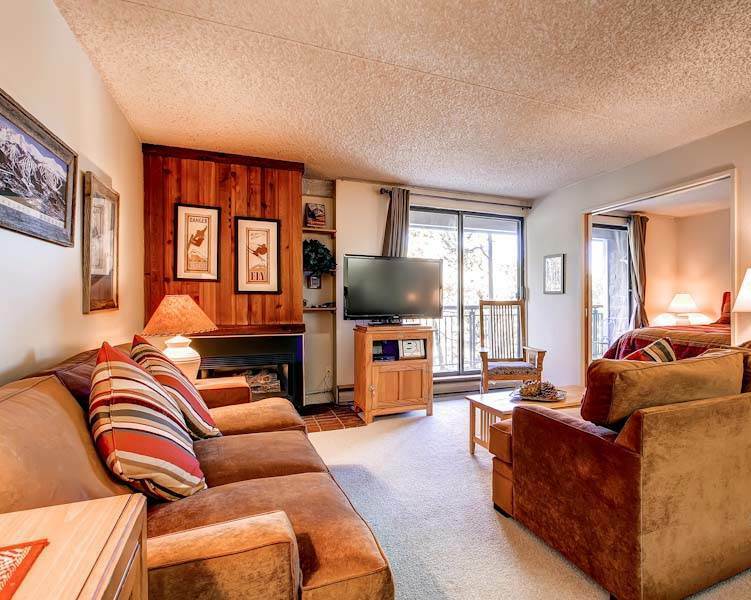 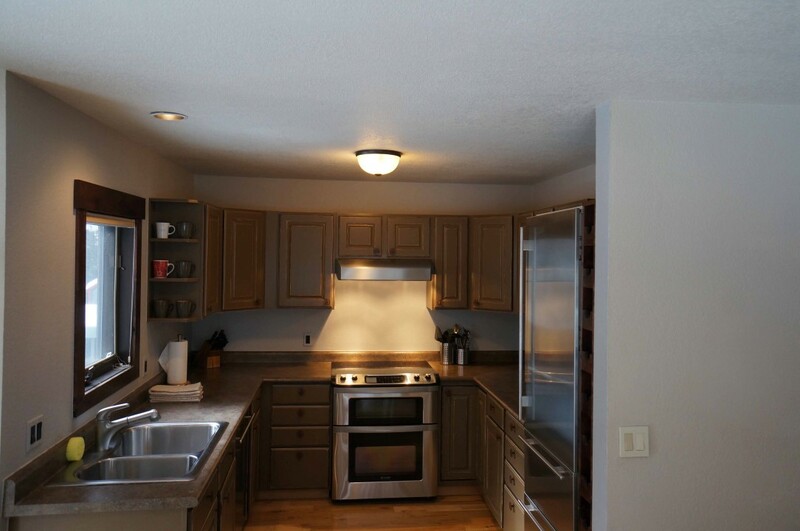 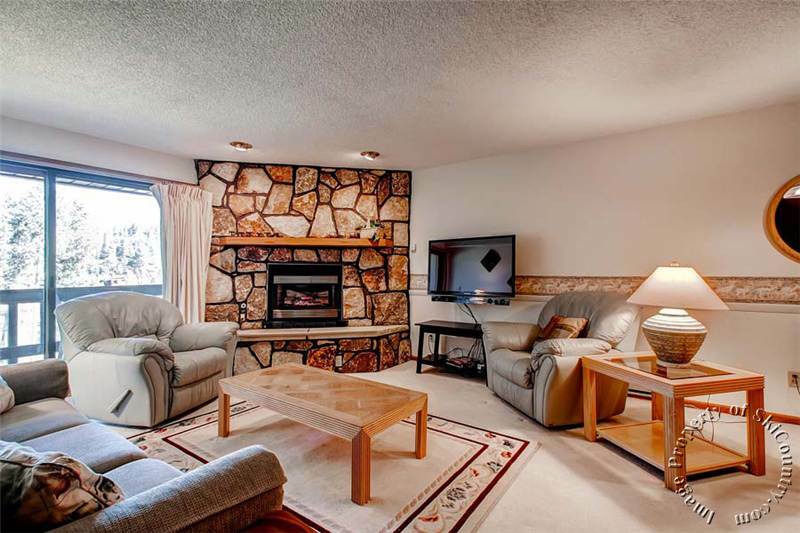 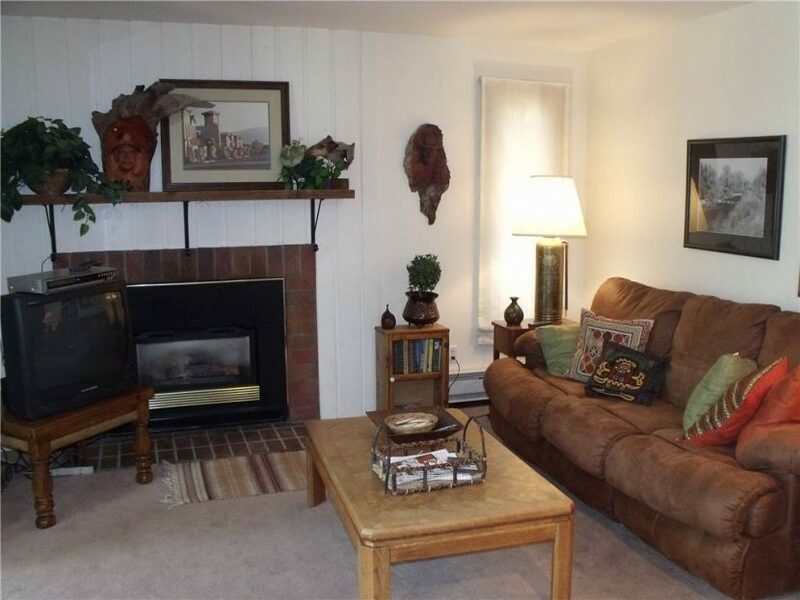 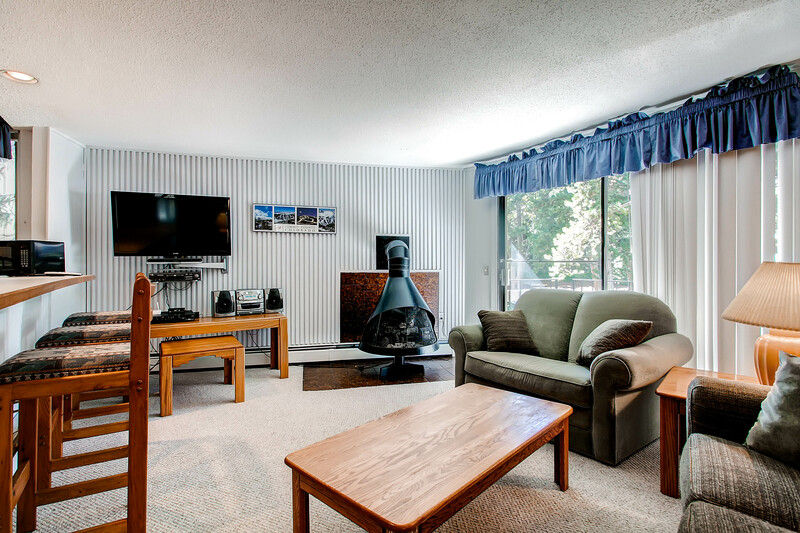 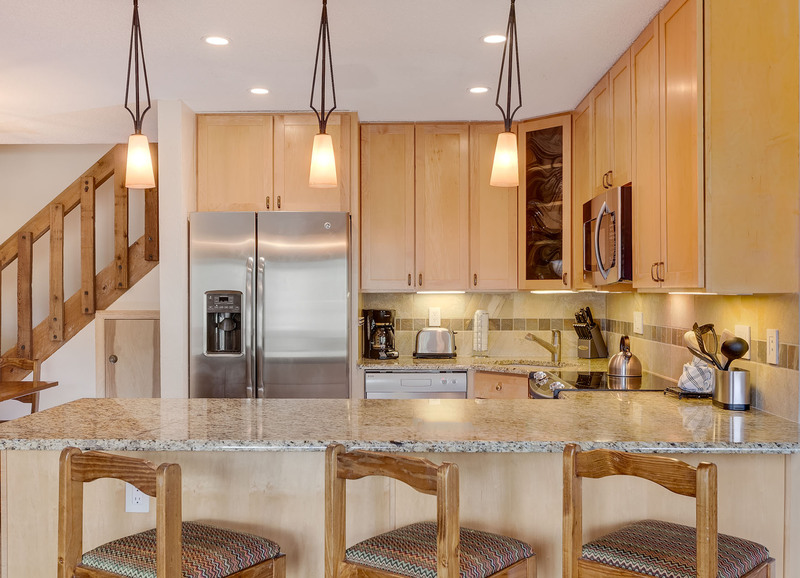 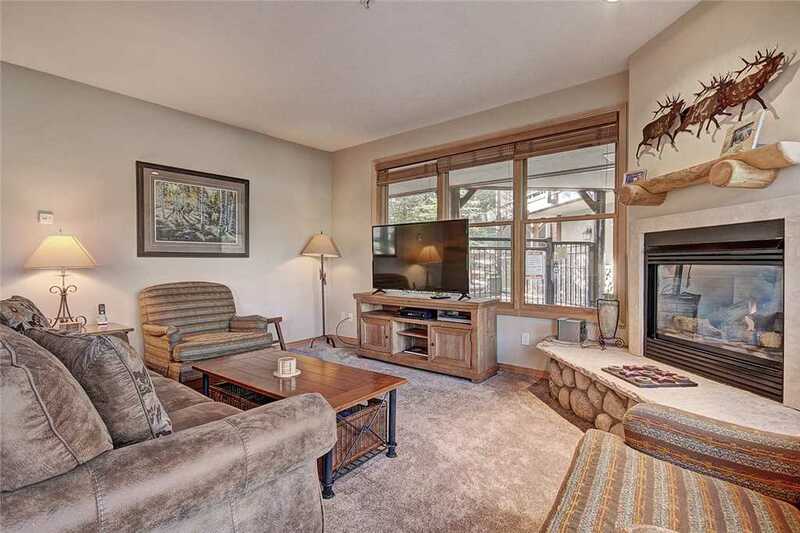 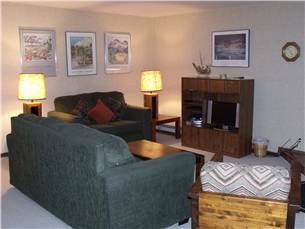 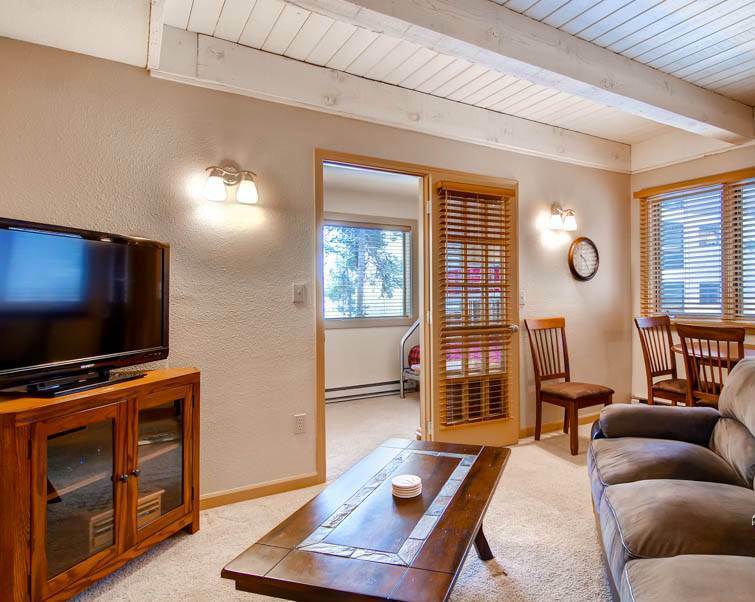 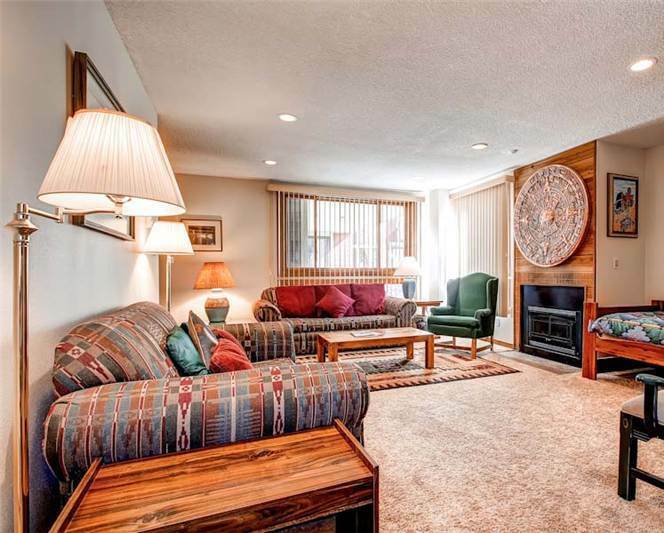 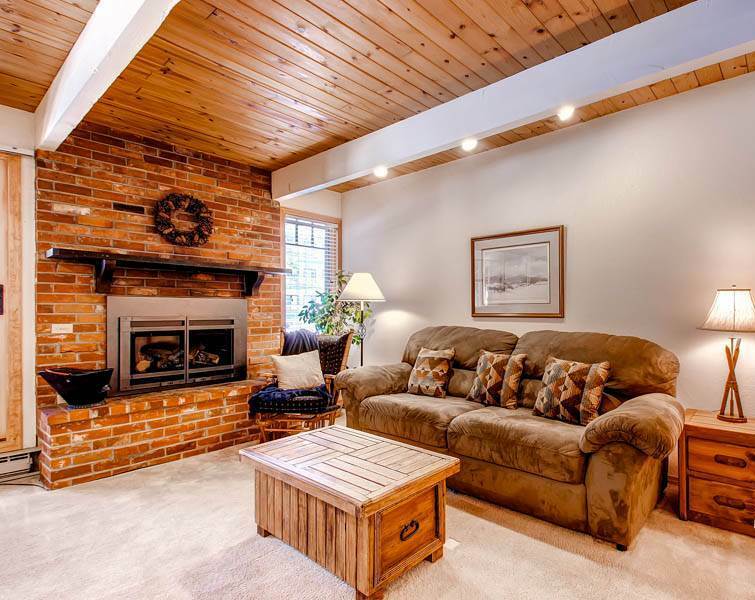 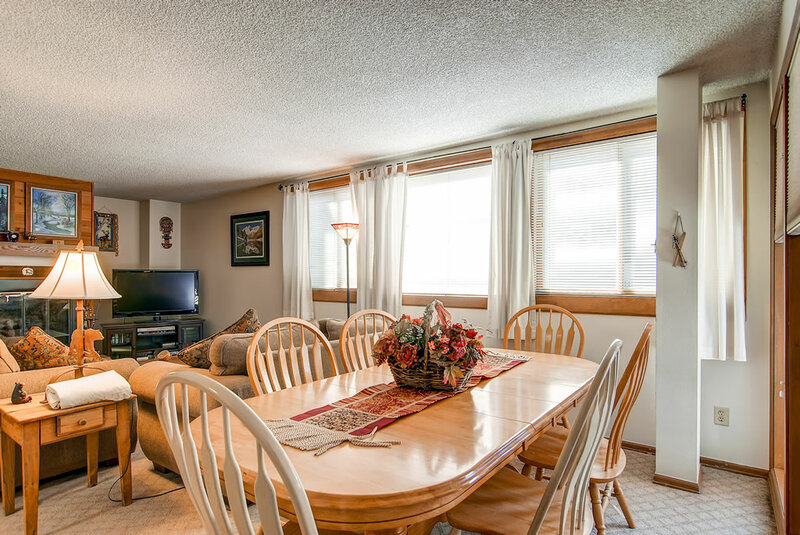 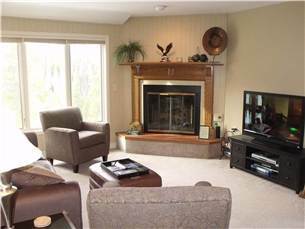 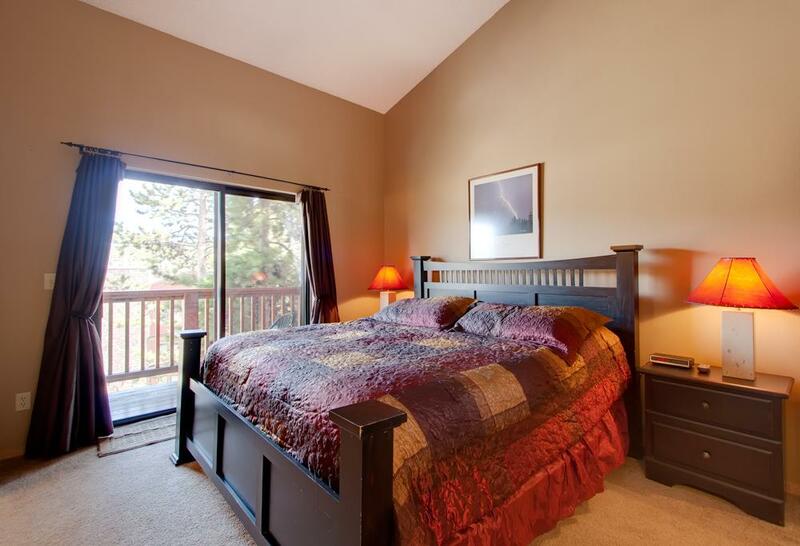 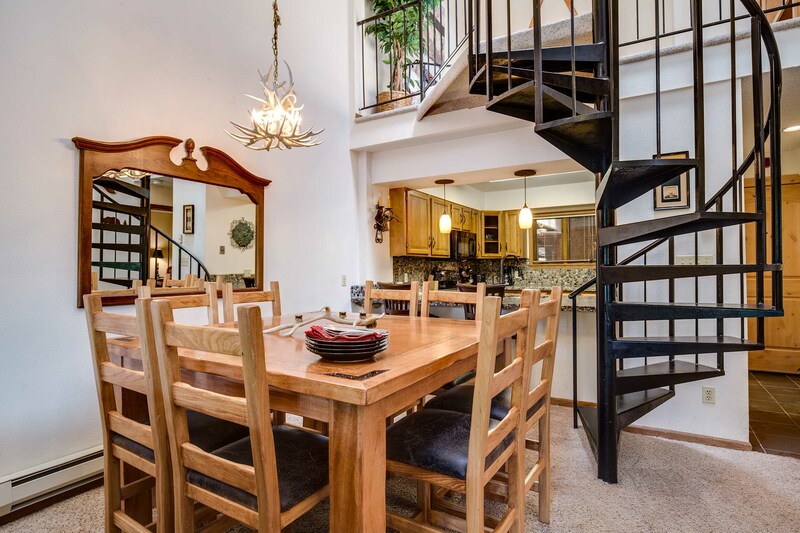 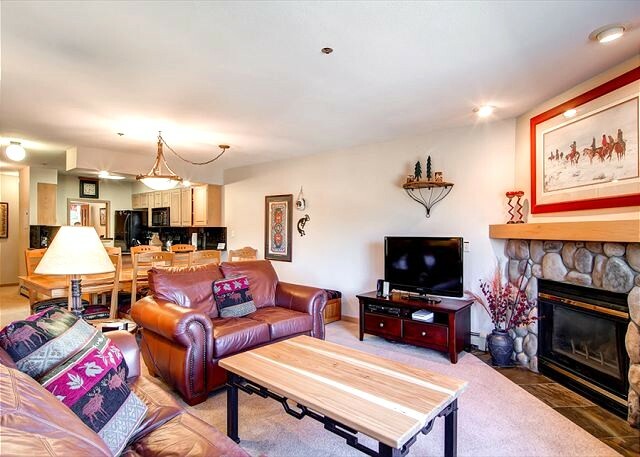 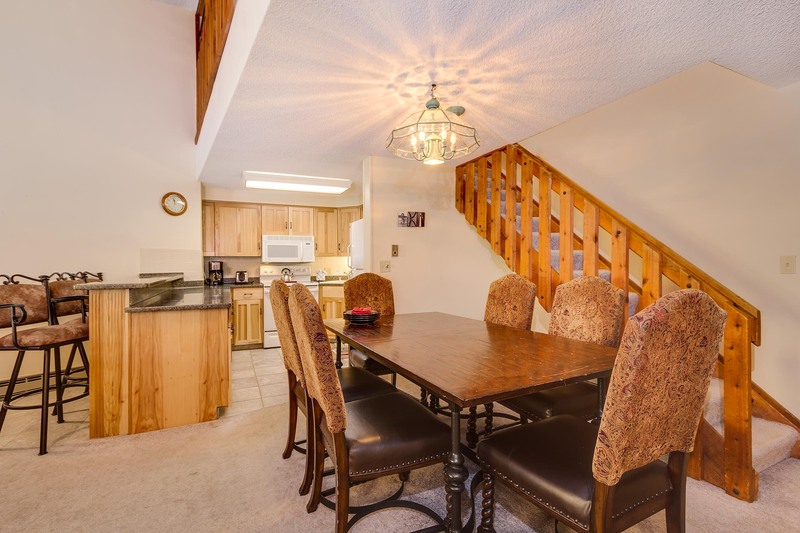 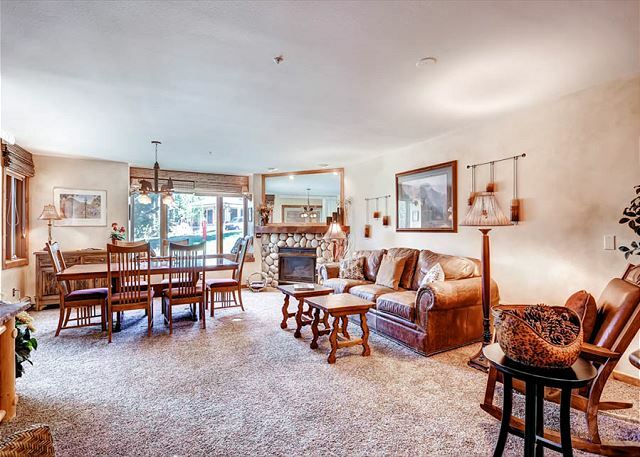 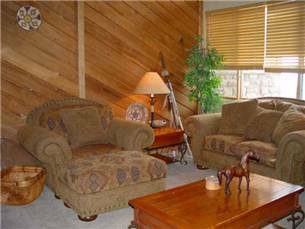 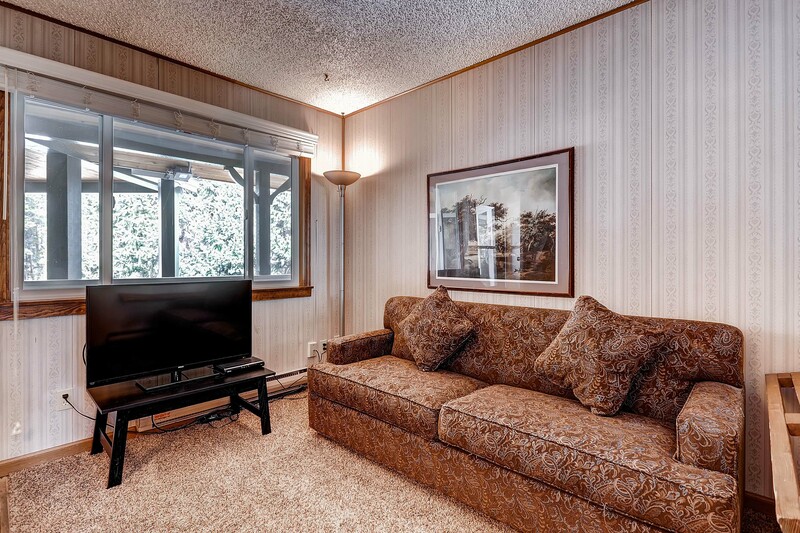 This spacious two bedroom Sawmill Creek condo has been updated and renovated recently to give you a wonderful at home feel. 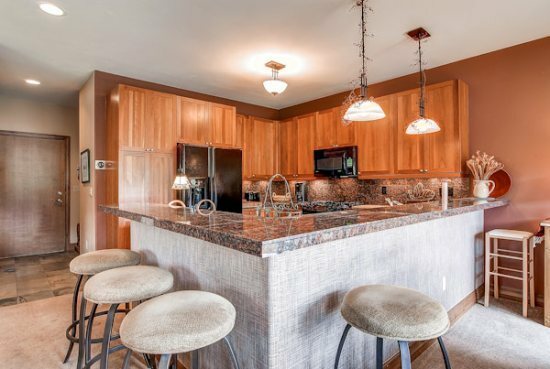 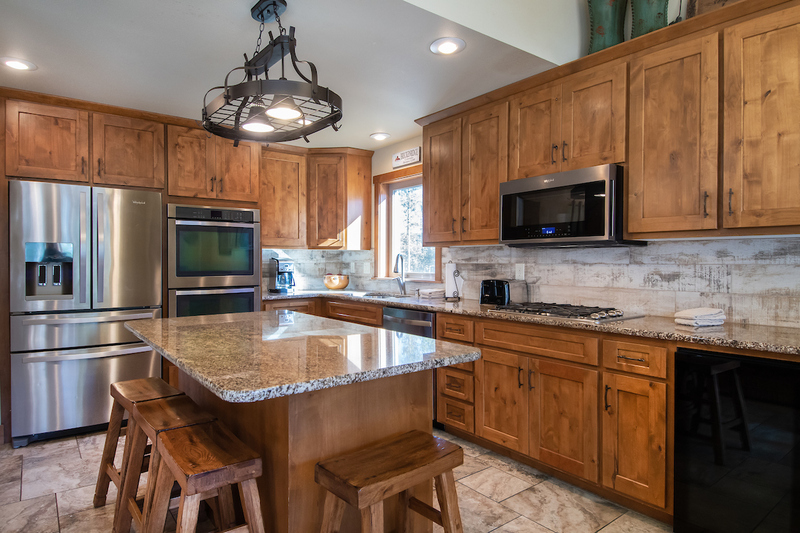 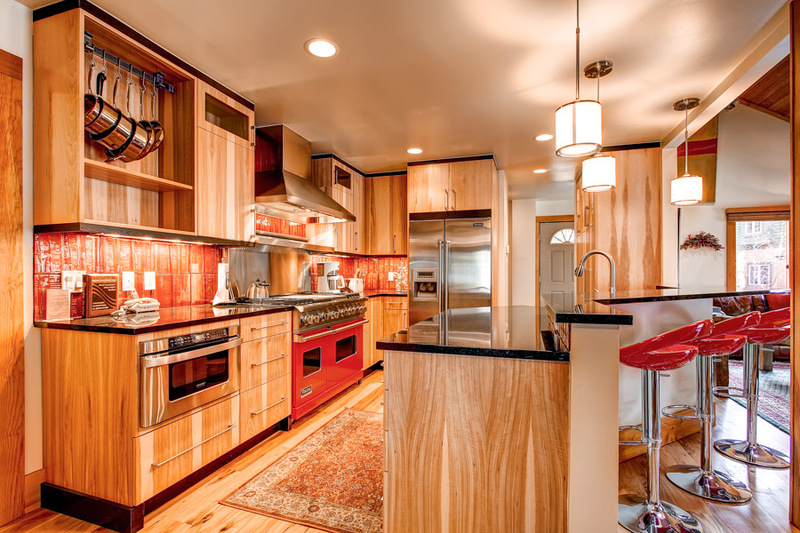 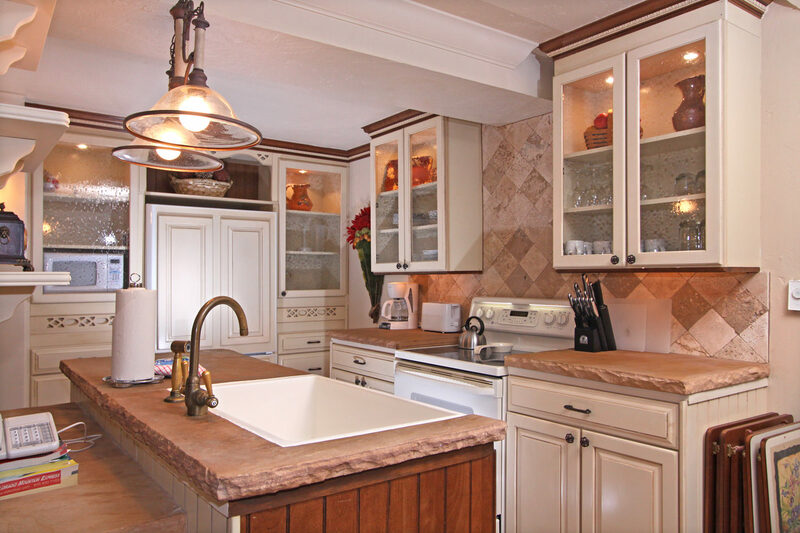 The well-equipped kitchen opens up to the living area where you can watch the new big flat screen TV while snacking at the breakfast bar. 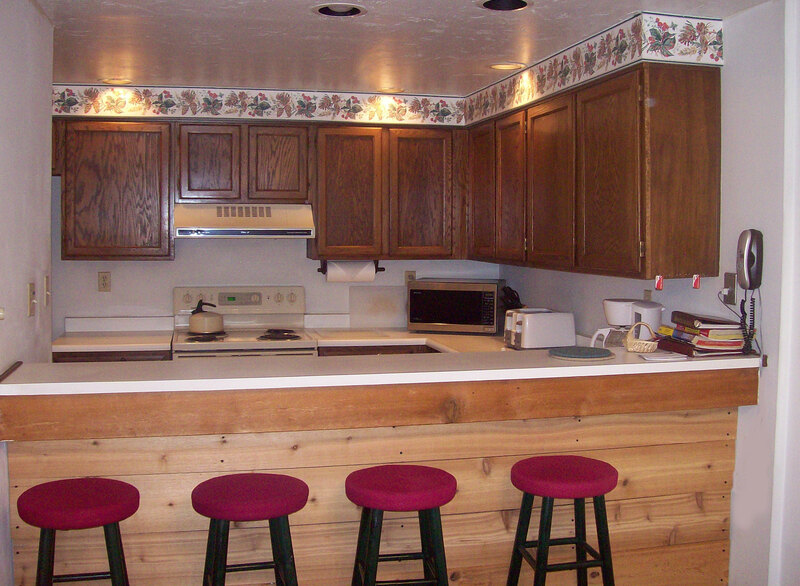 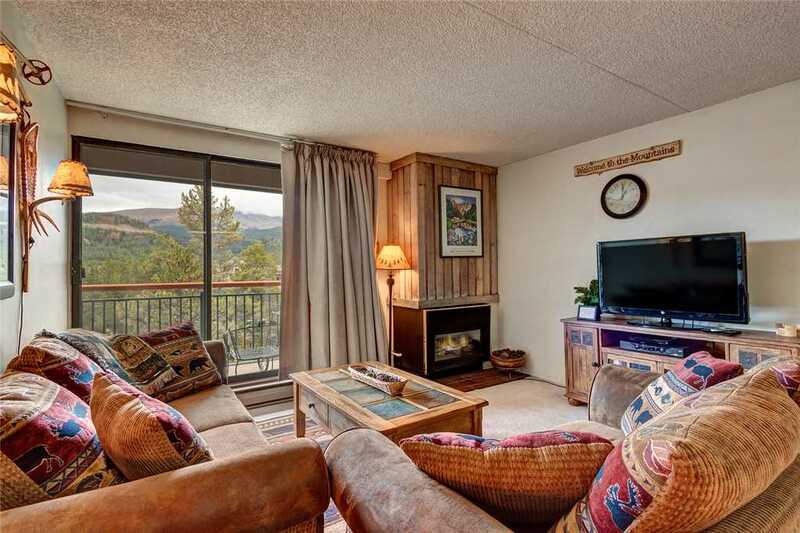 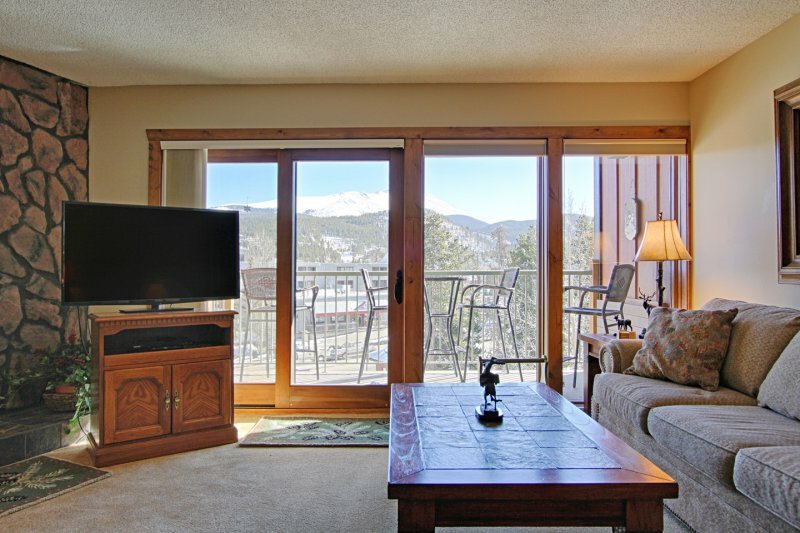 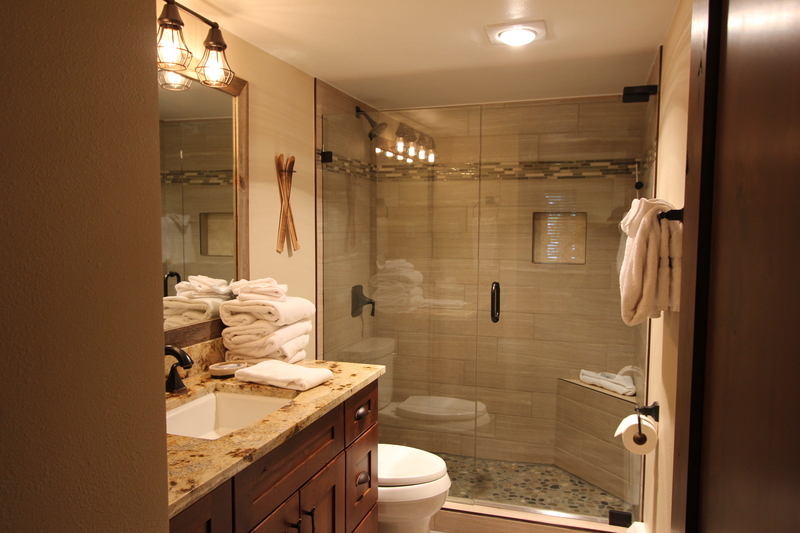 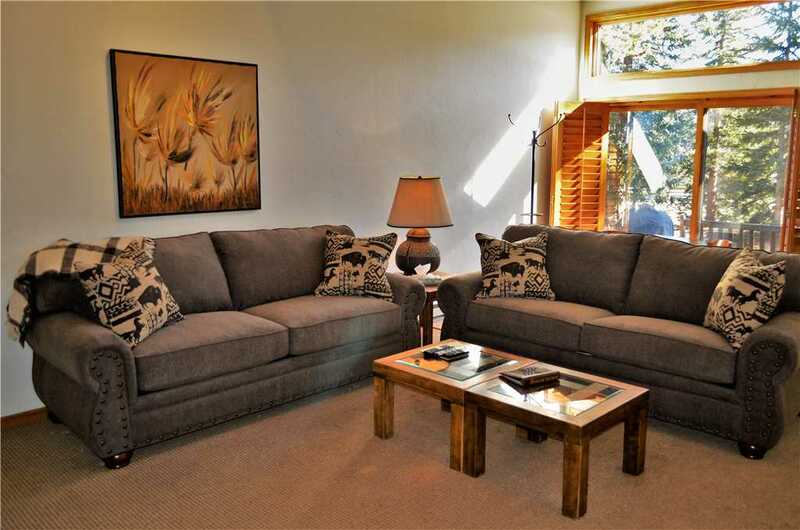 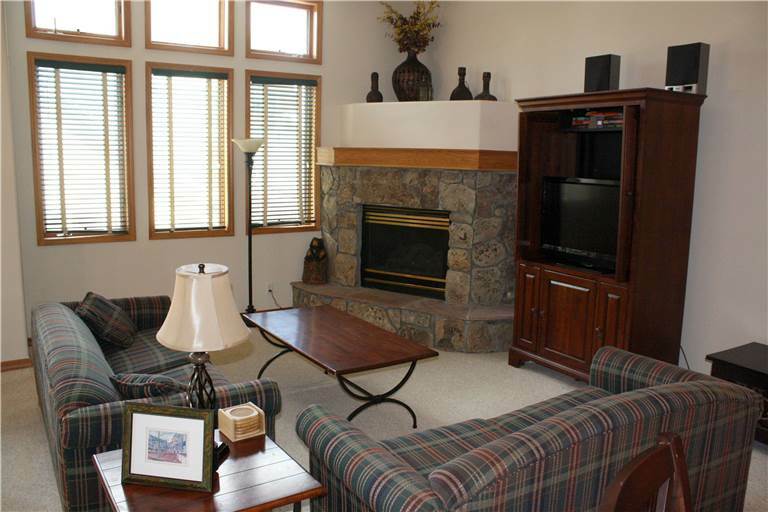 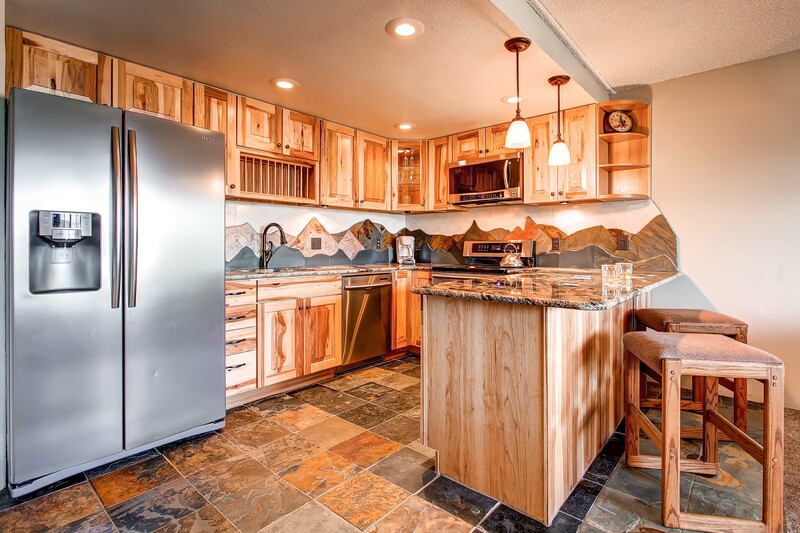 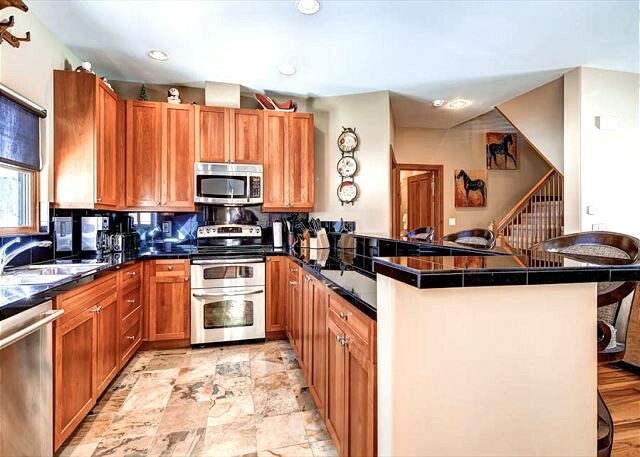 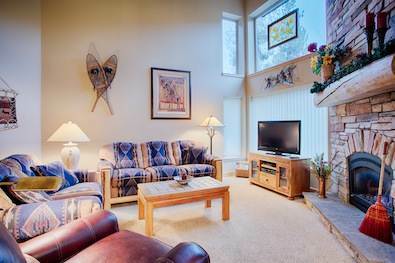 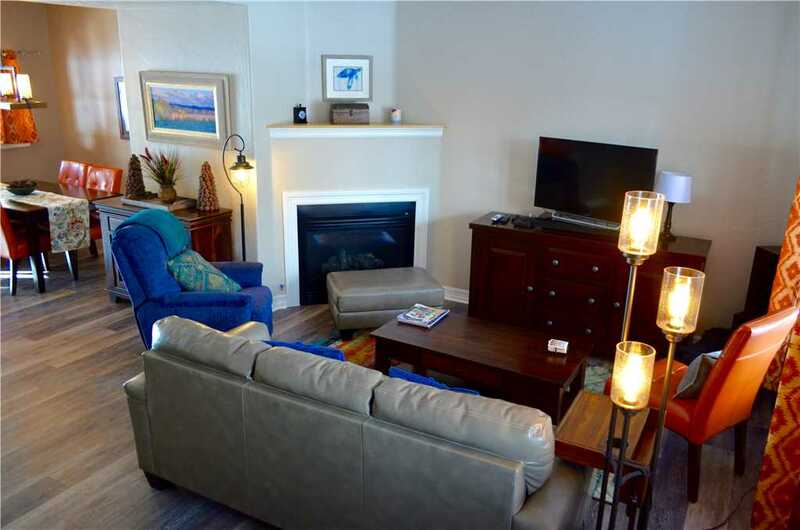 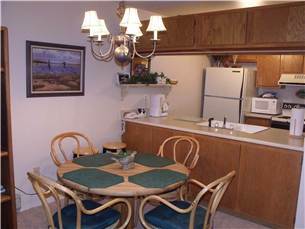 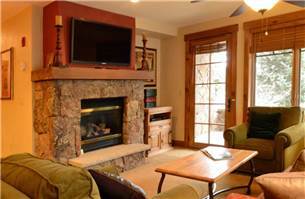 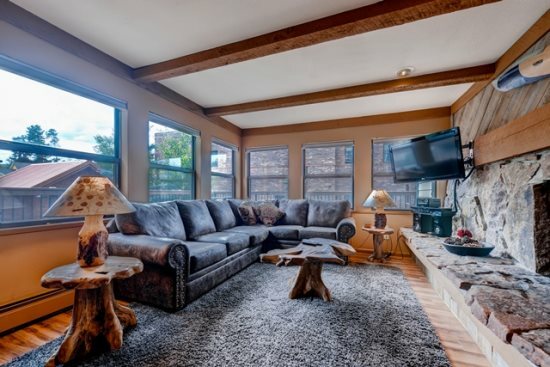 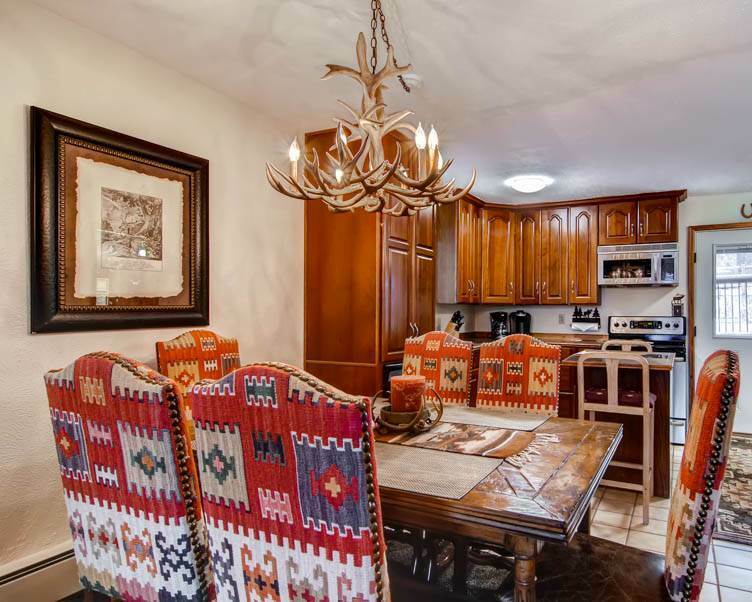 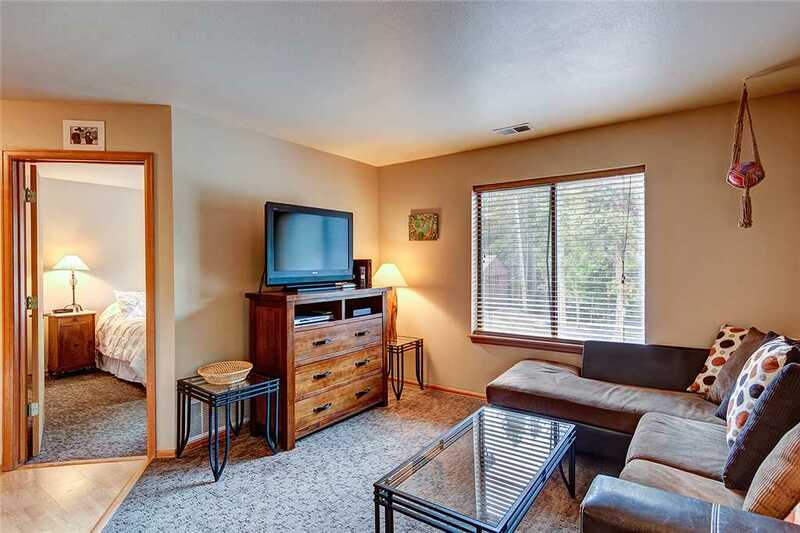 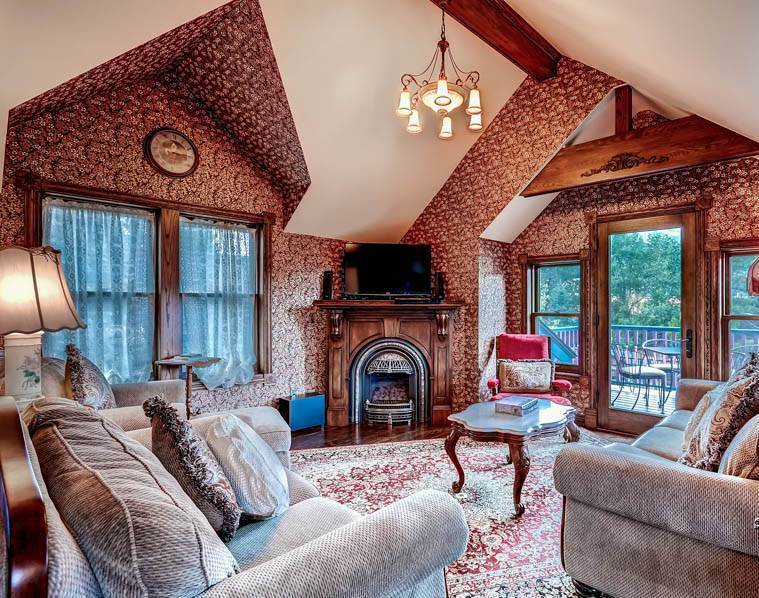 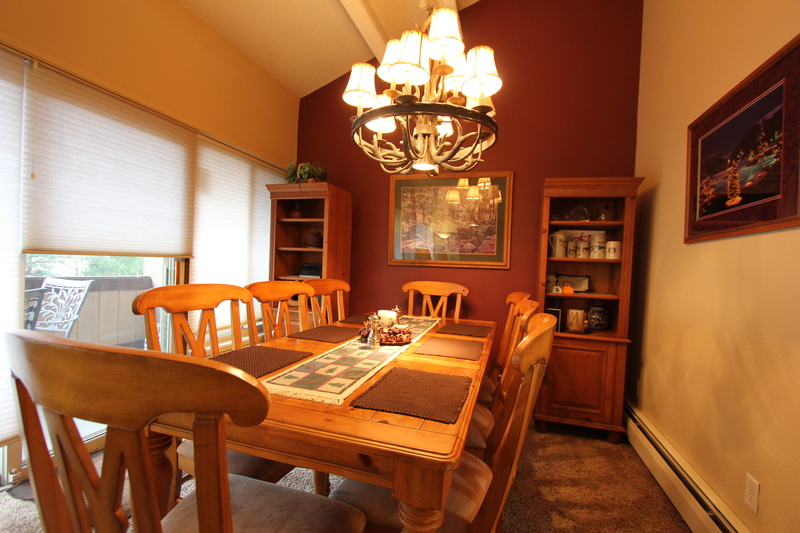 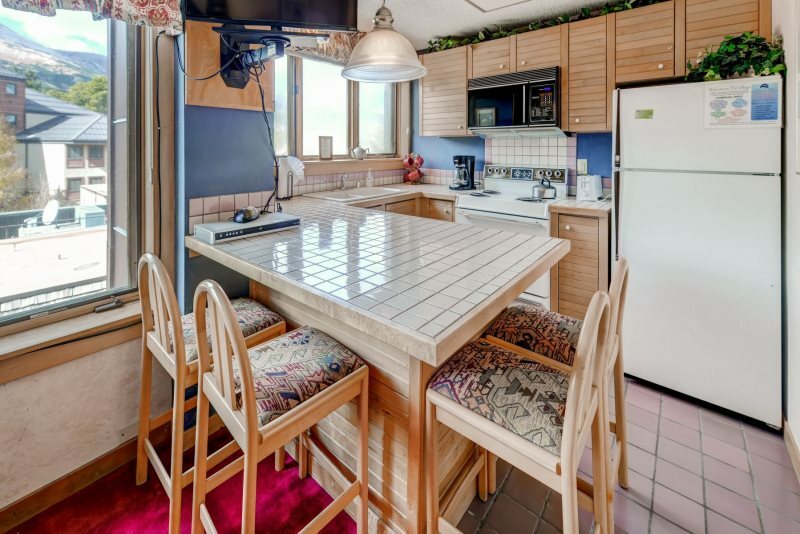 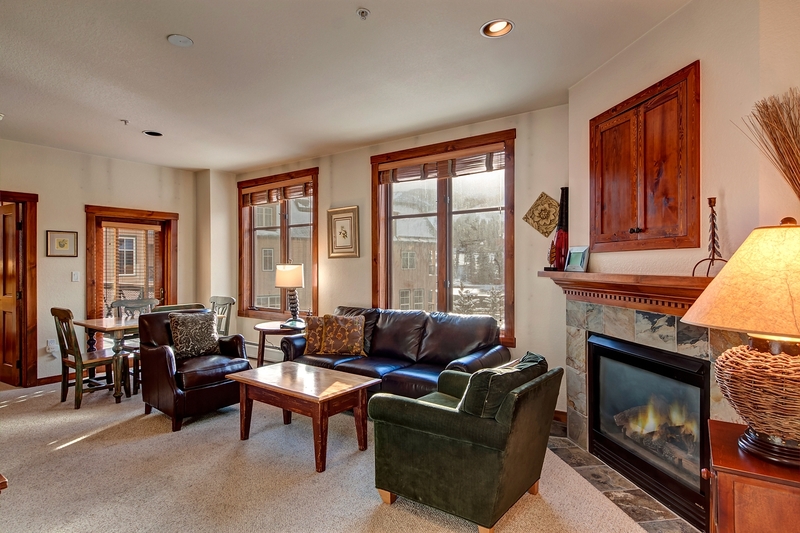 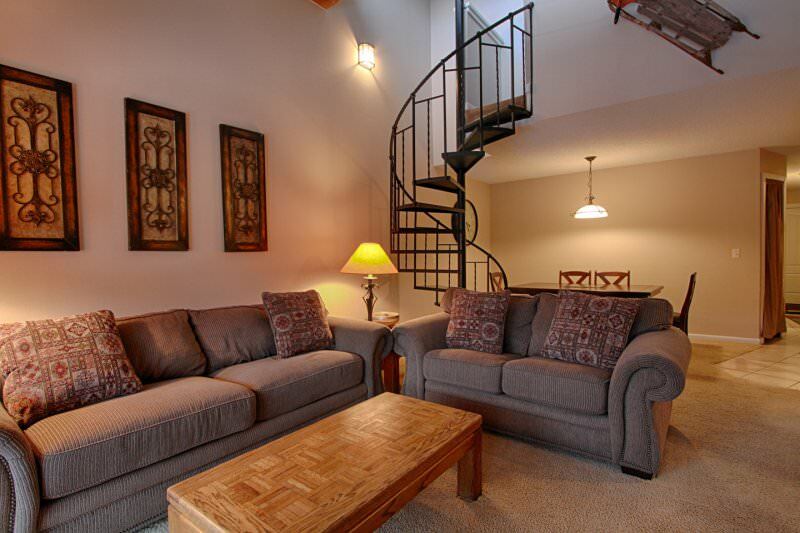 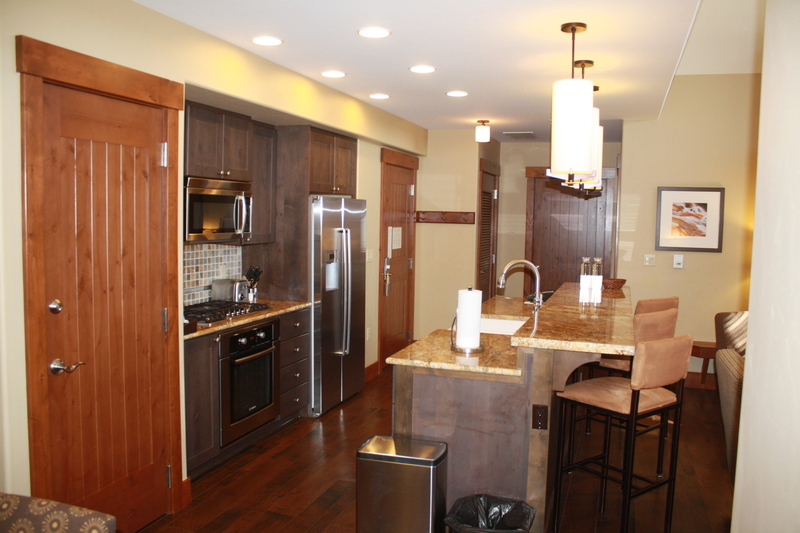 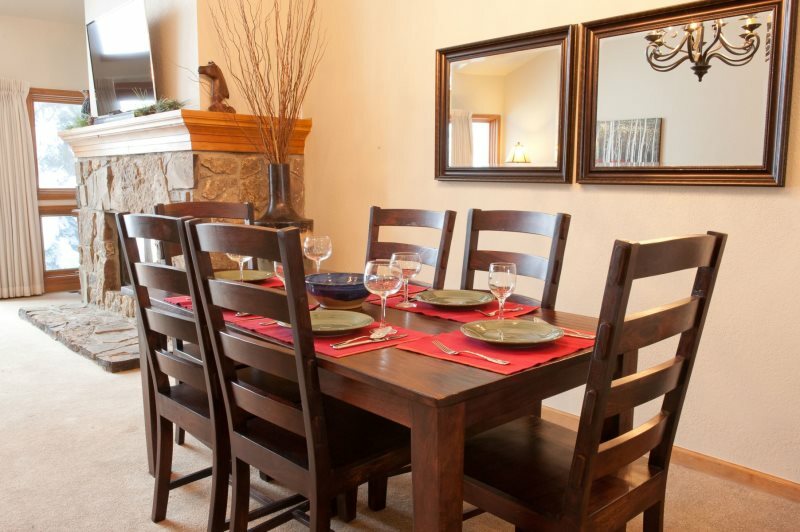 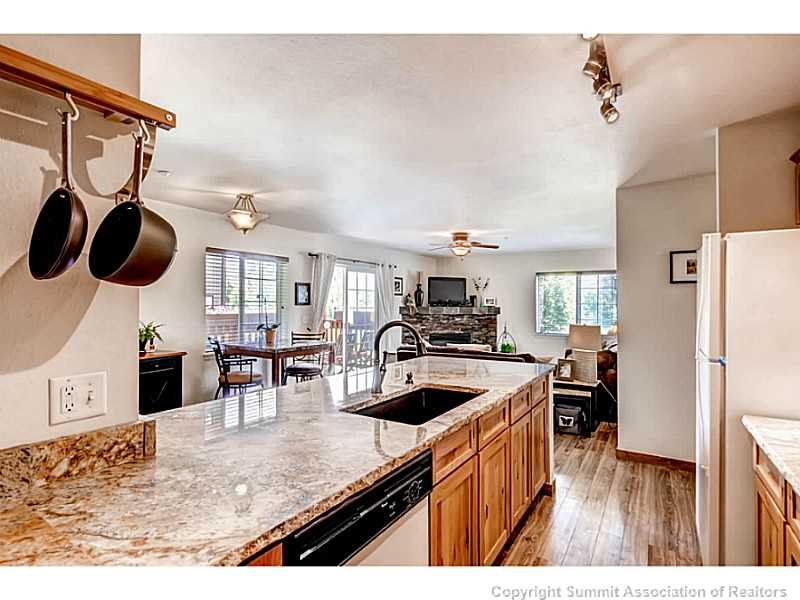 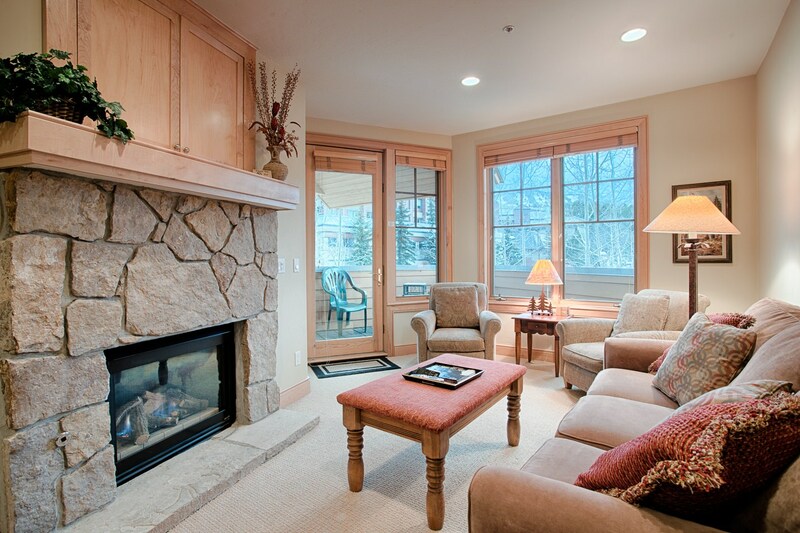 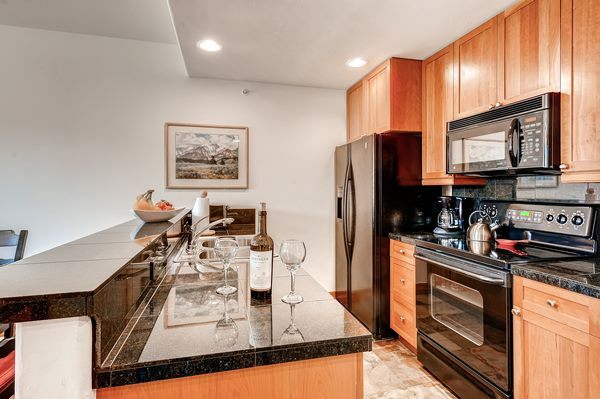 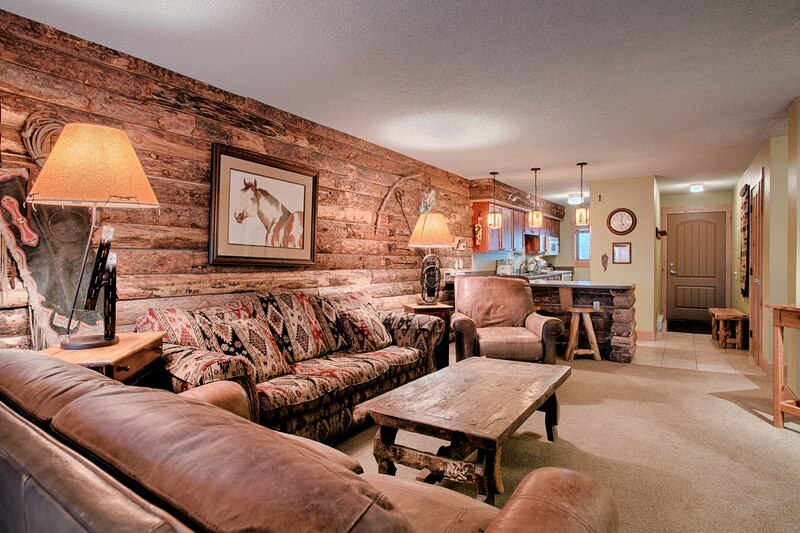 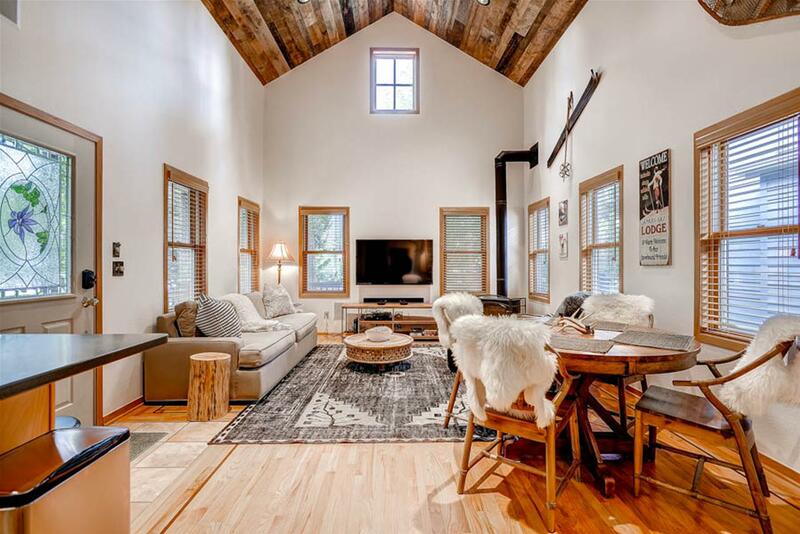 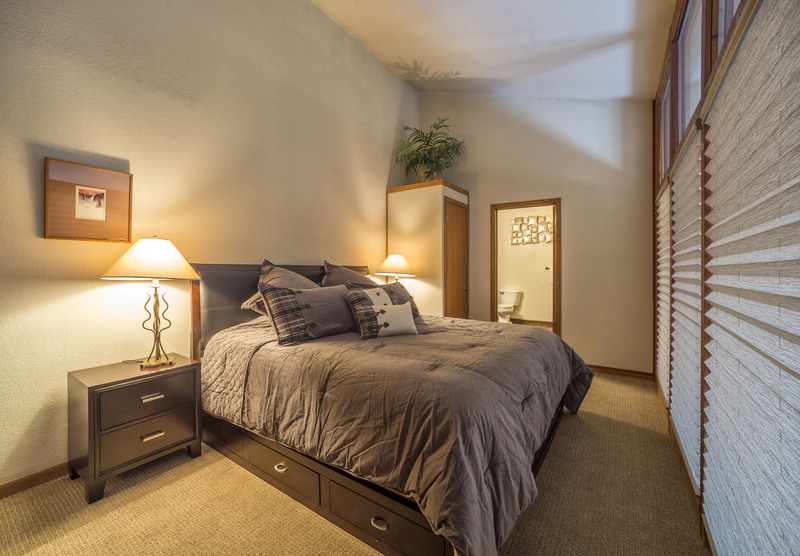 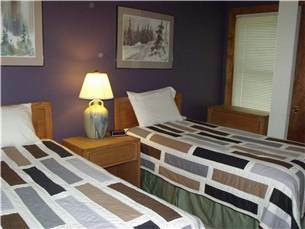 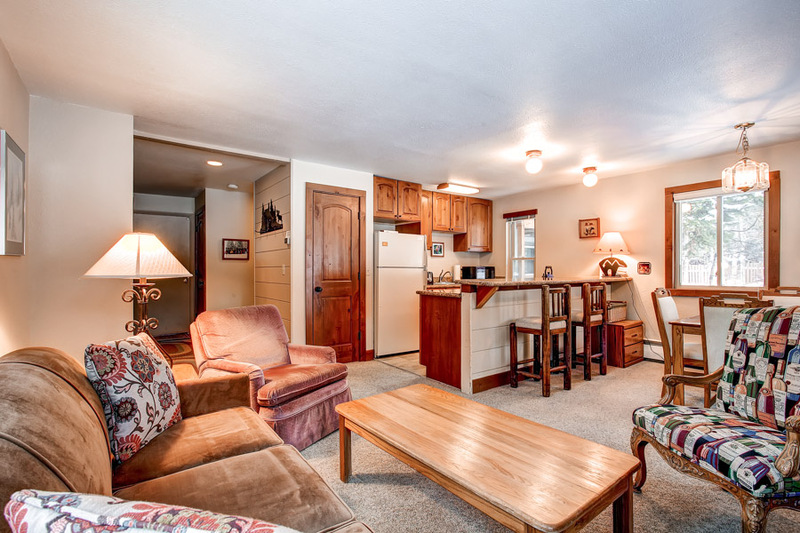 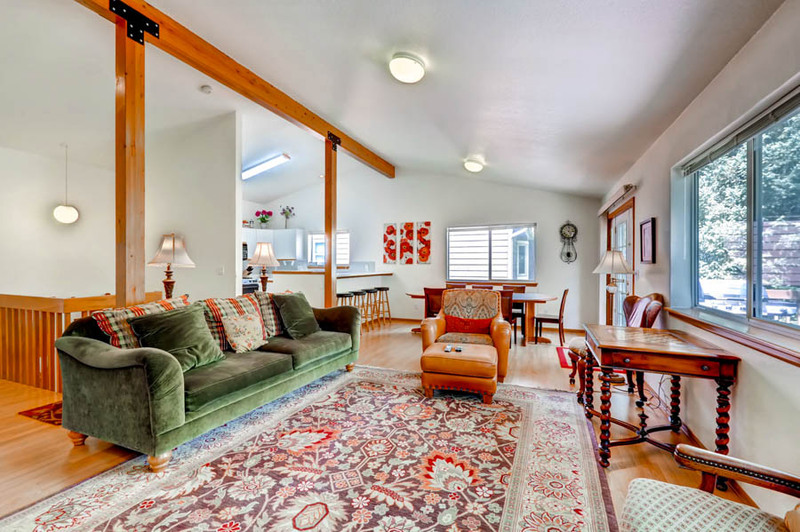 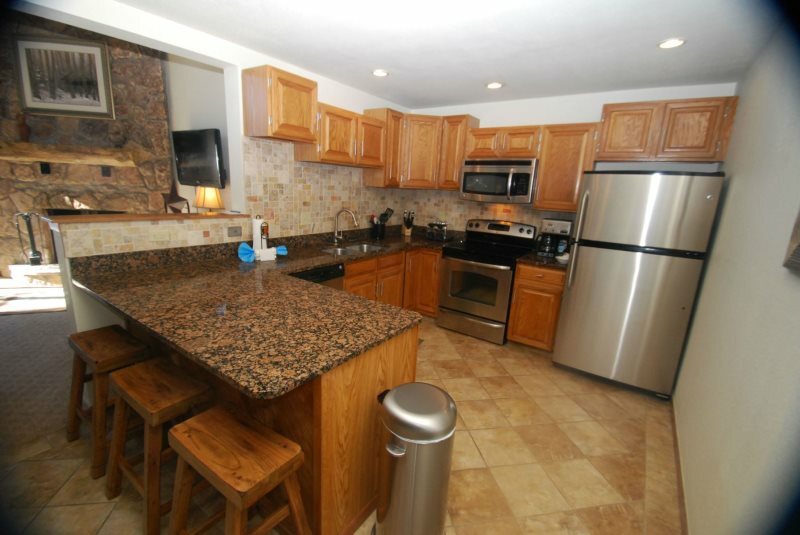 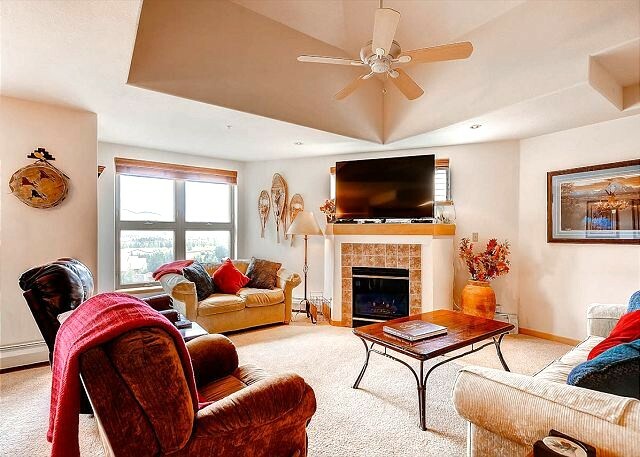 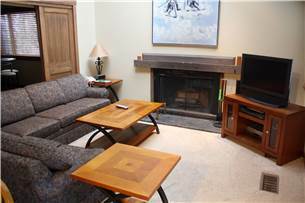 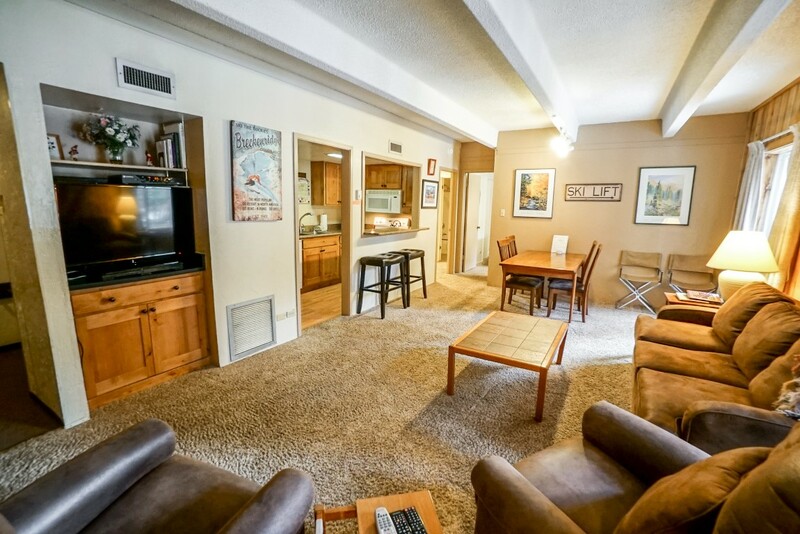 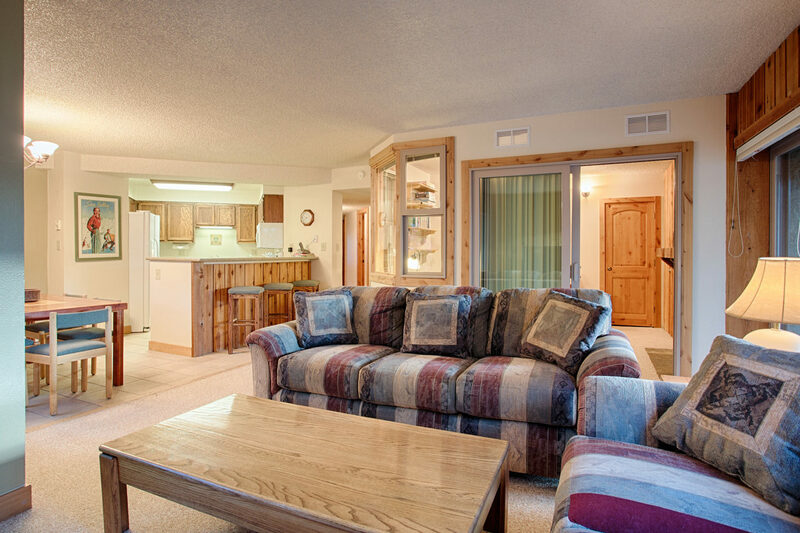 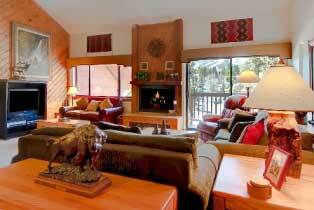 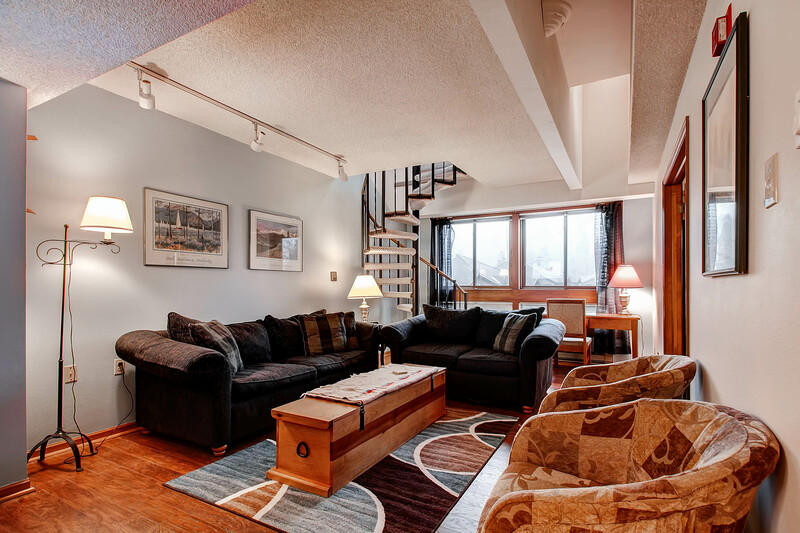 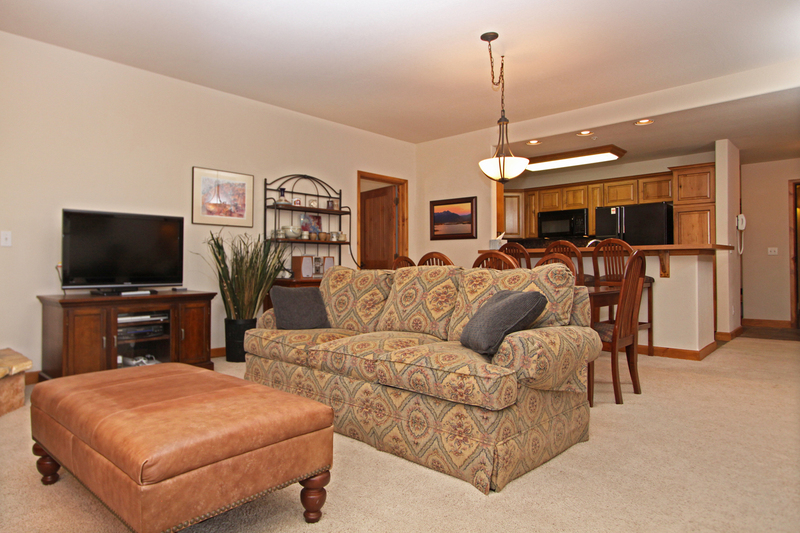 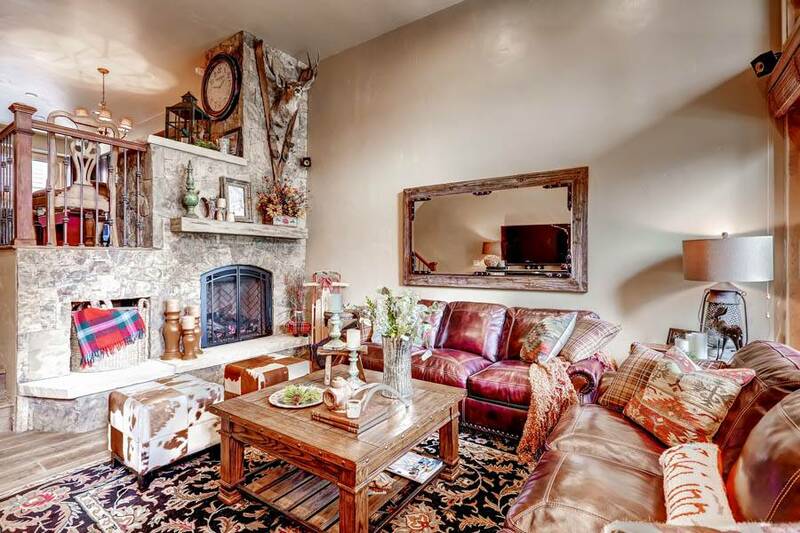 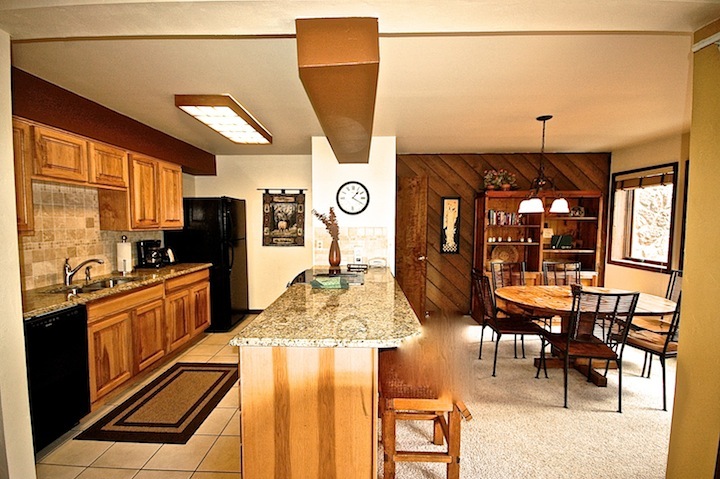 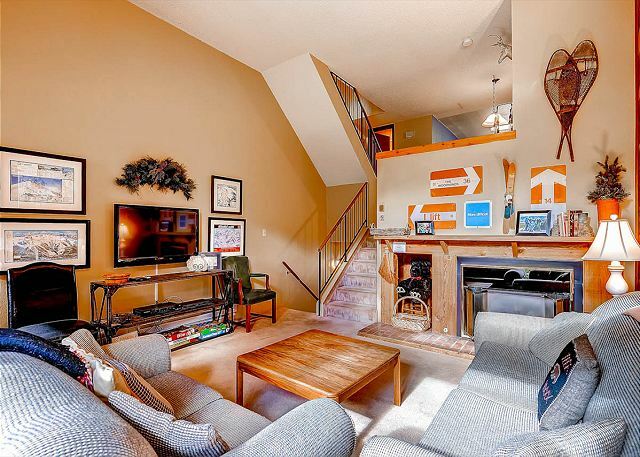 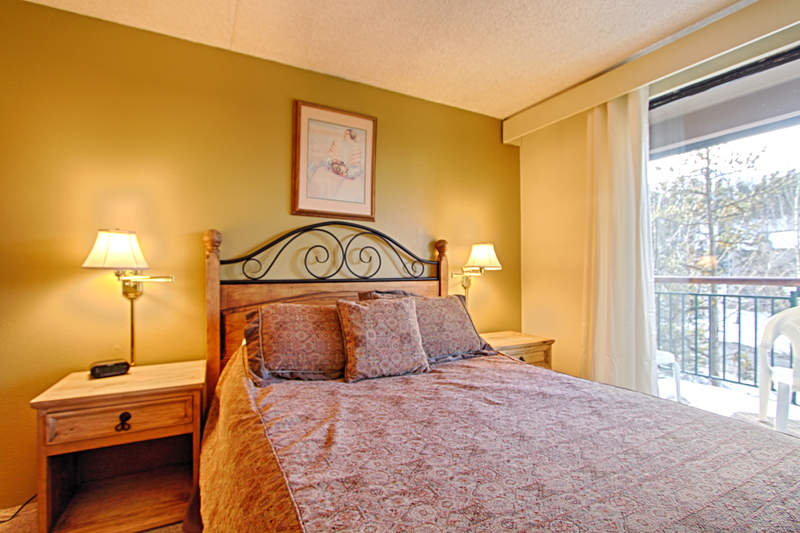 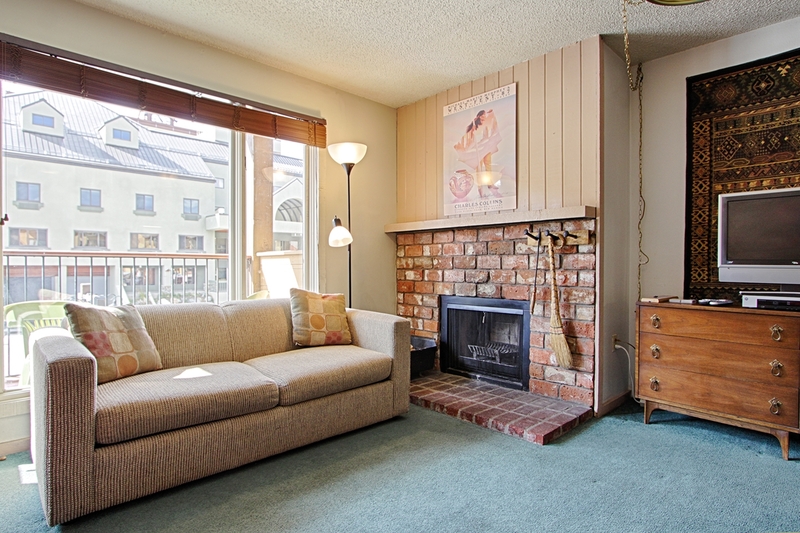 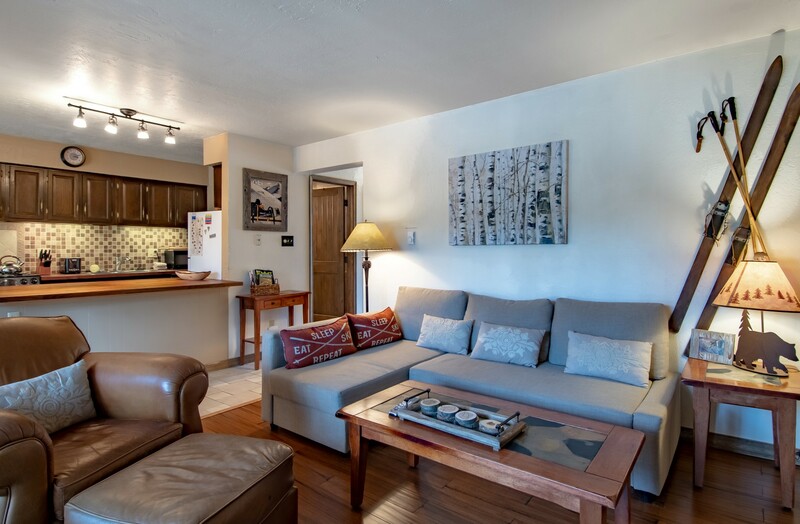 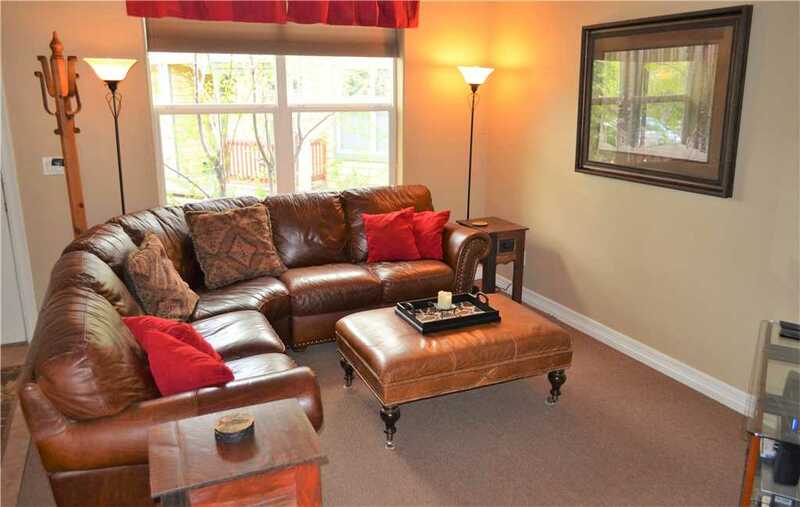 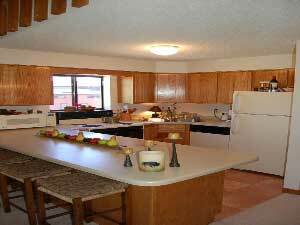 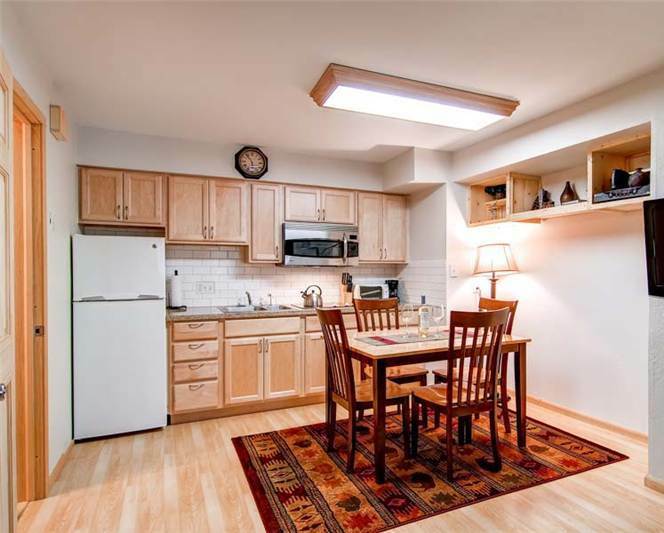 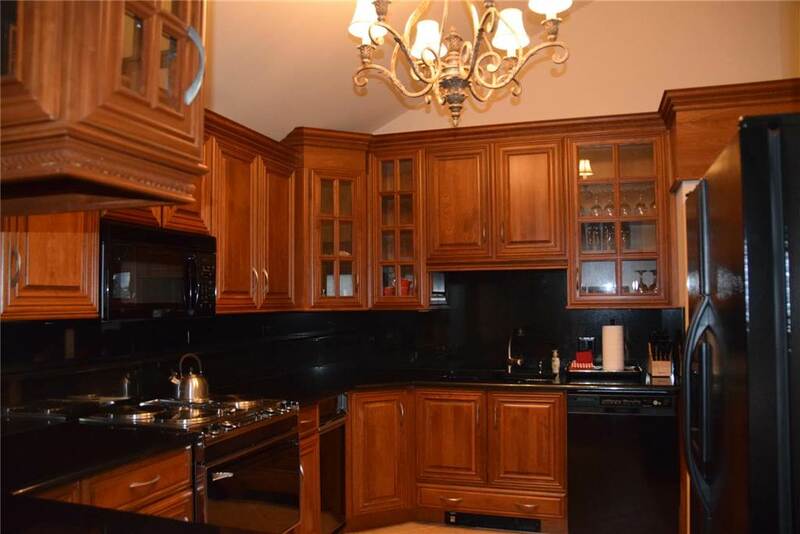 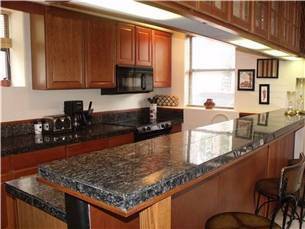 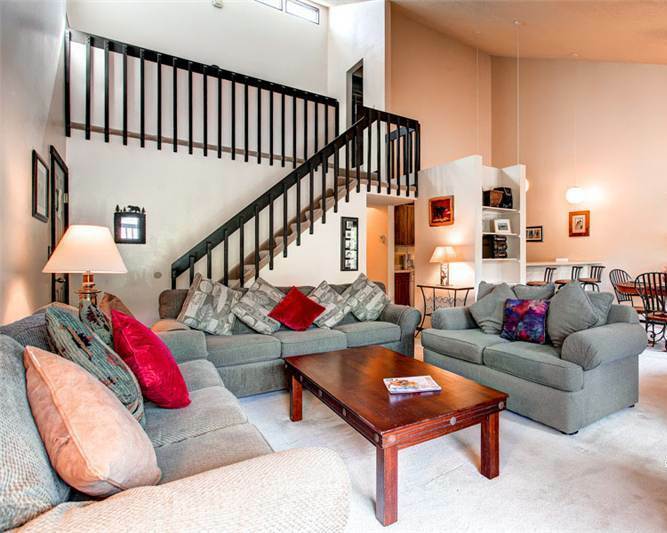 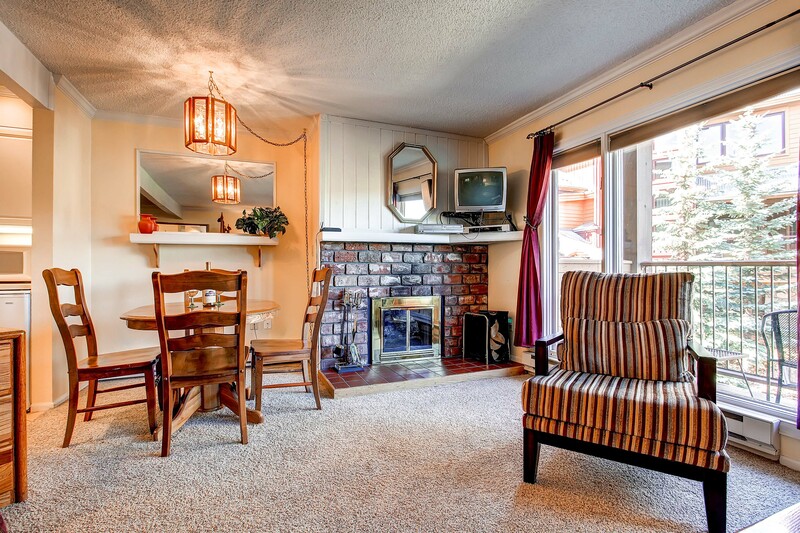 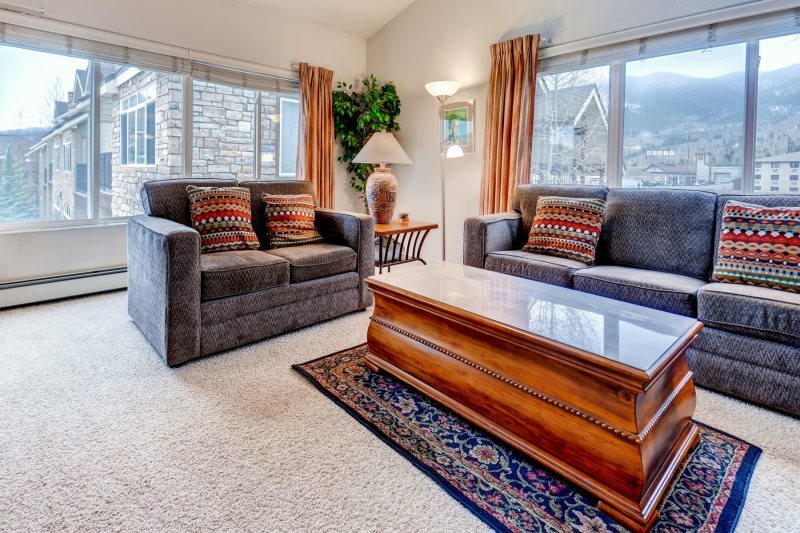 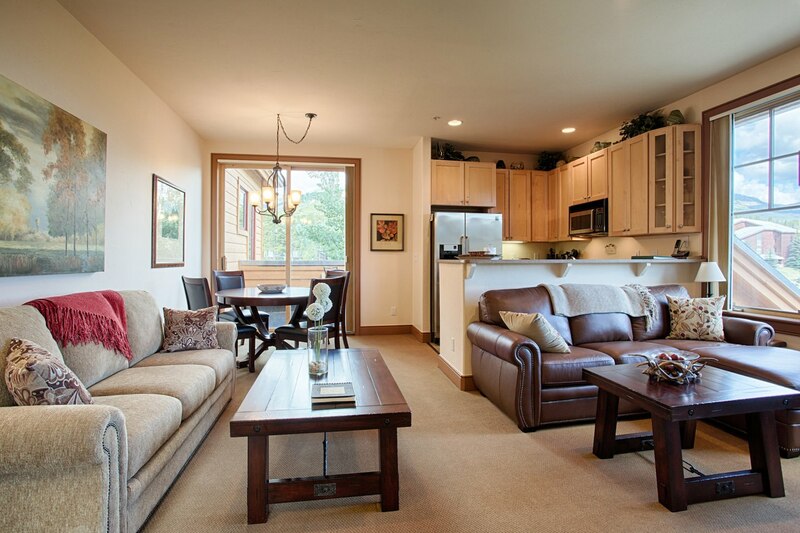 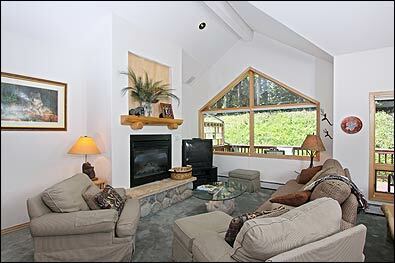 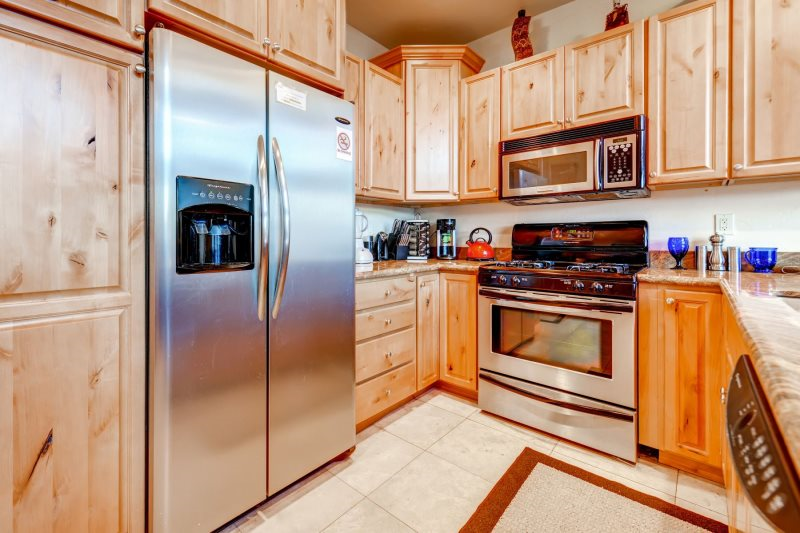 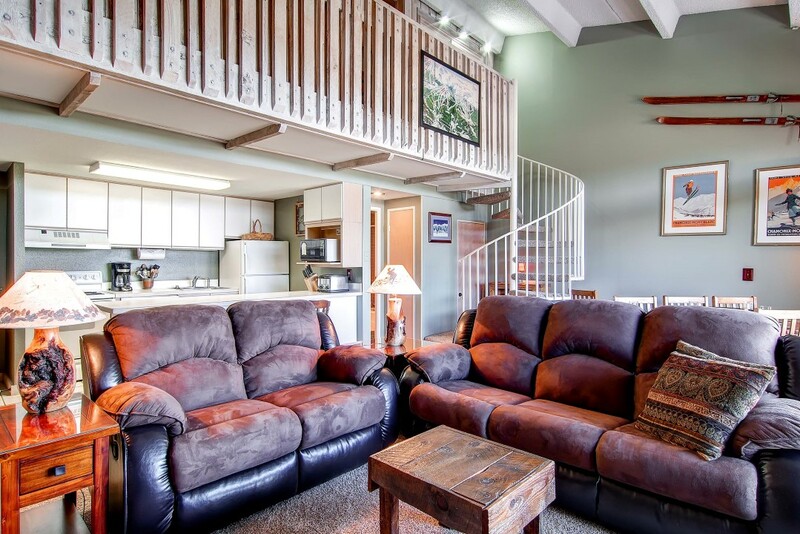 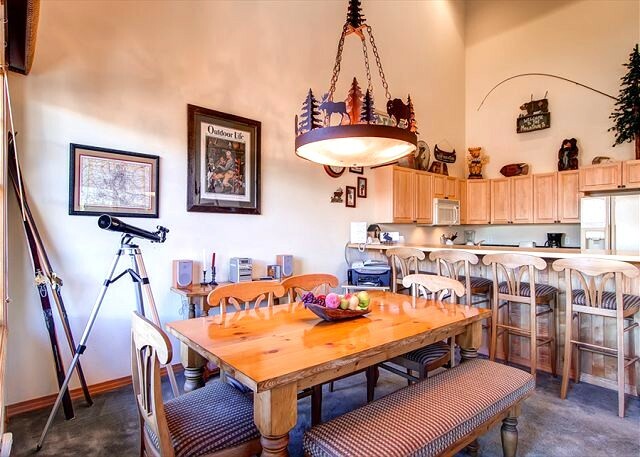 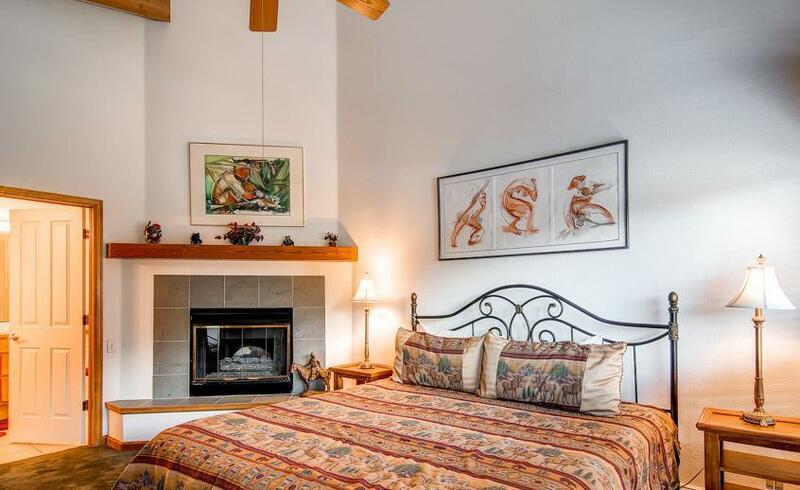 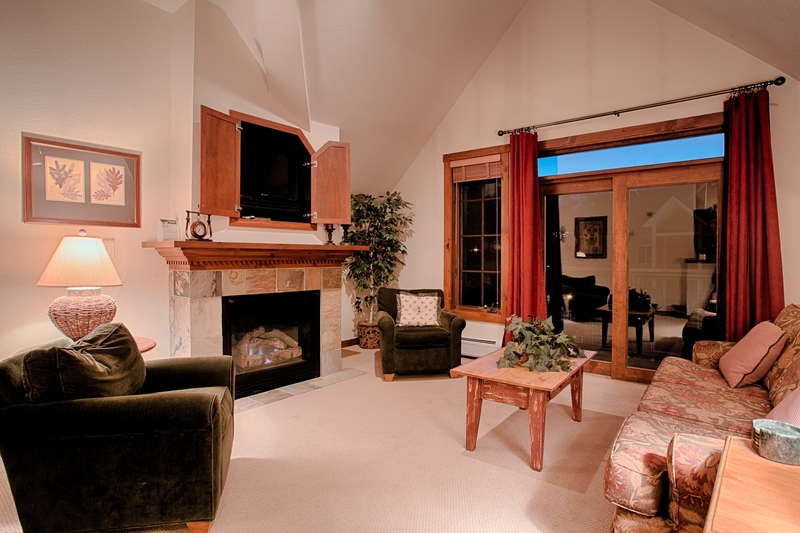 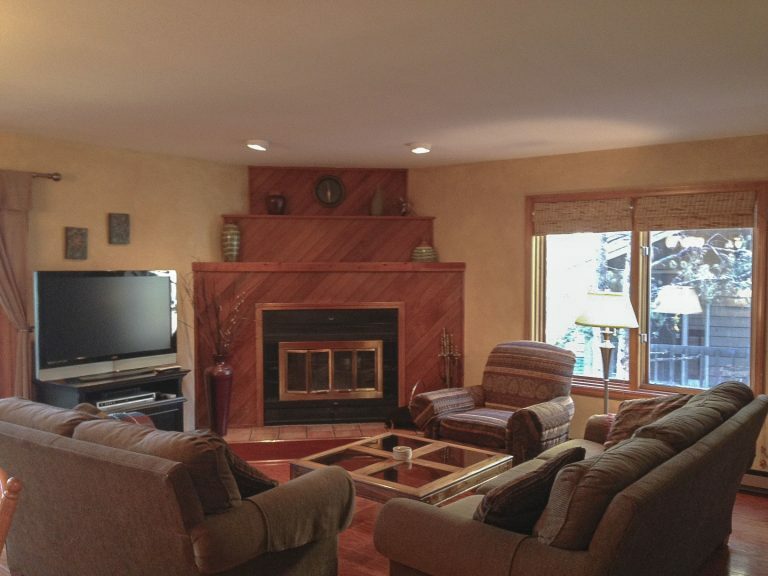 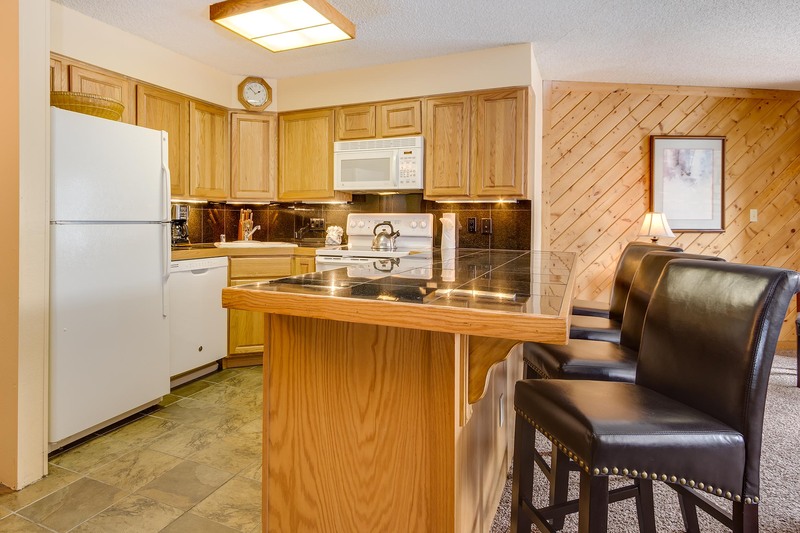 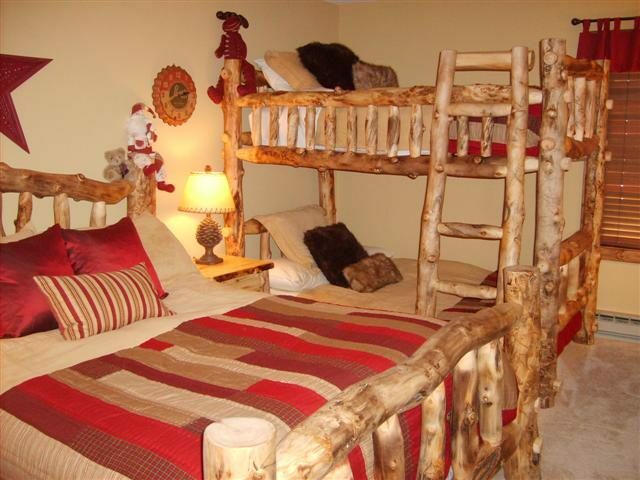 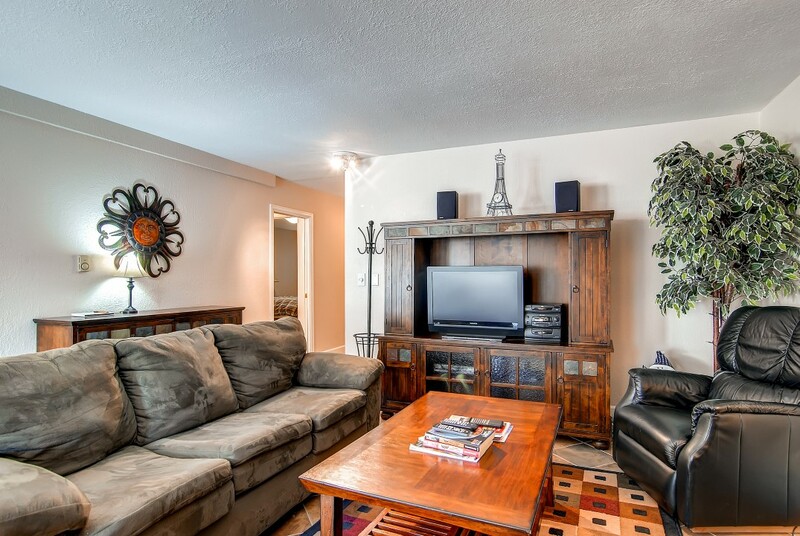 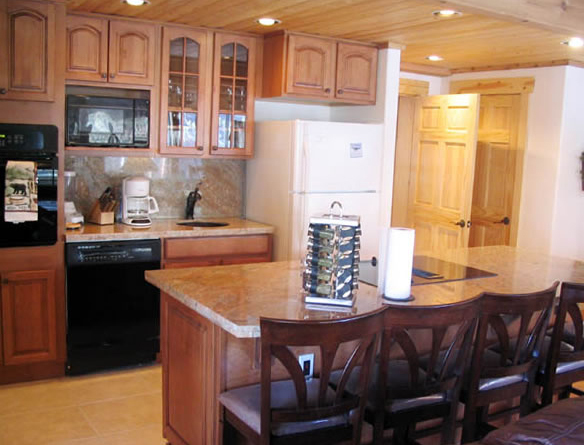 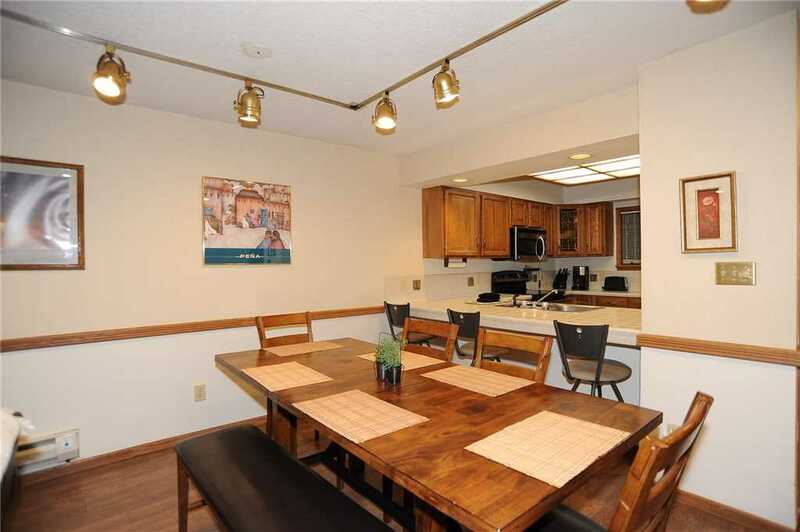 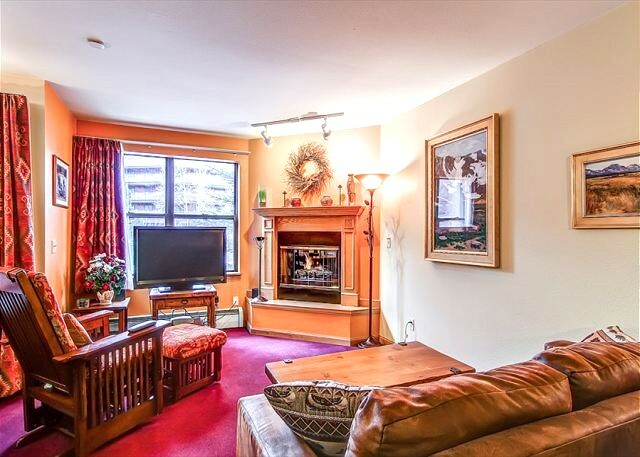 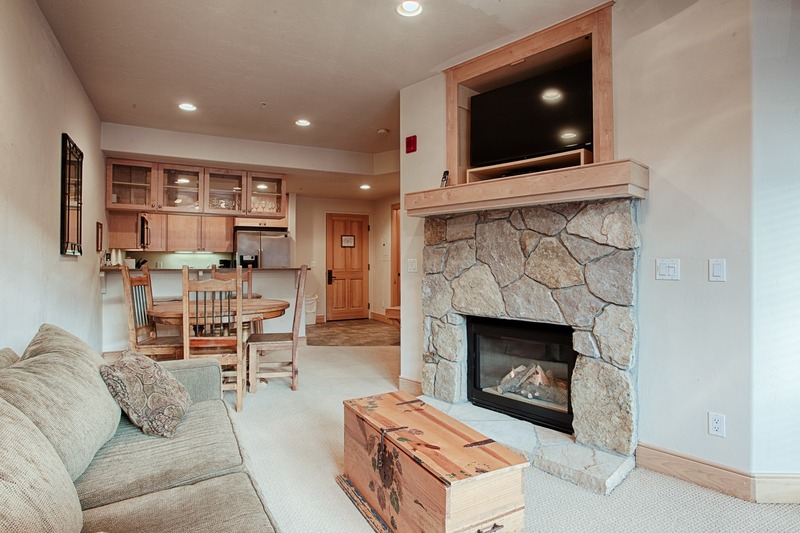 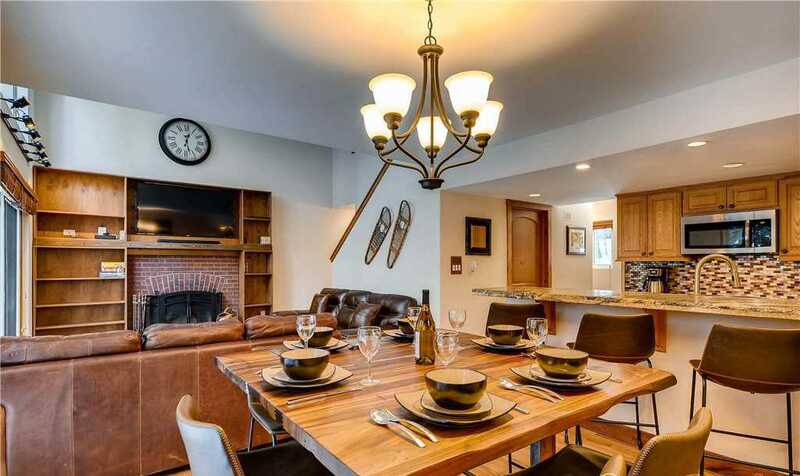 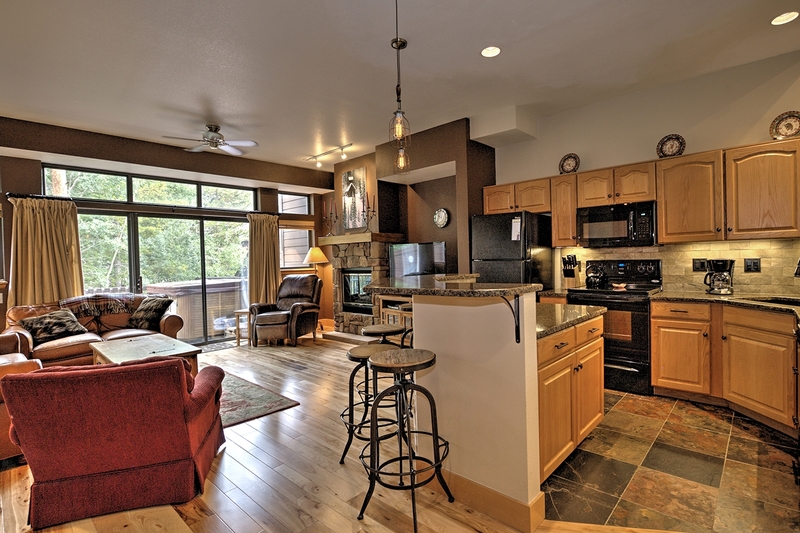 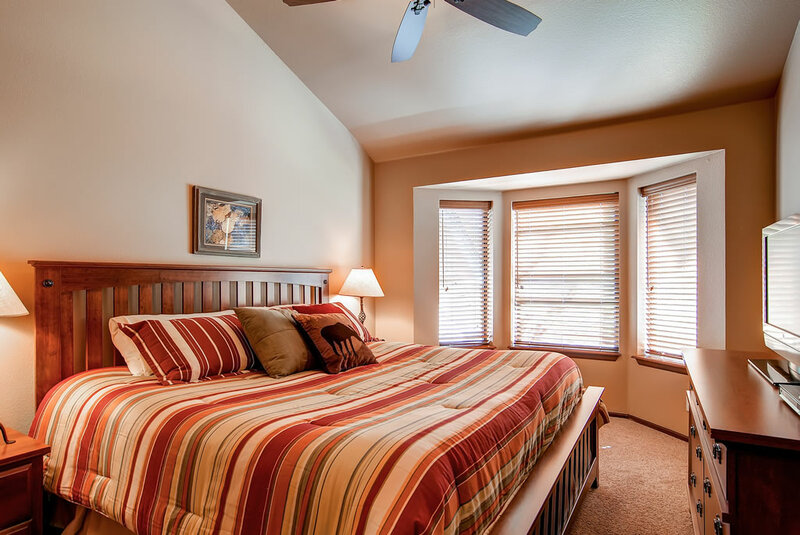 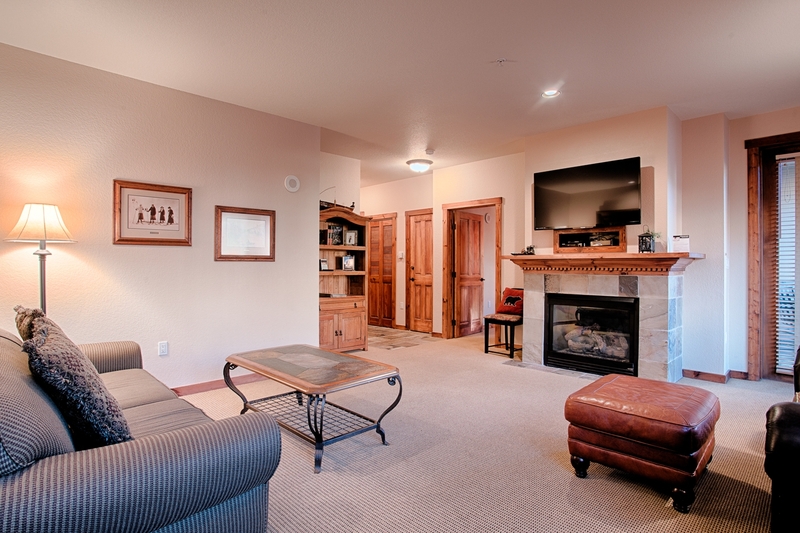 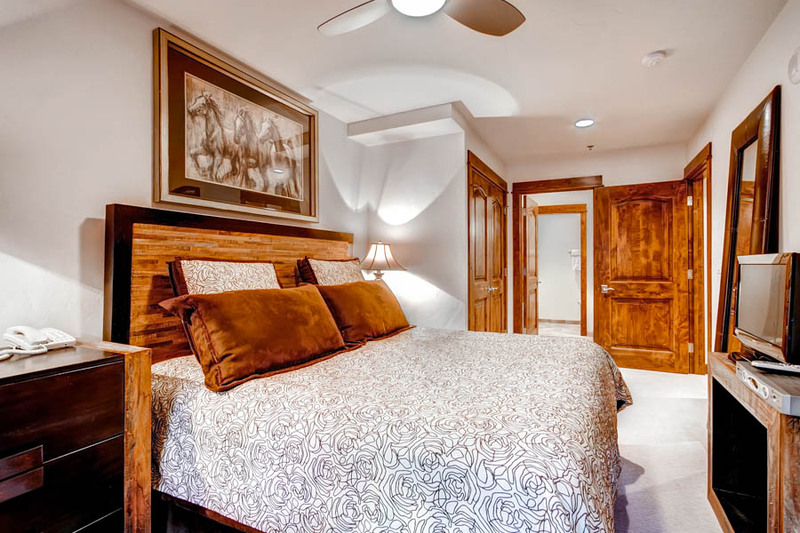 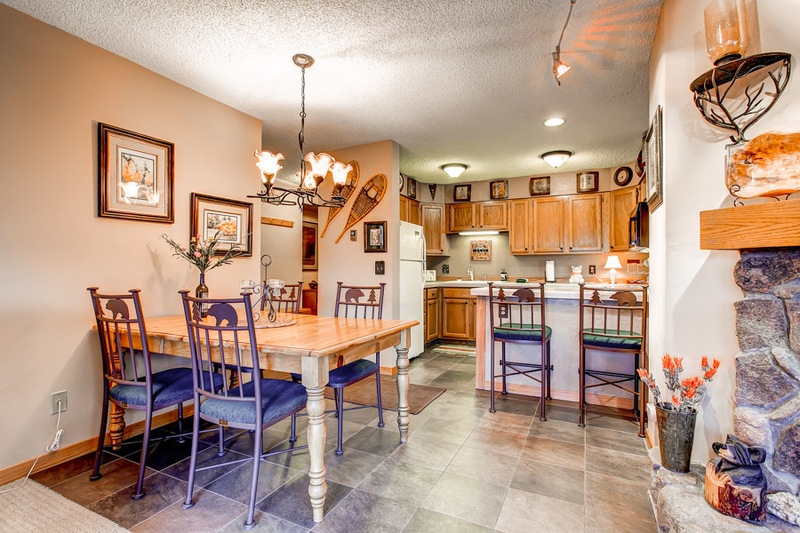 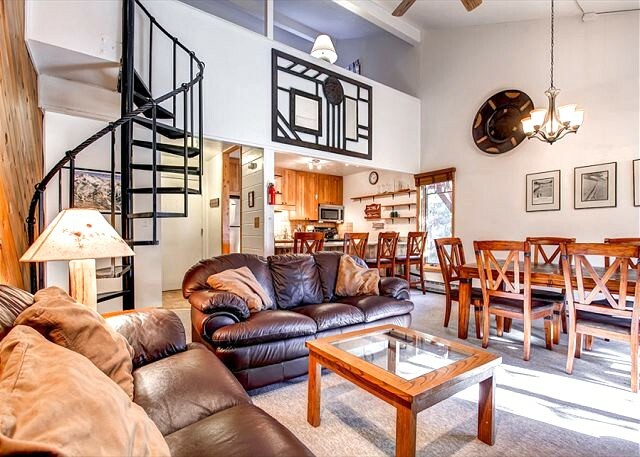 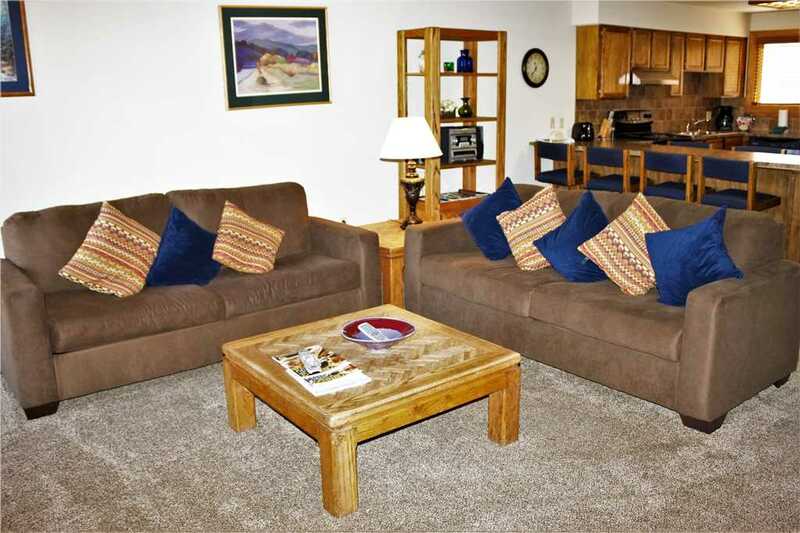 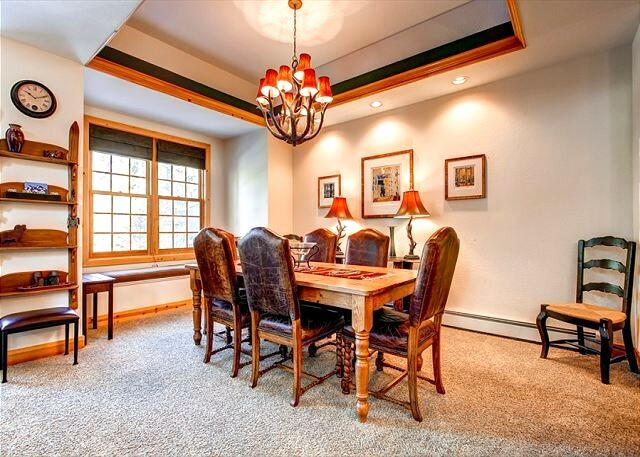 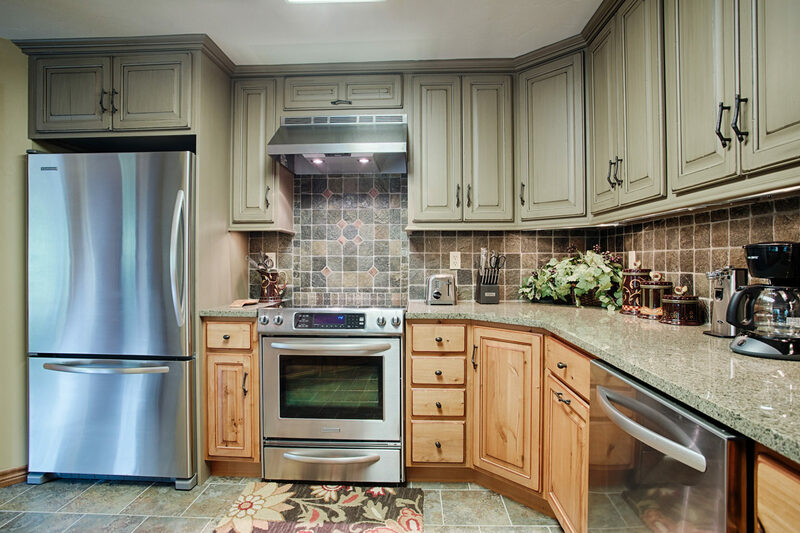 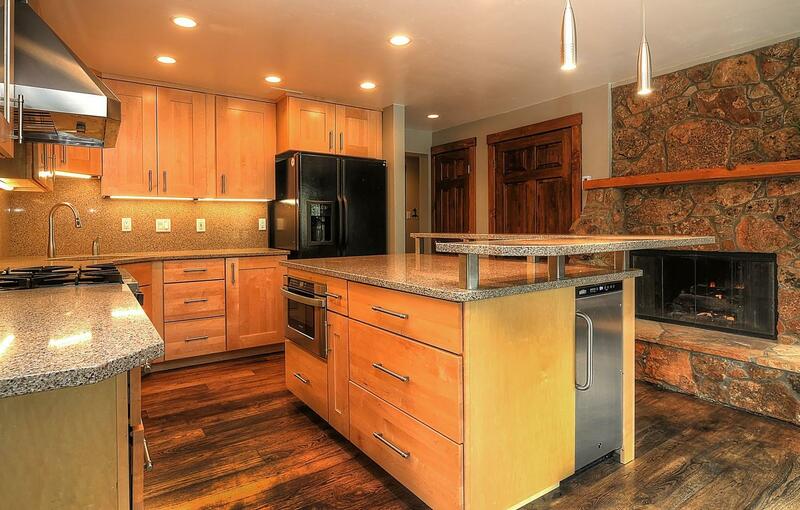 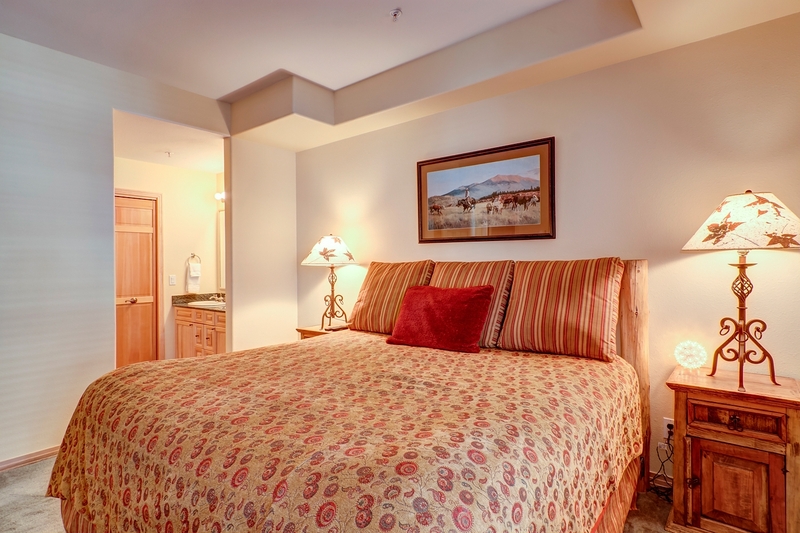 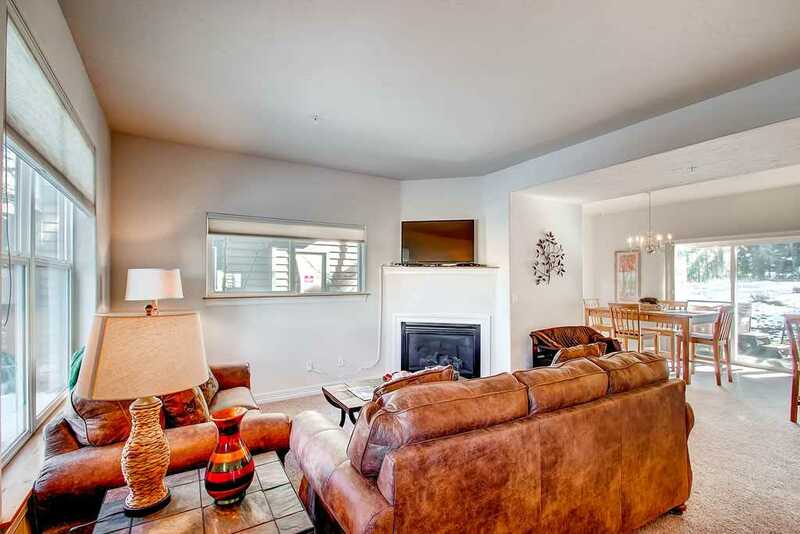 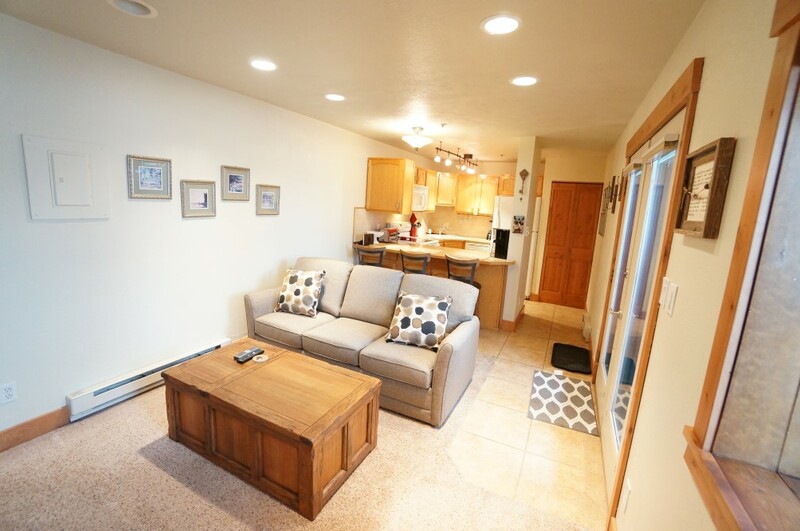 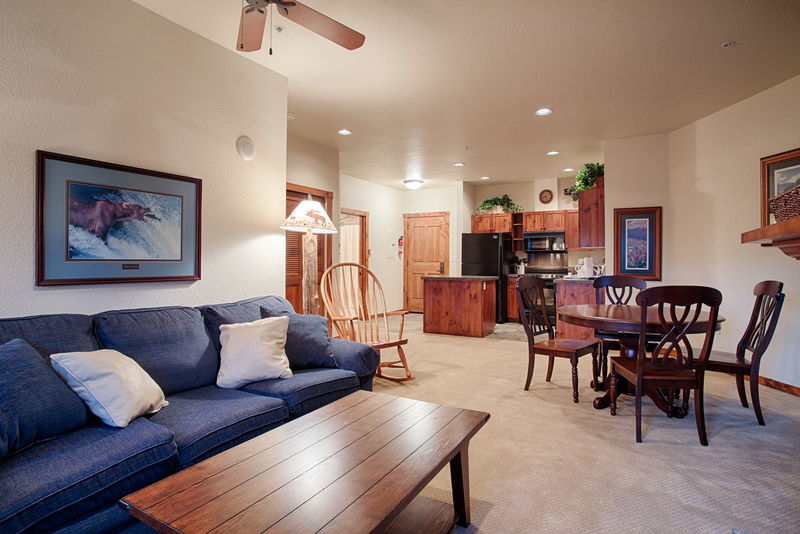 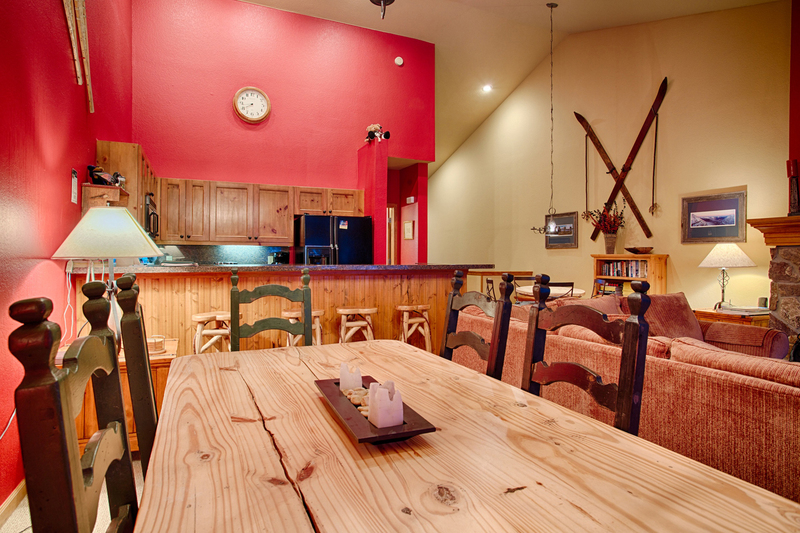 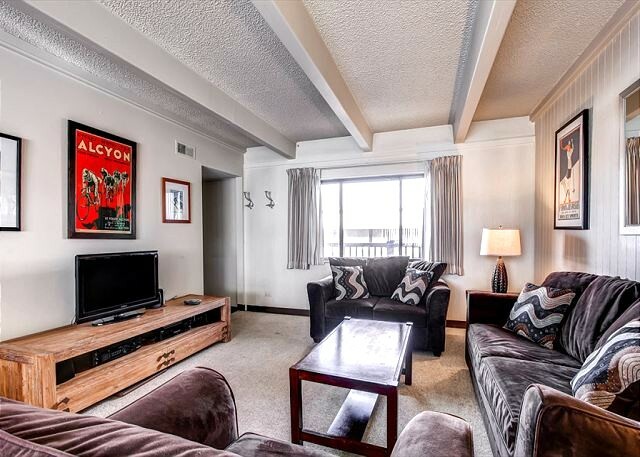 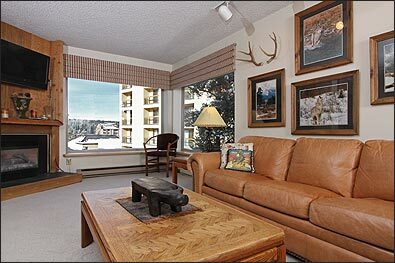 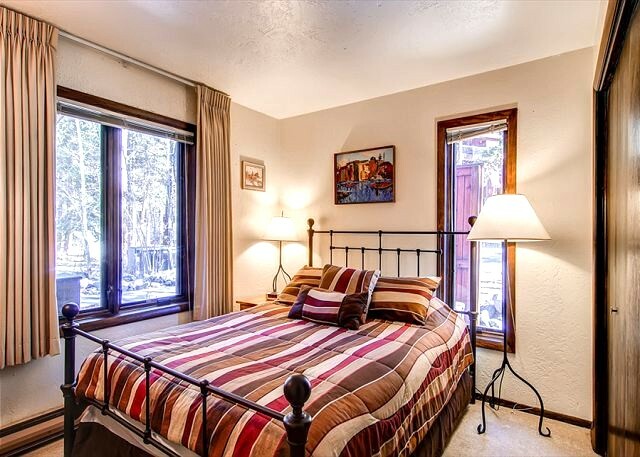 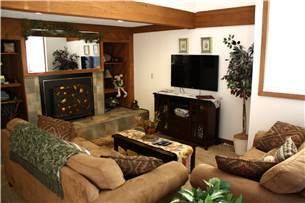 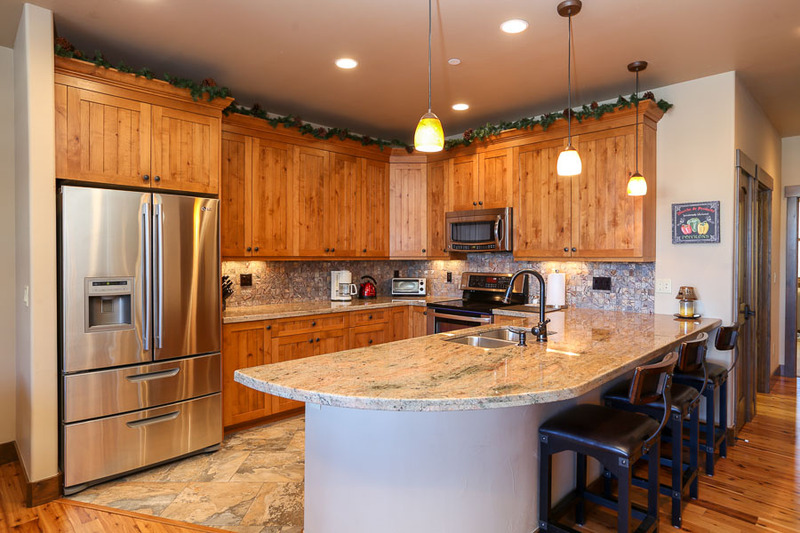 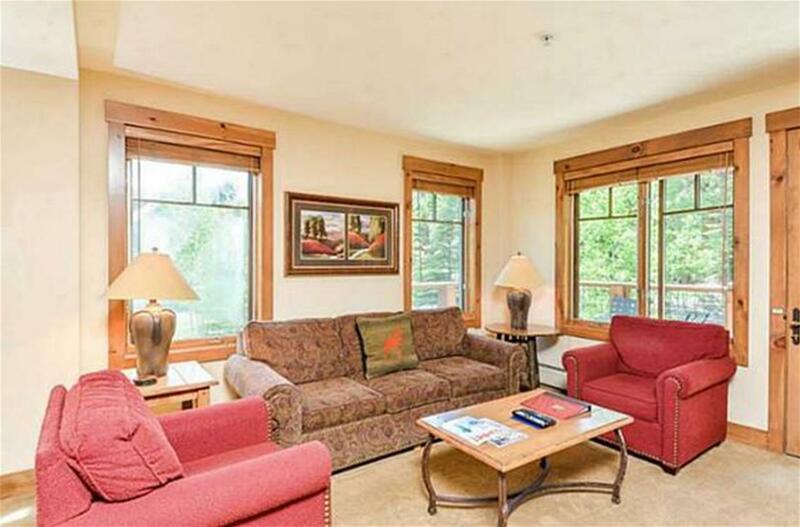 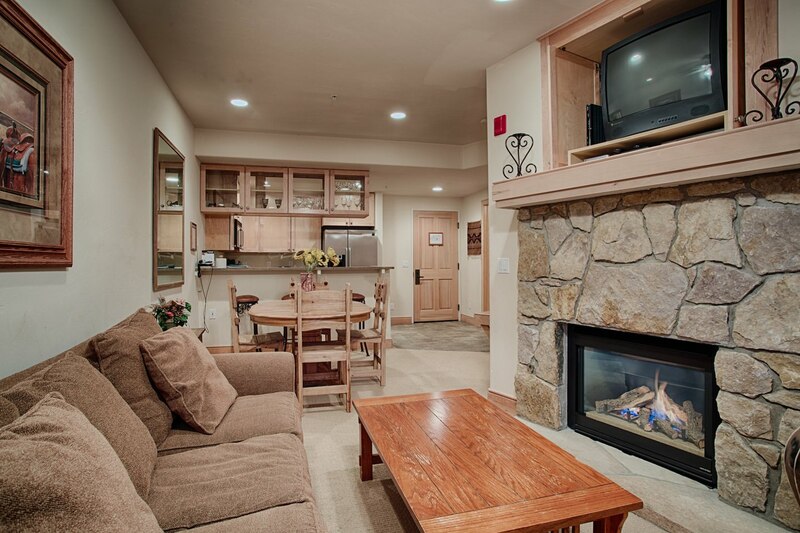 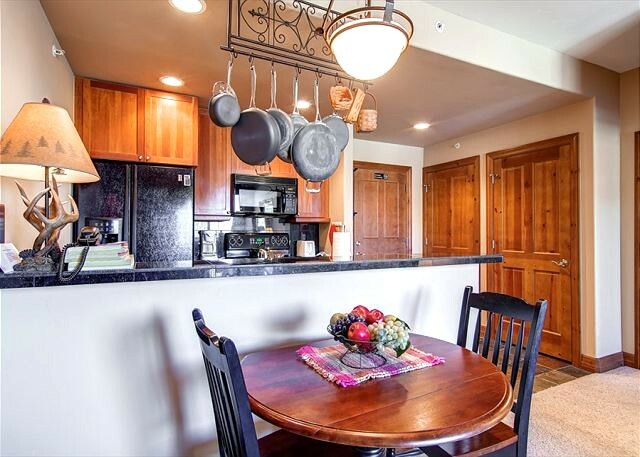 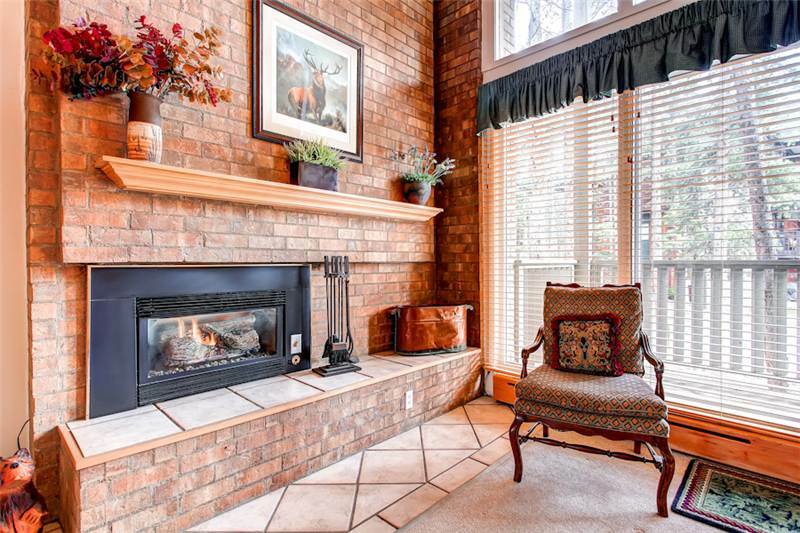 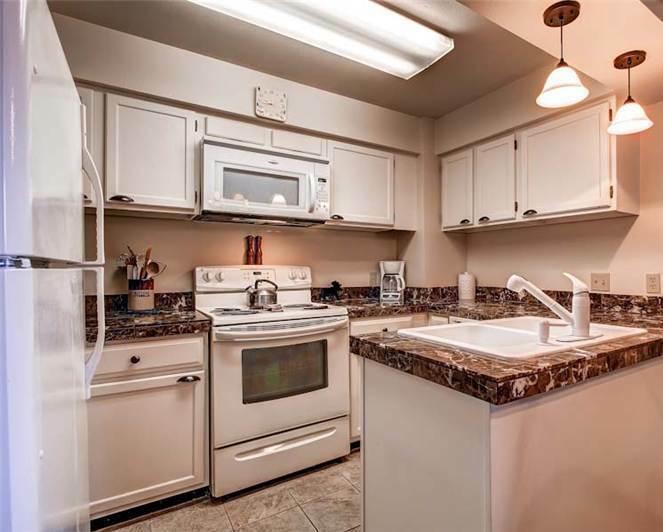 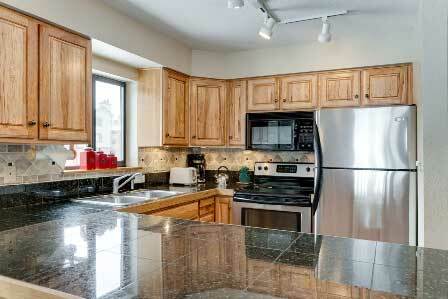 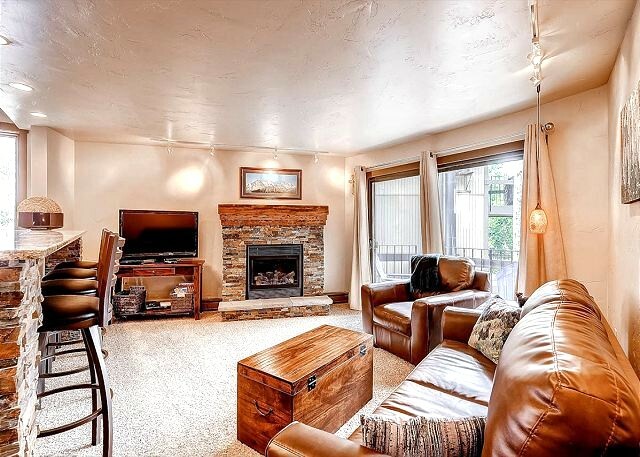 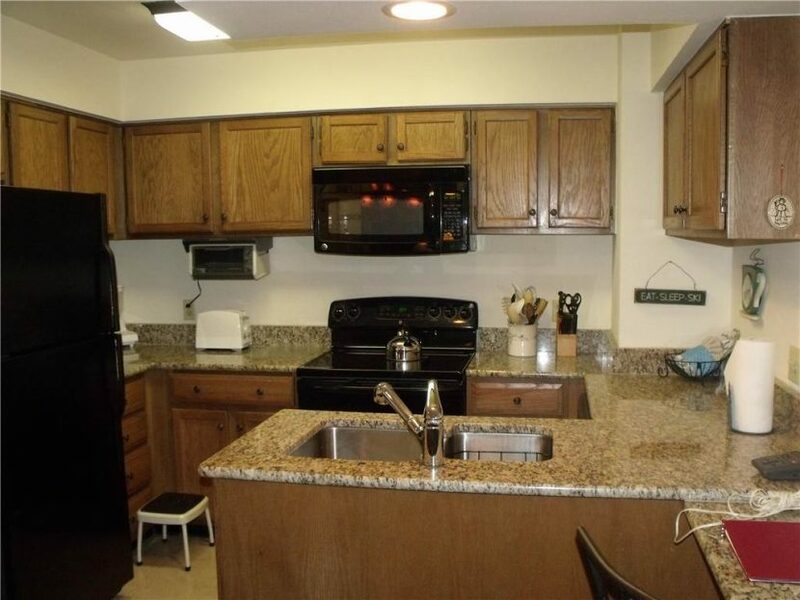 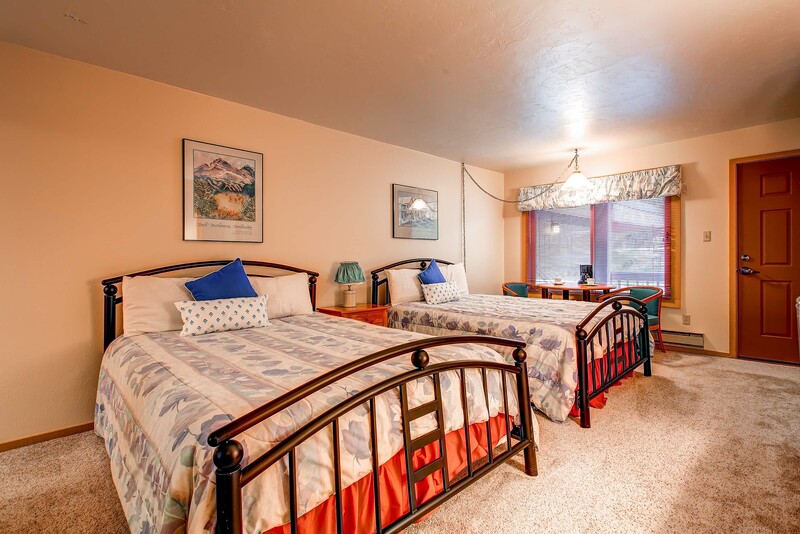 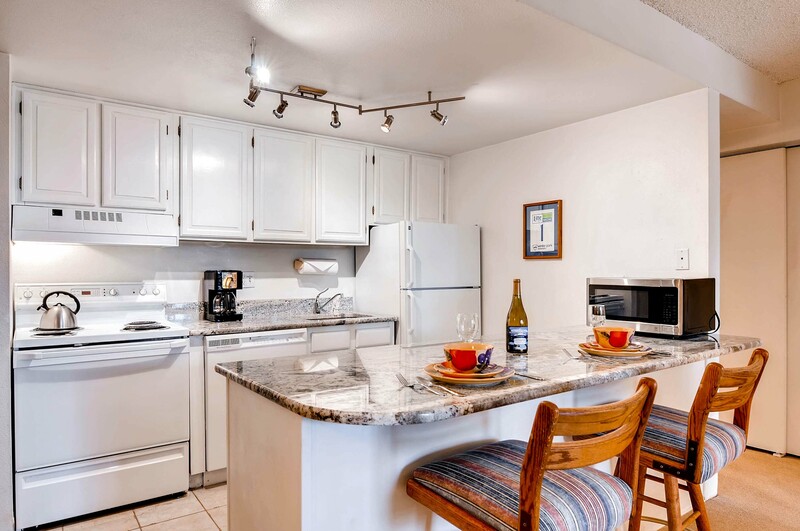 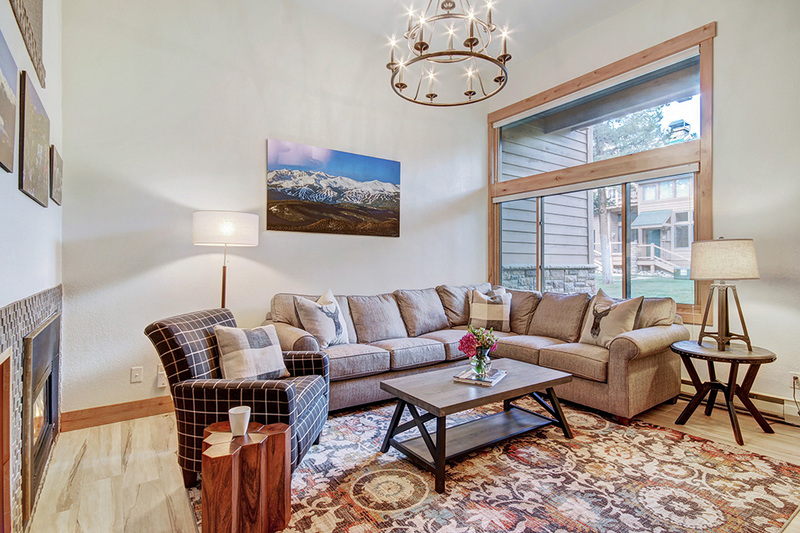 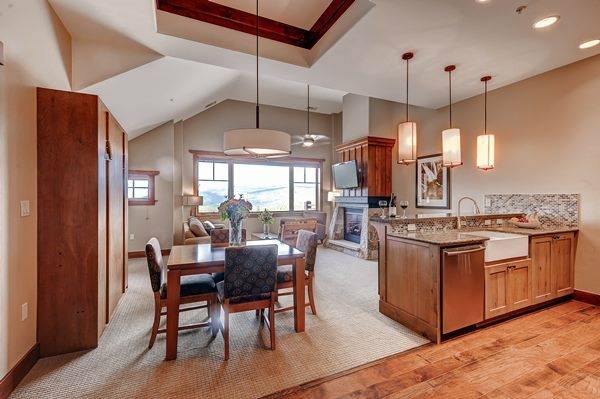 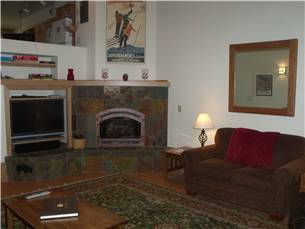 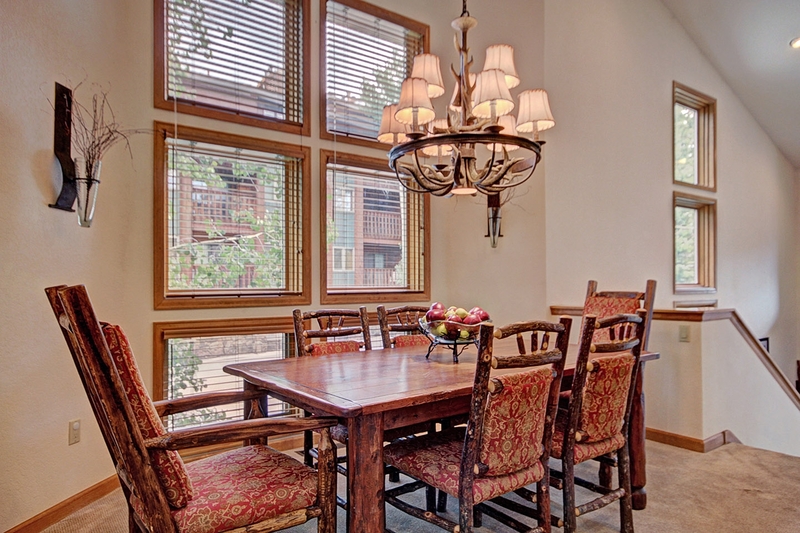 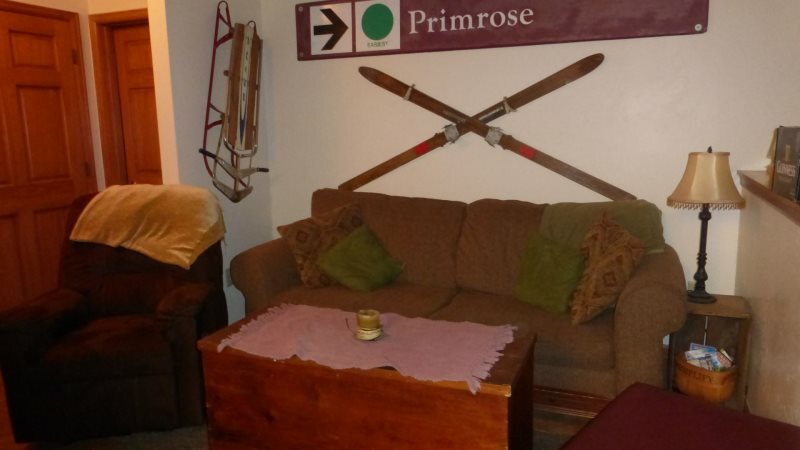 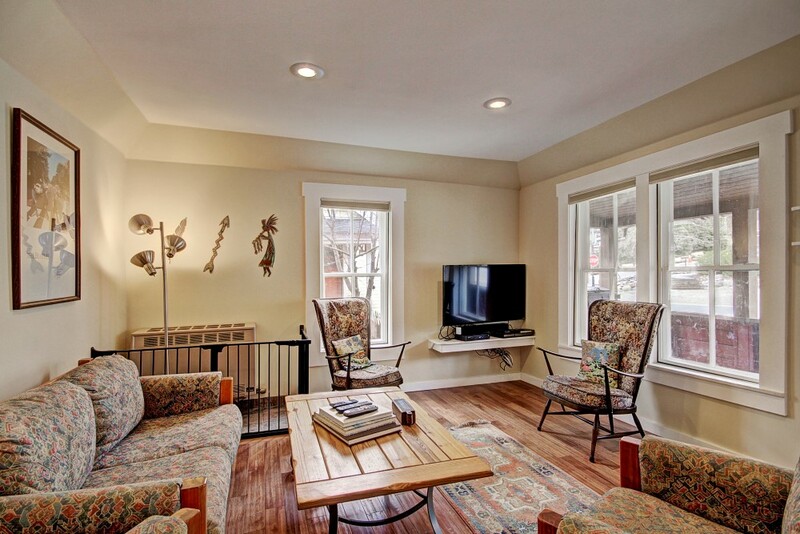 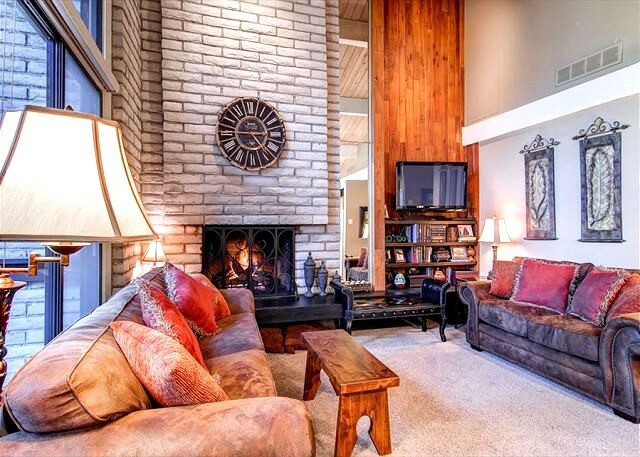 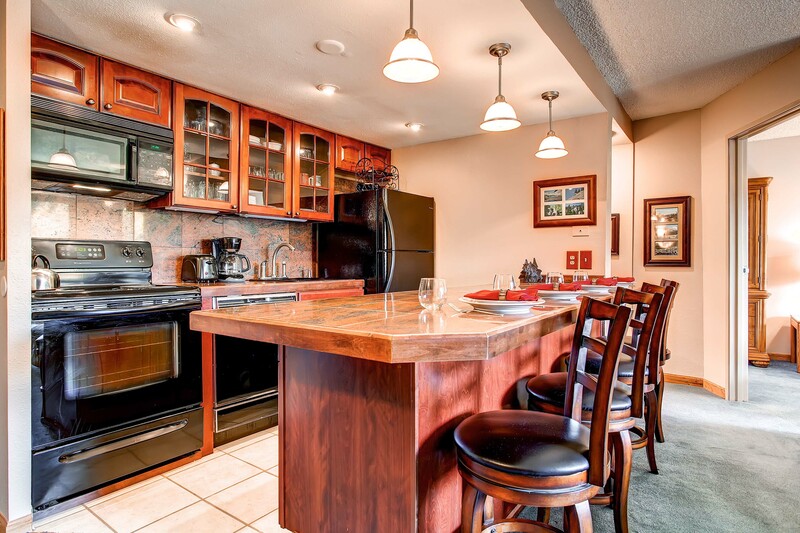 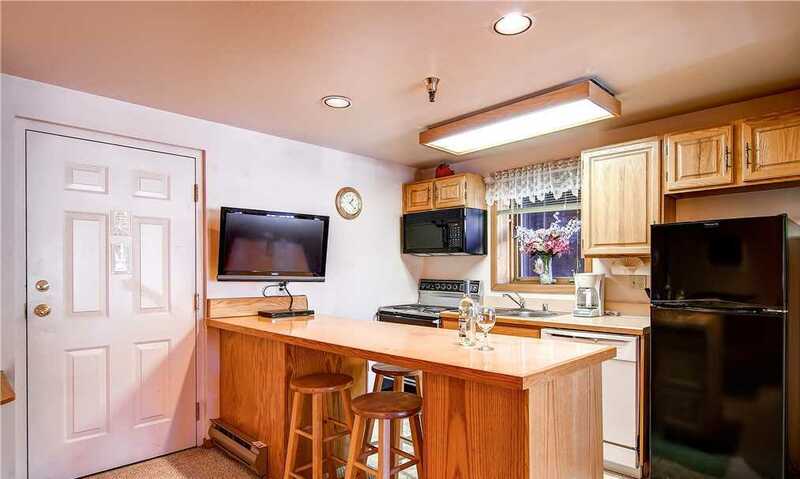 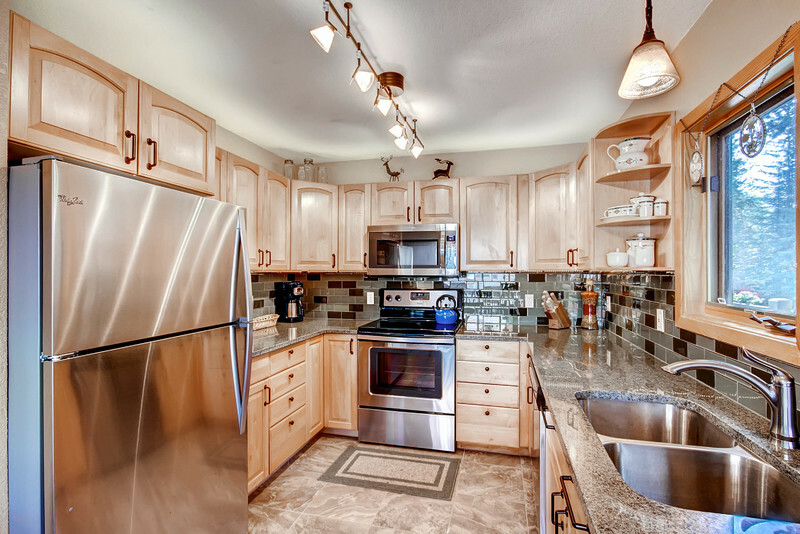 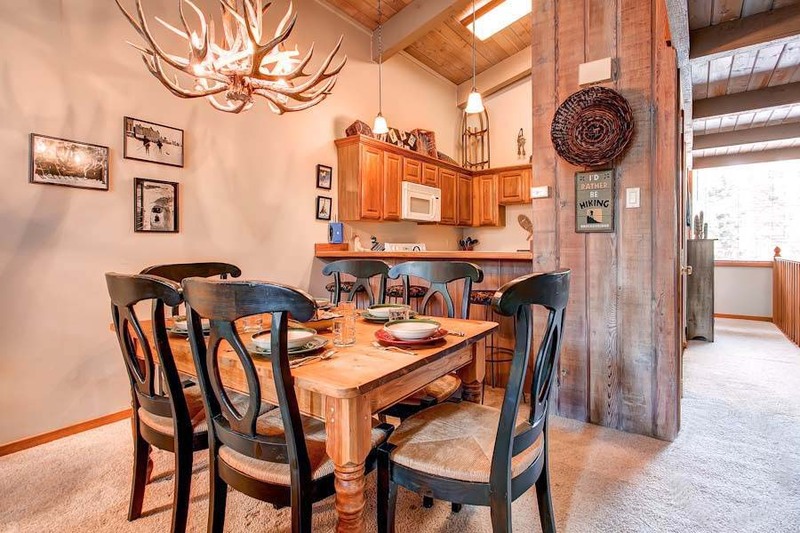 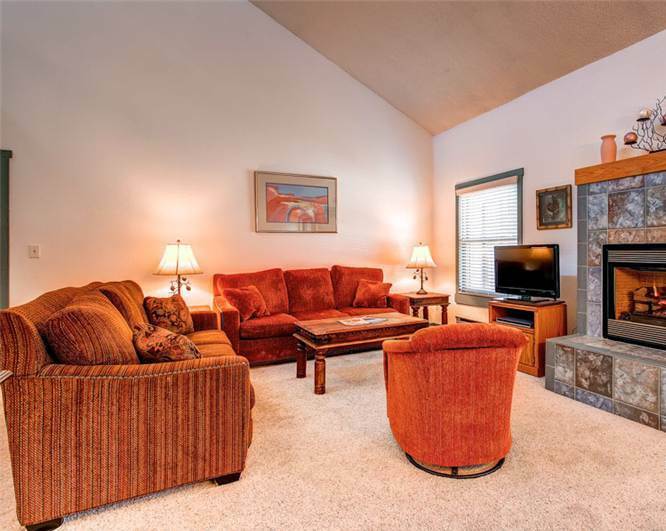 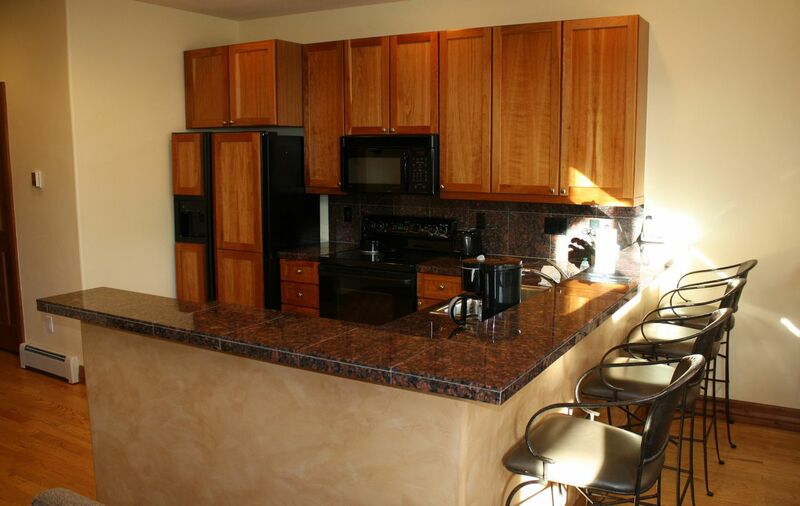 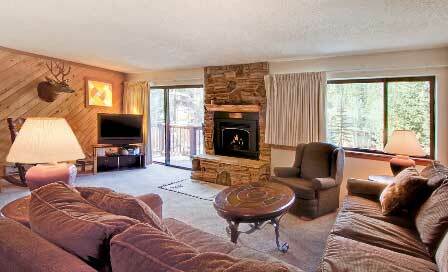 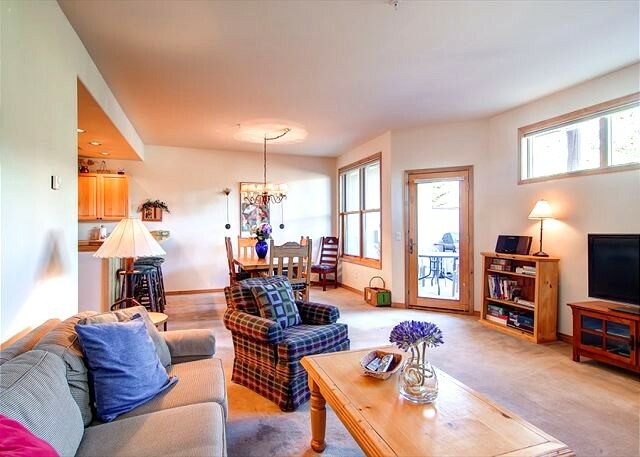 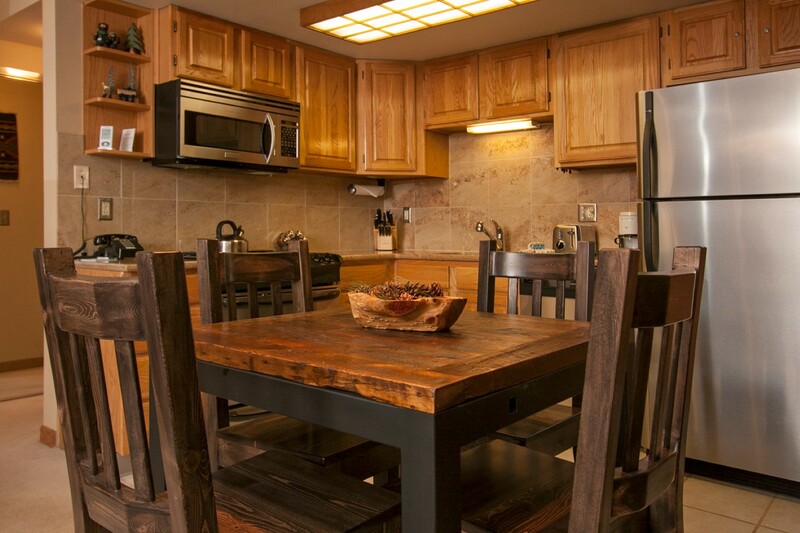 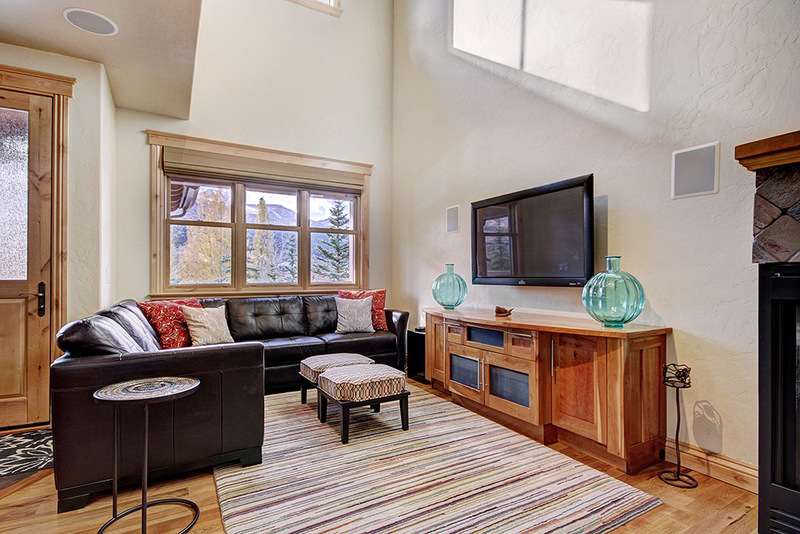 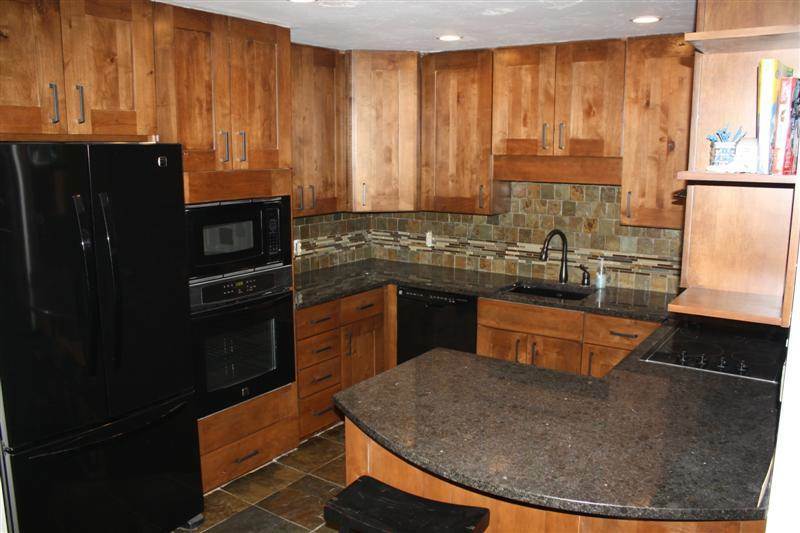 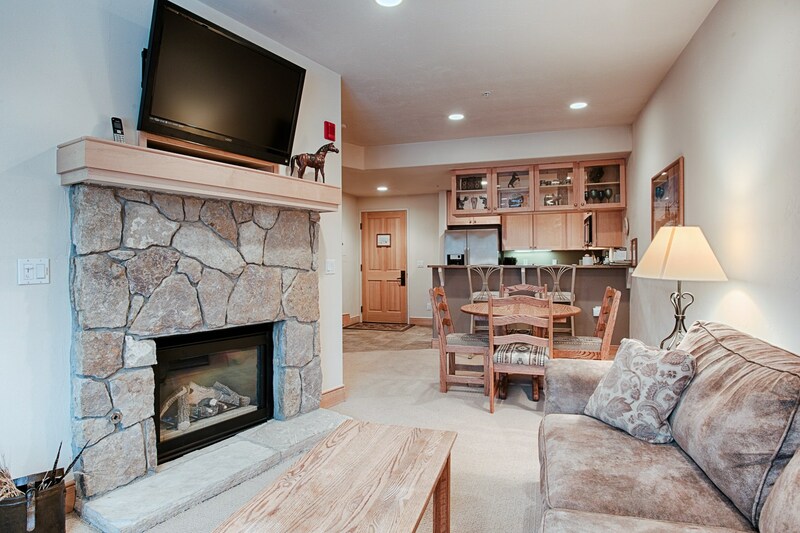 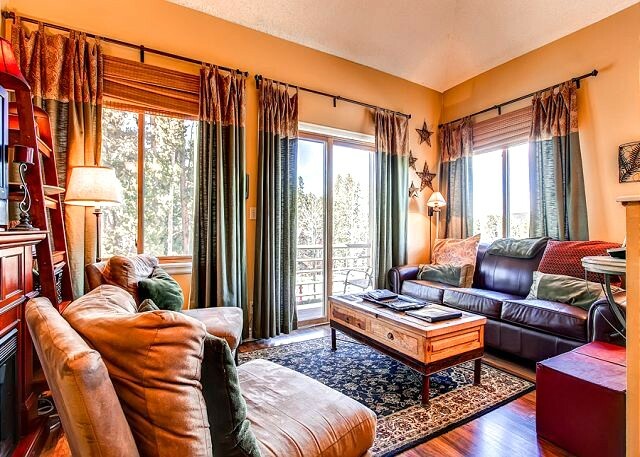 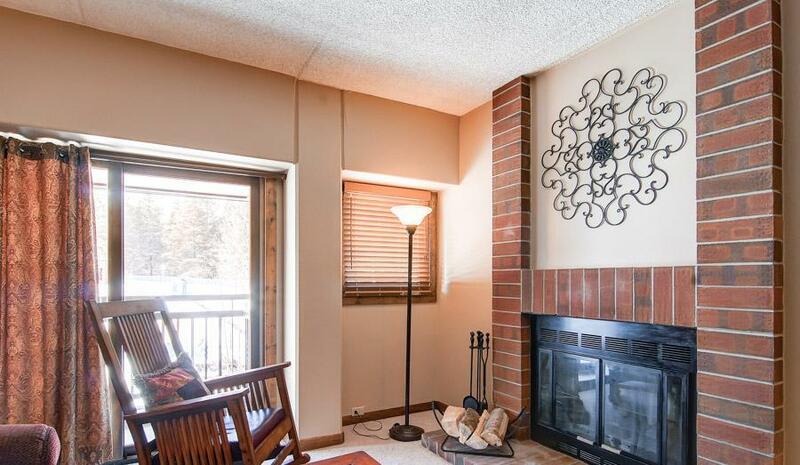 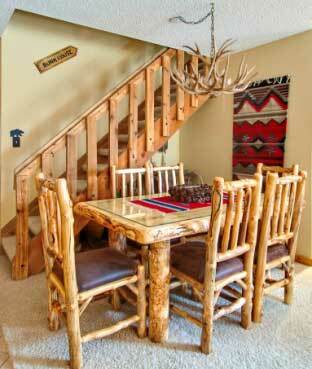 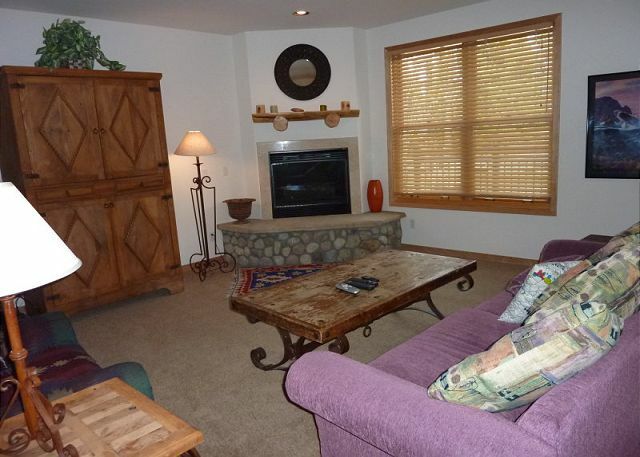 This condo also comes with free Wi-Fi, a washer and dryer as well as a covered parking space. 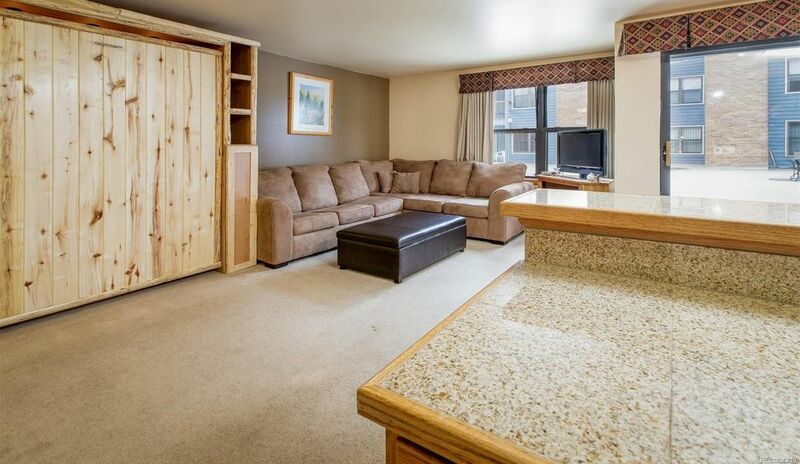 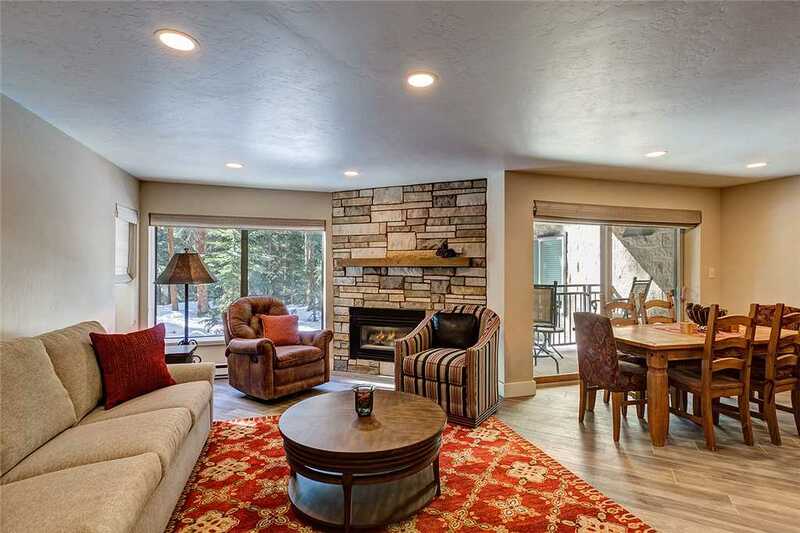 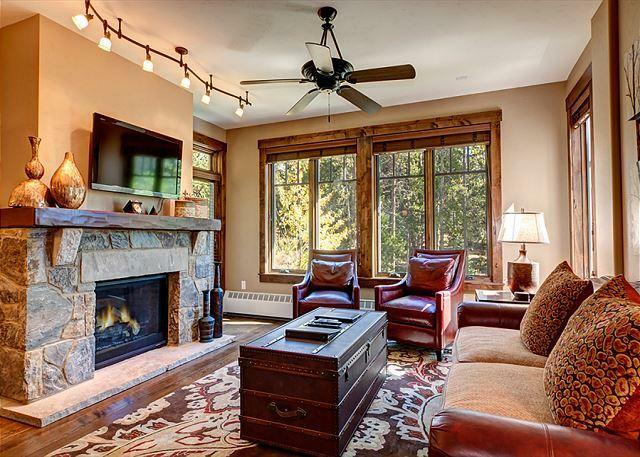 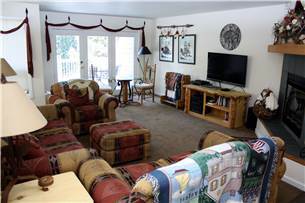 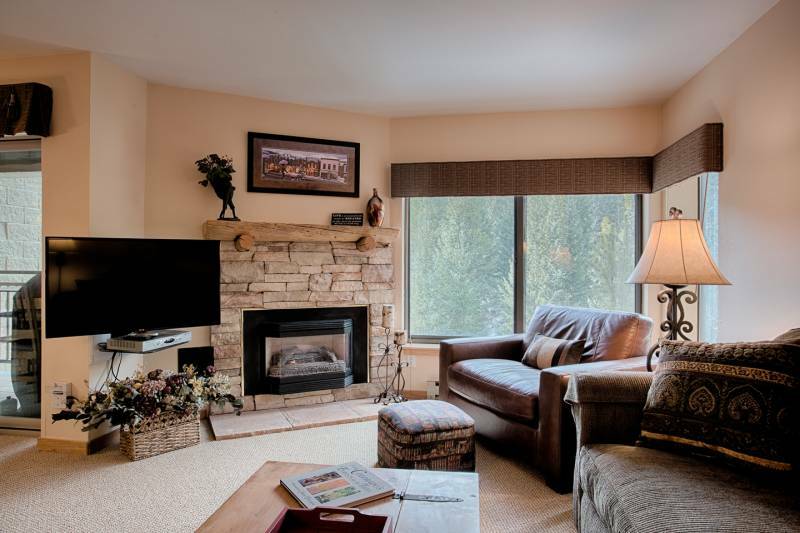 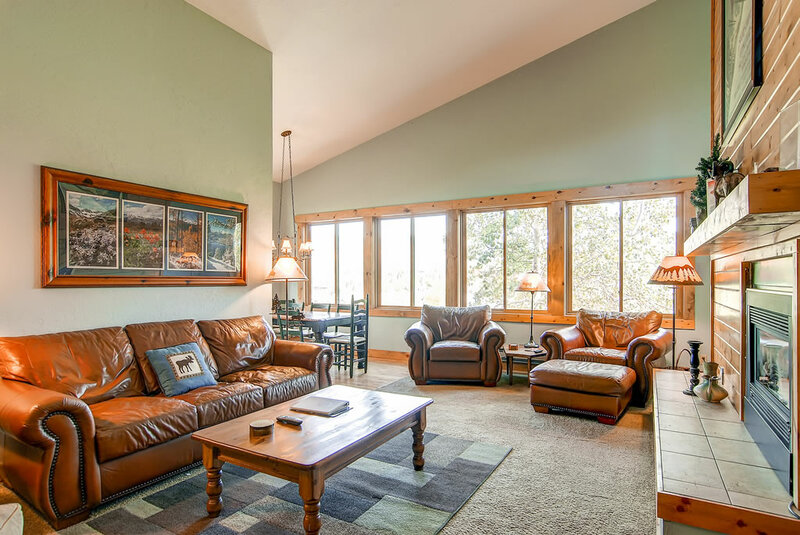 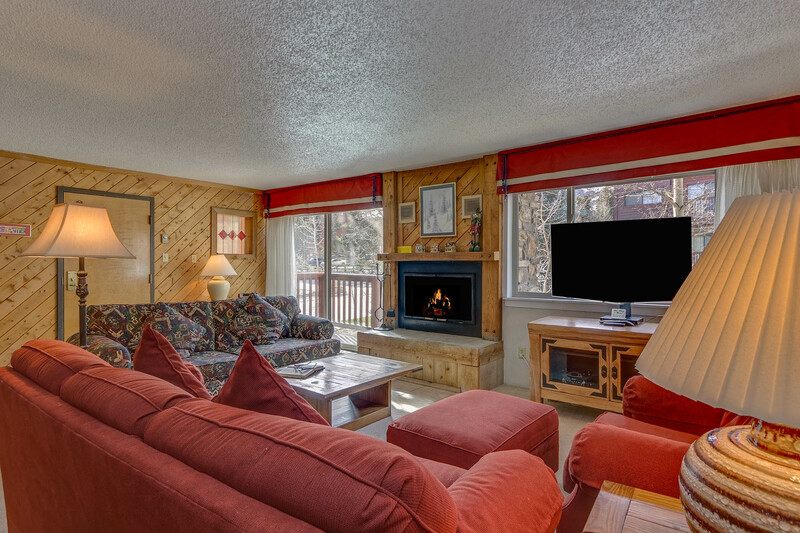 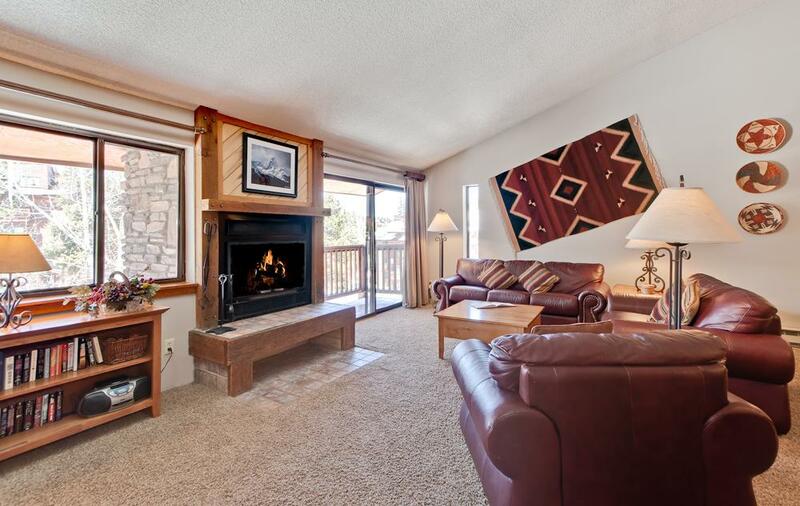 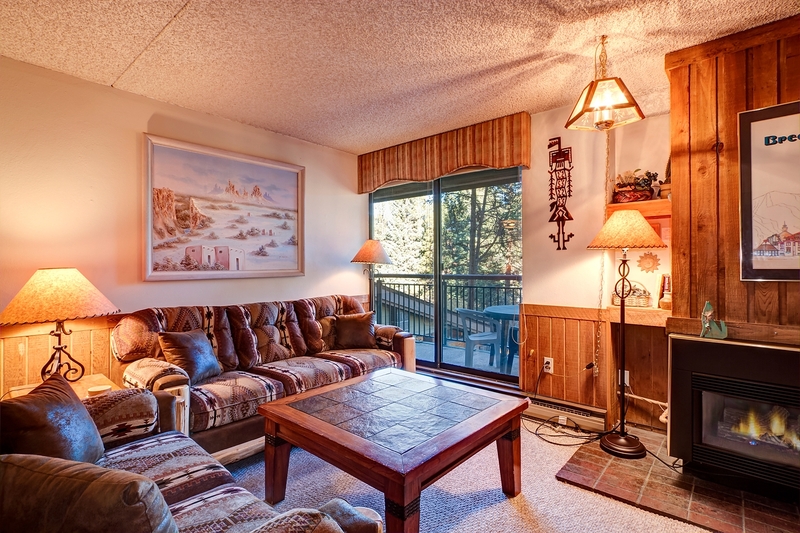 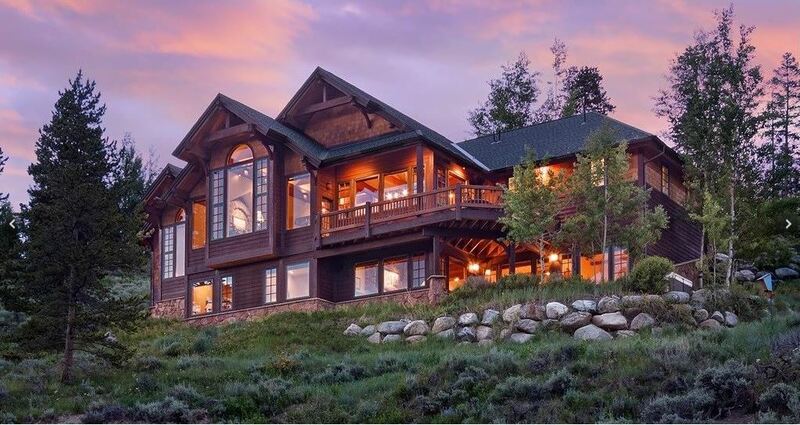 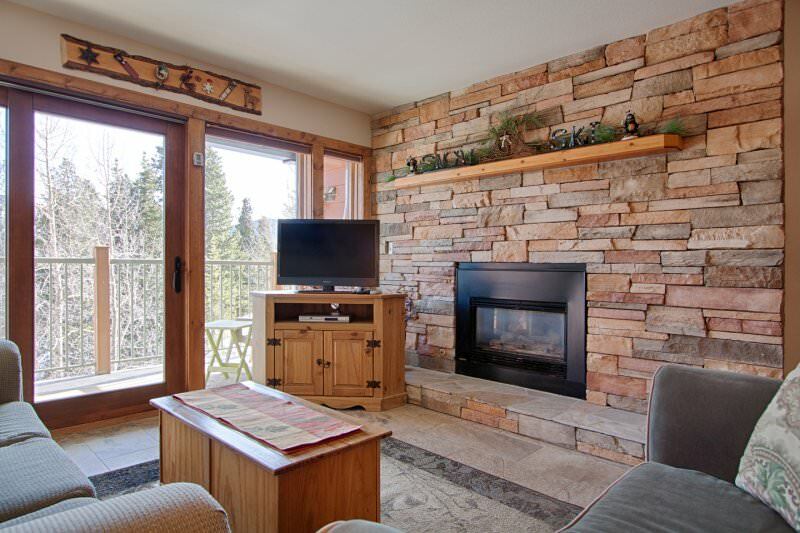 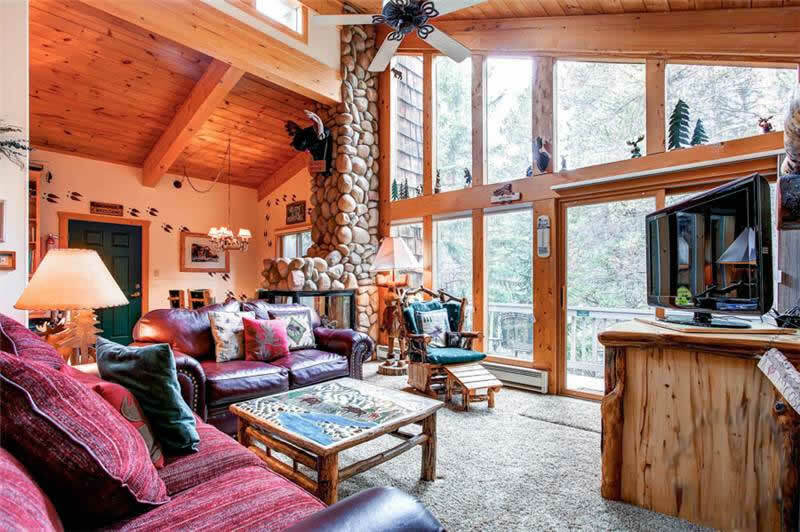 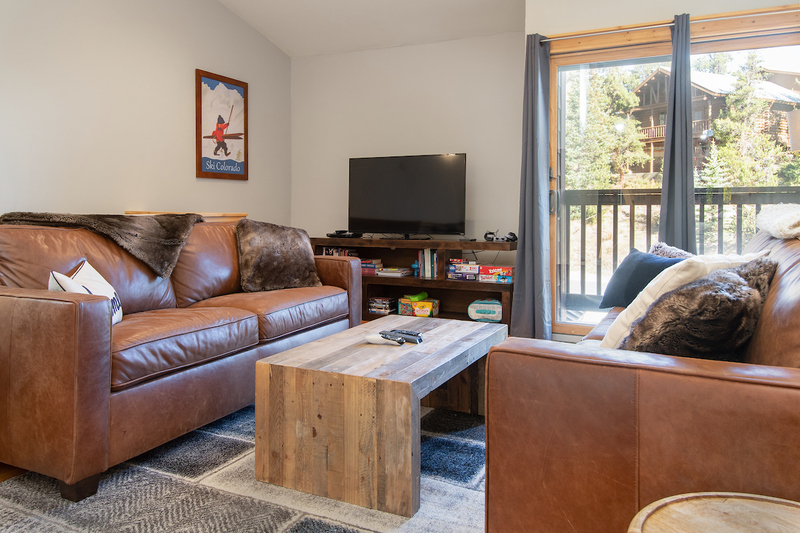 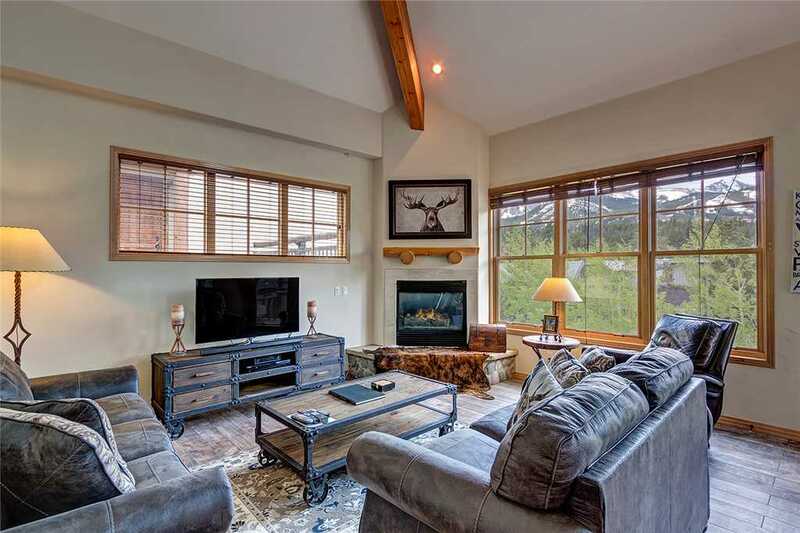 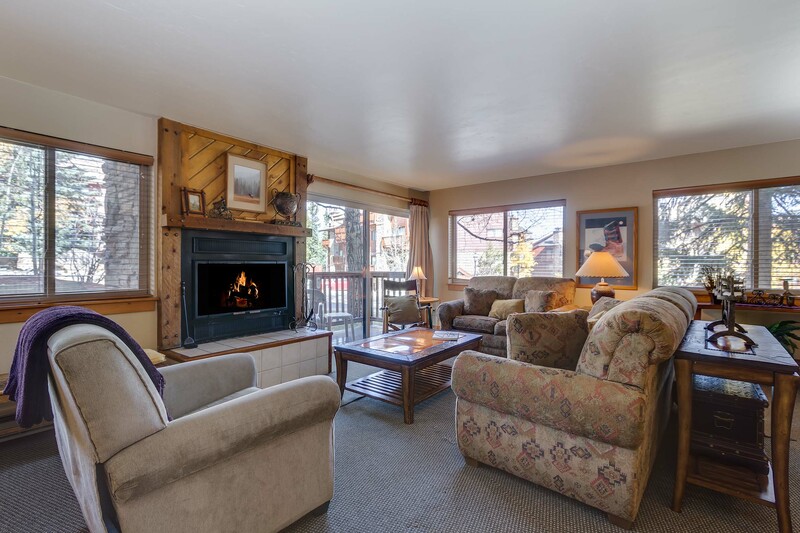 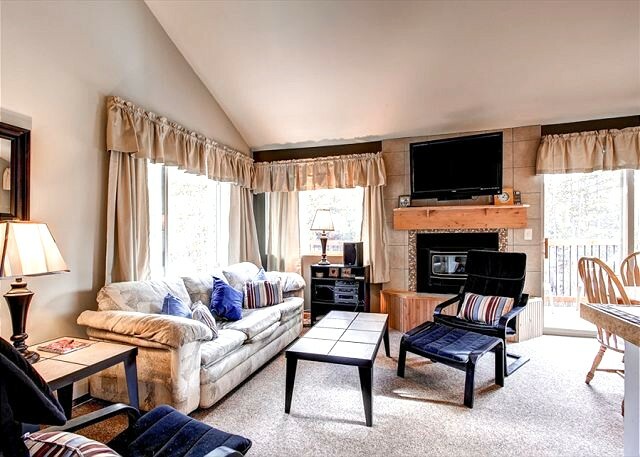 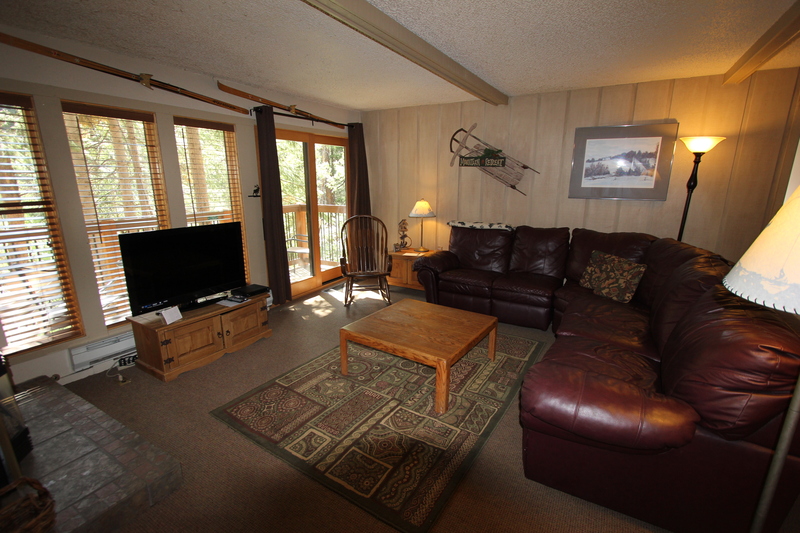 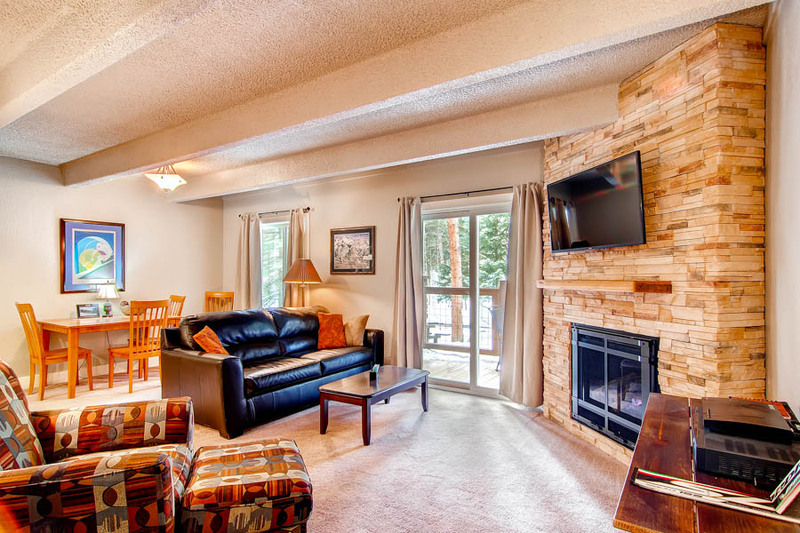 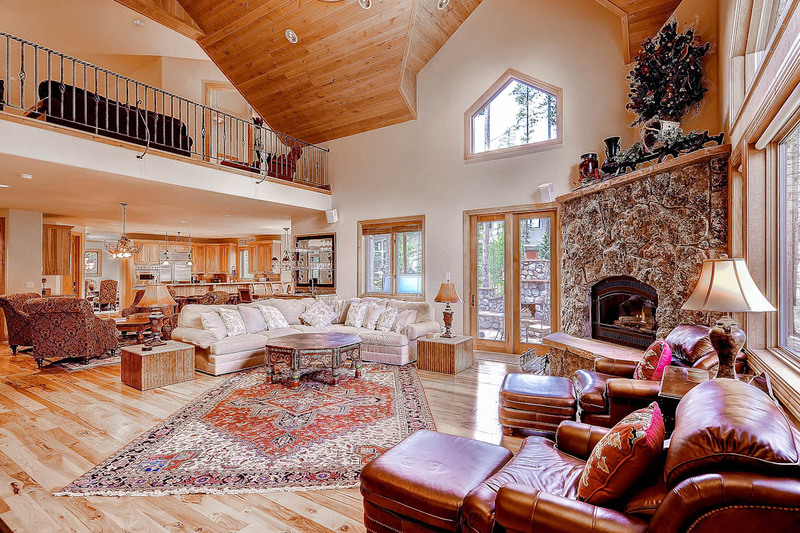 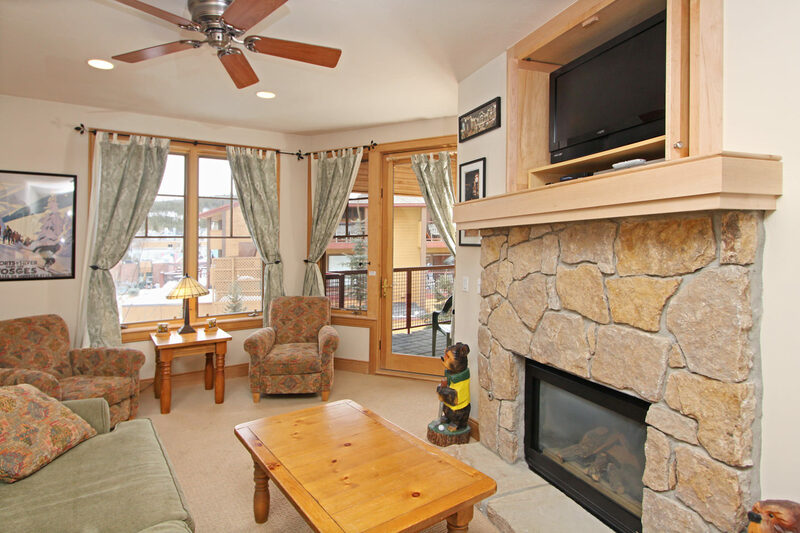 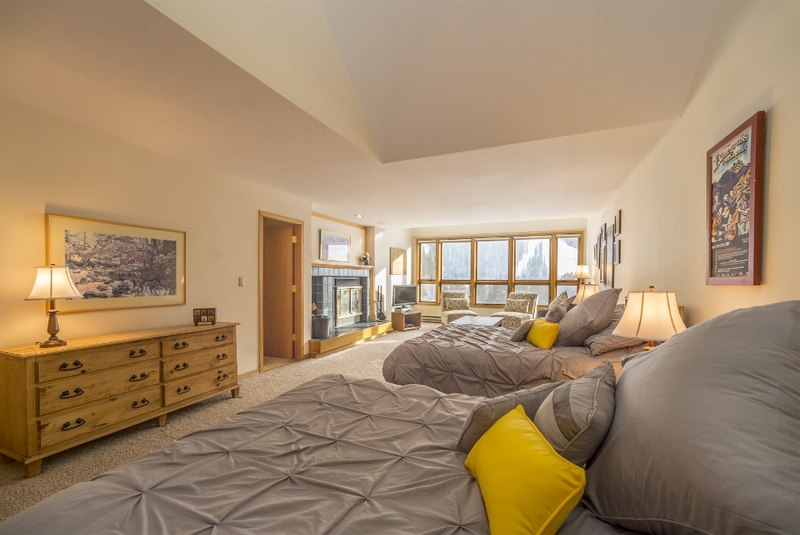 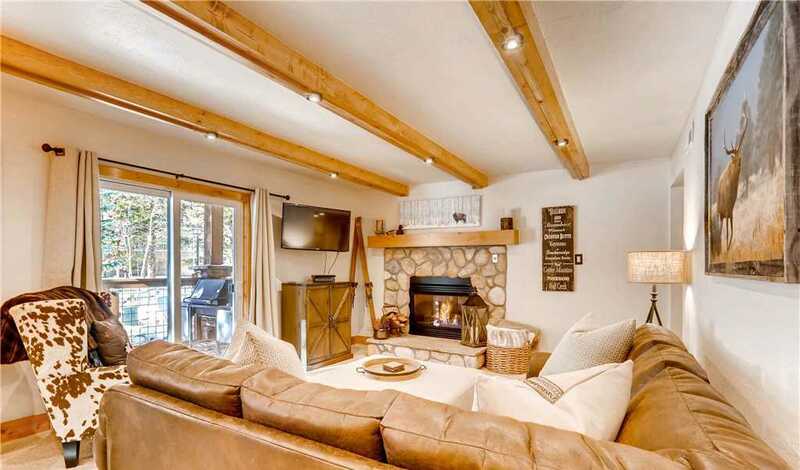 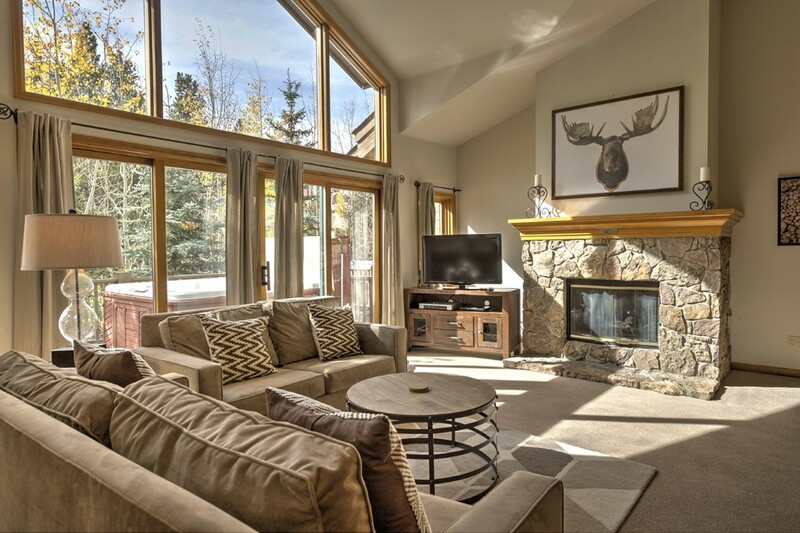 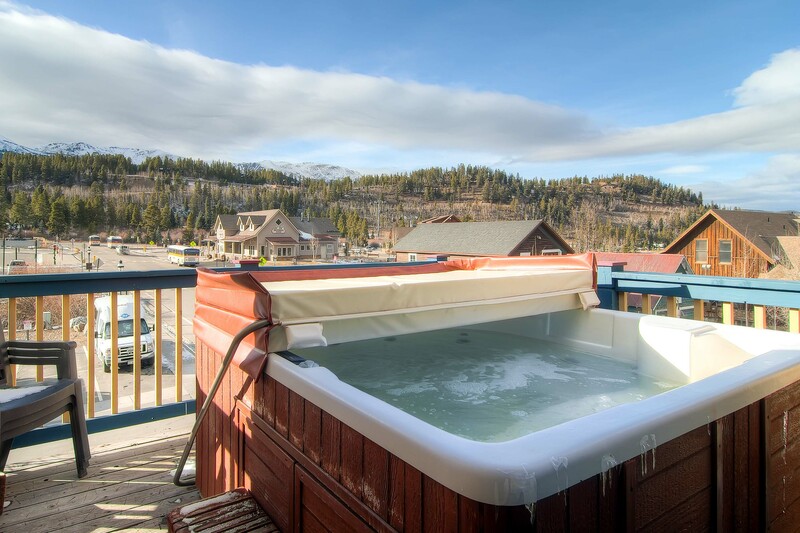 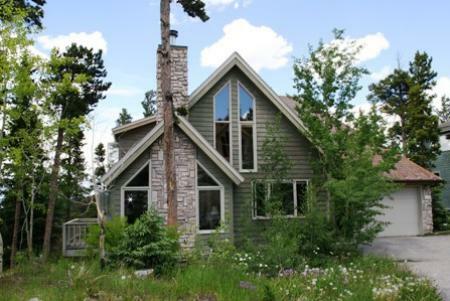 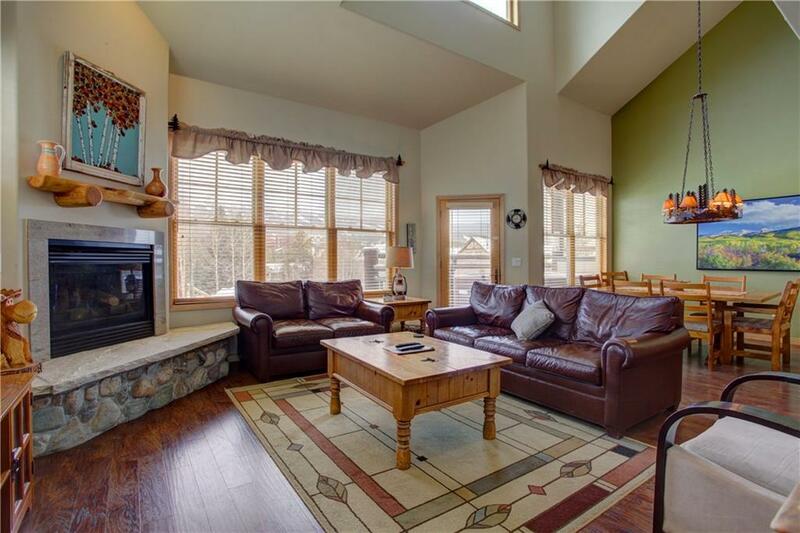 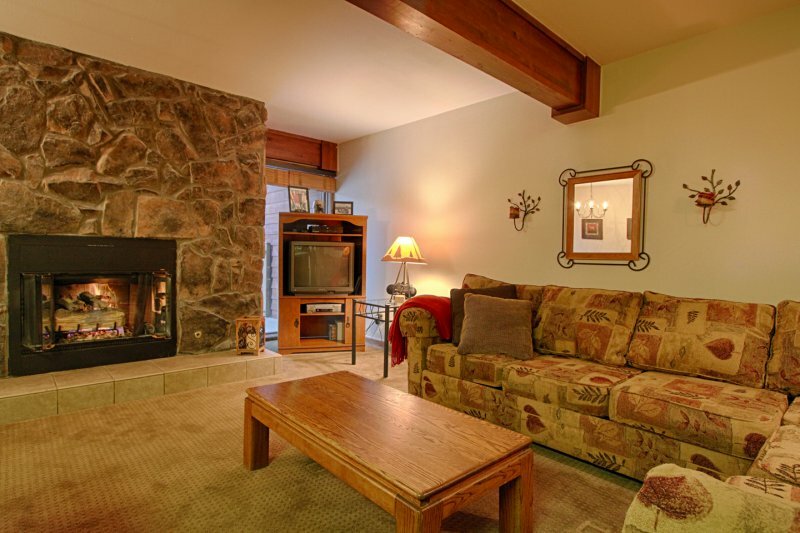 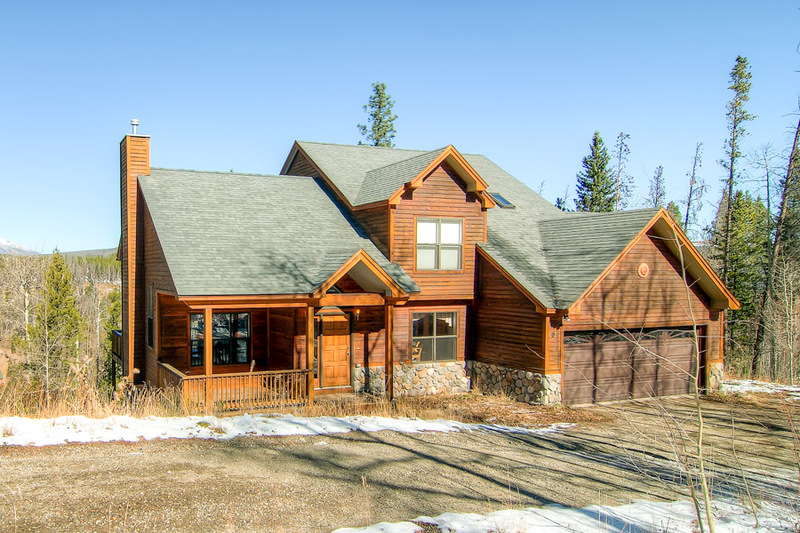 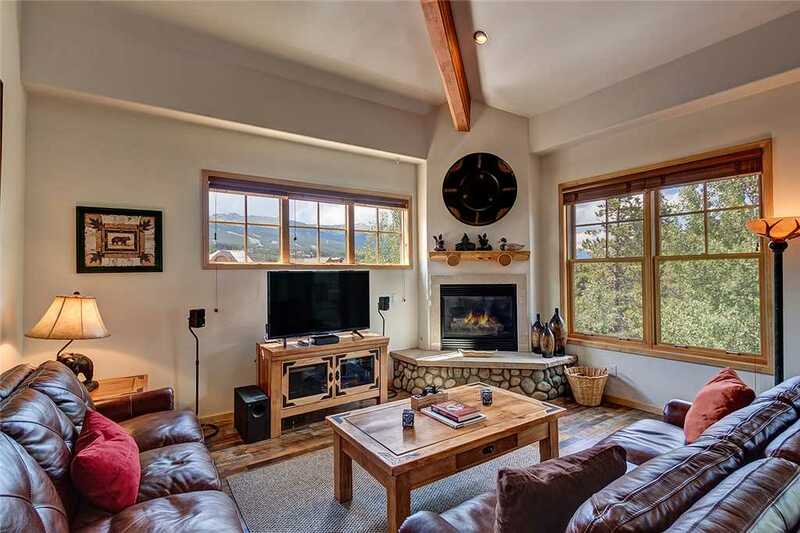 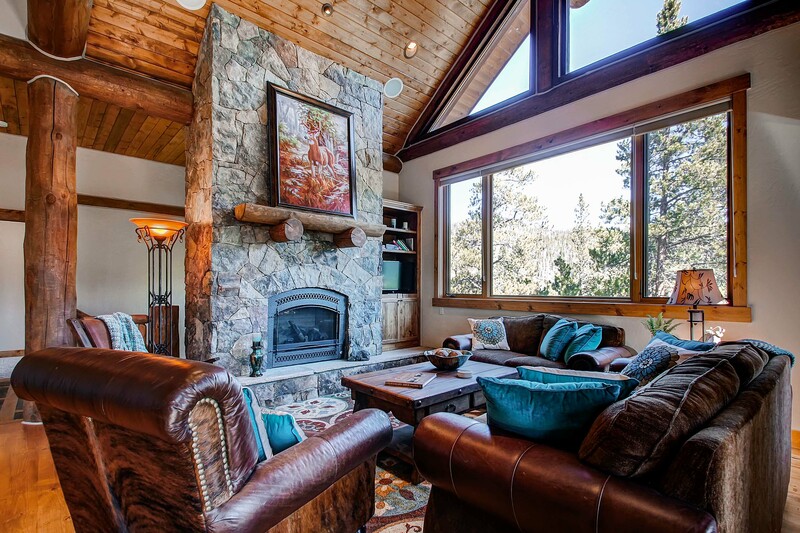 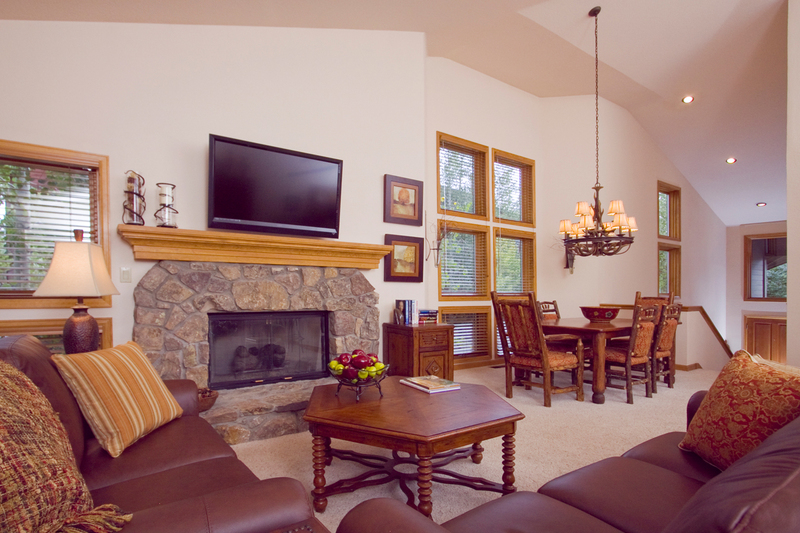 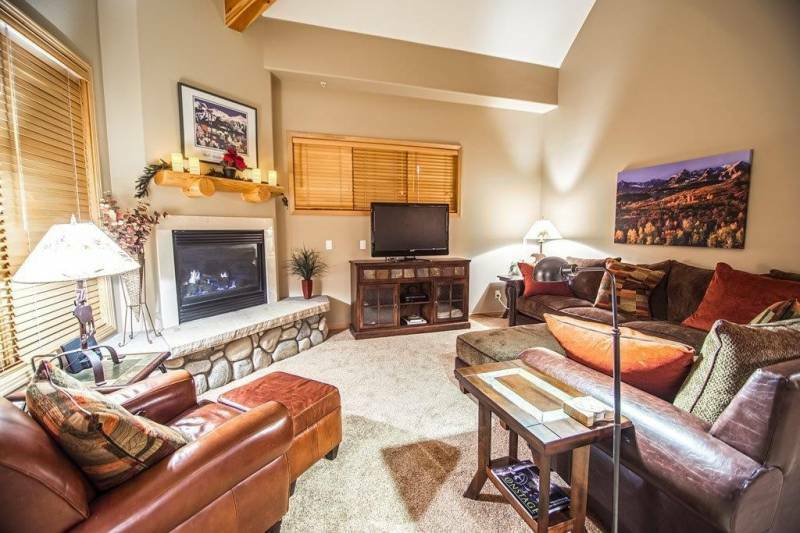 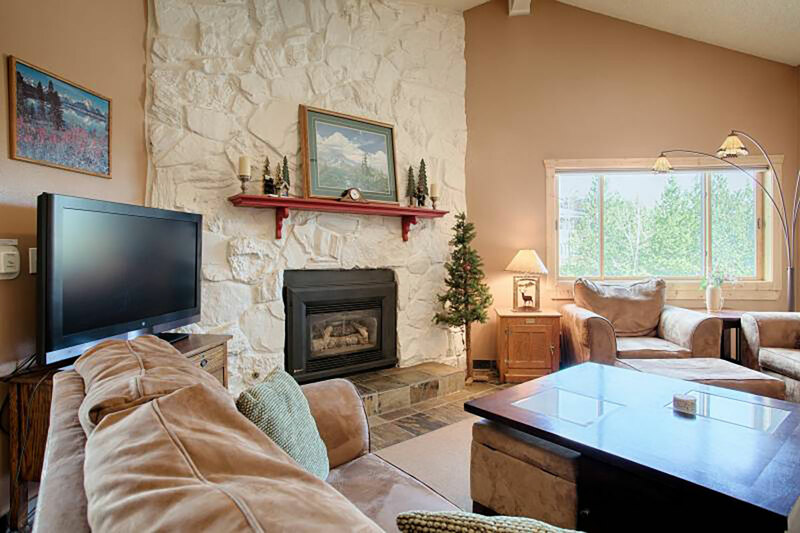 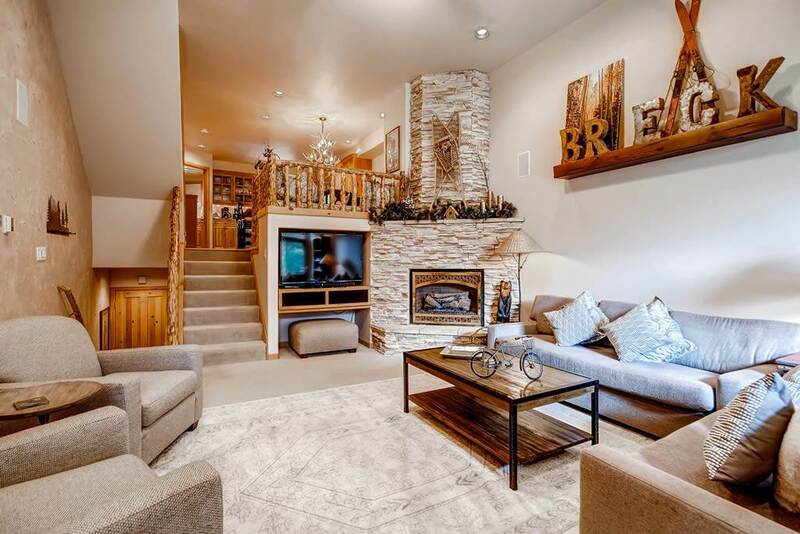 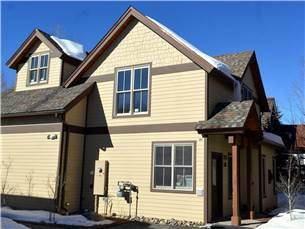 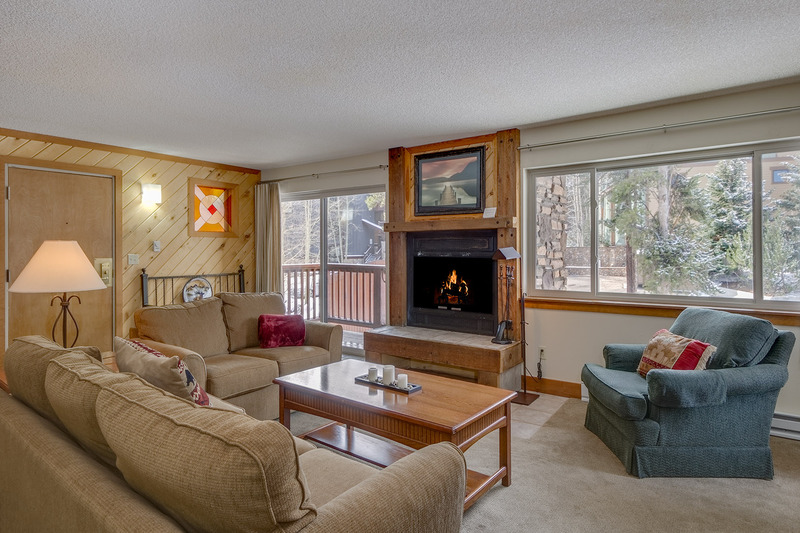 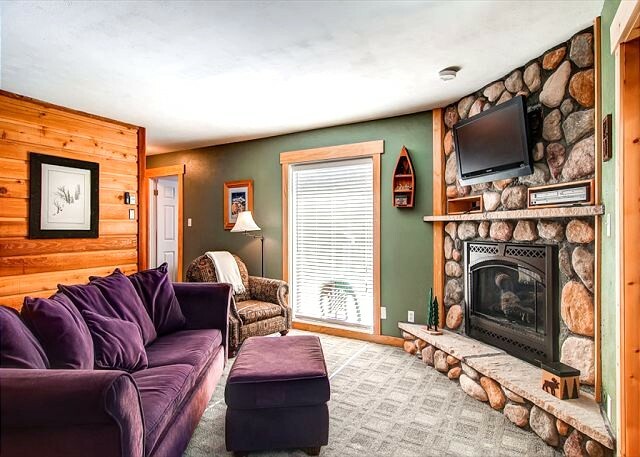 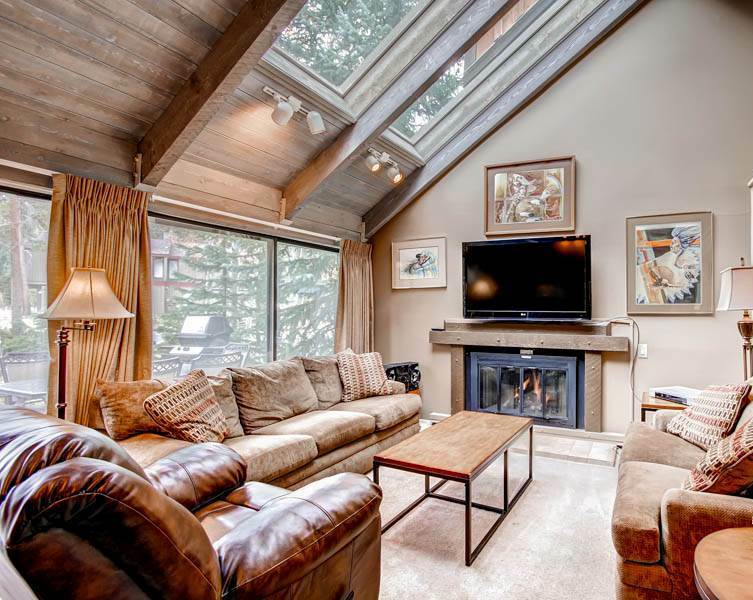 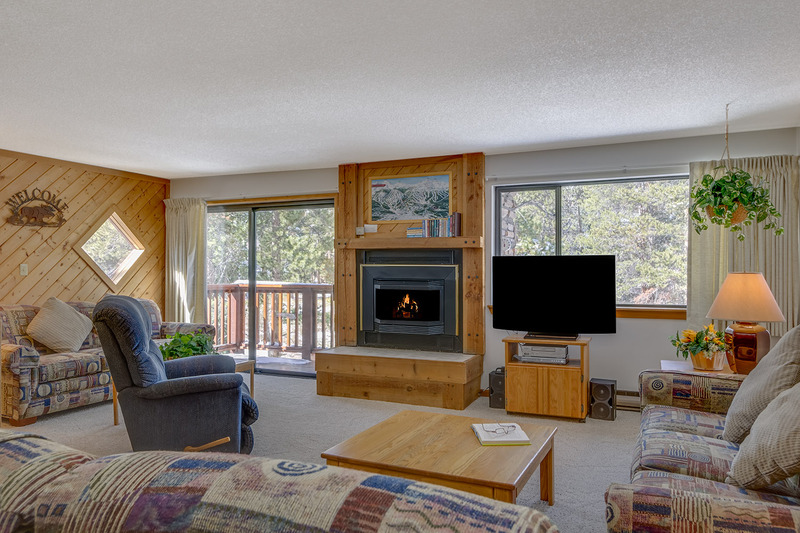 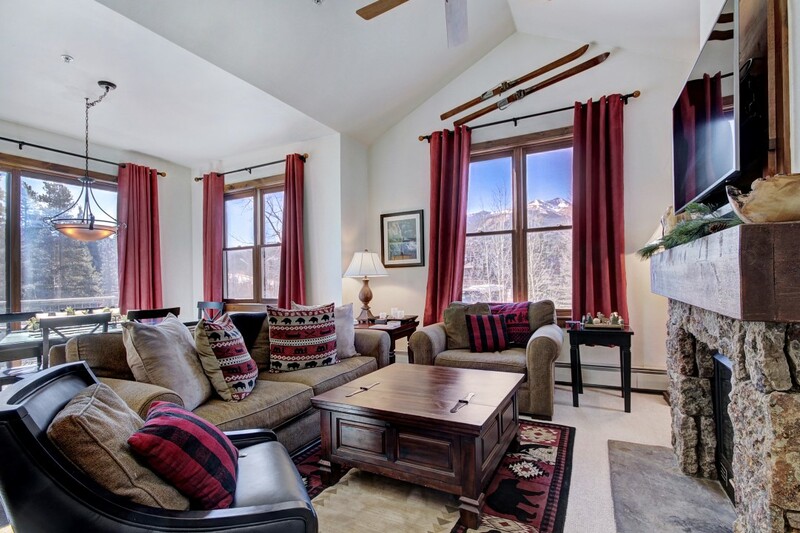 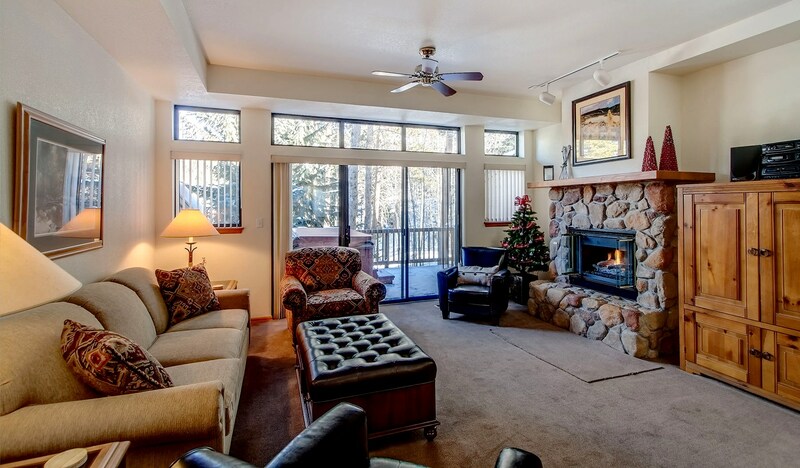 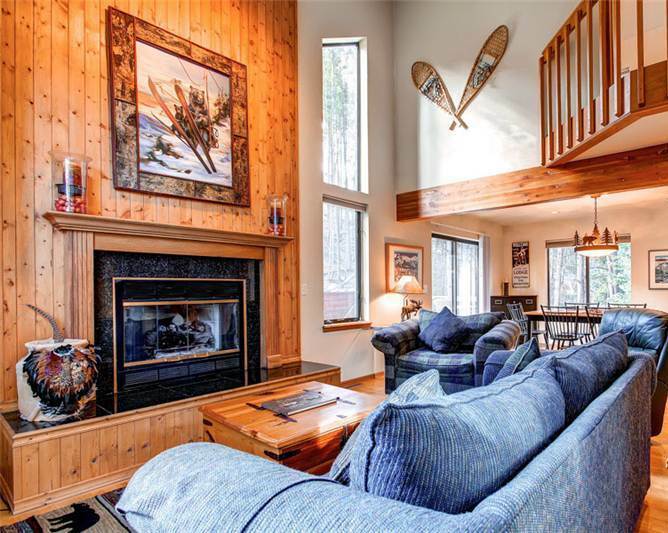 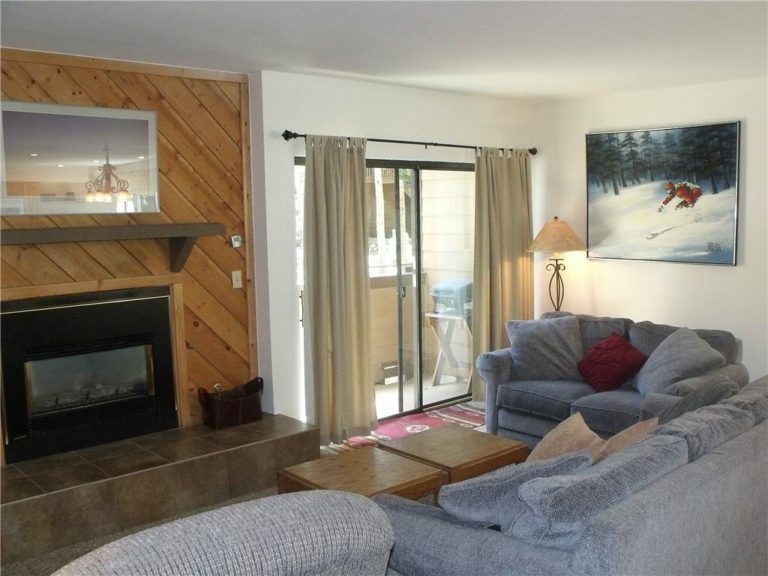 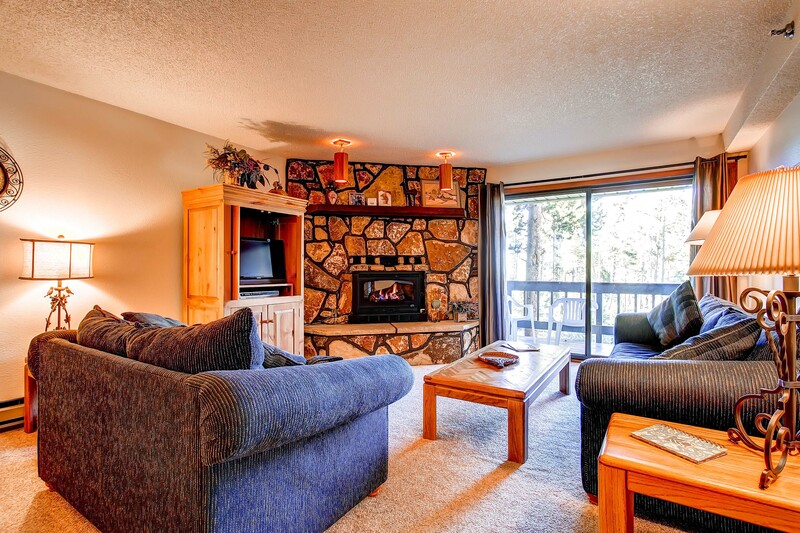 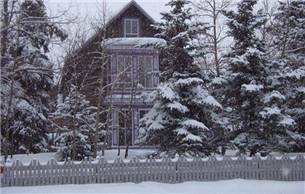 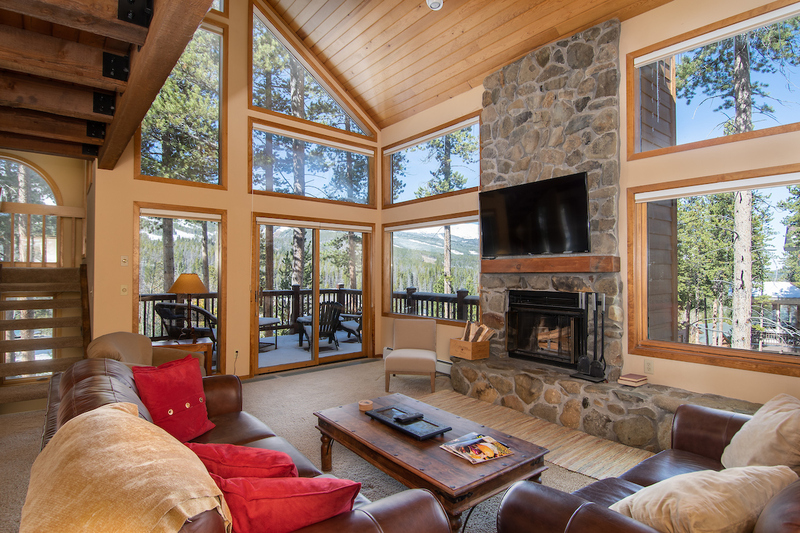 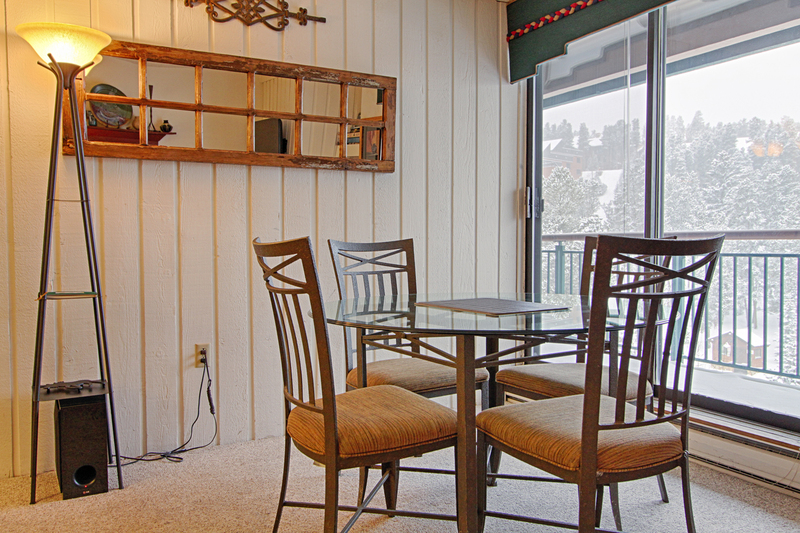 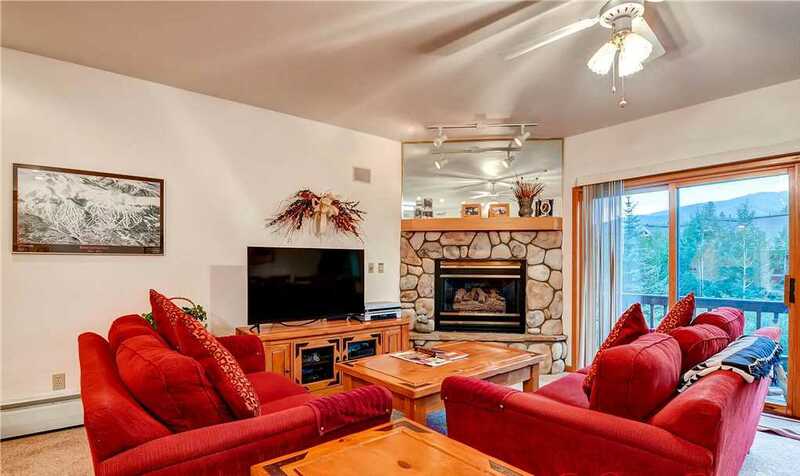 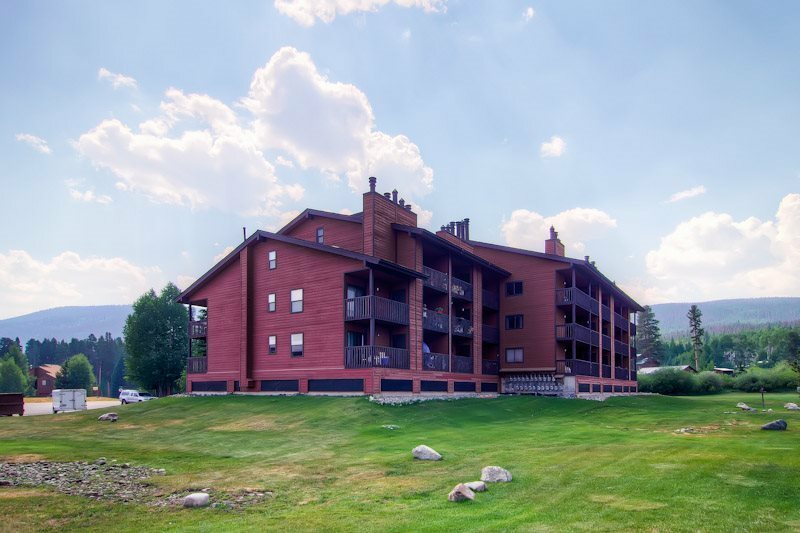 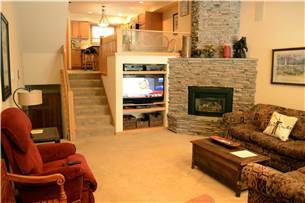 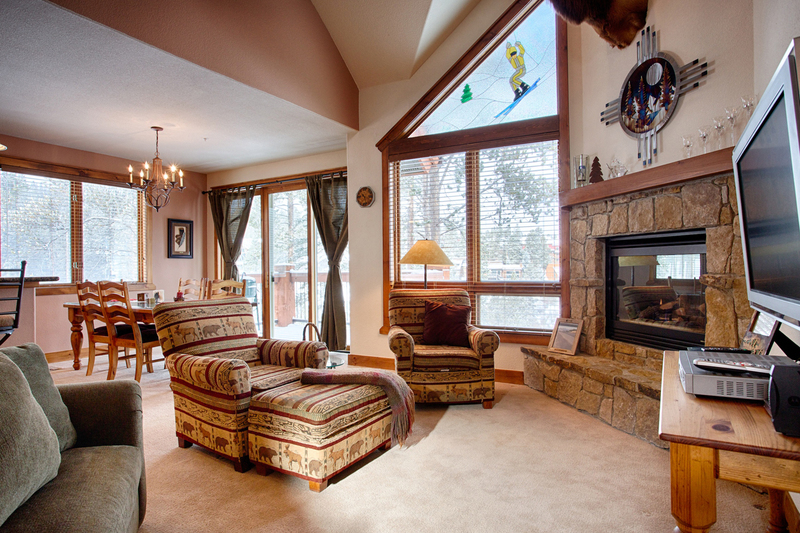 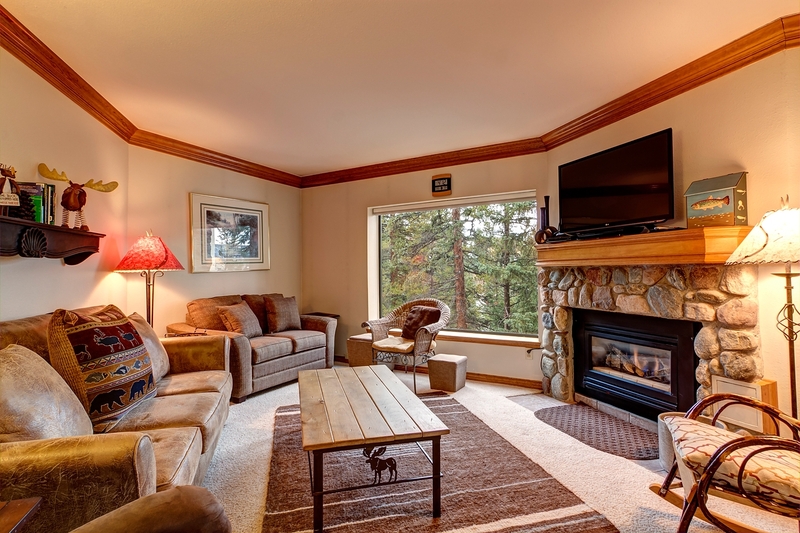 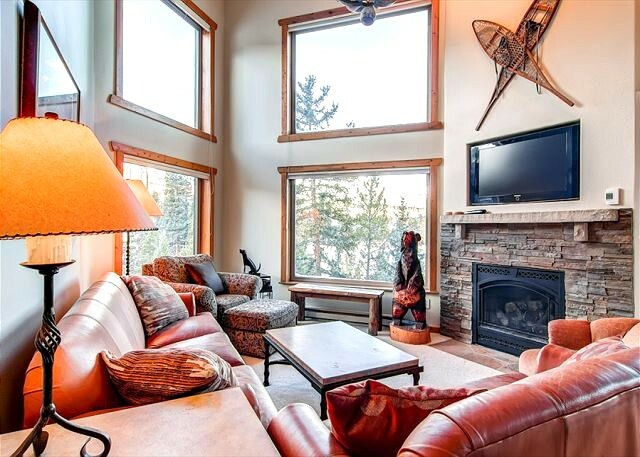 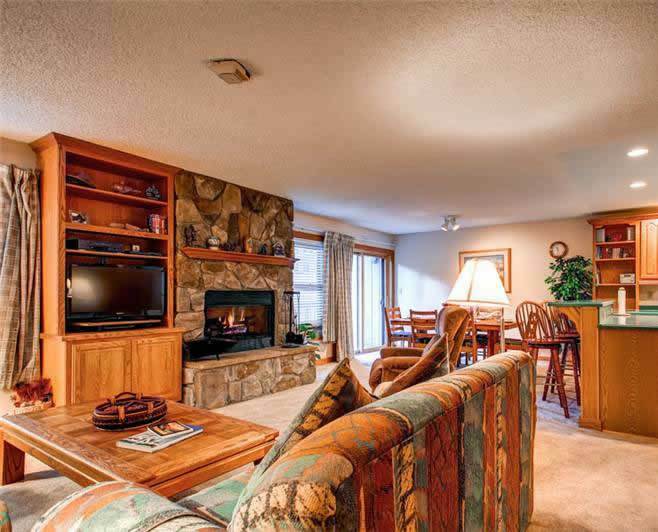 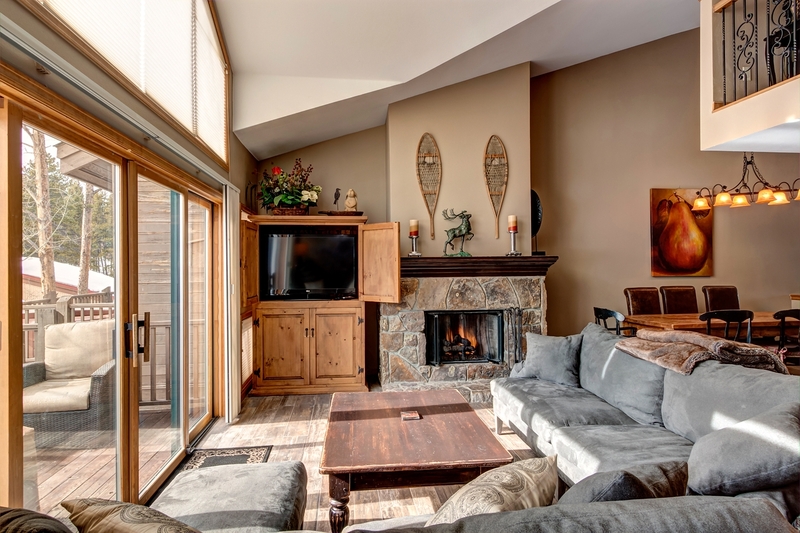 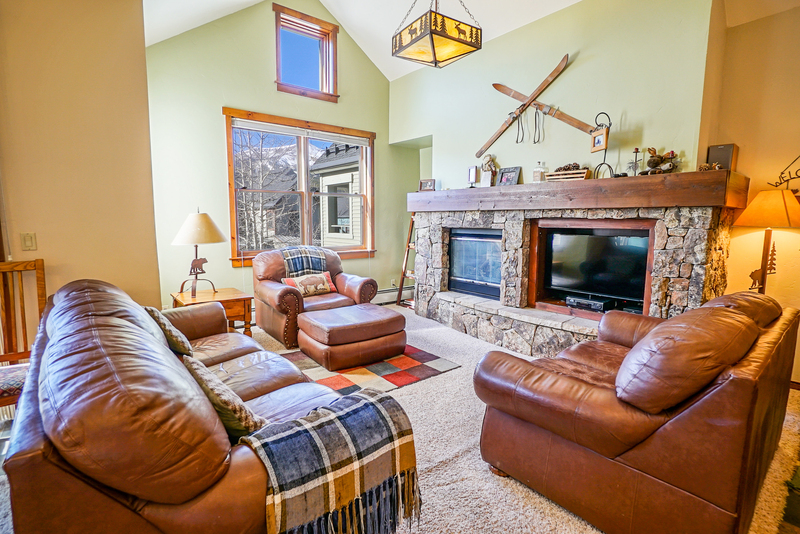 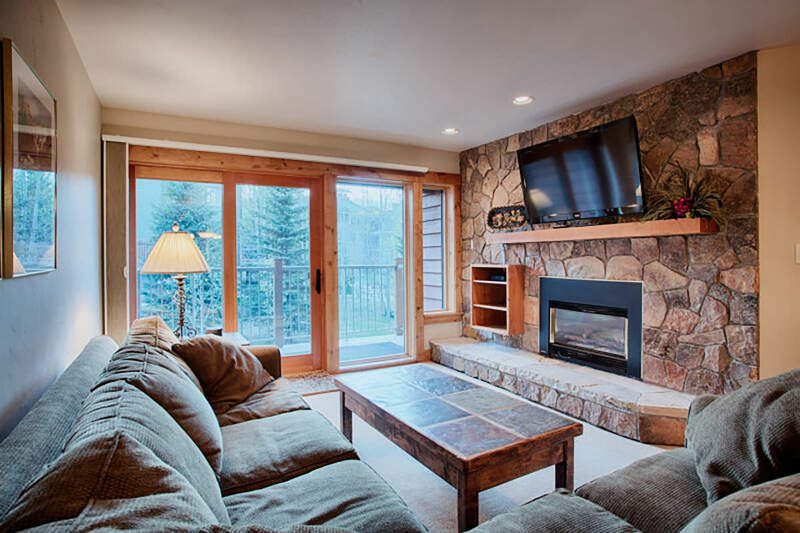 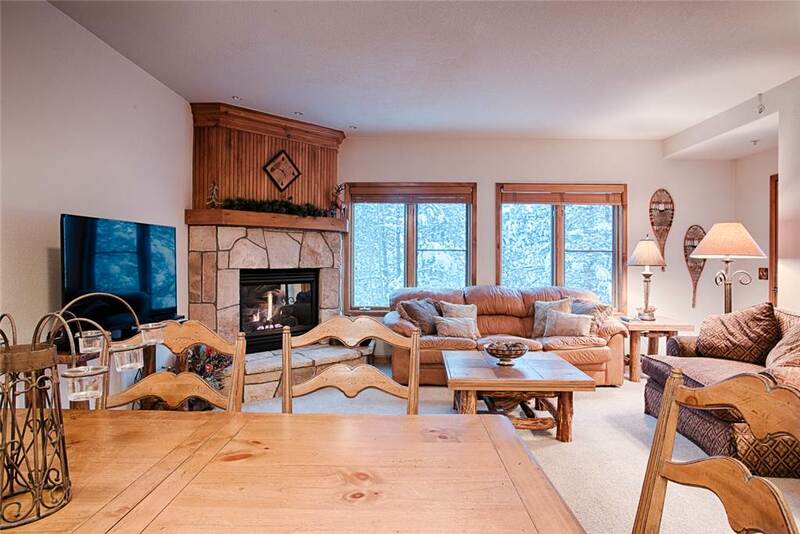 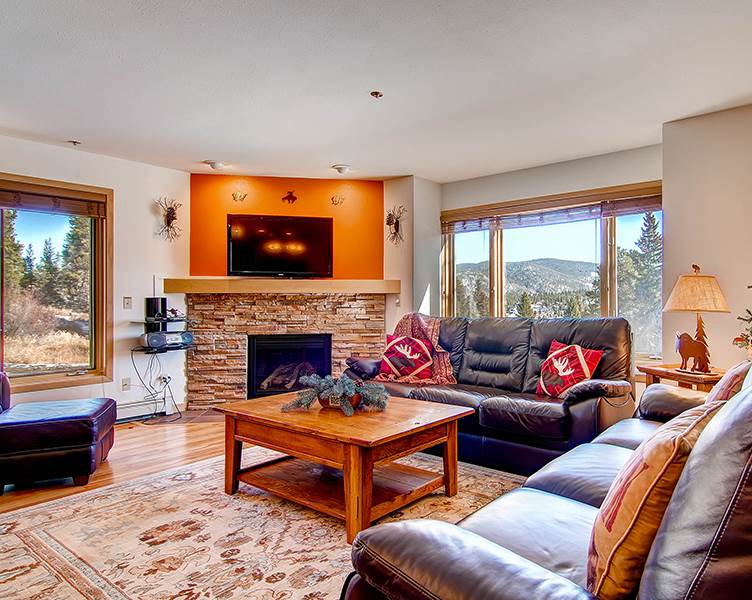 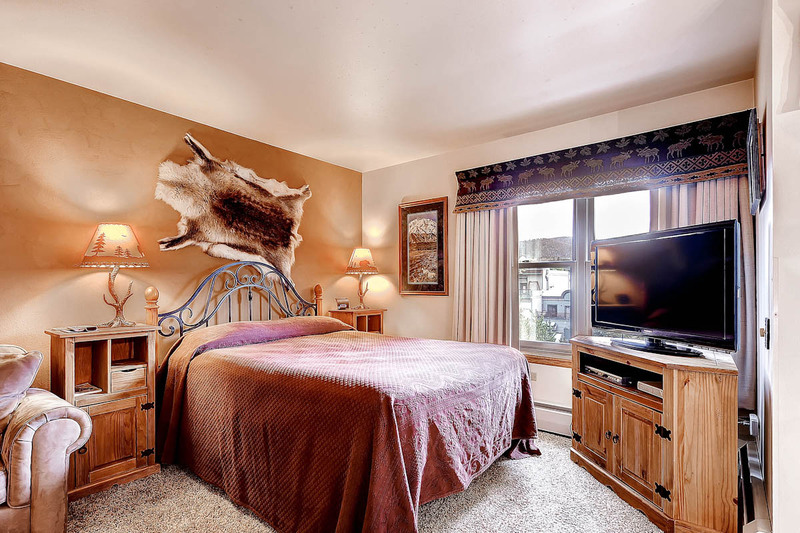 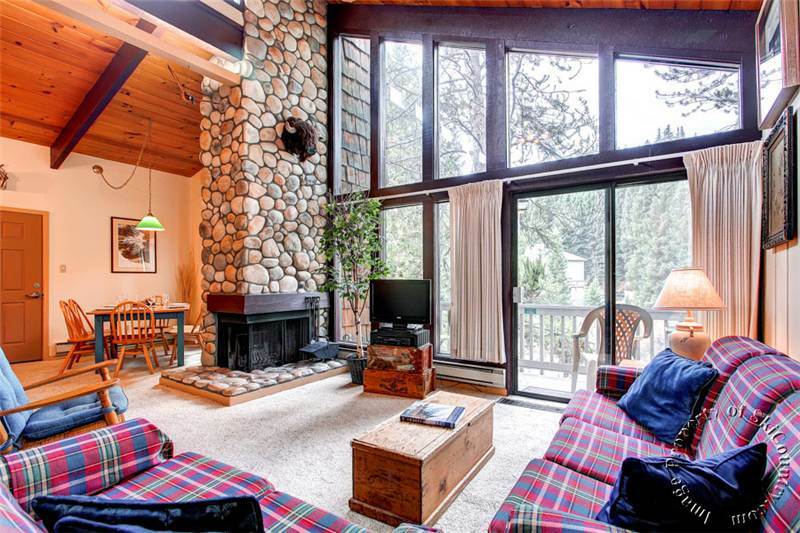 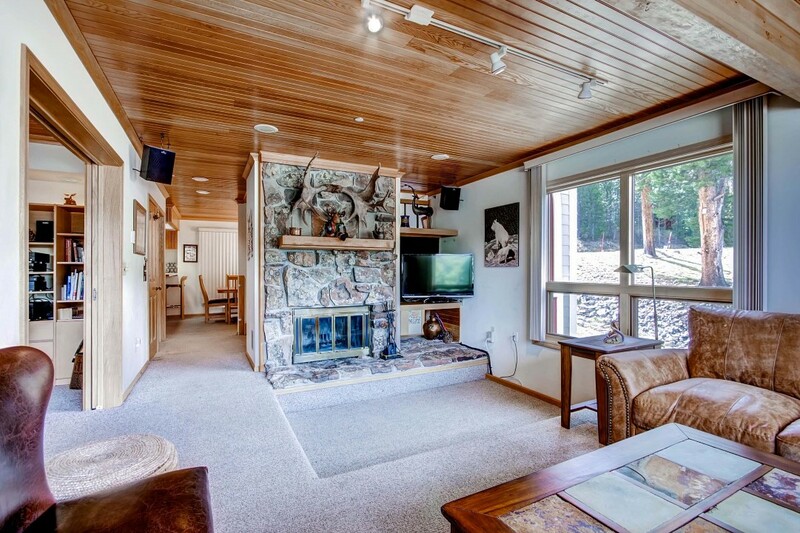 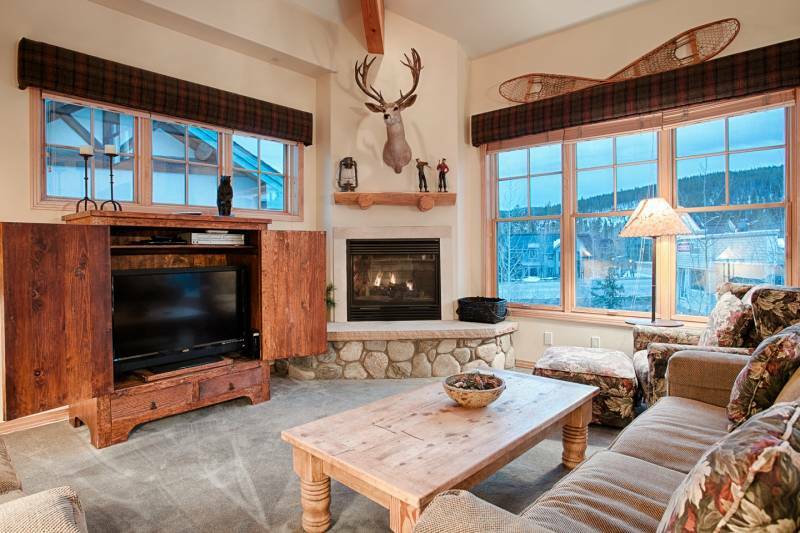 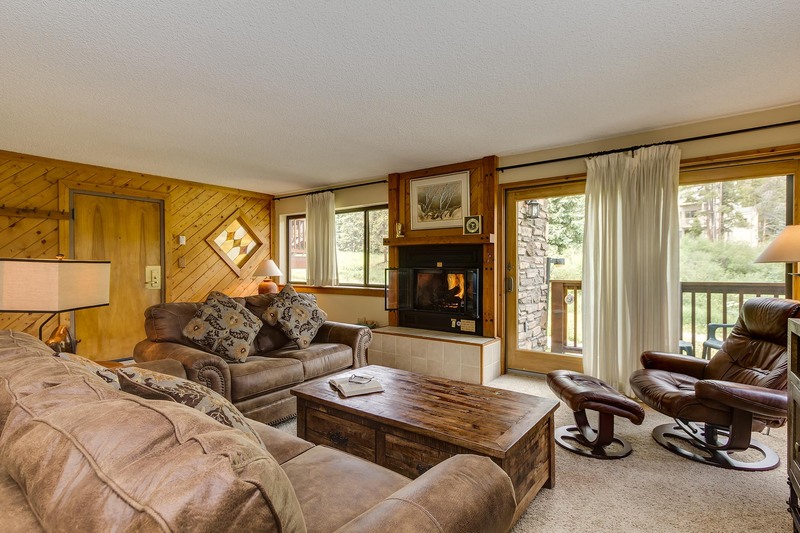 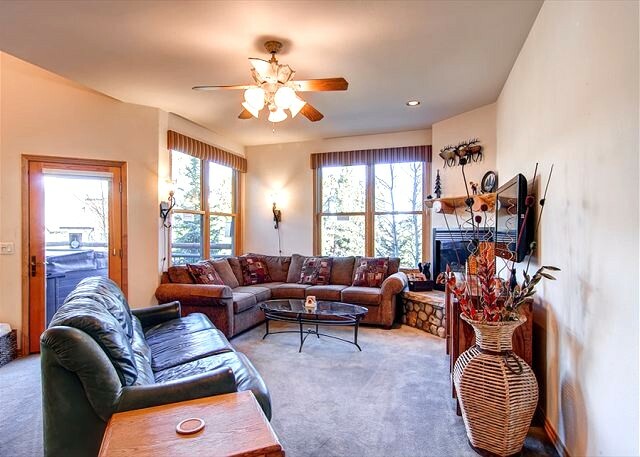 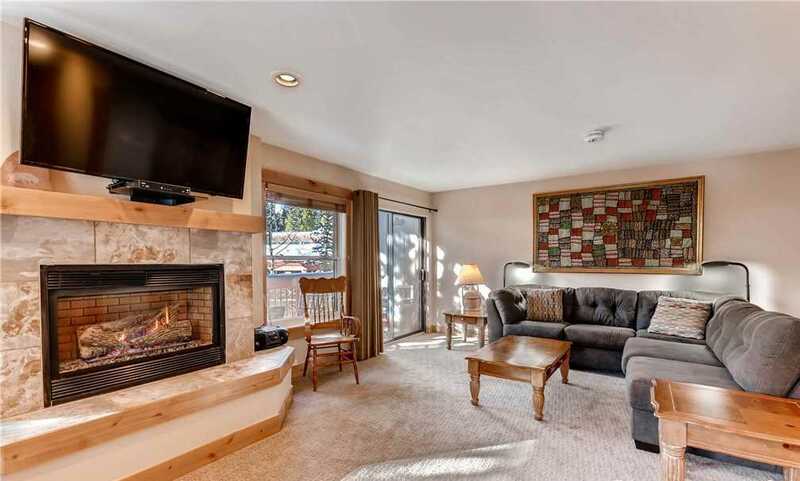 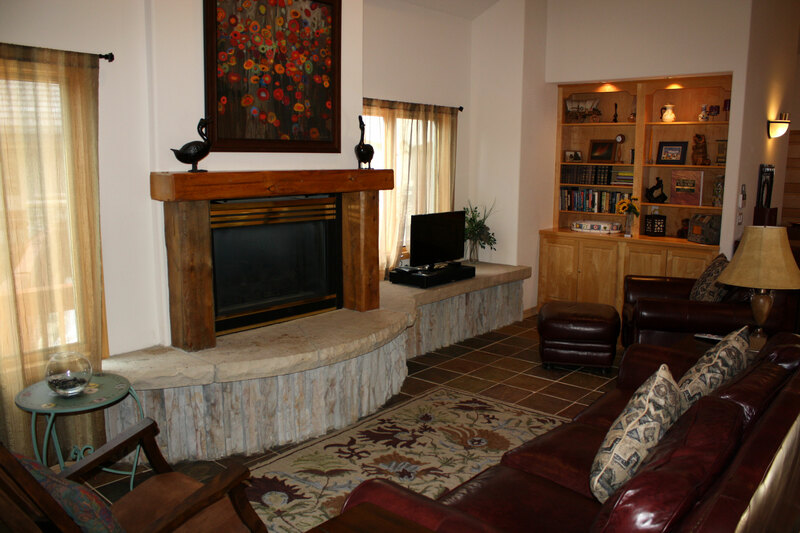 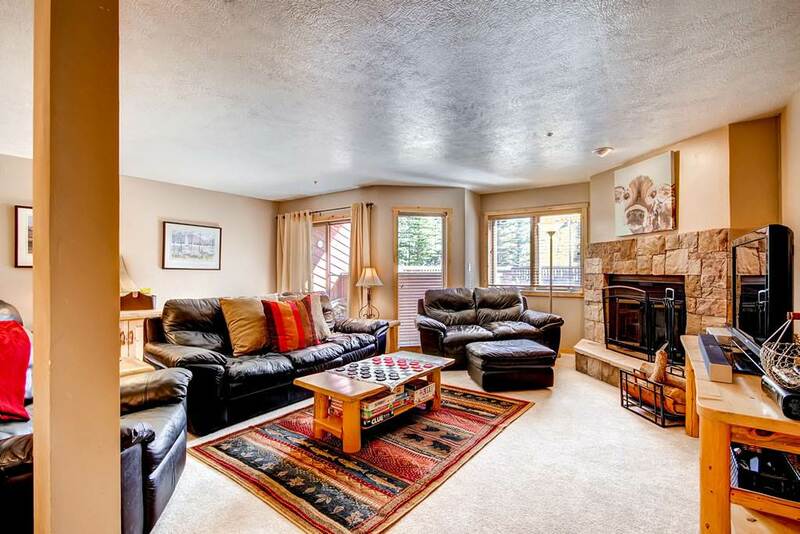 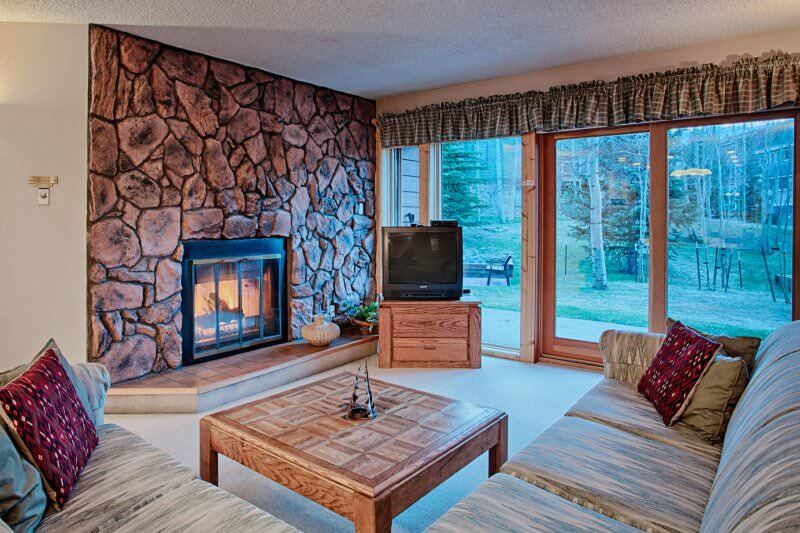 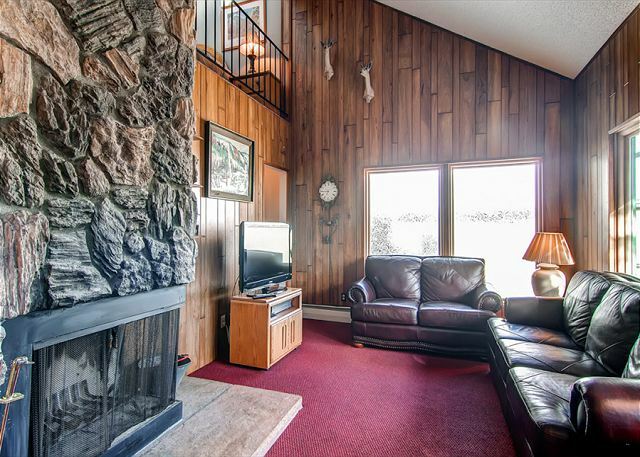 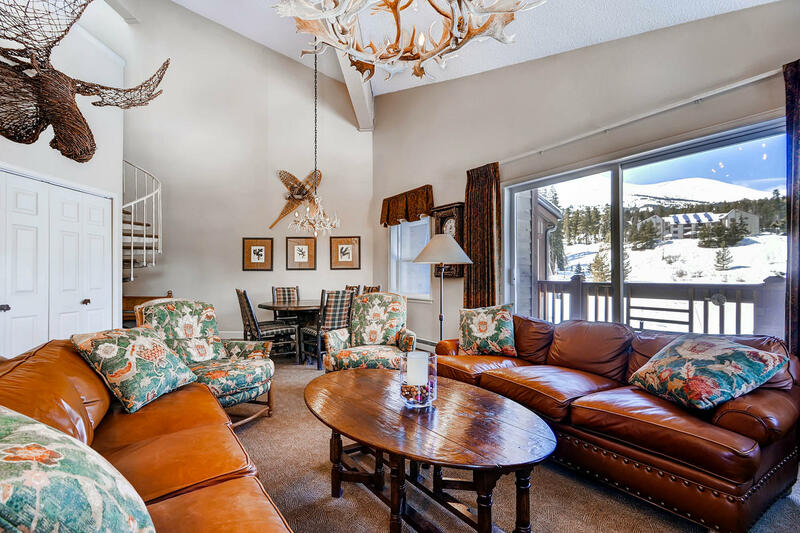 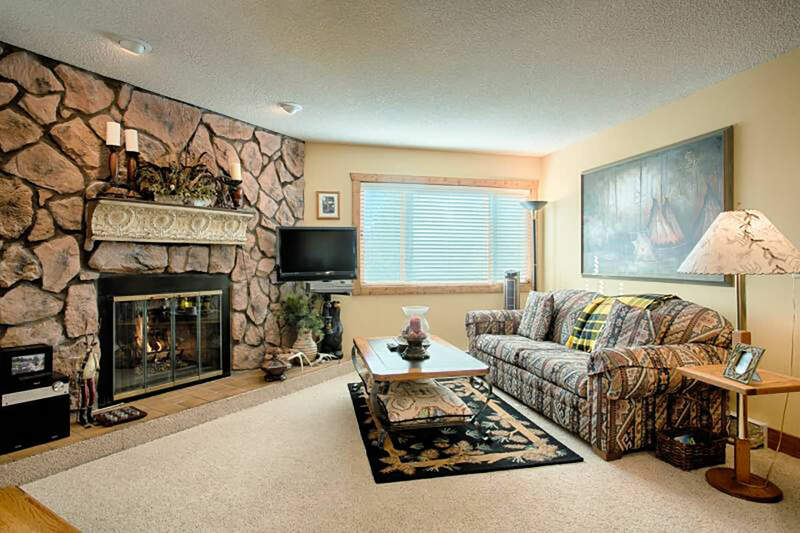 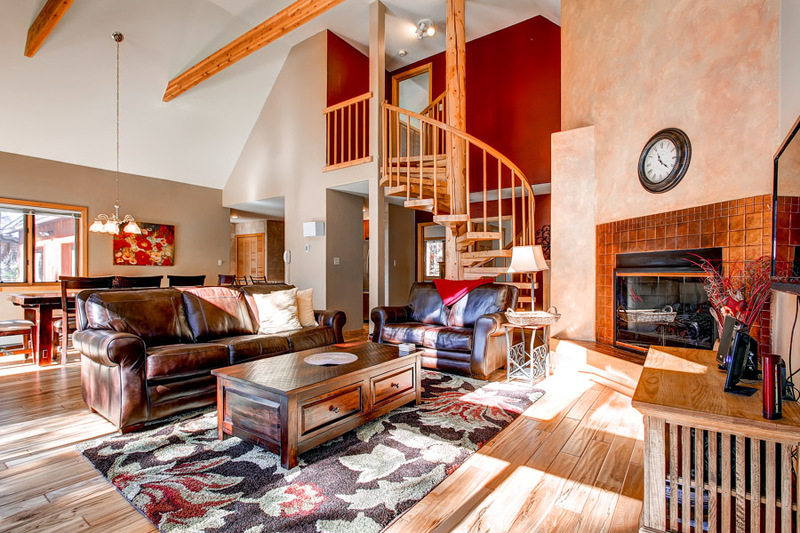 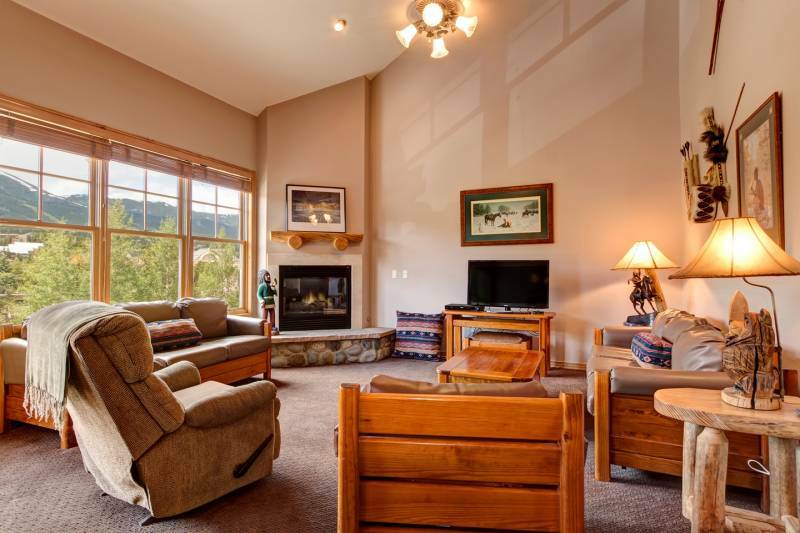 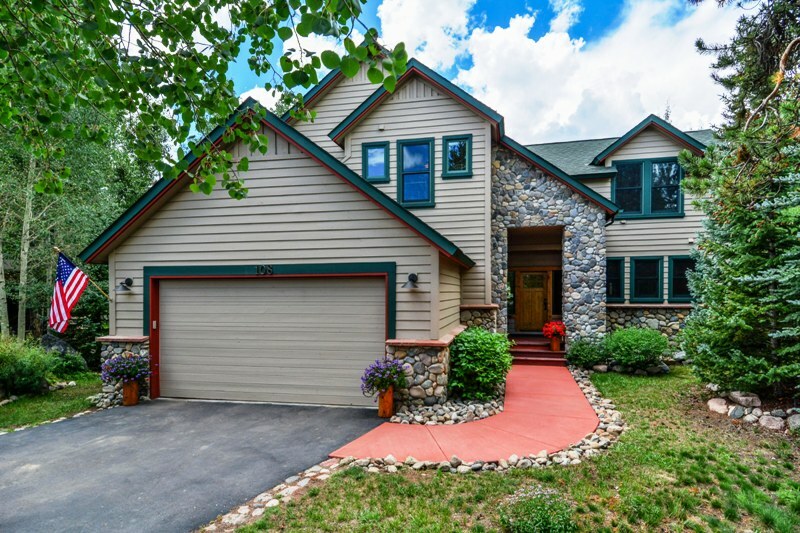 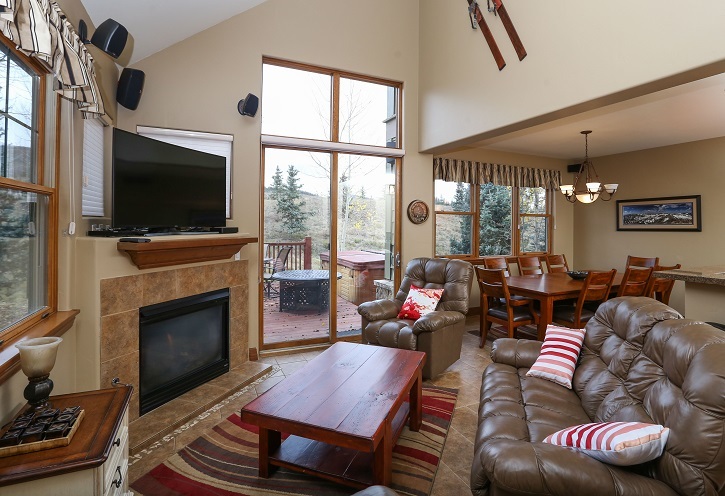 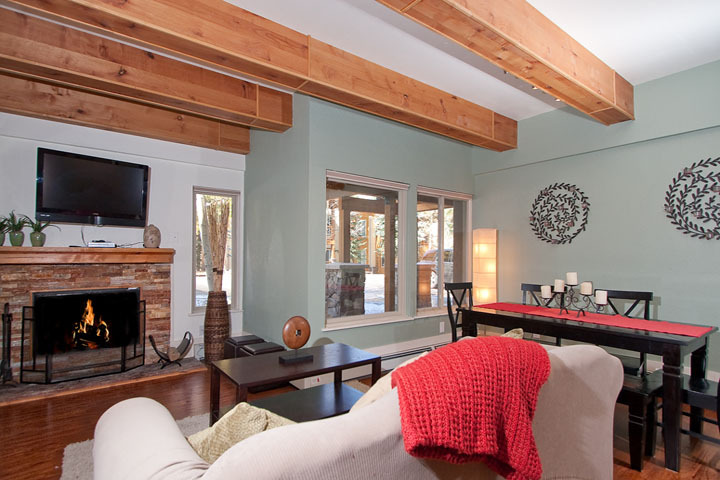 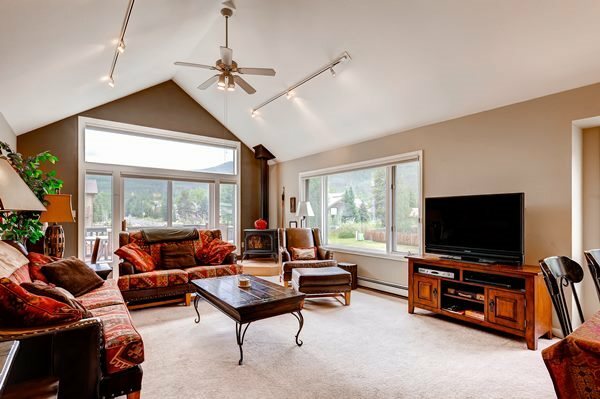 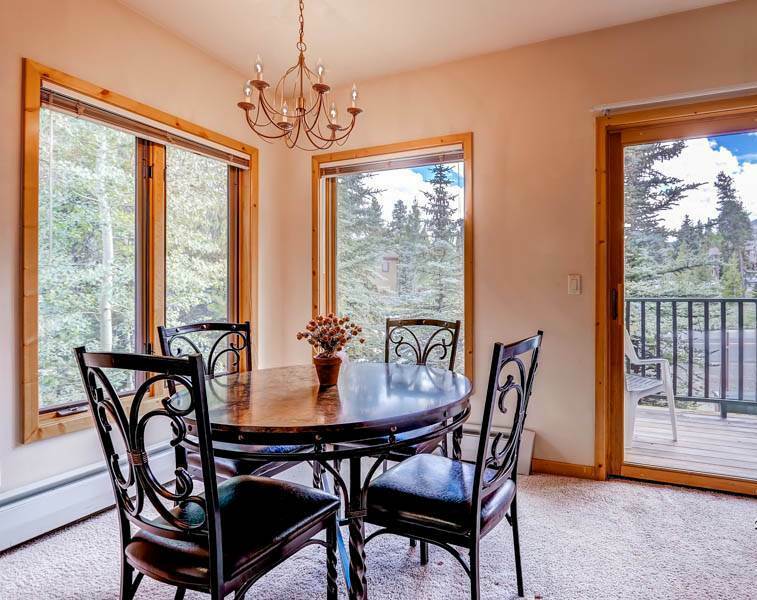 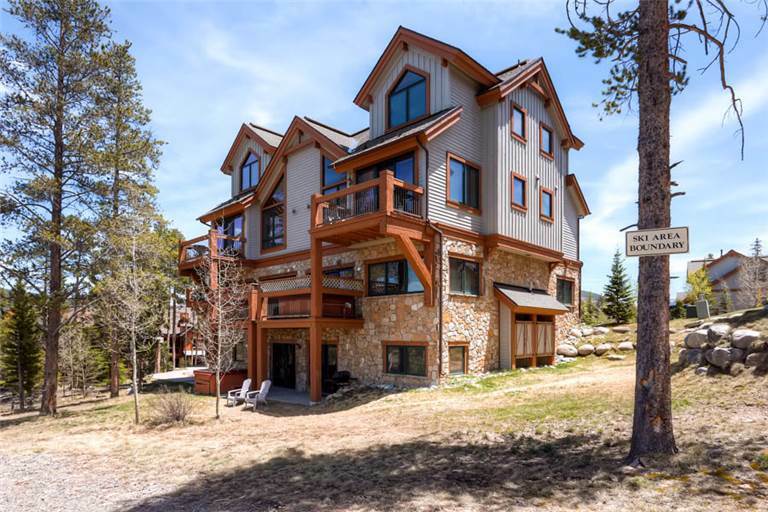 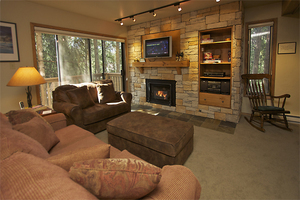 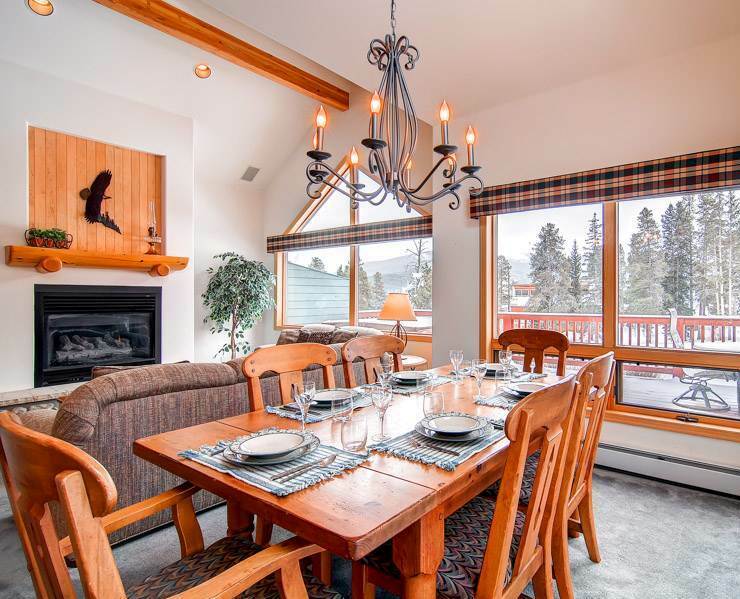 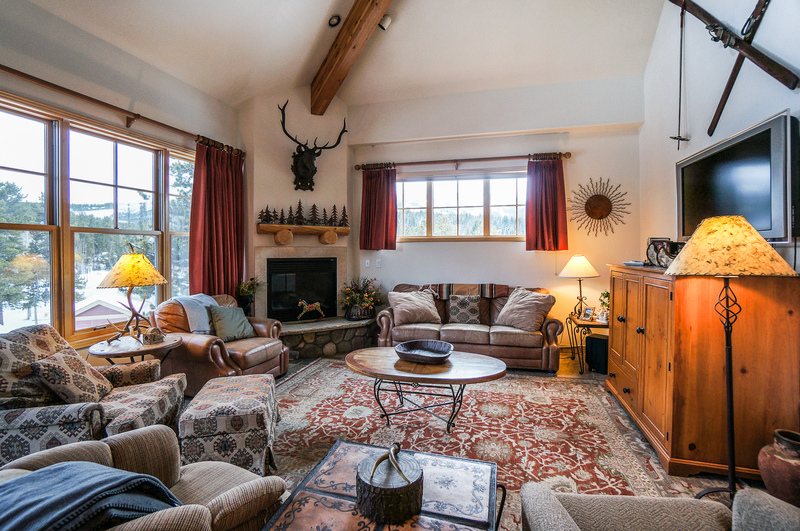 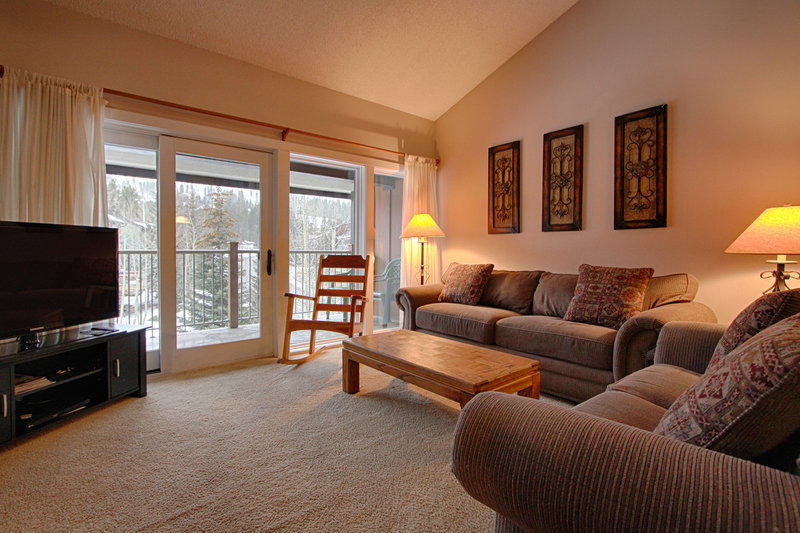 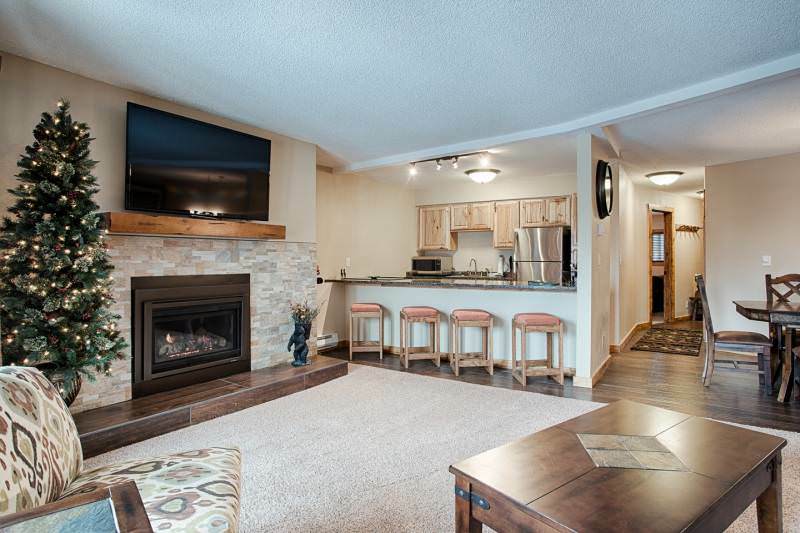 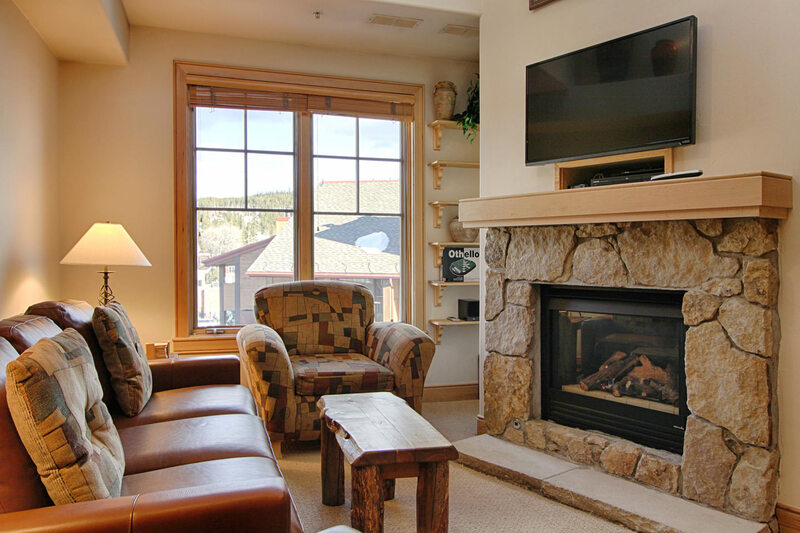 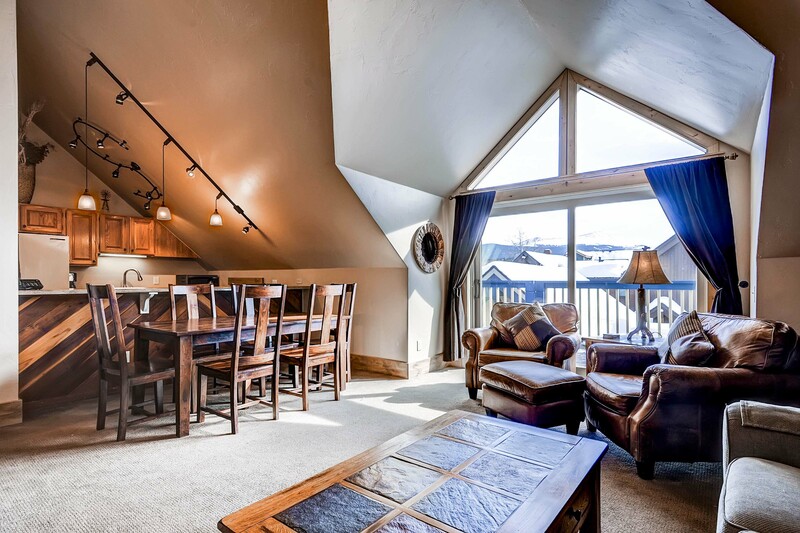 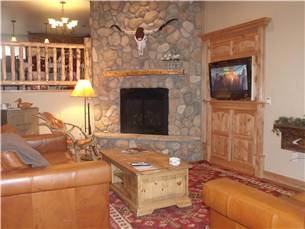 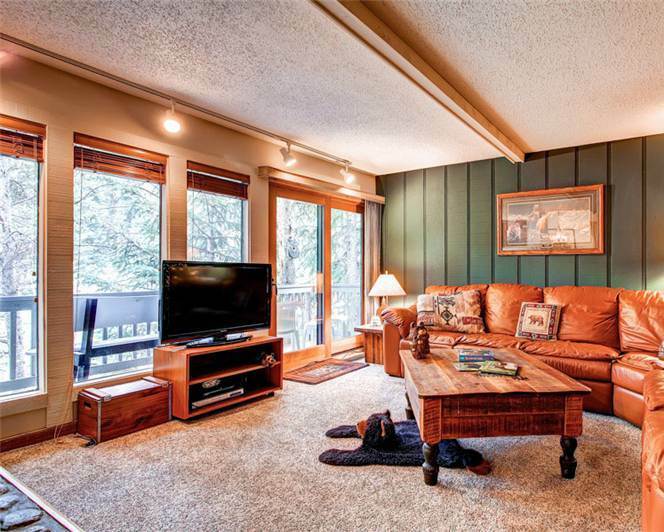 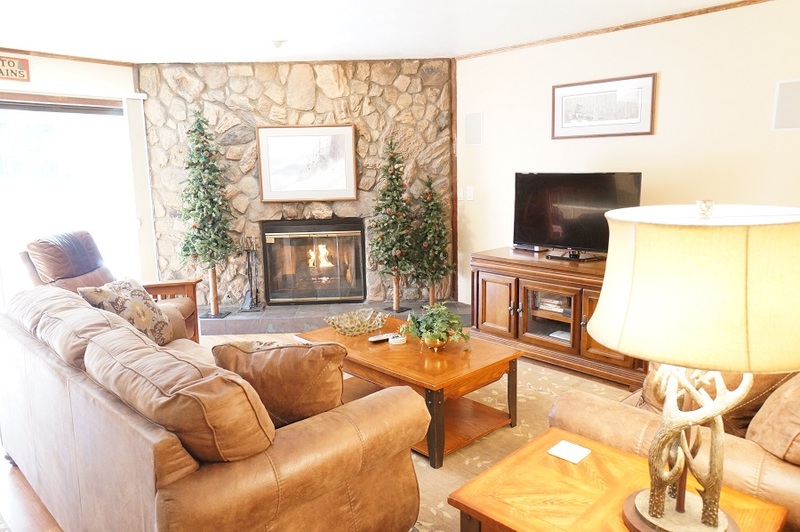 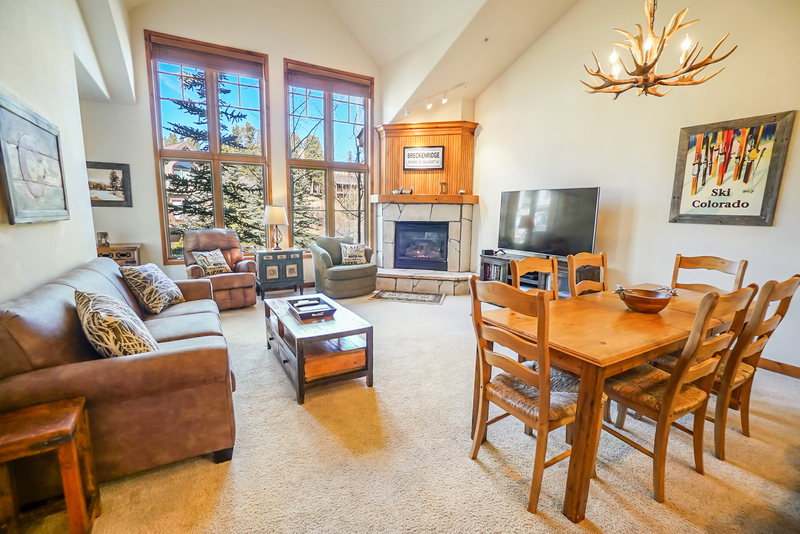 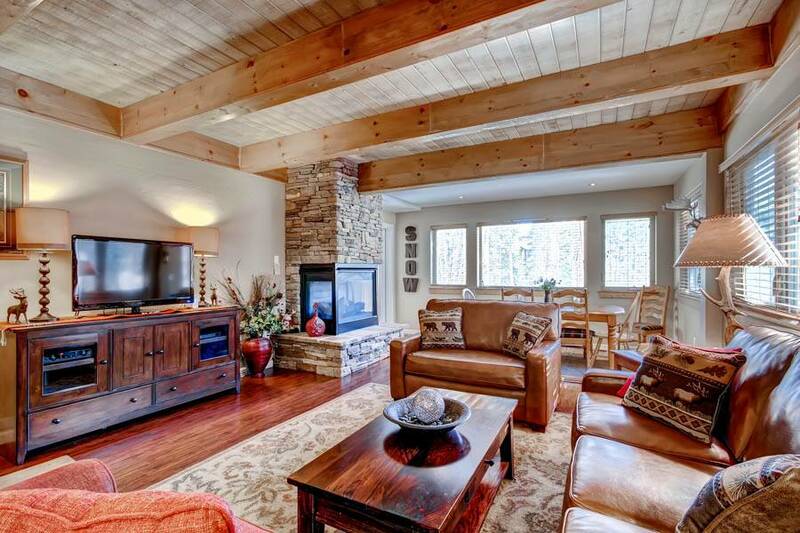 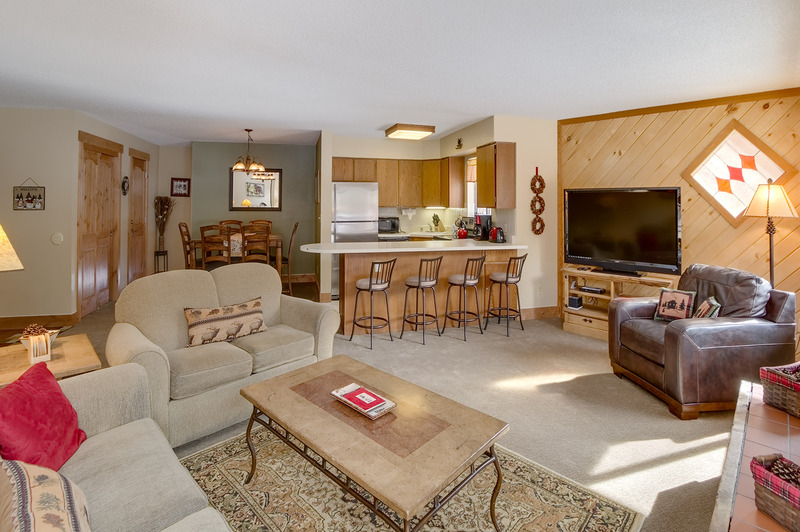 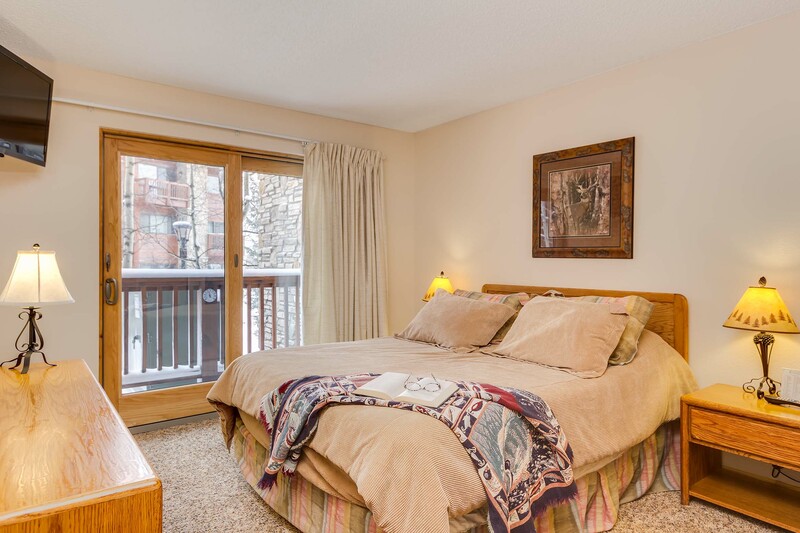 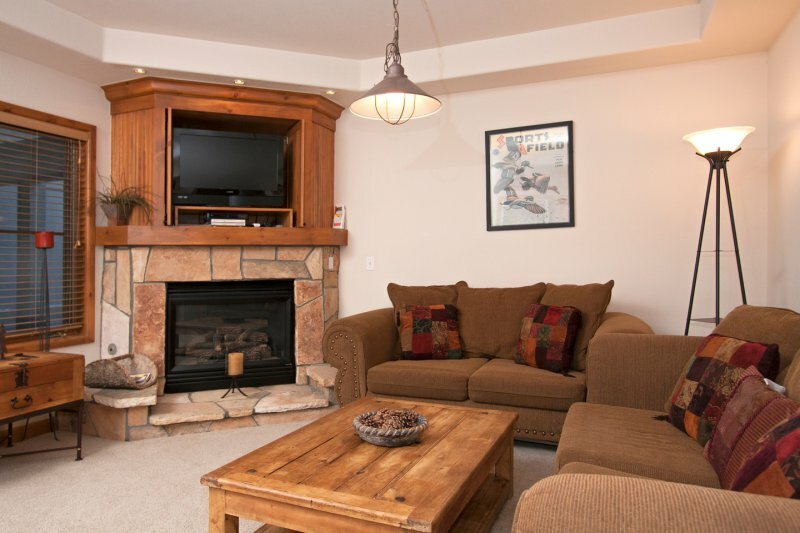 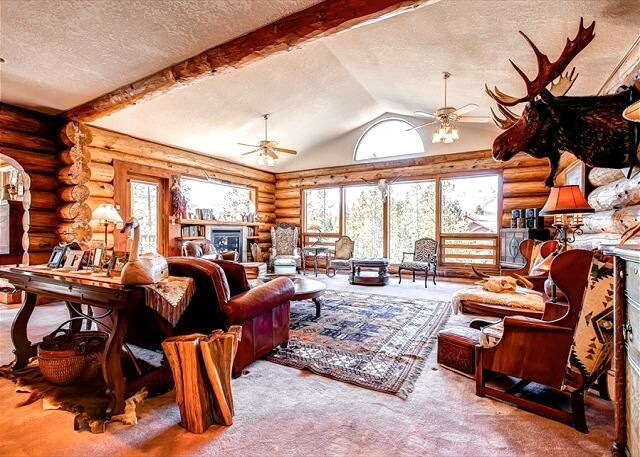 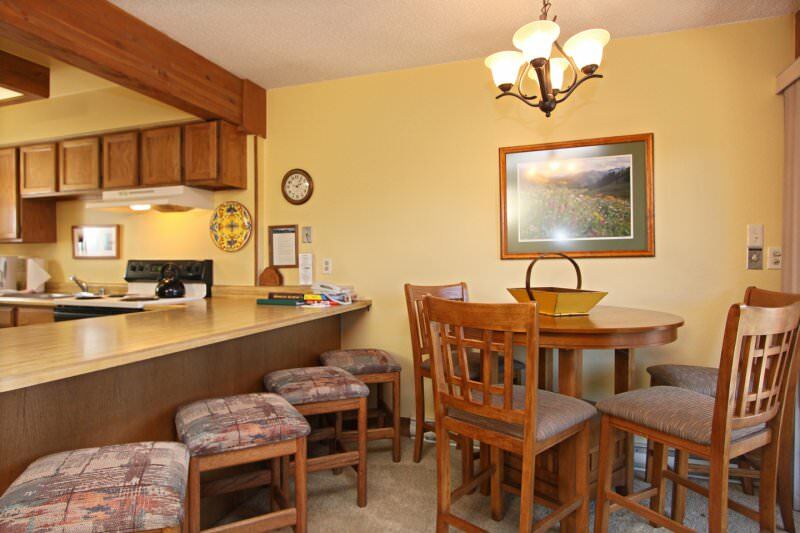 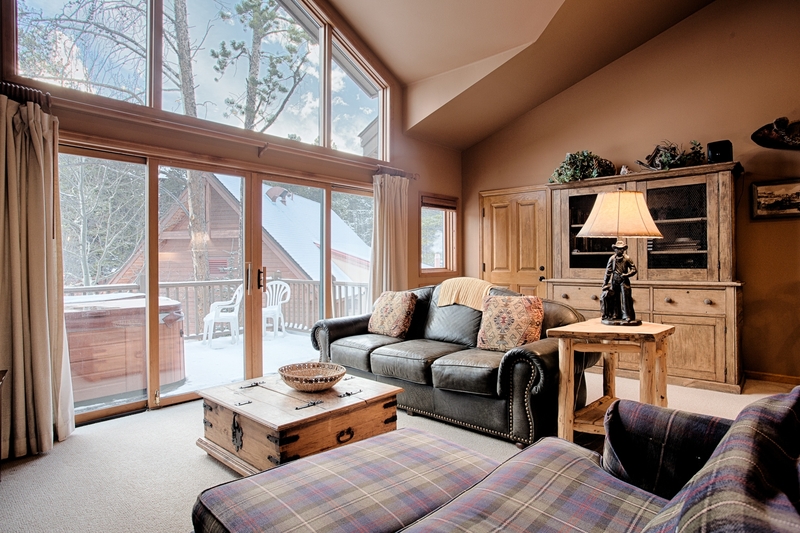 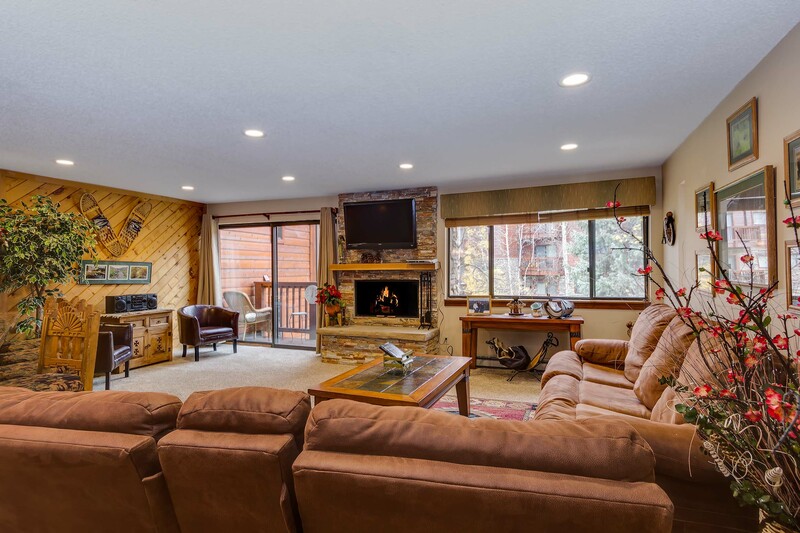 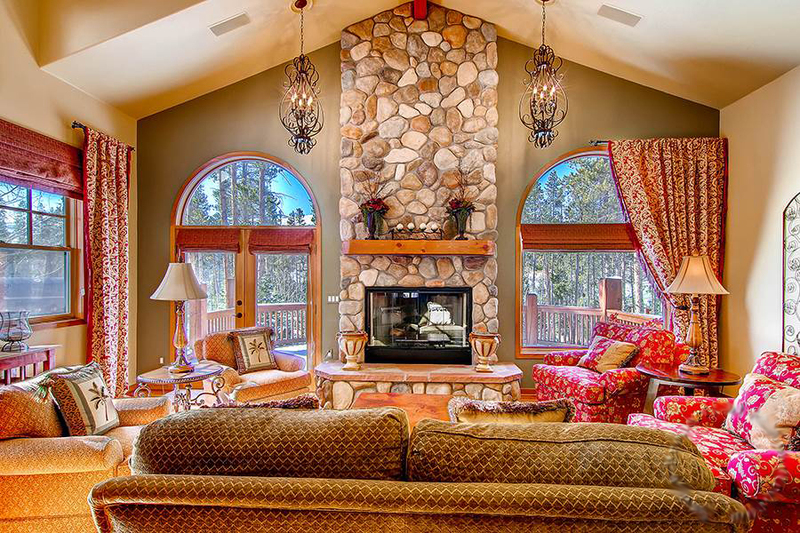 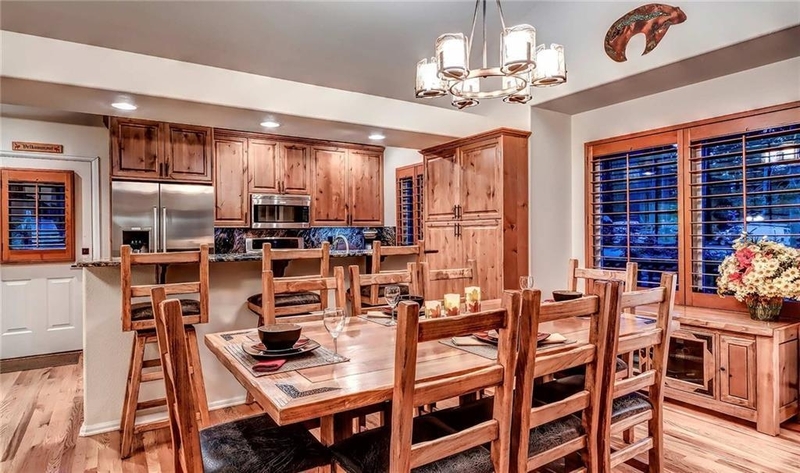 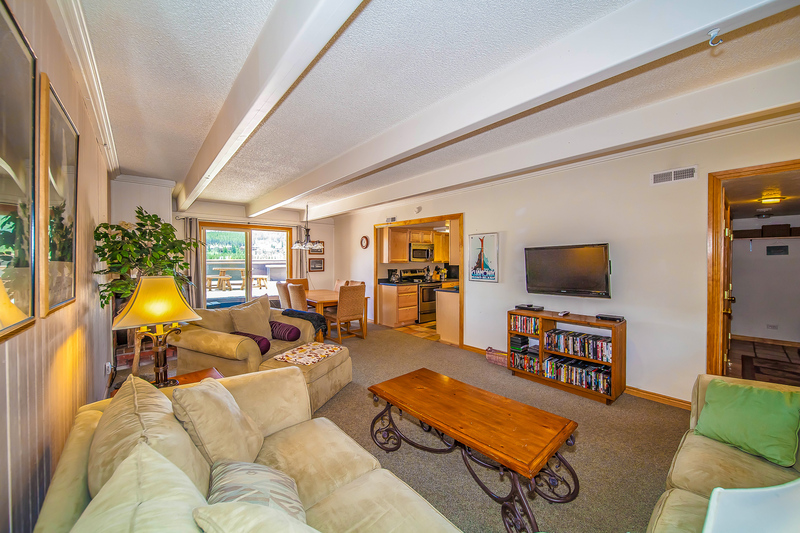 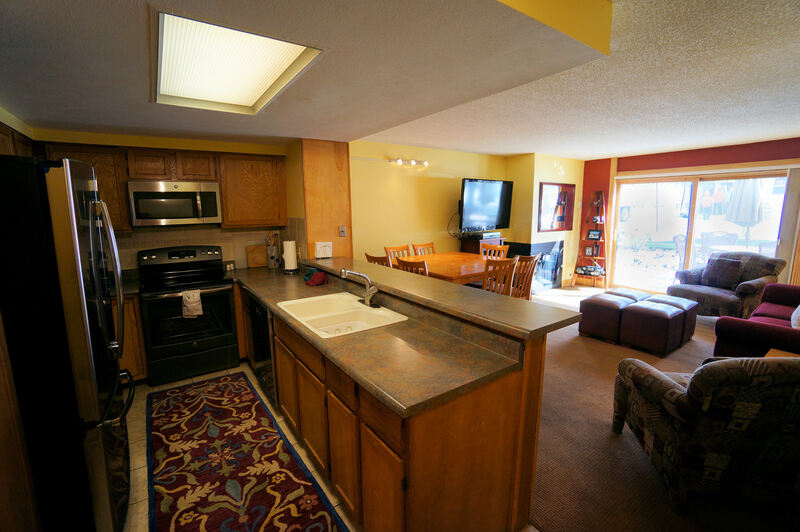 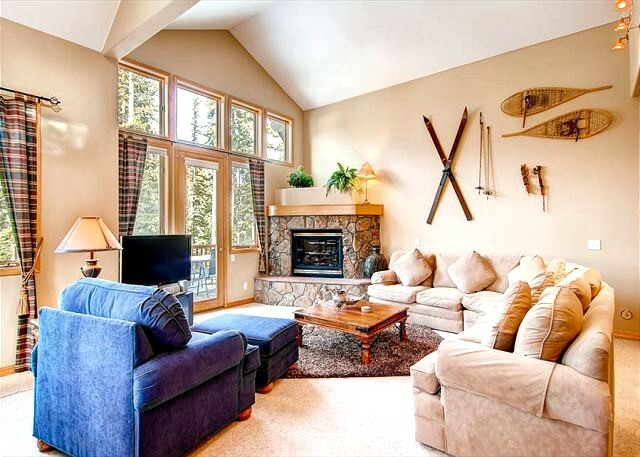 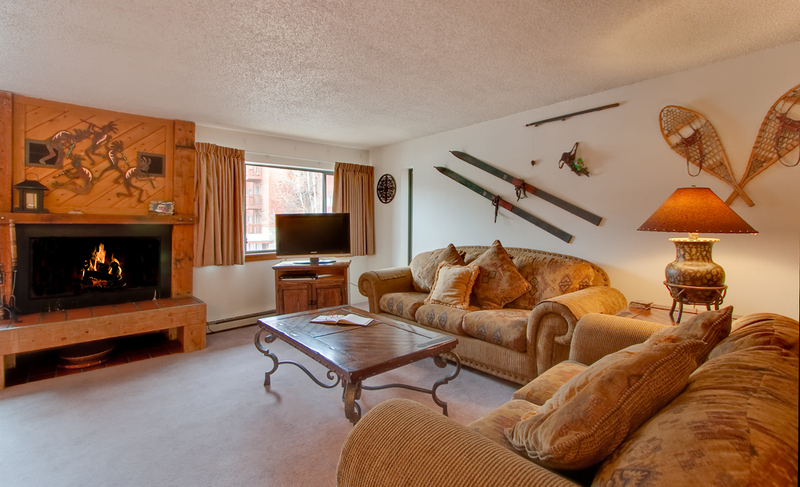 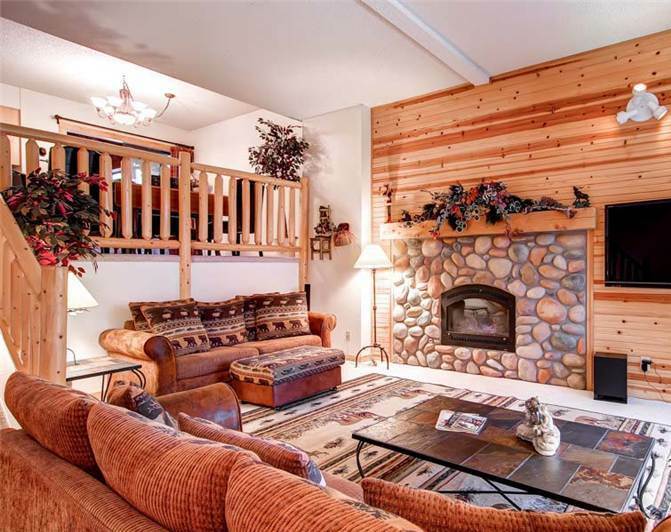 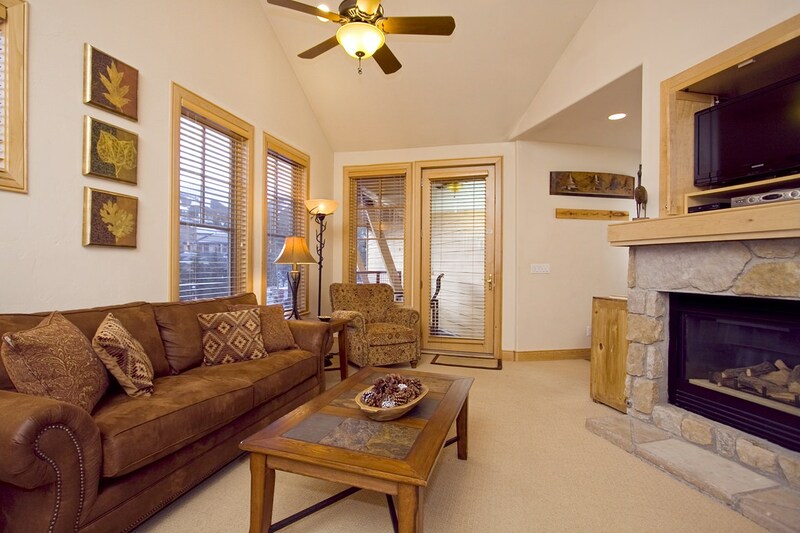 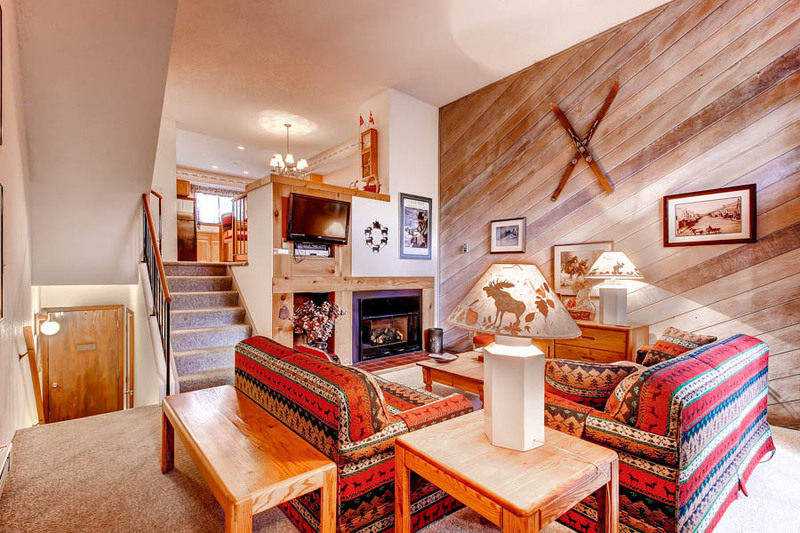 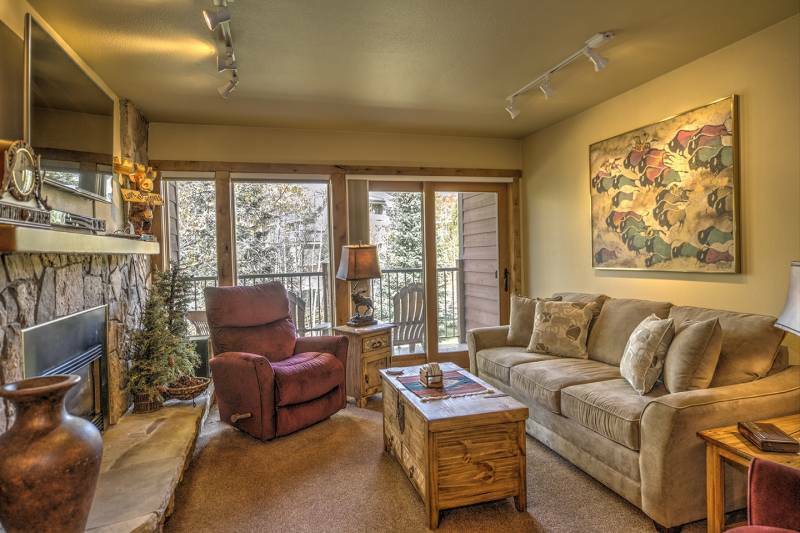 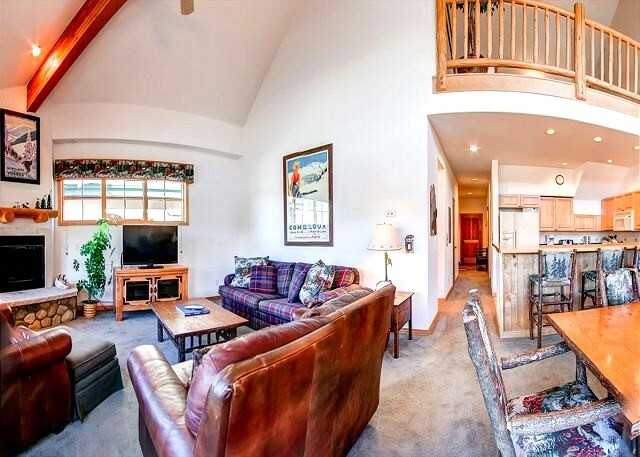 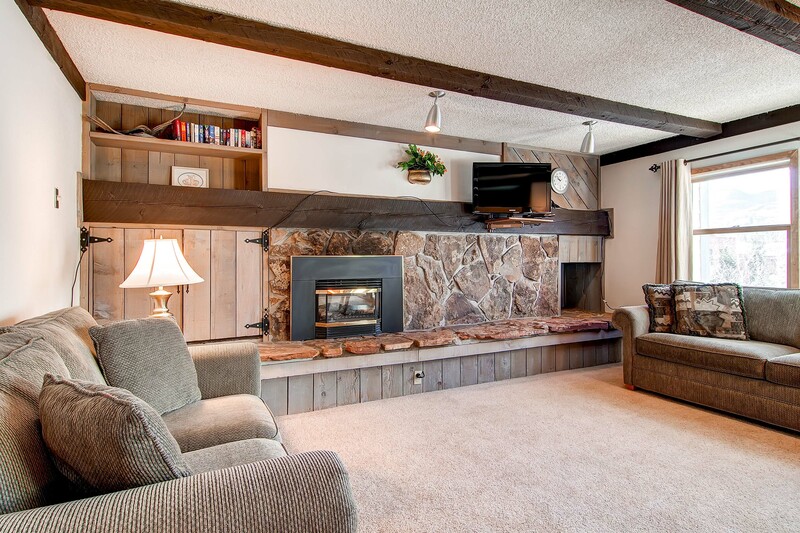 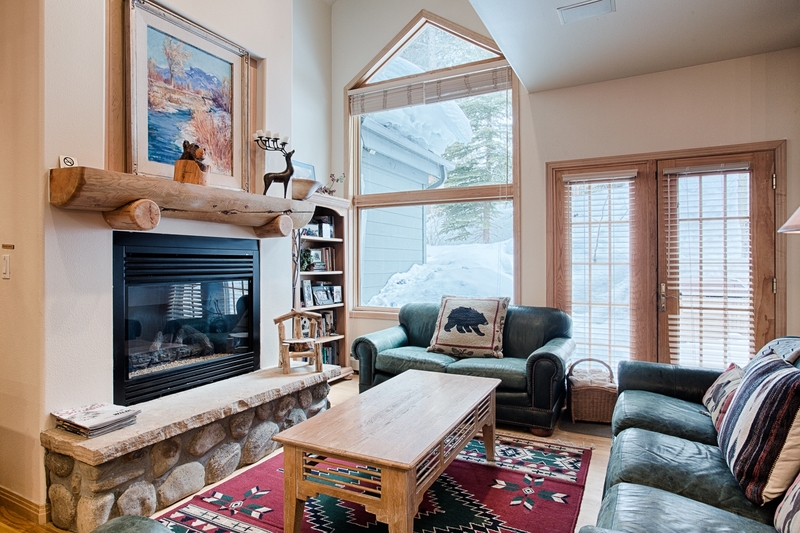 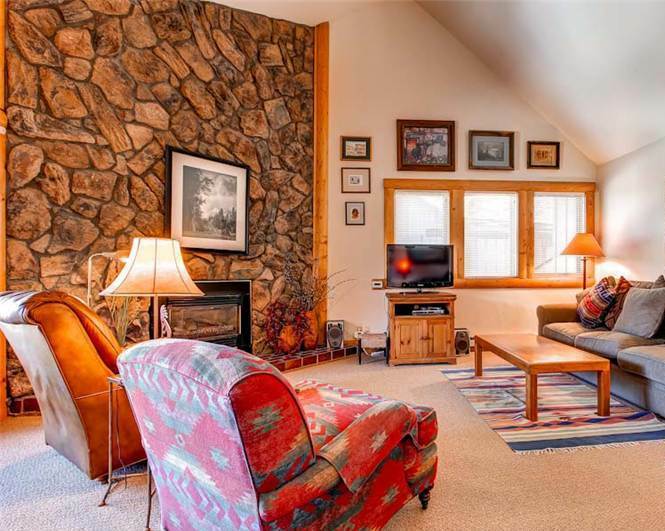 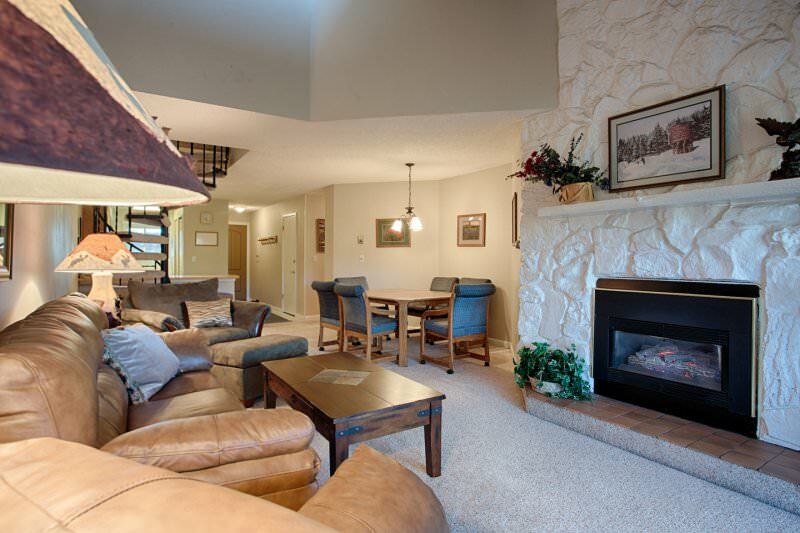 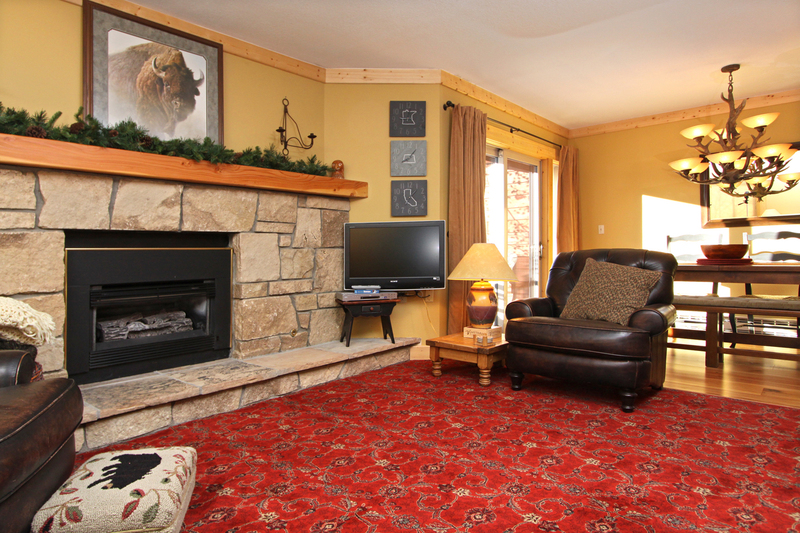 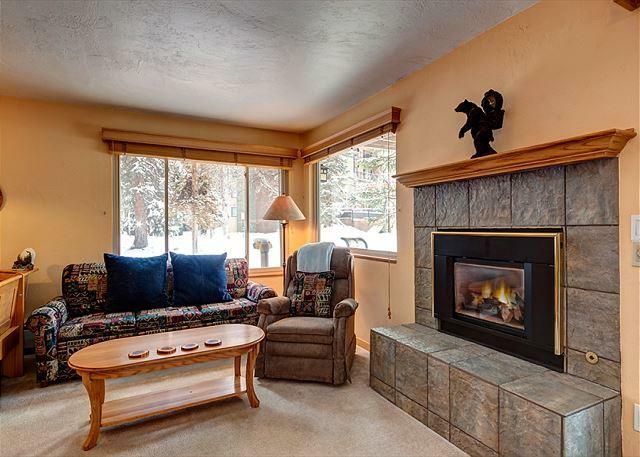 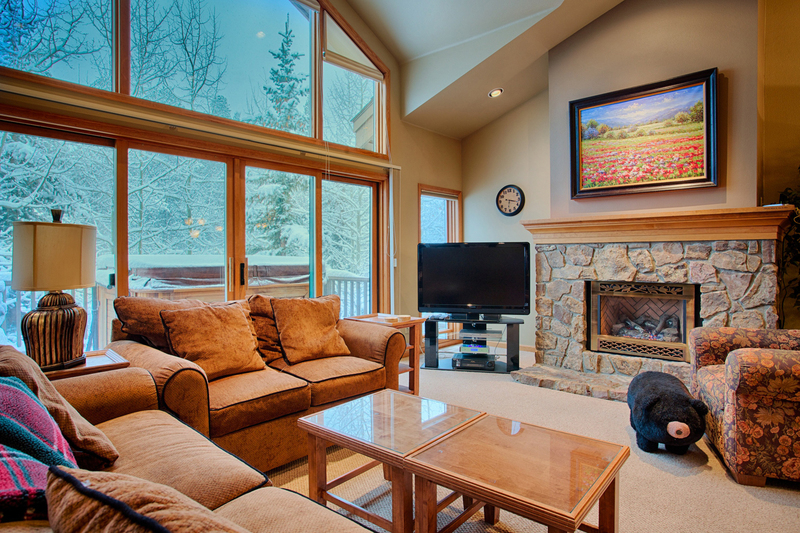 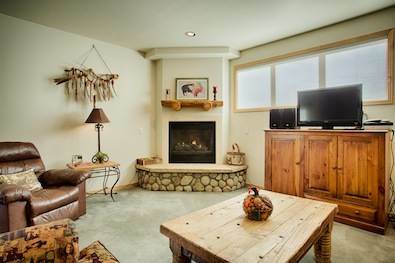 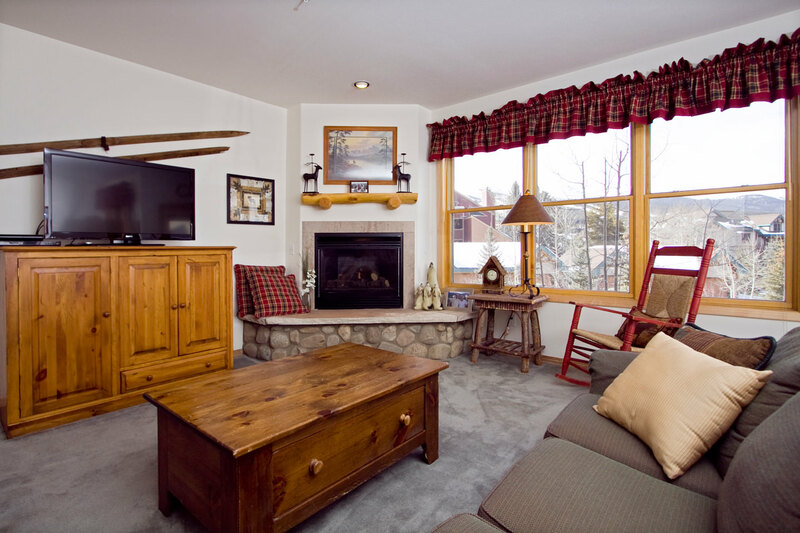 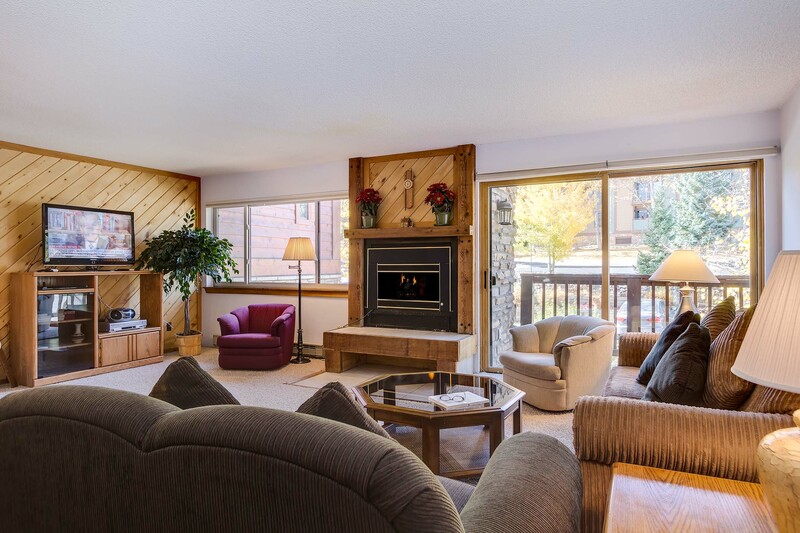 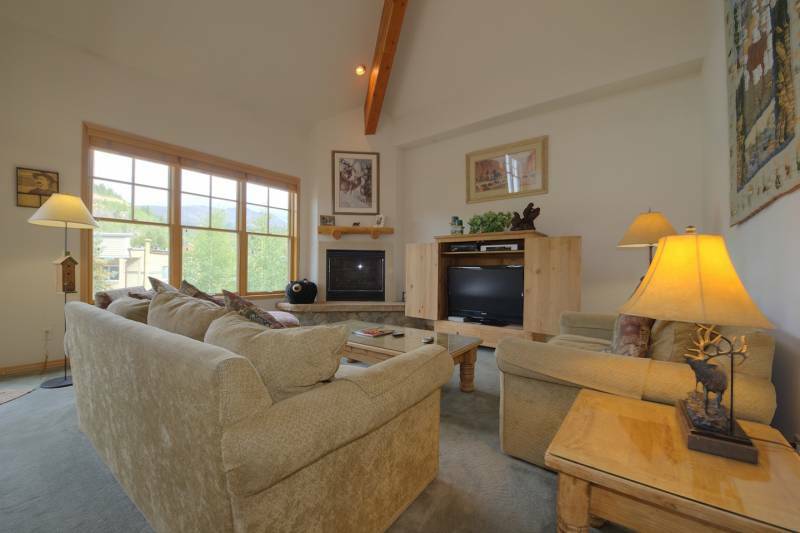 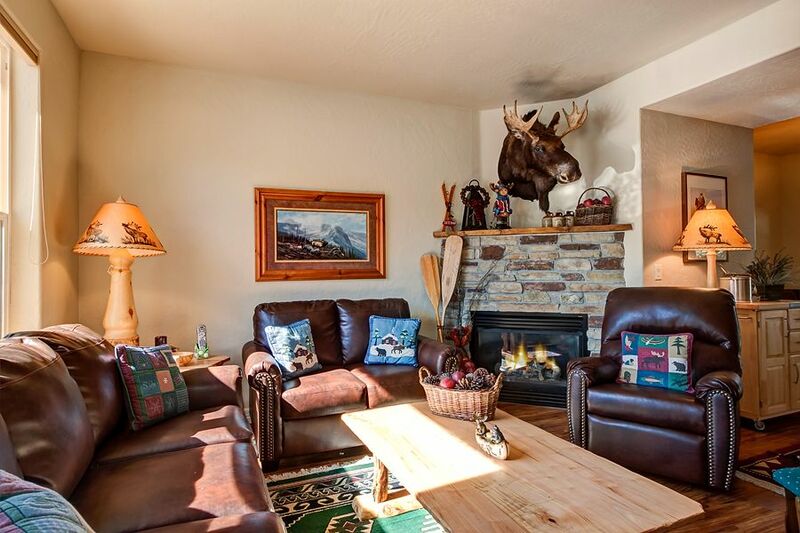 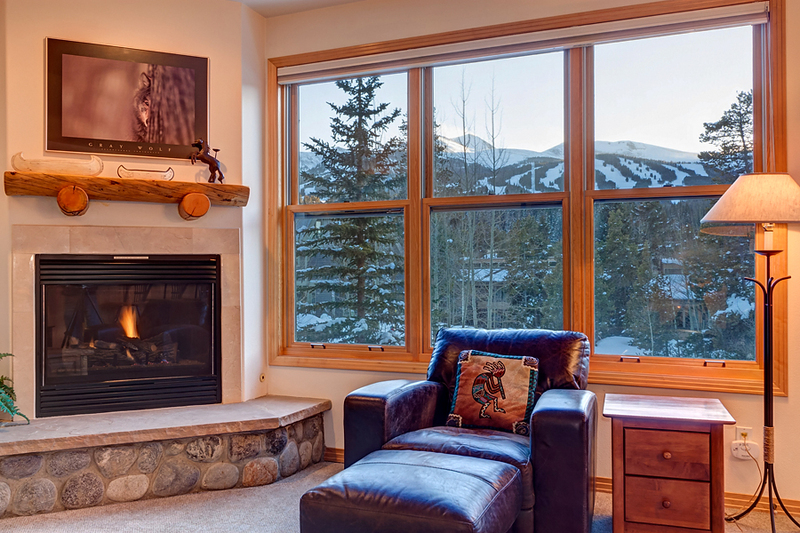 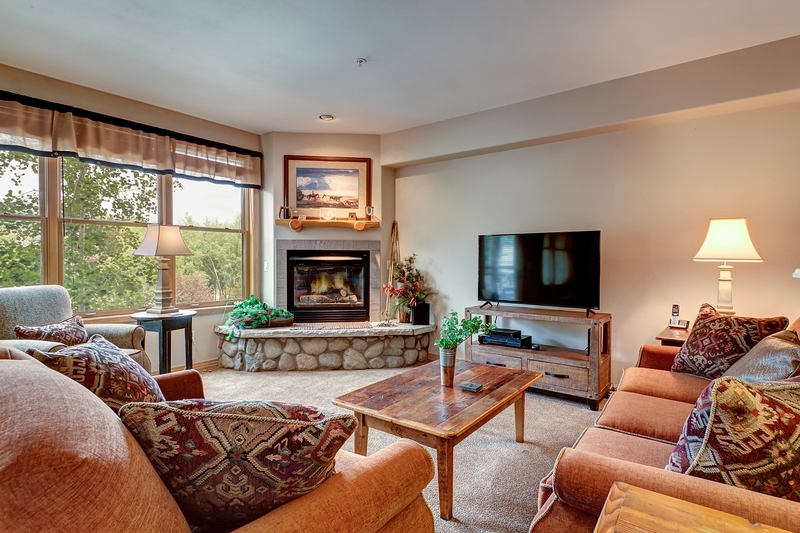 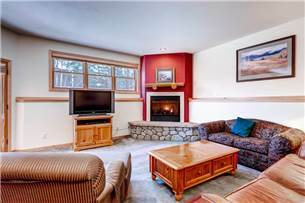 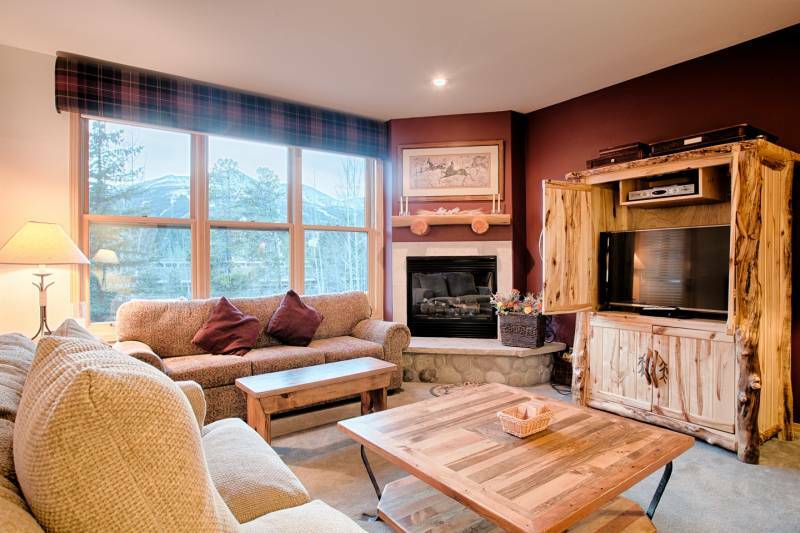 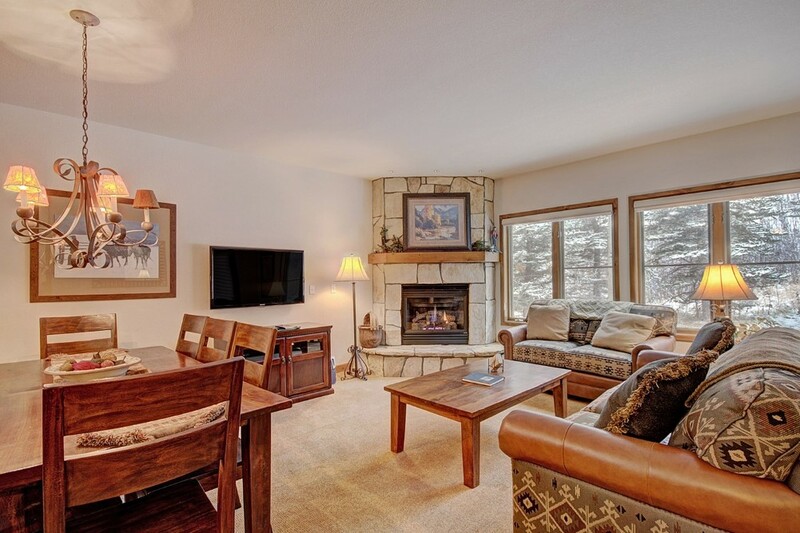 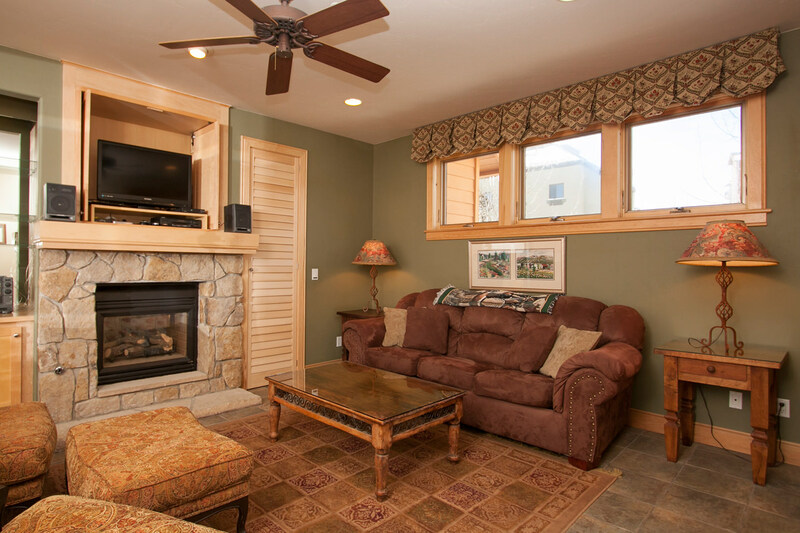 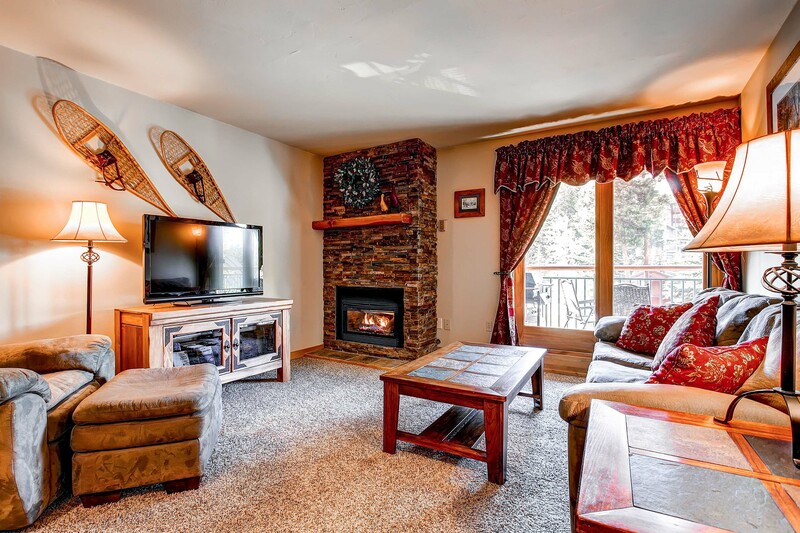 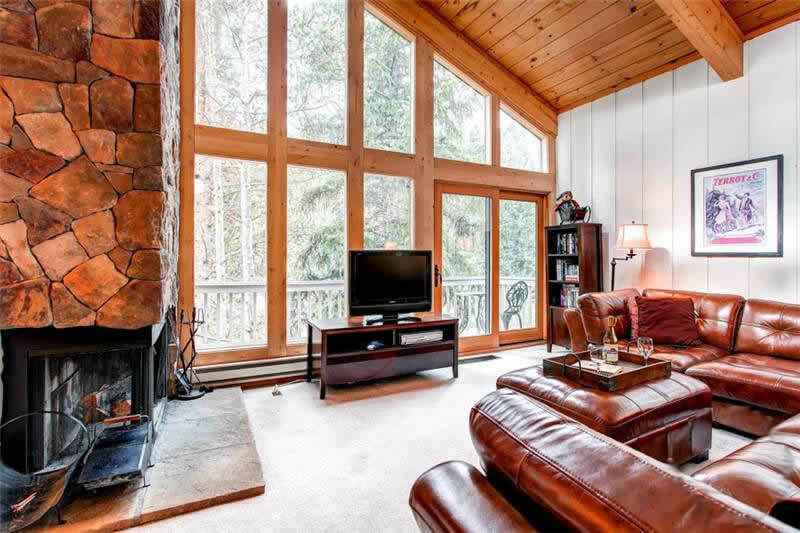 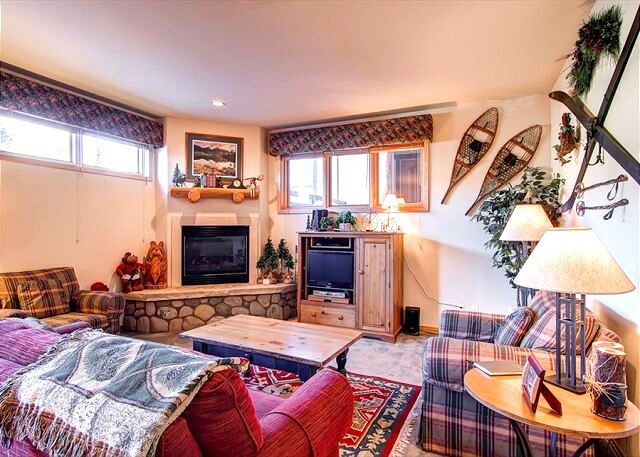 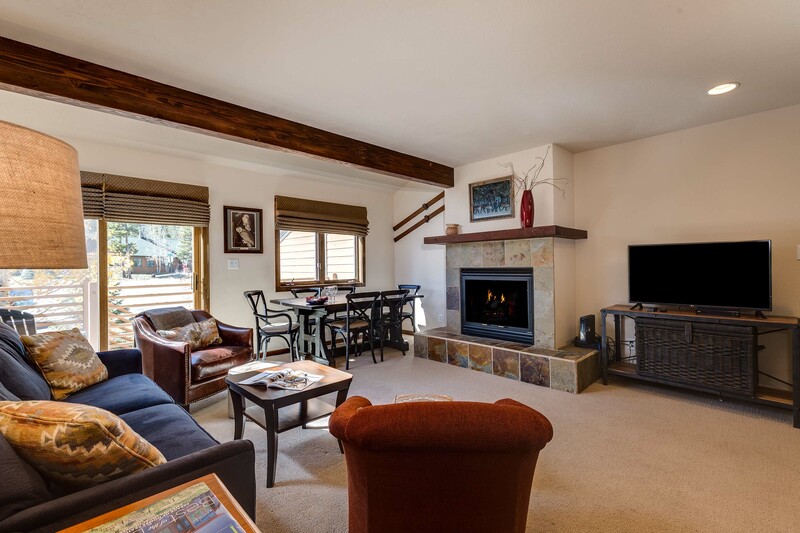 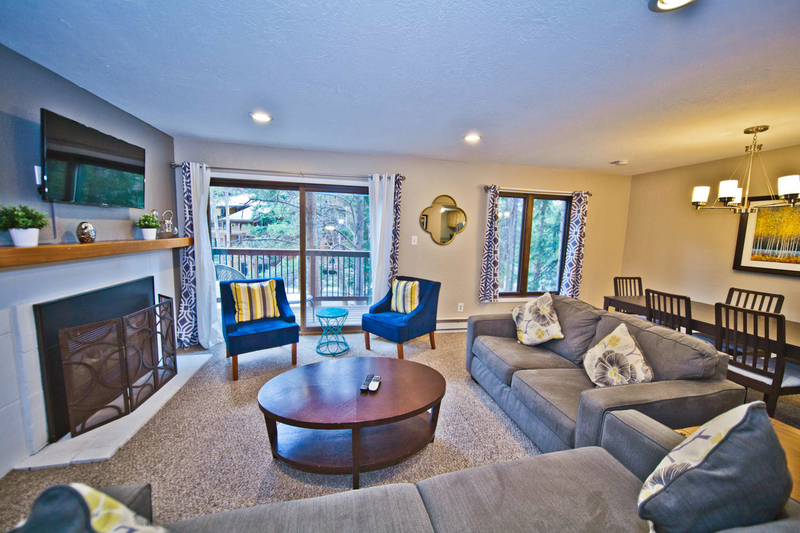 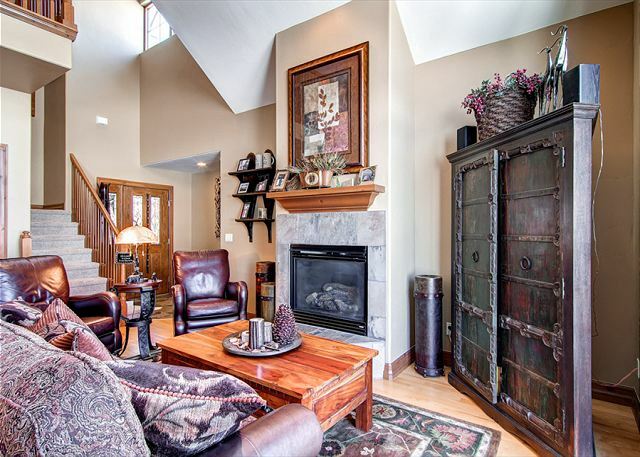 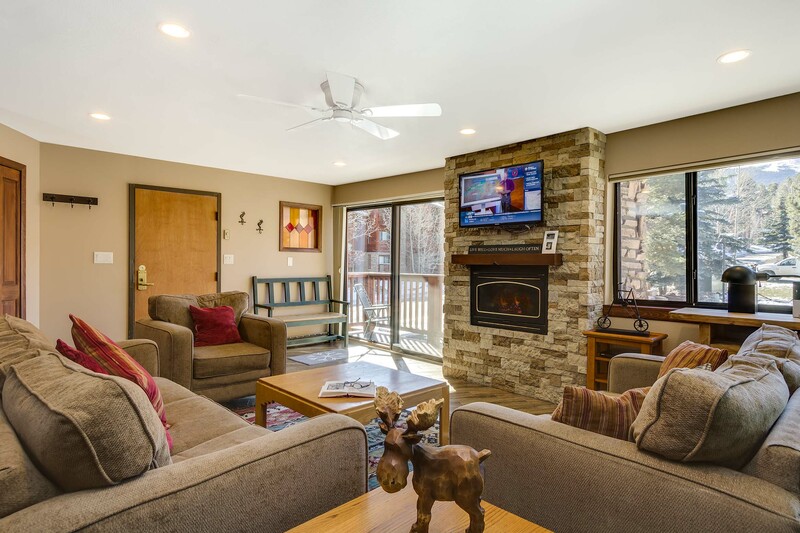 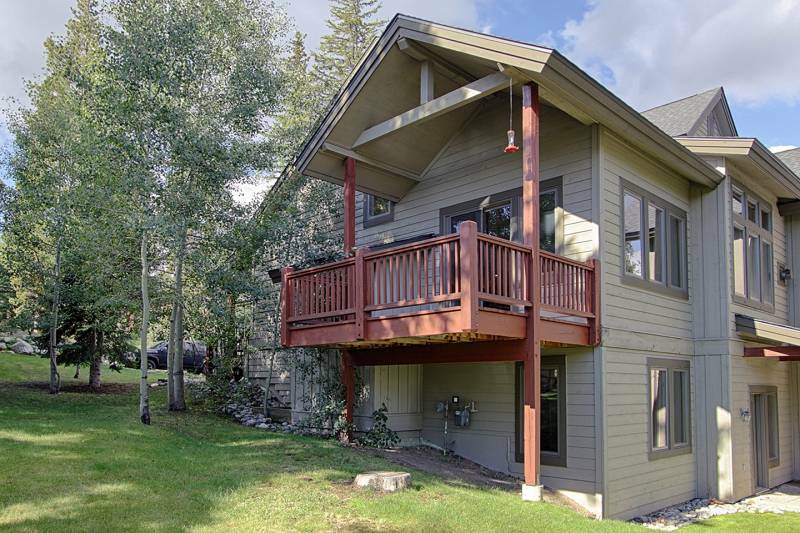 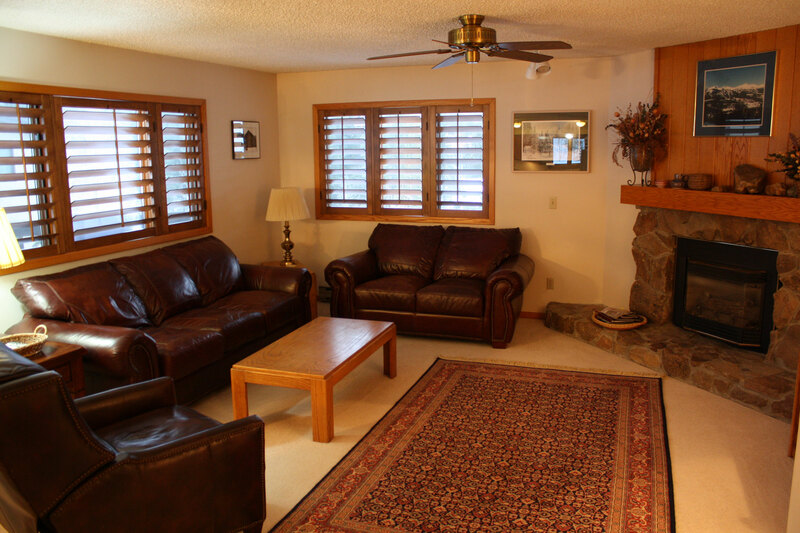 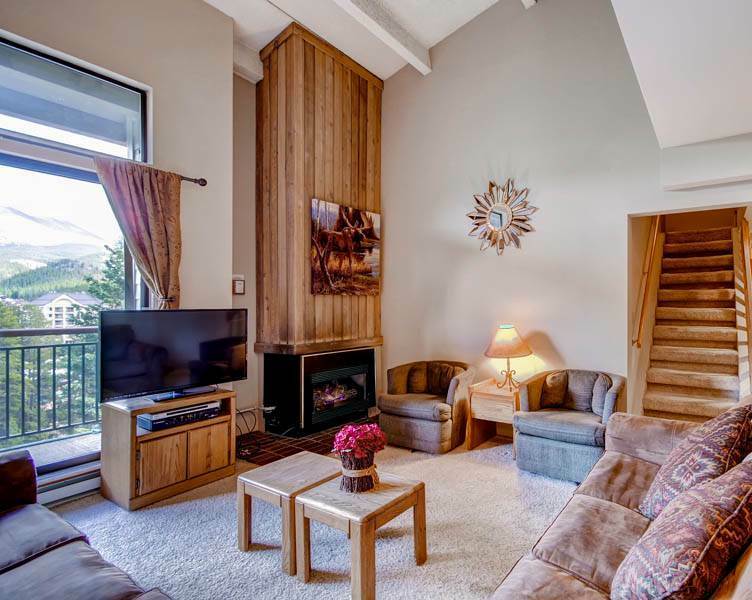 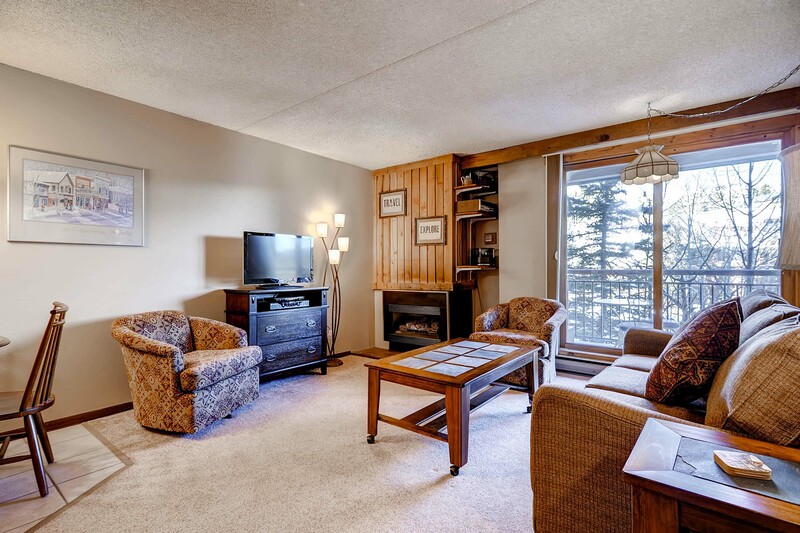 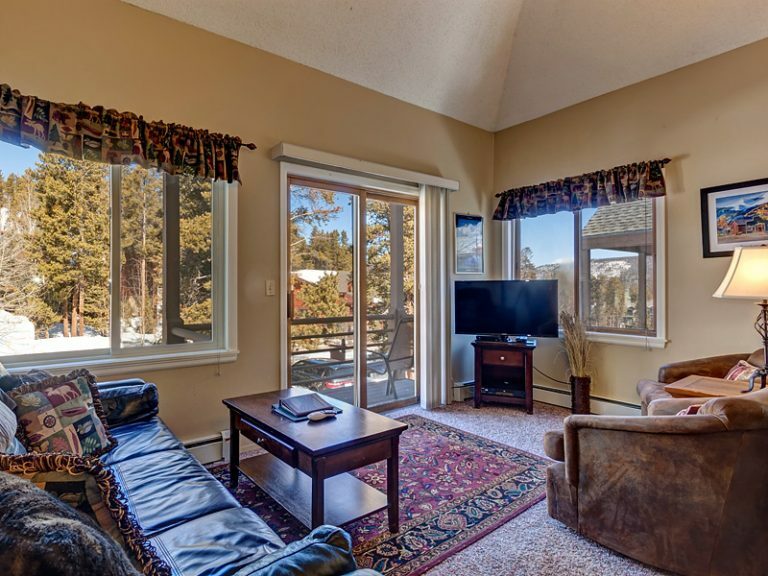 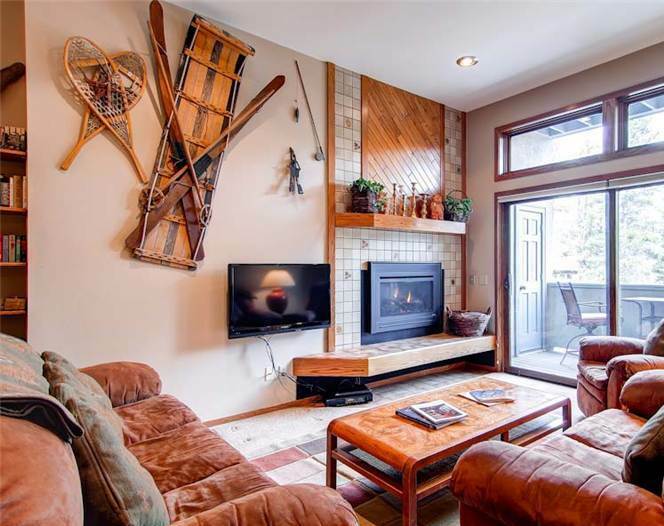 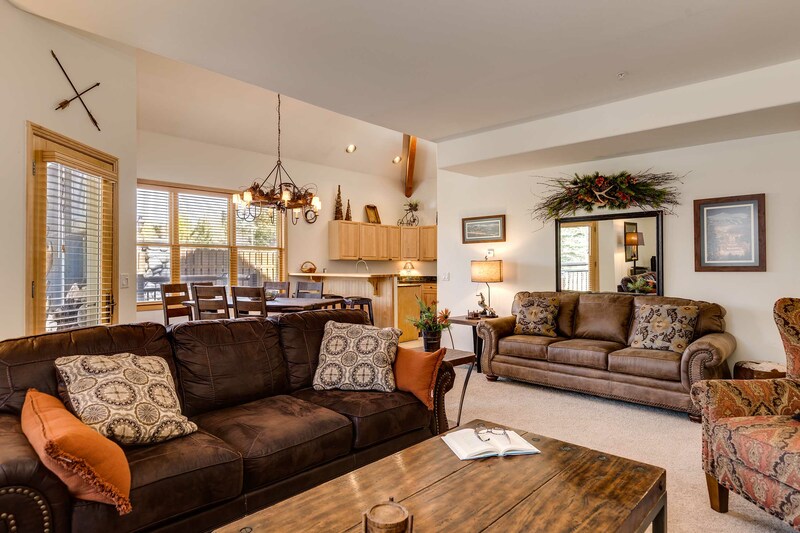 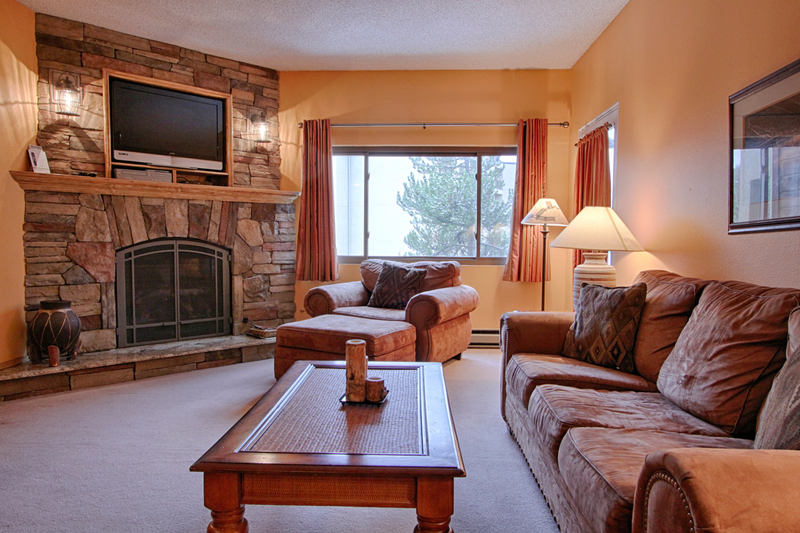 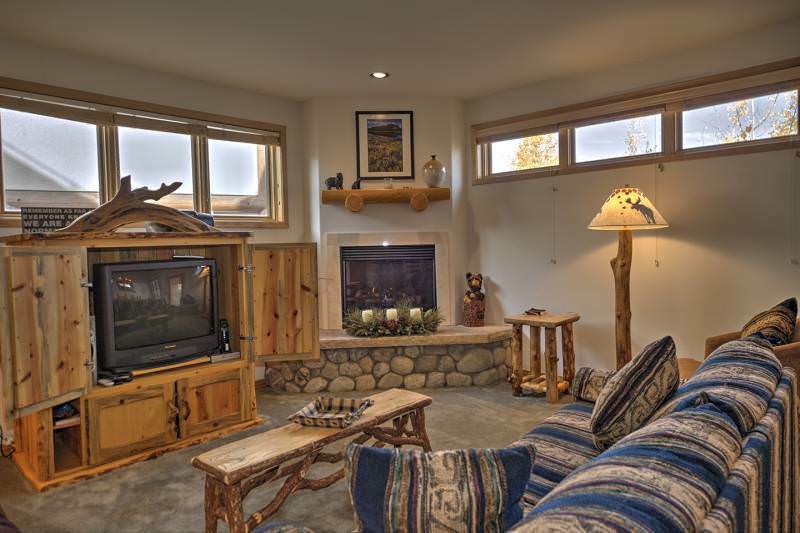 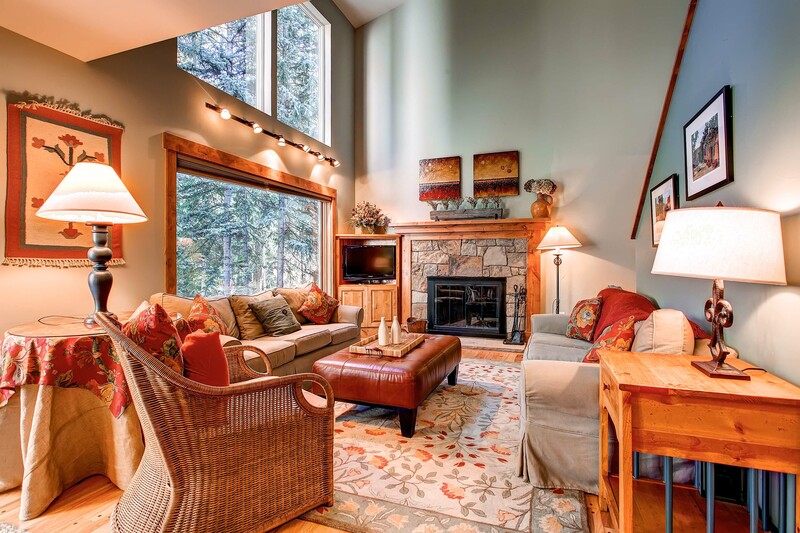 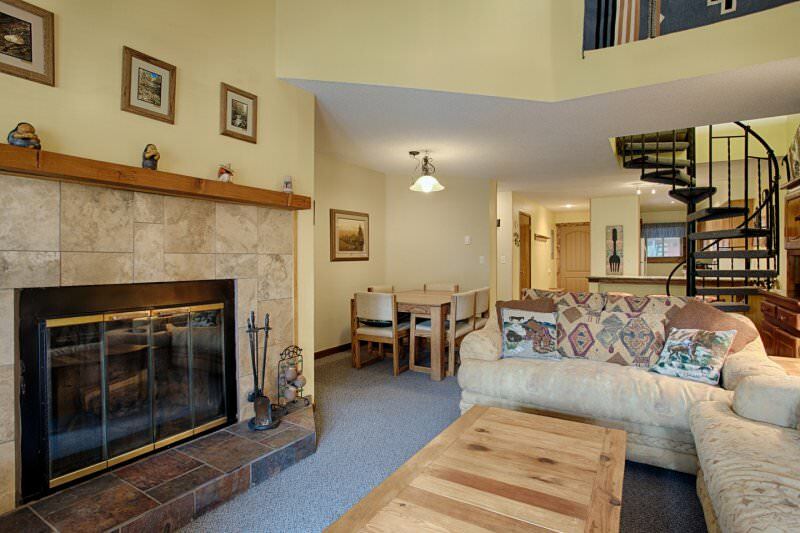 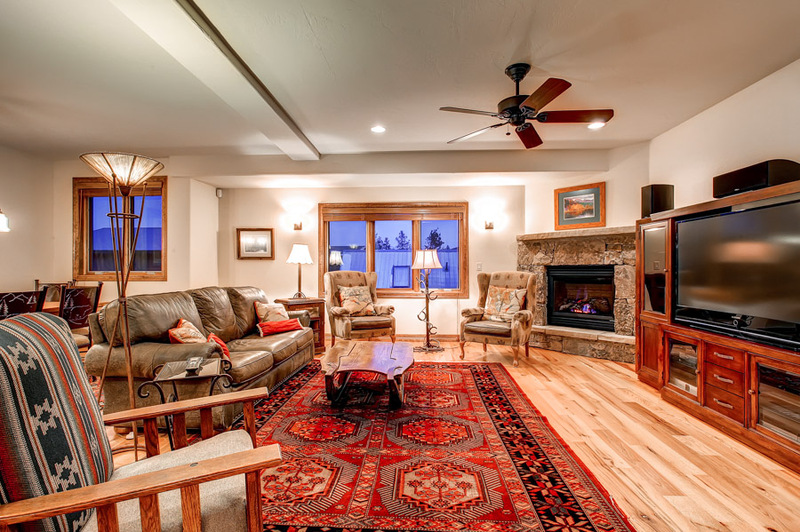 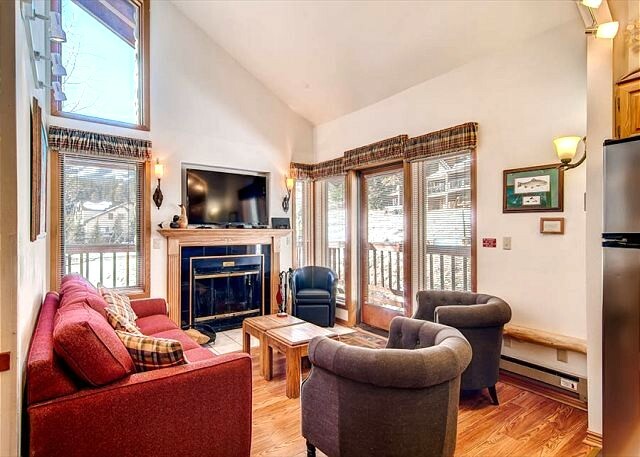 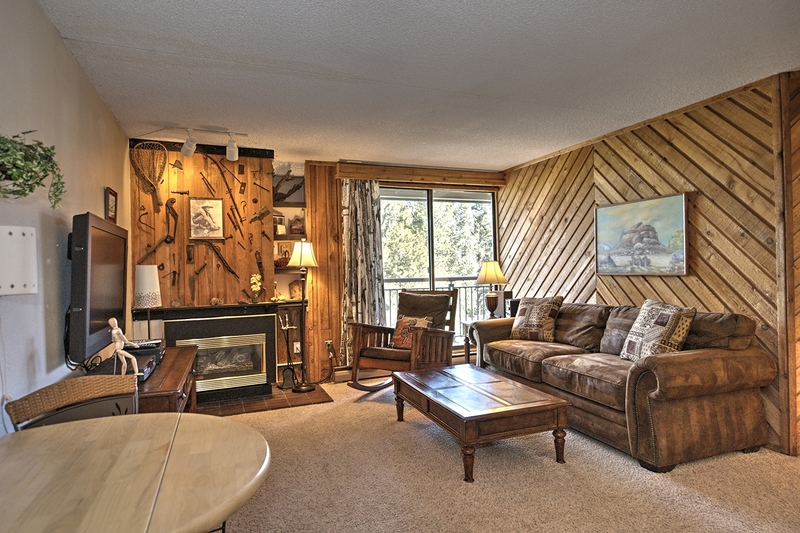 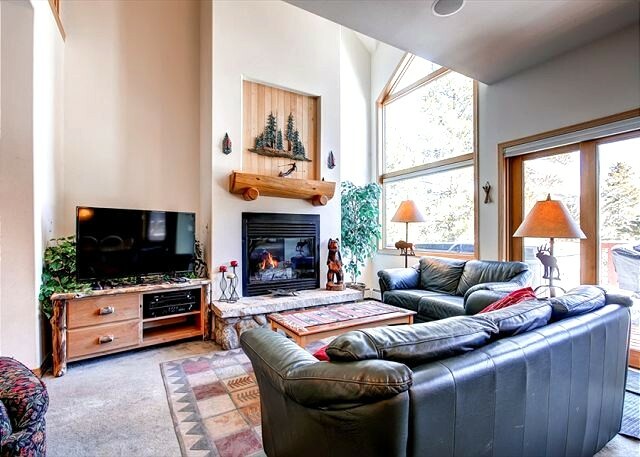 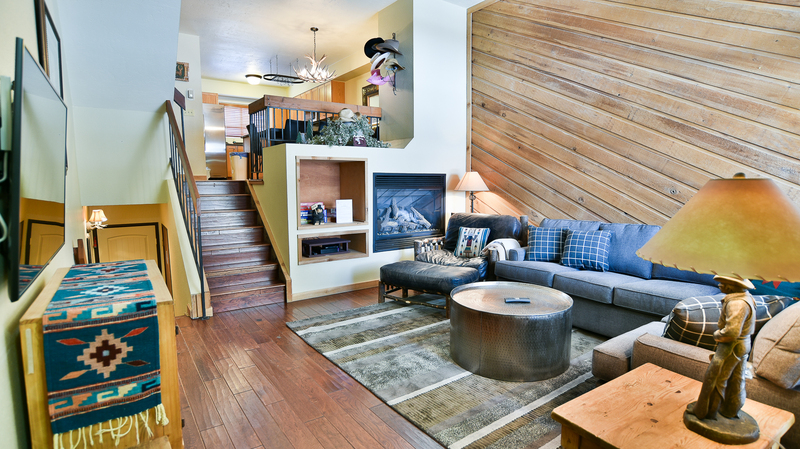 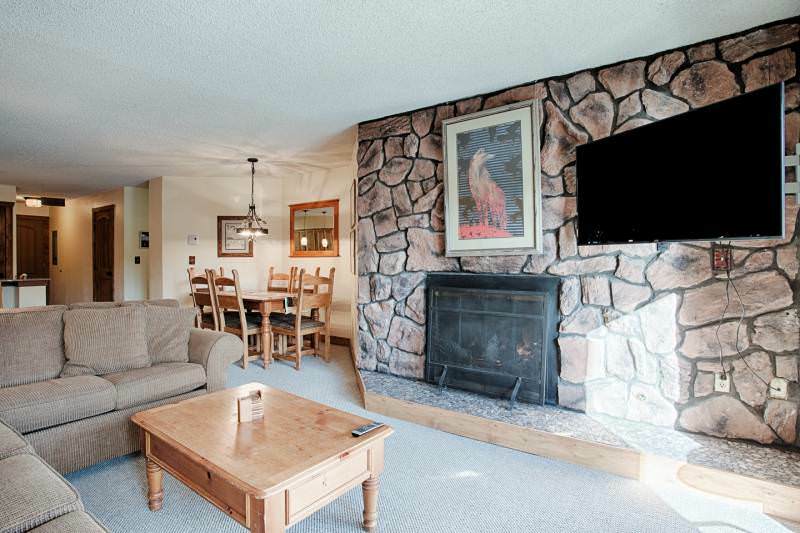 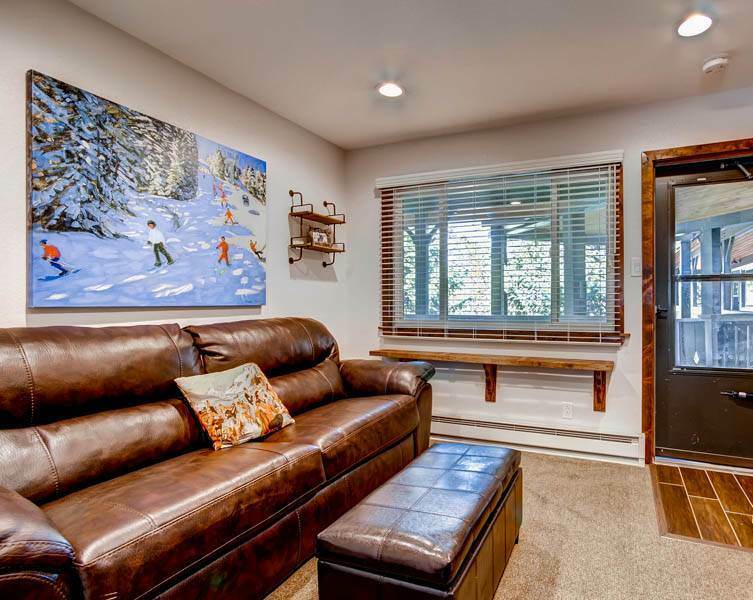 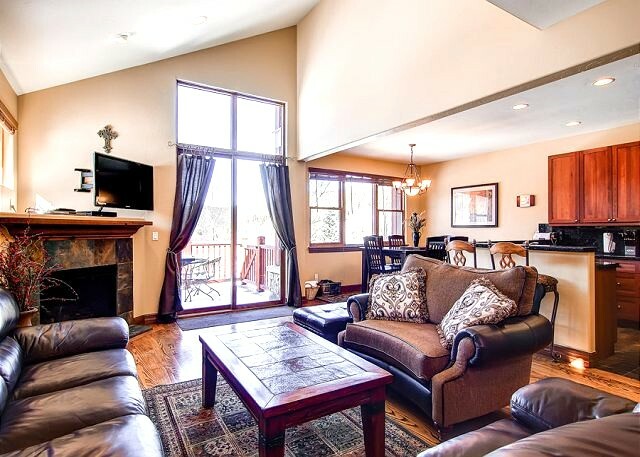 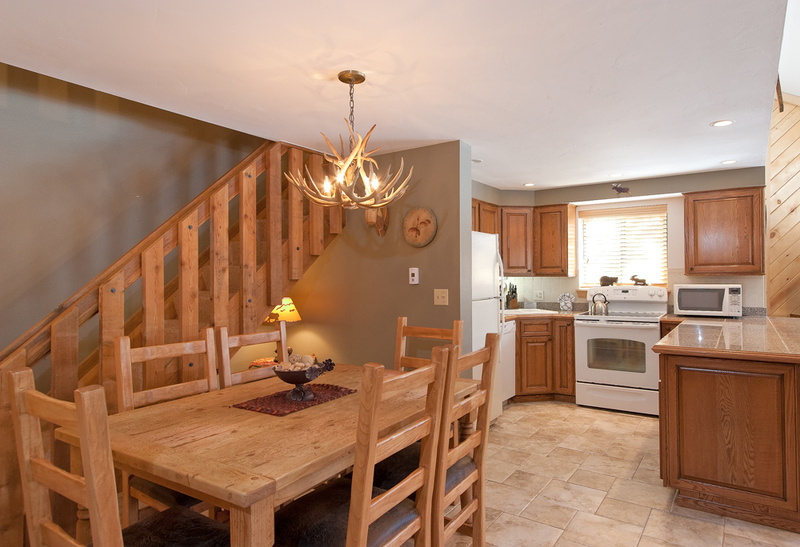 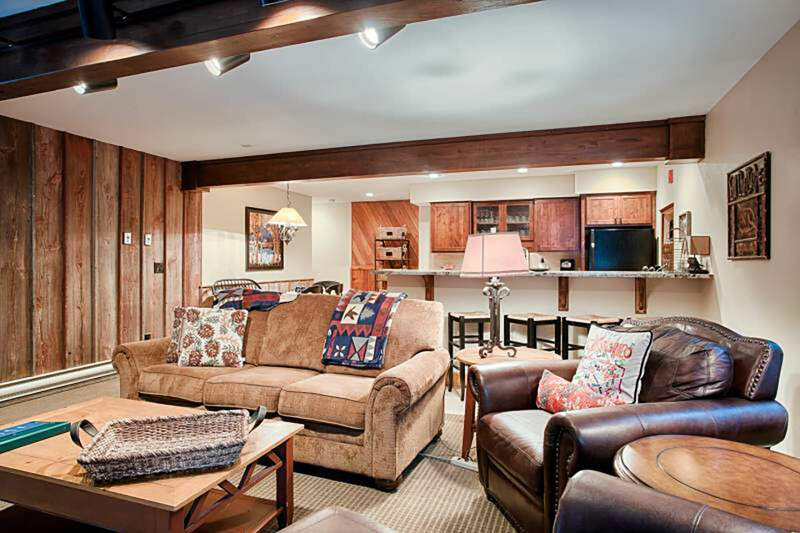 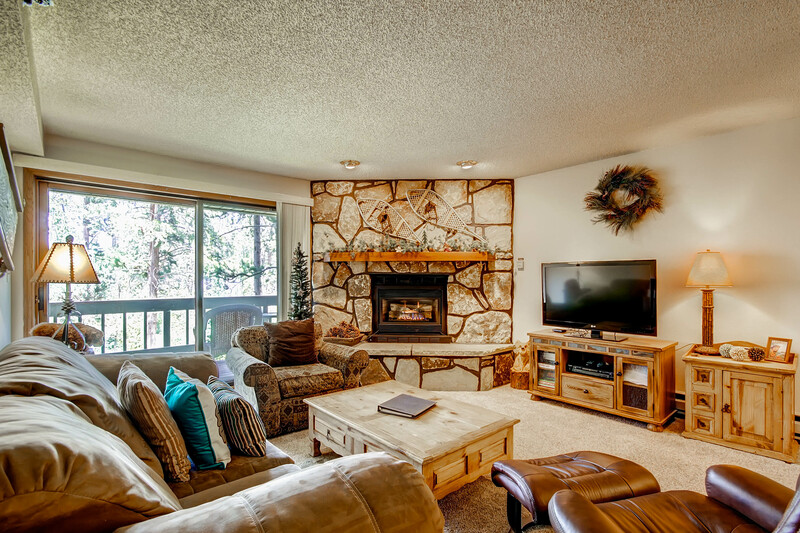 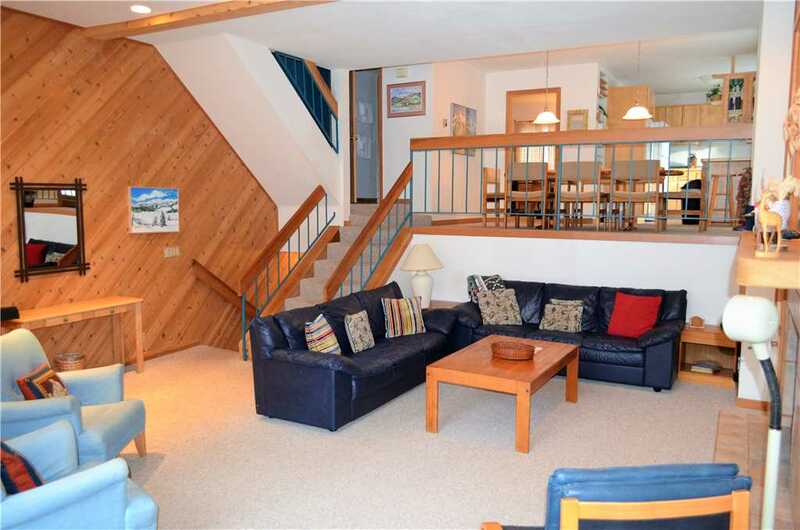 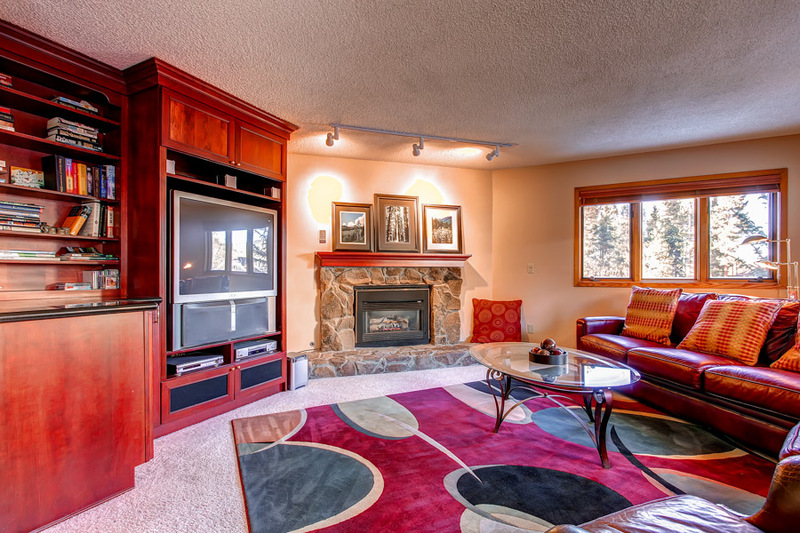 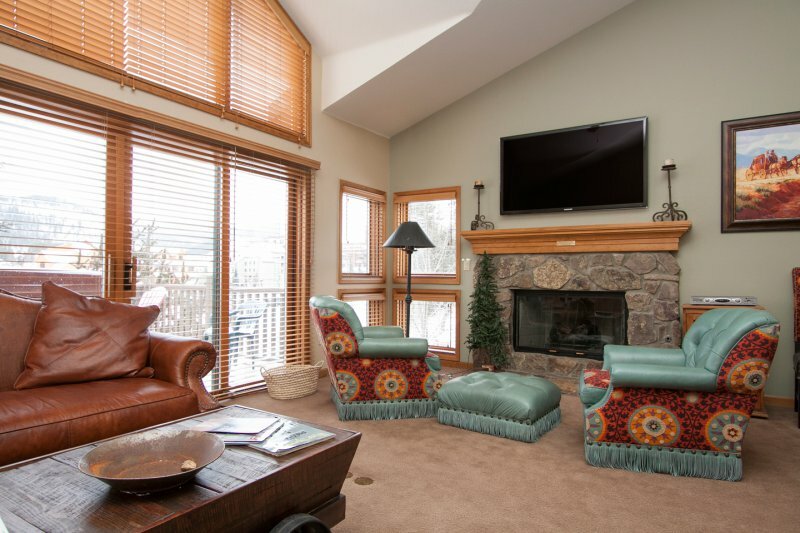 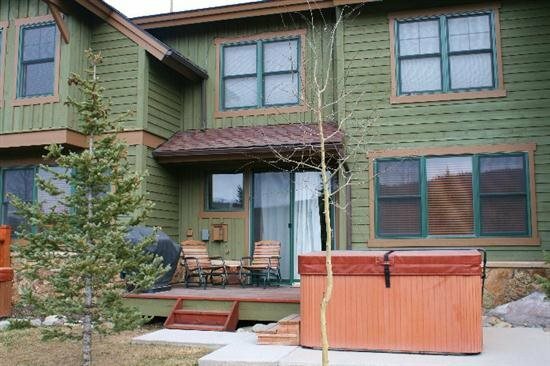 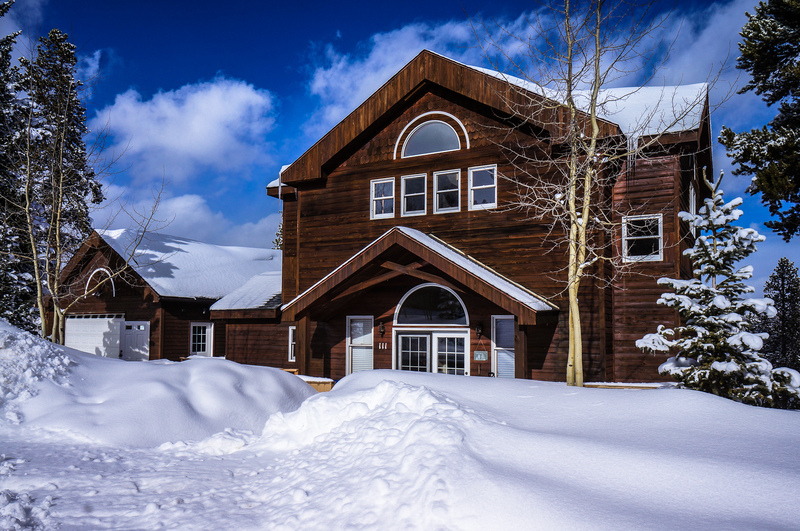 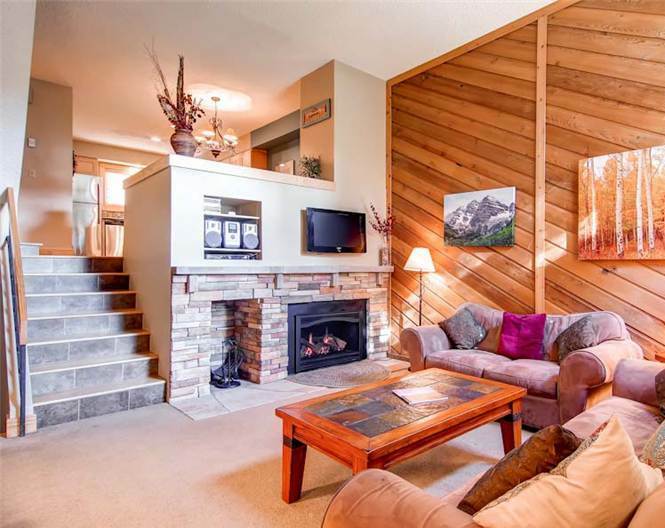 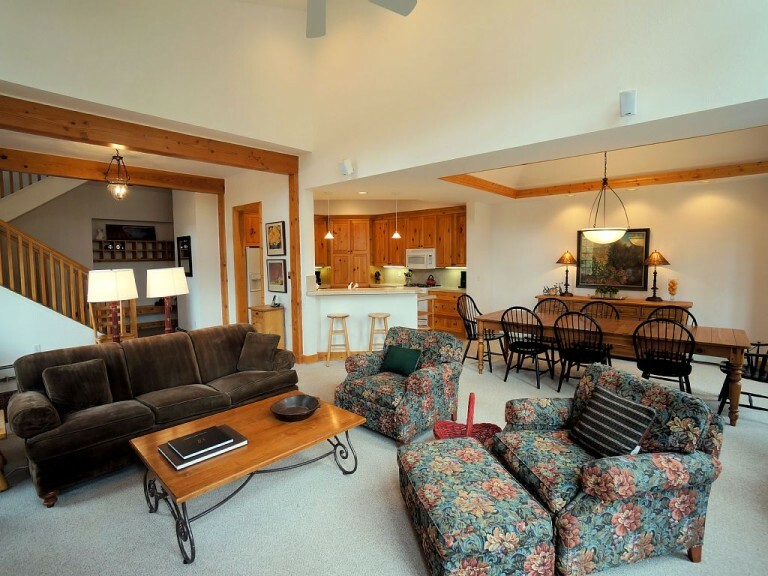 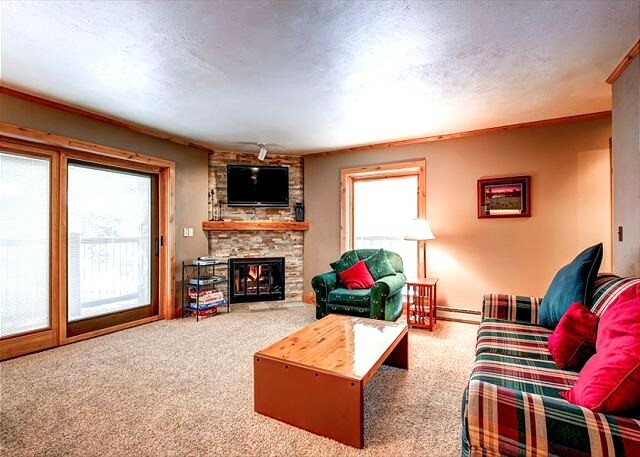 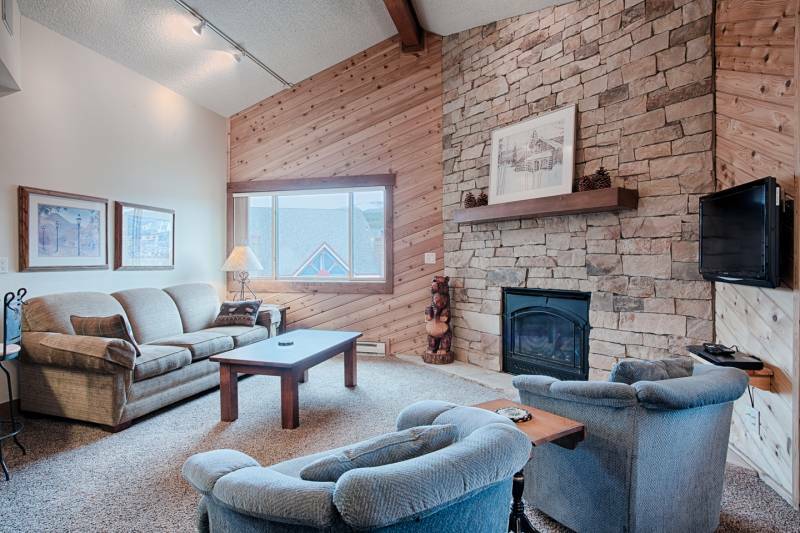 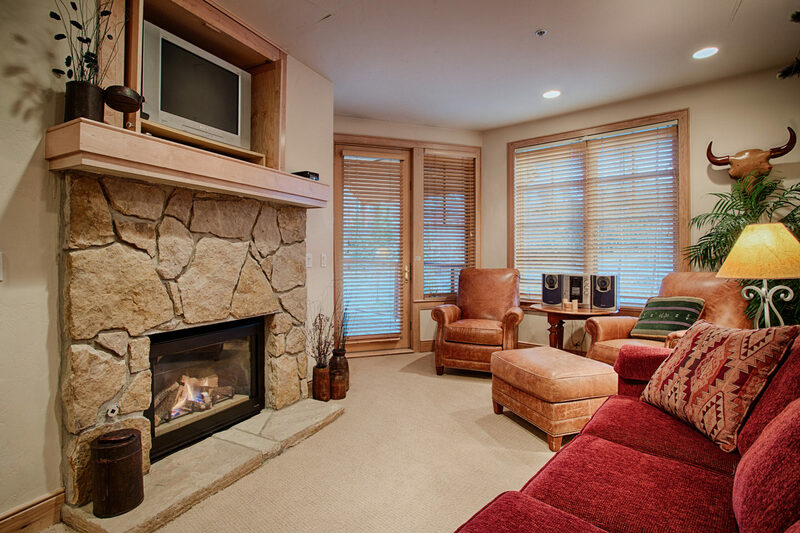 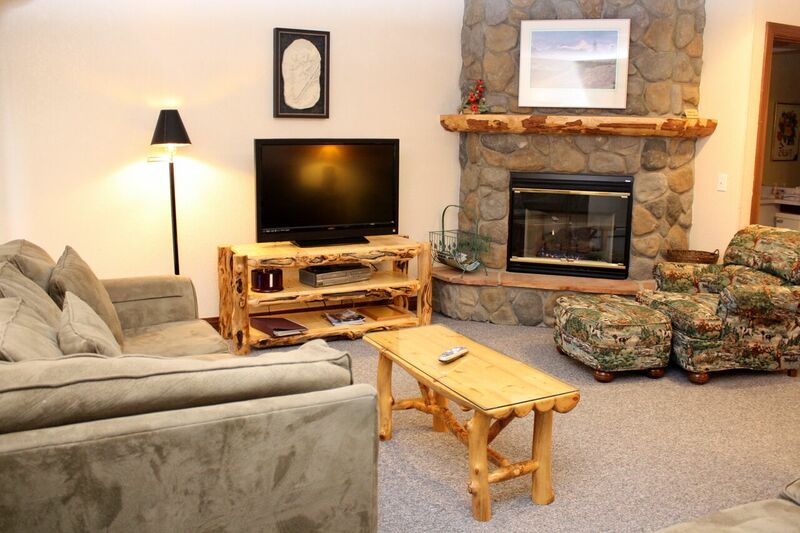 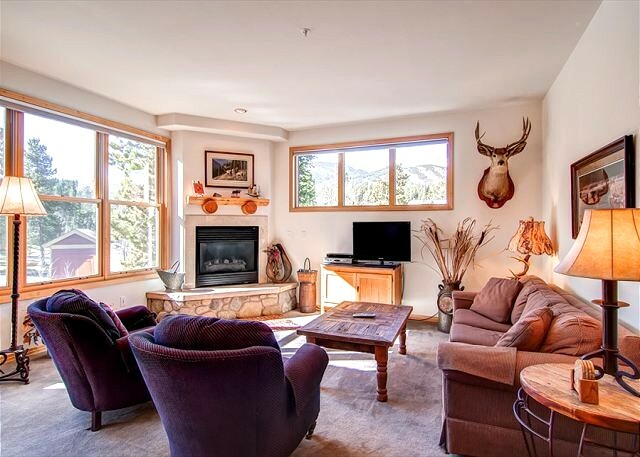 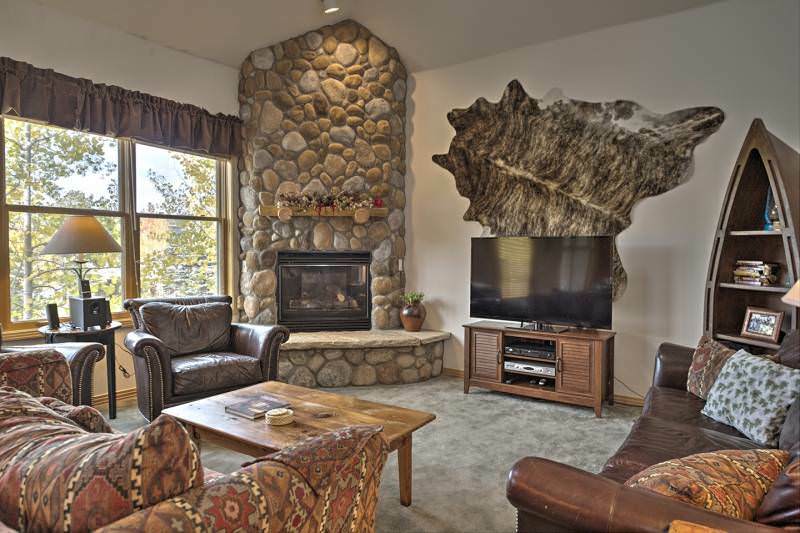 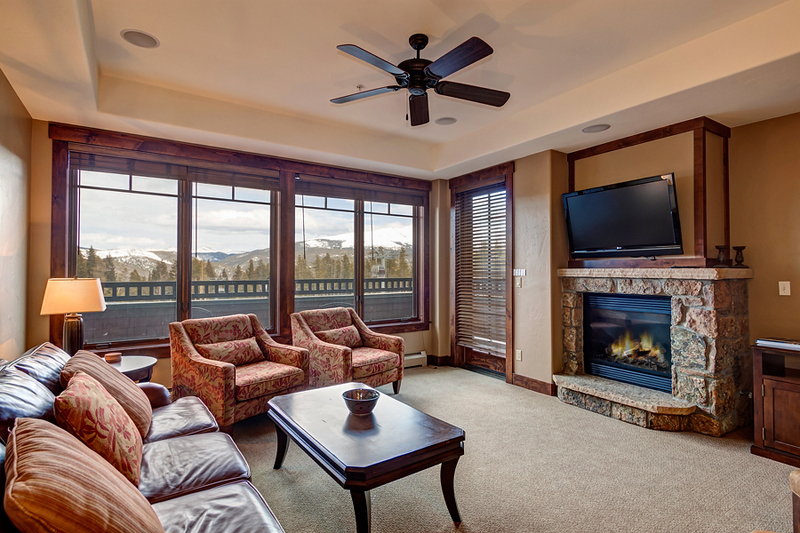 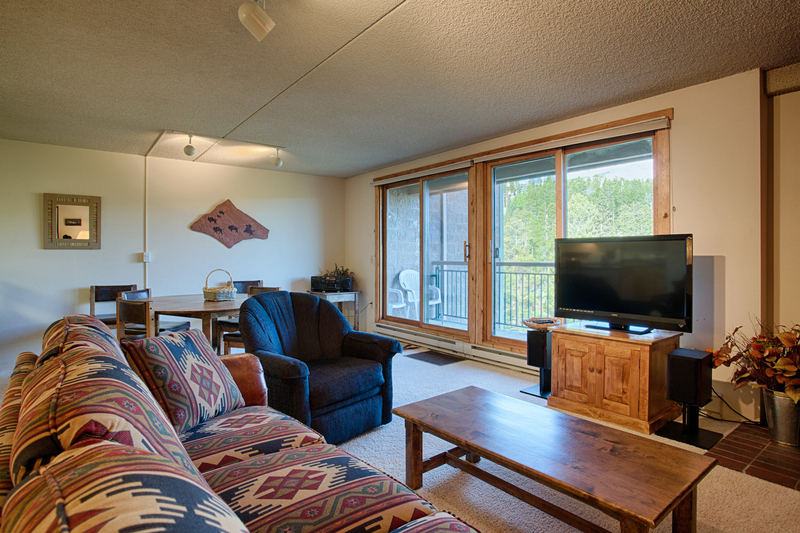 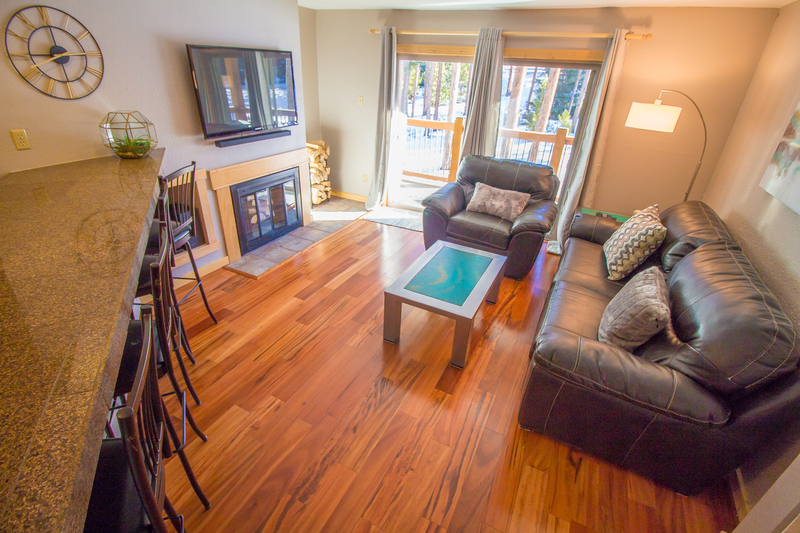 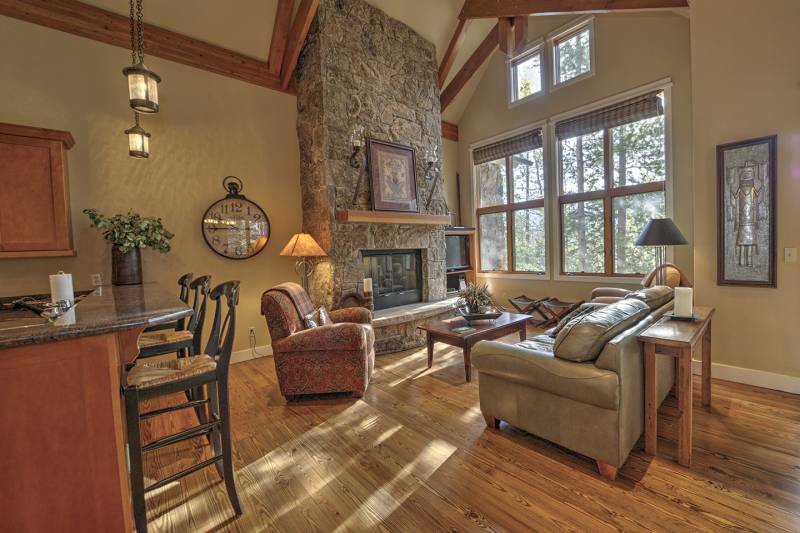 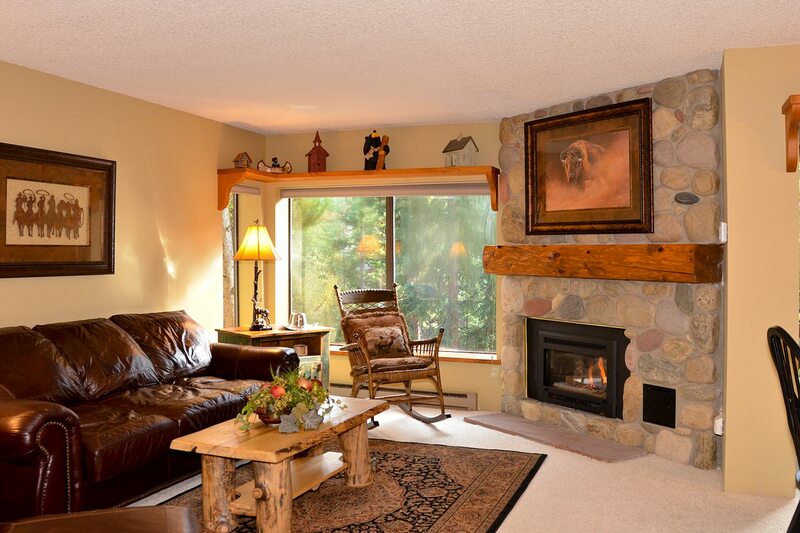 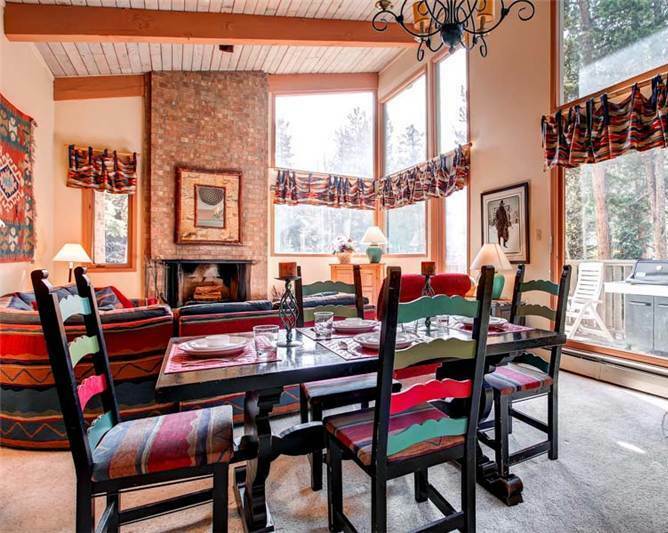 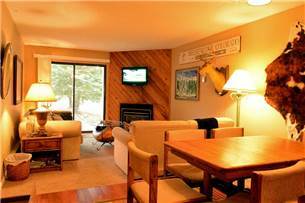 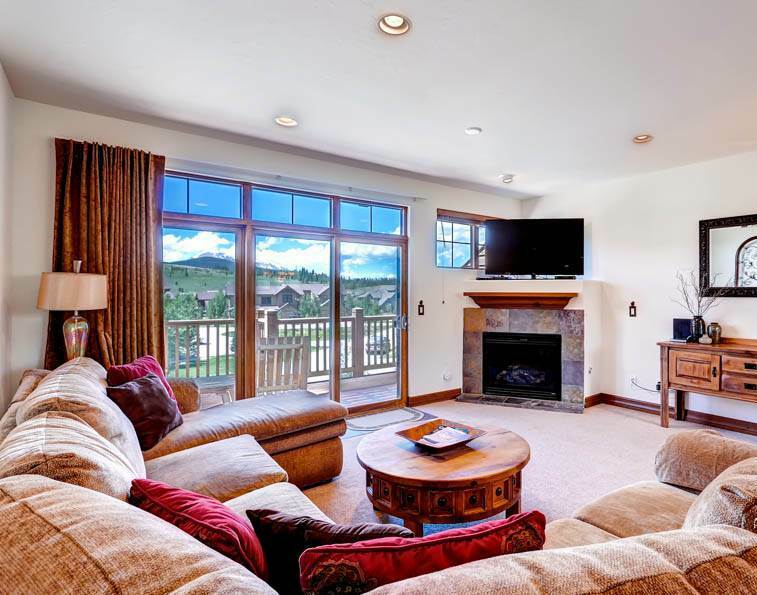 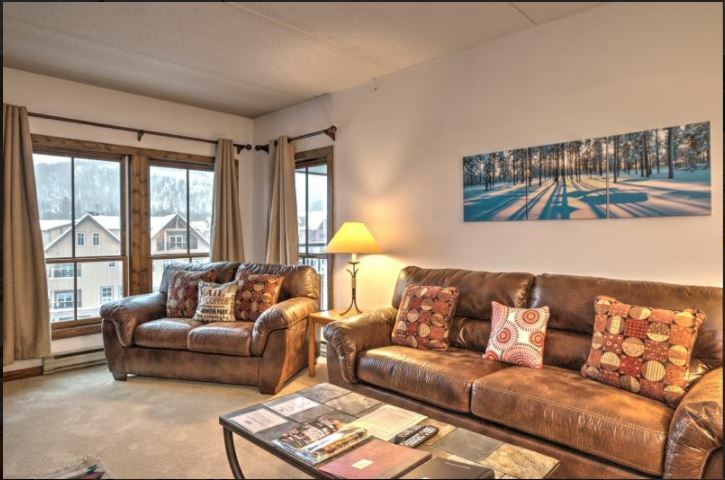 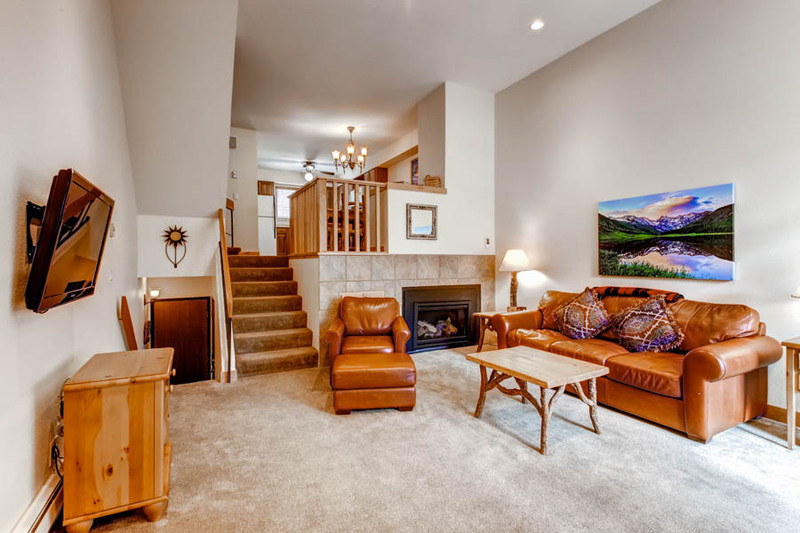 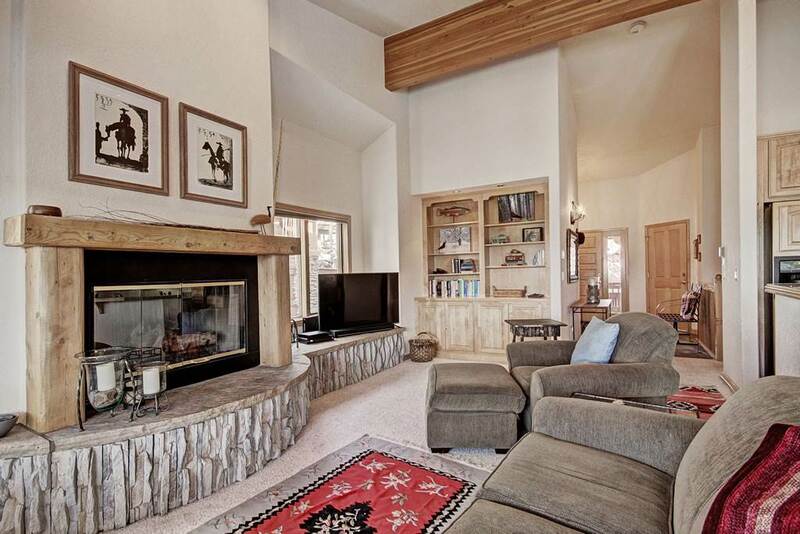 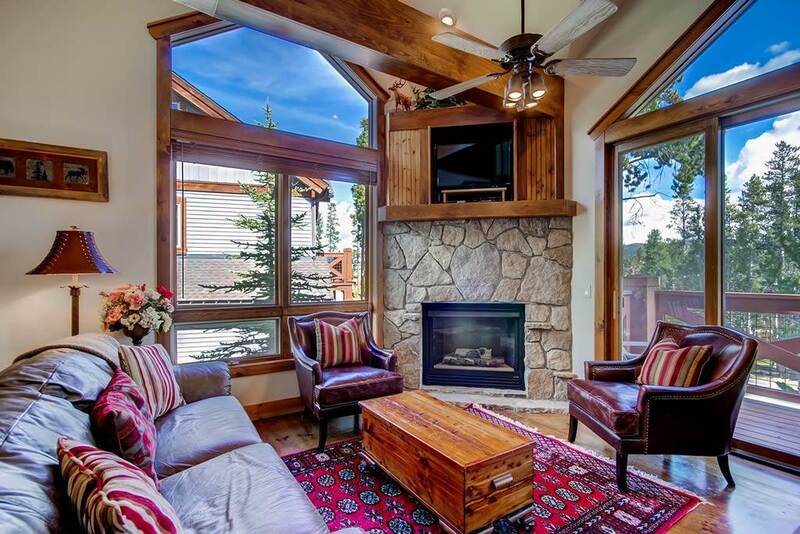 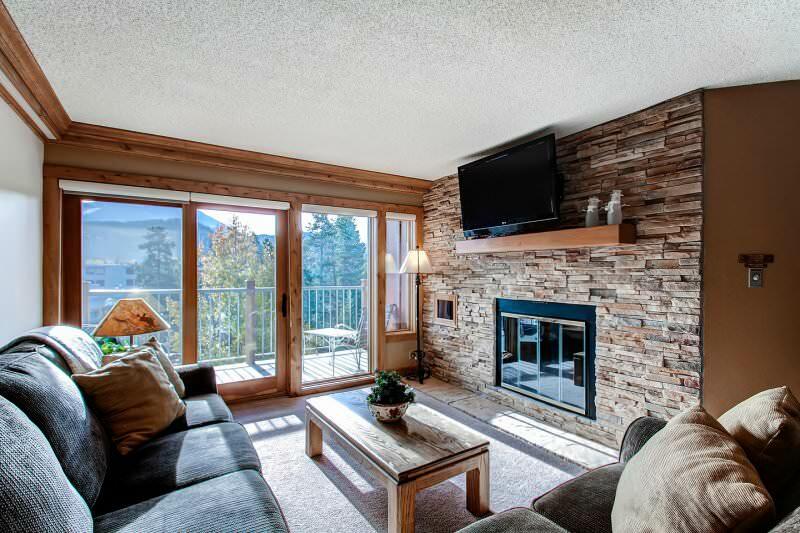 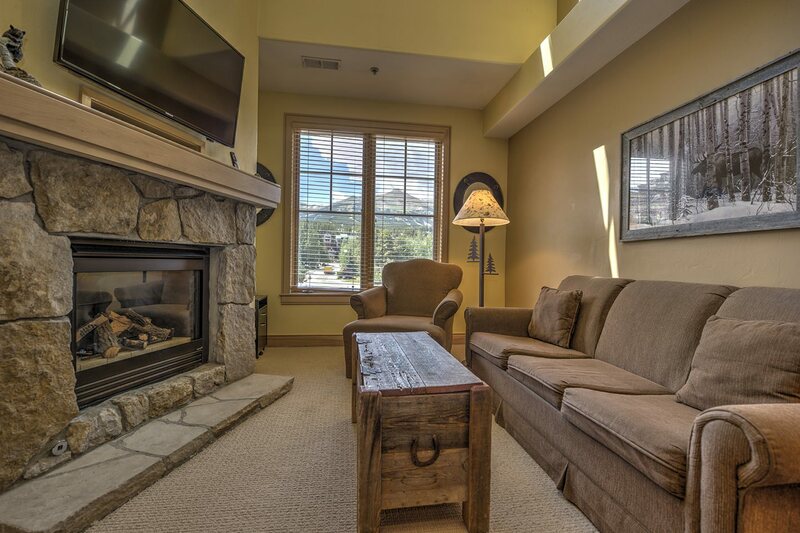 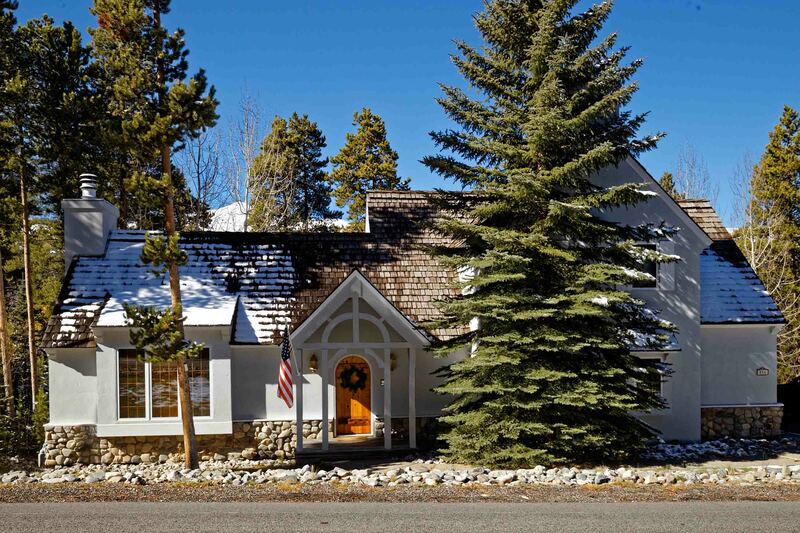 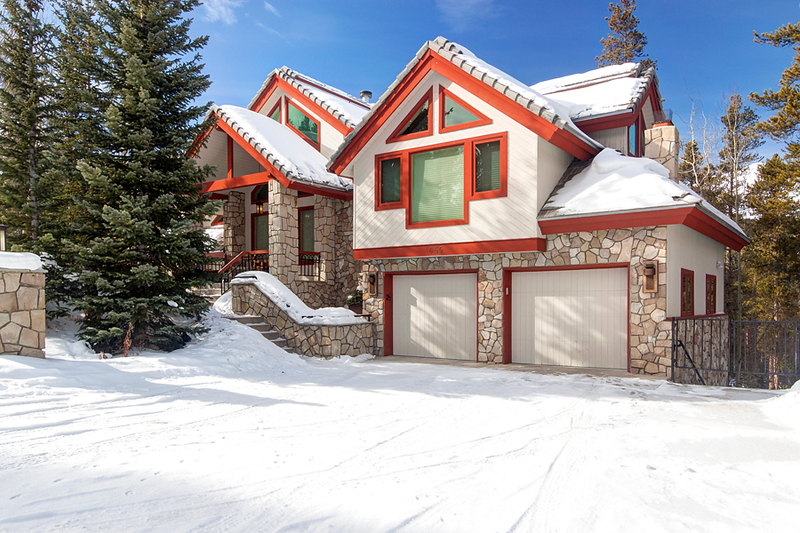 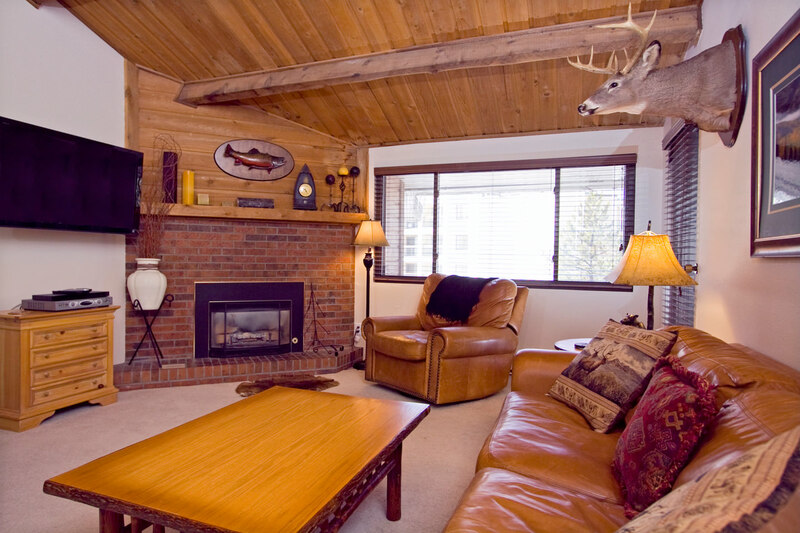 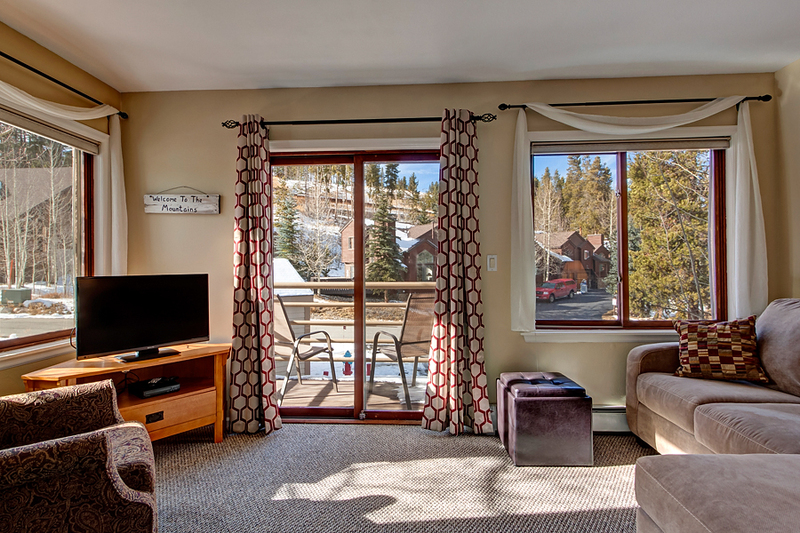 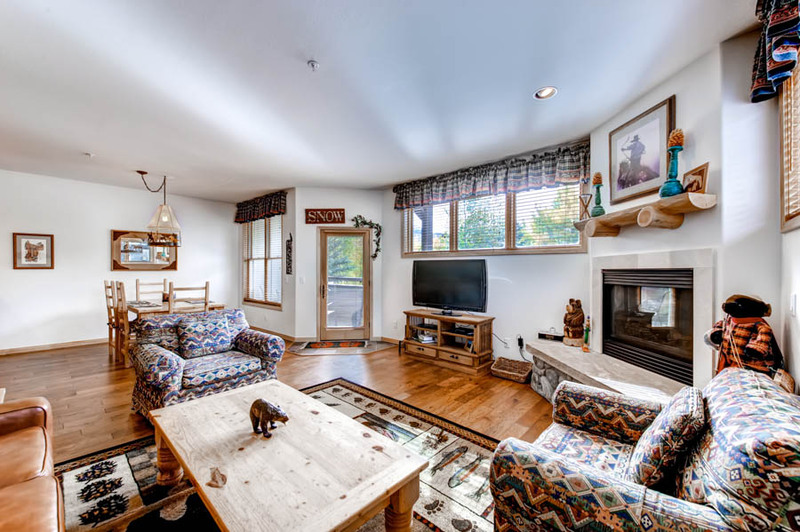 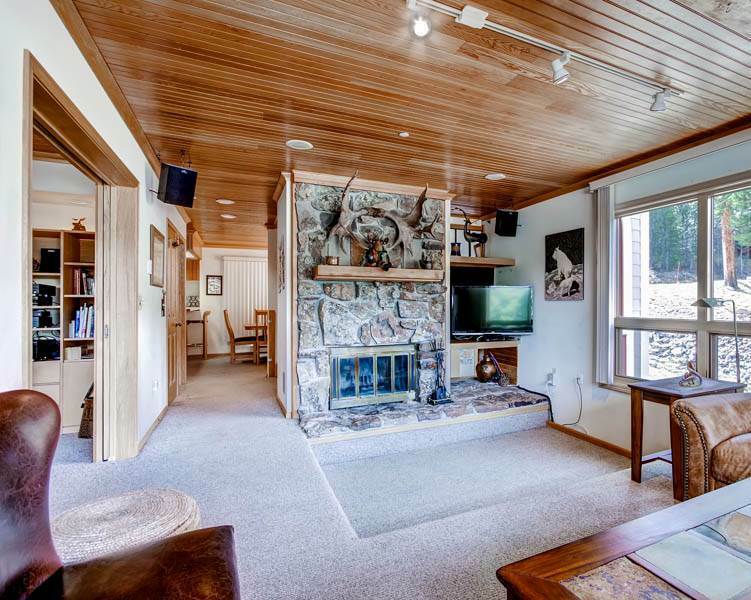 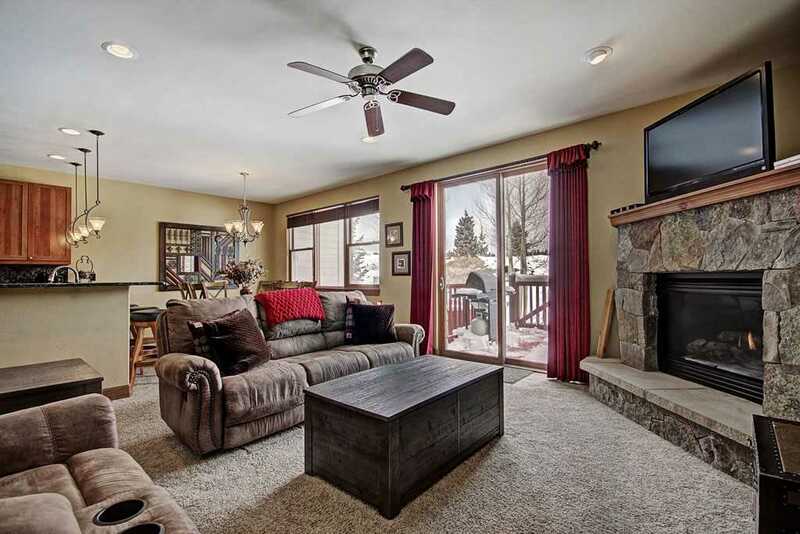 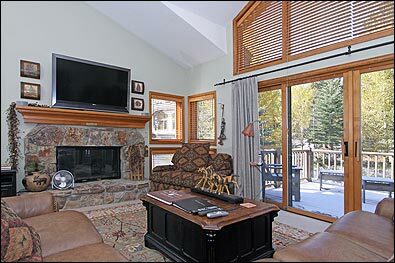 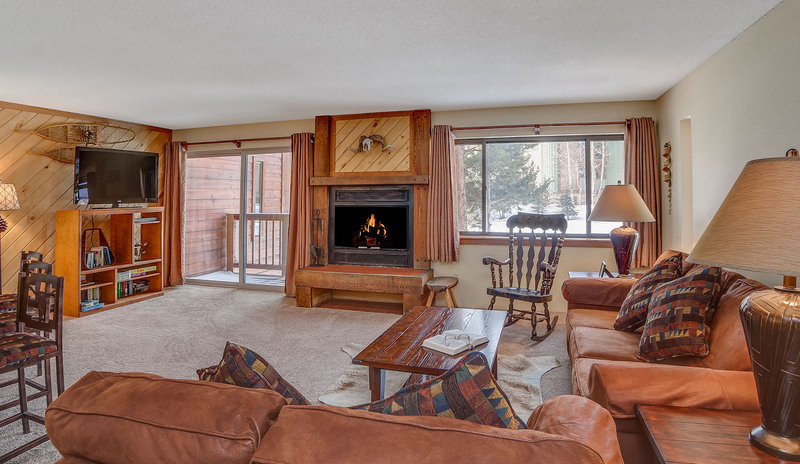 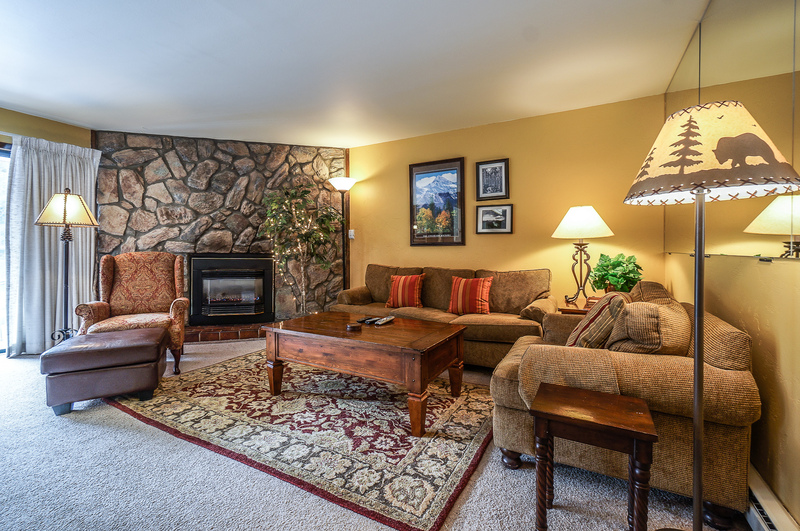 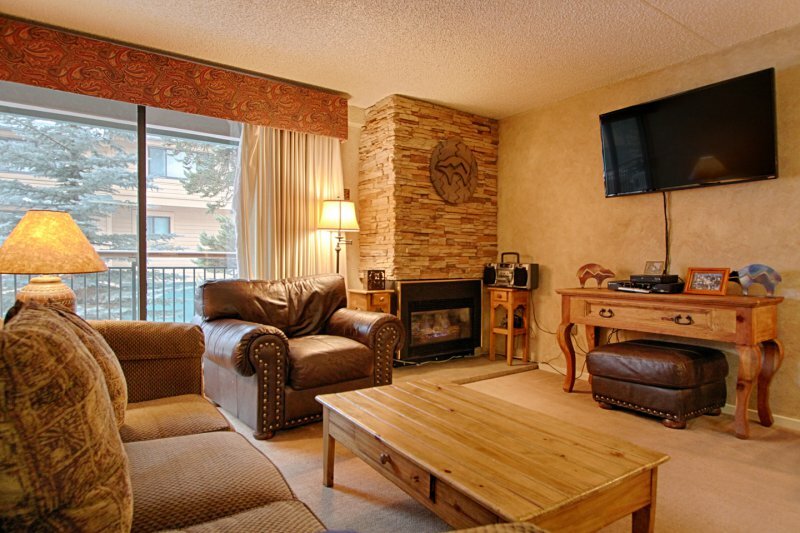 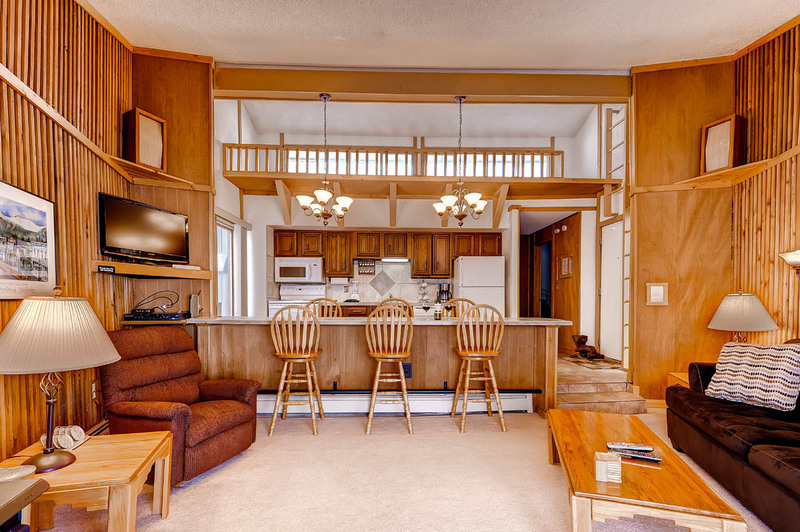 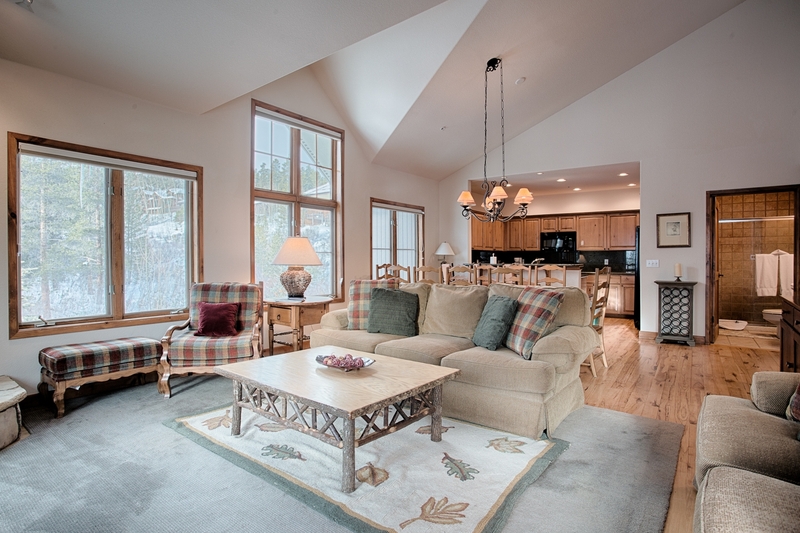 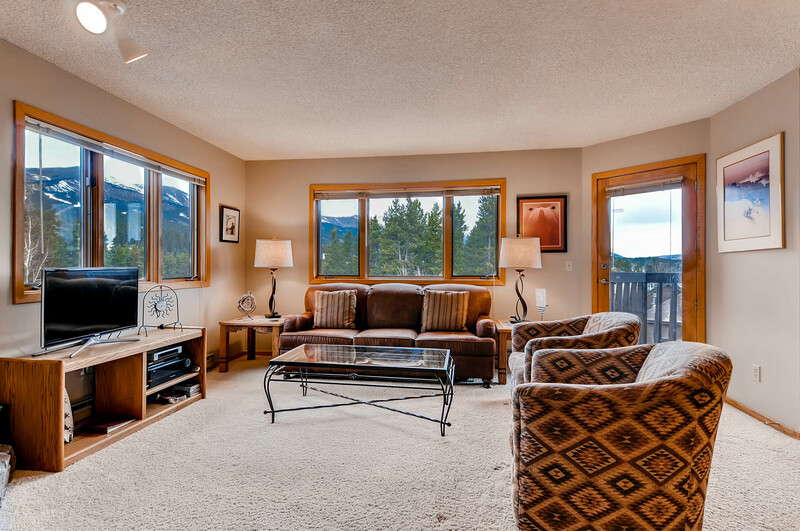 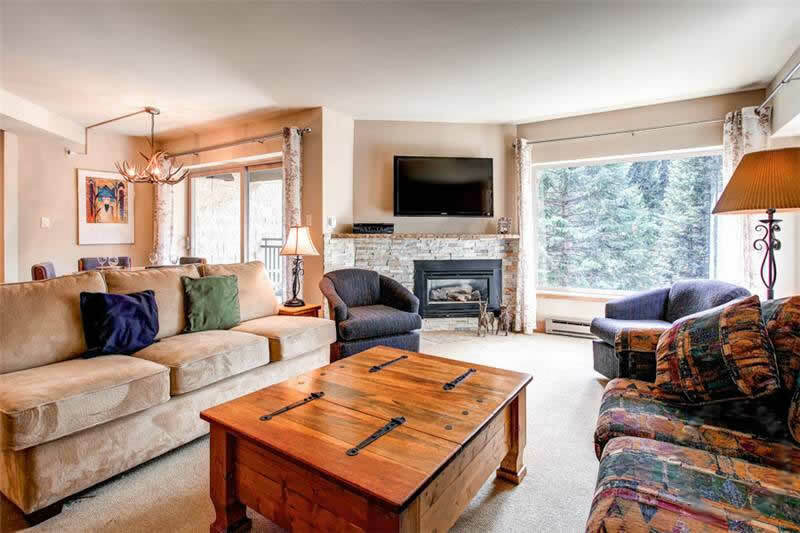 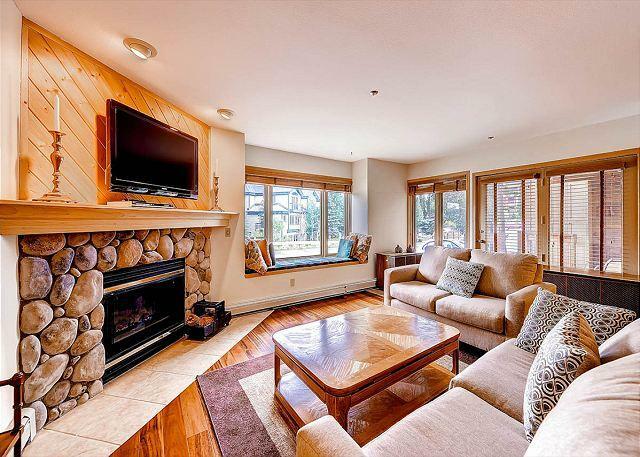 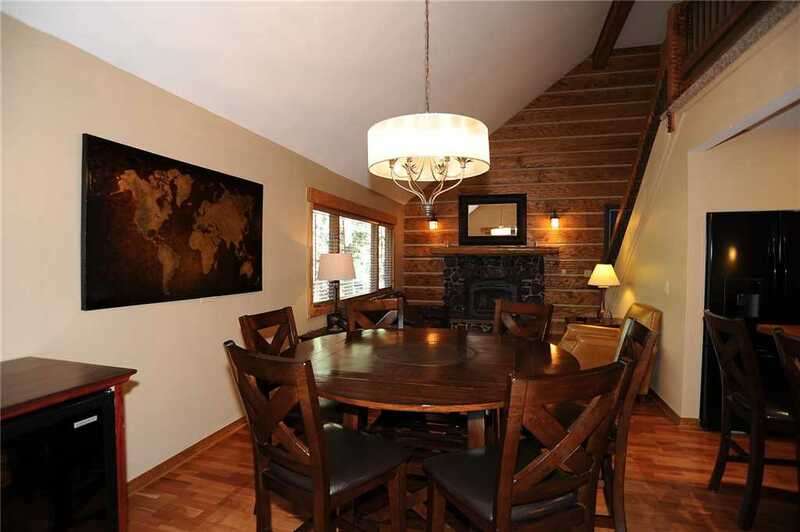 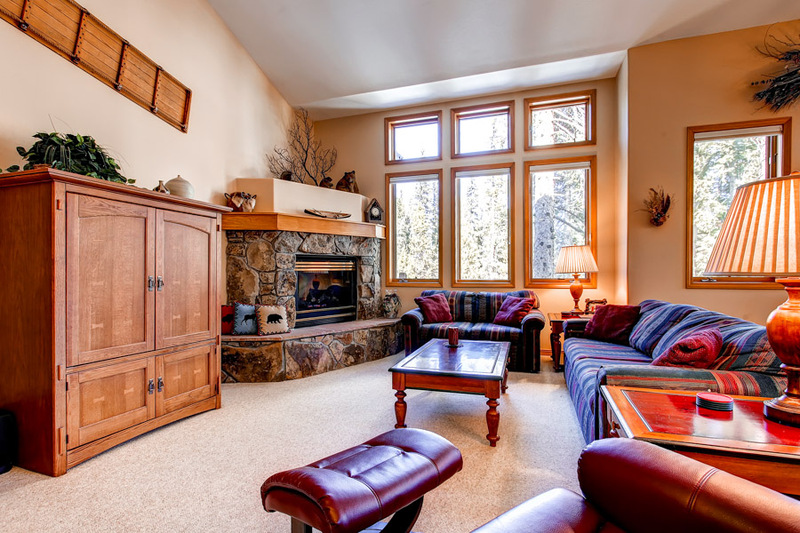 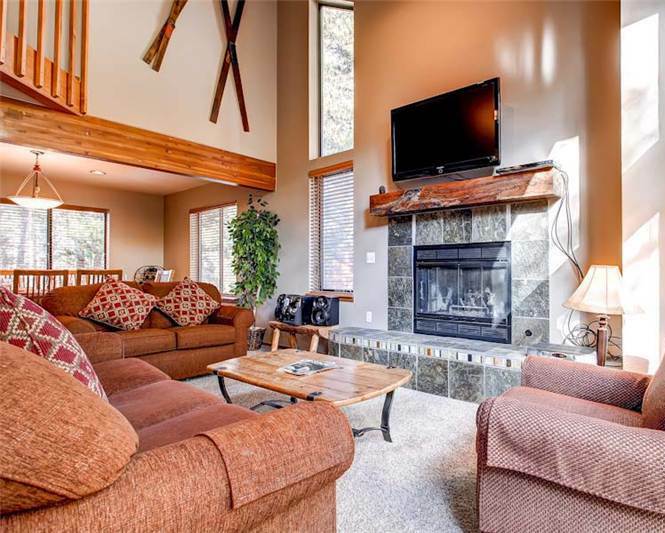 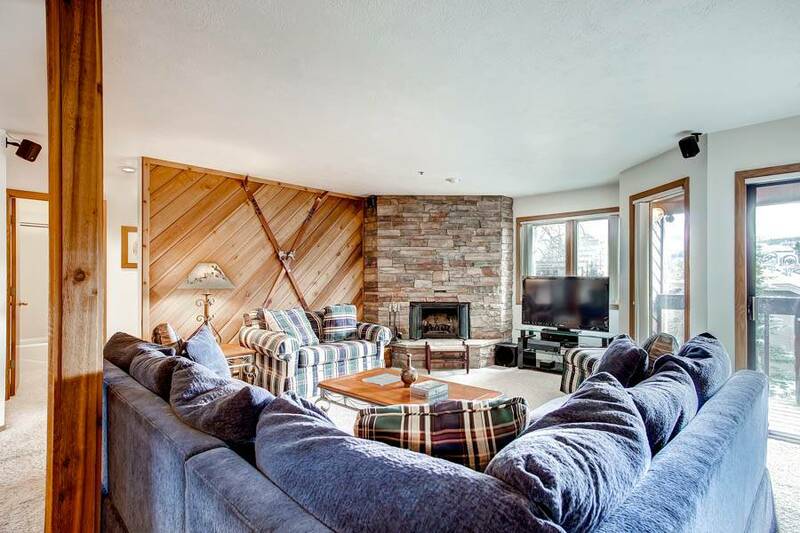 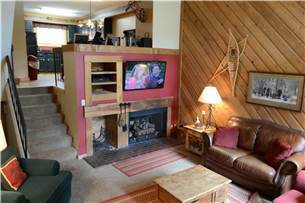 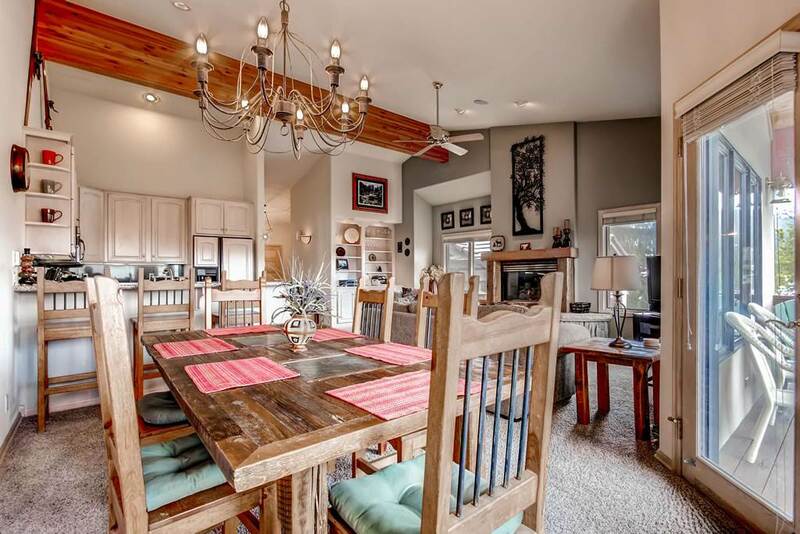 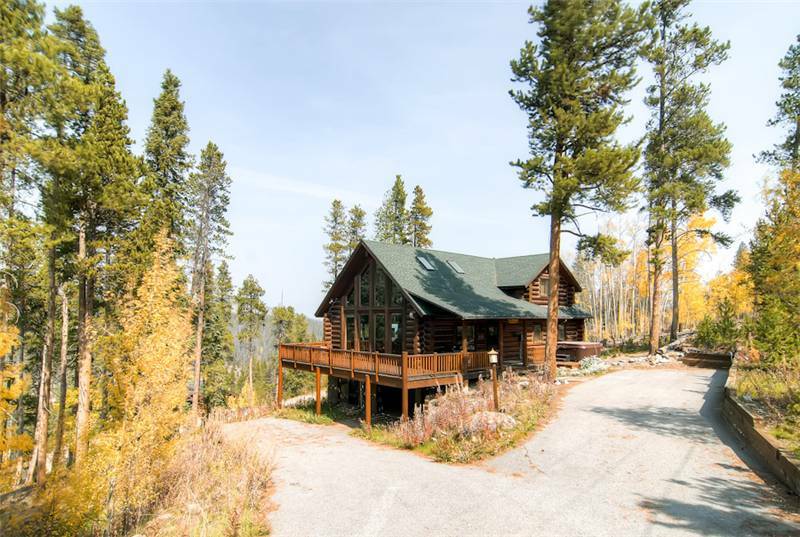 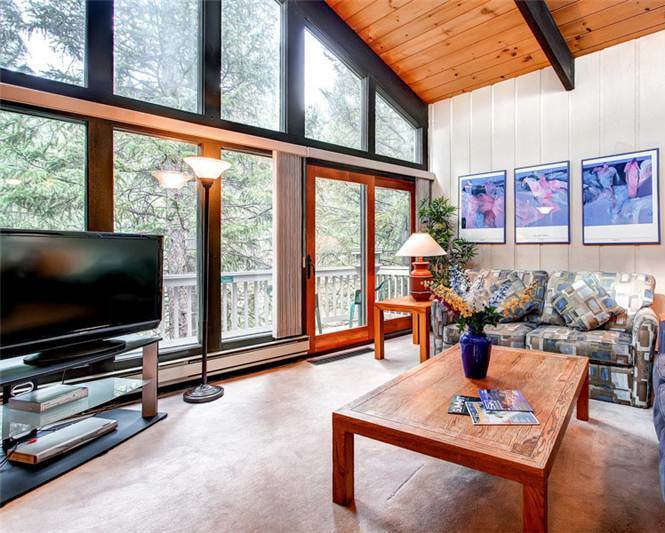 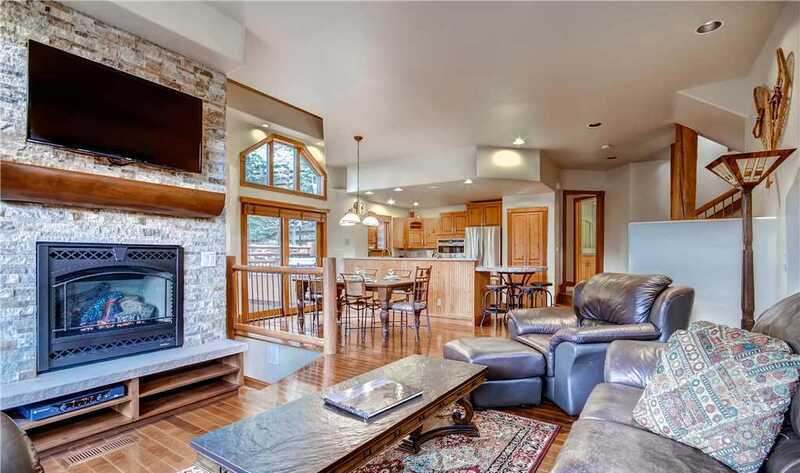 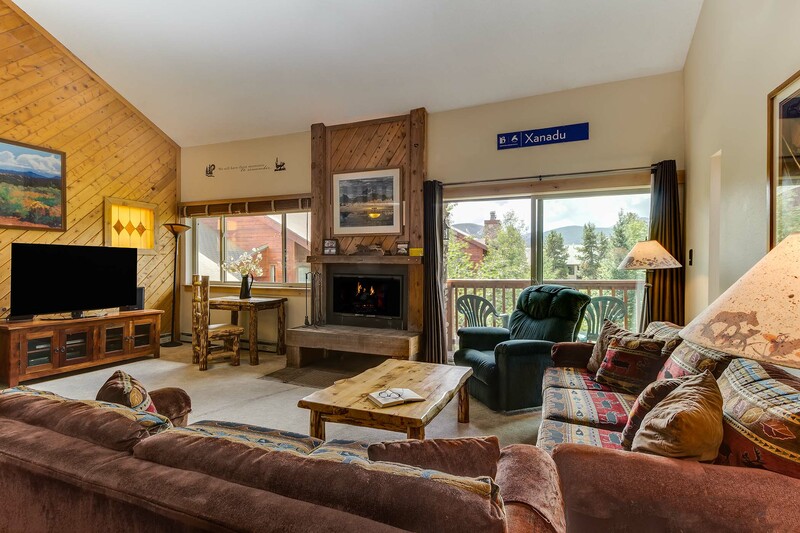 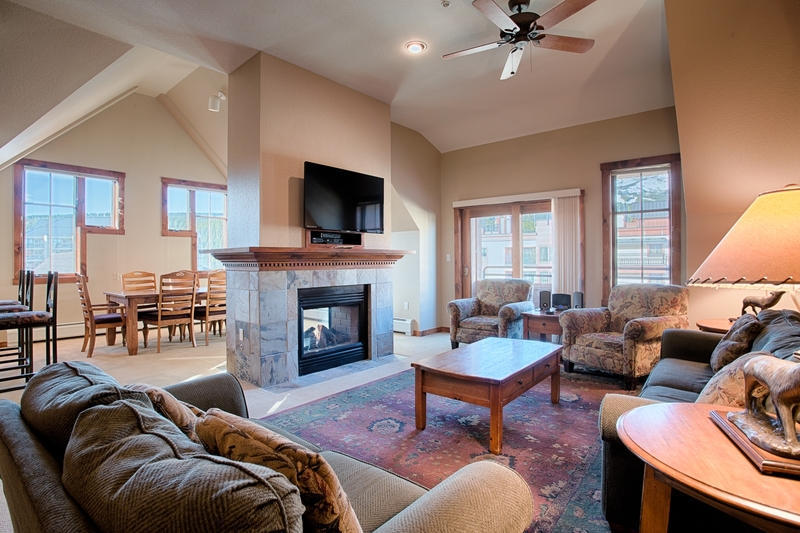 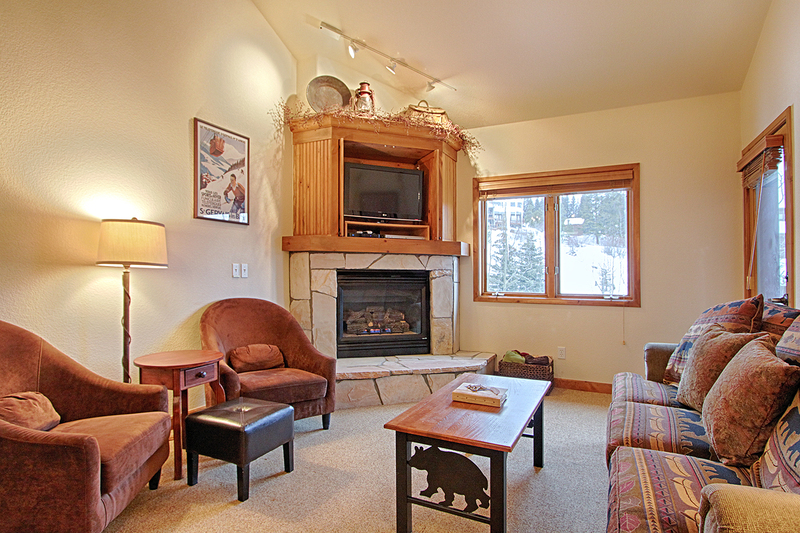 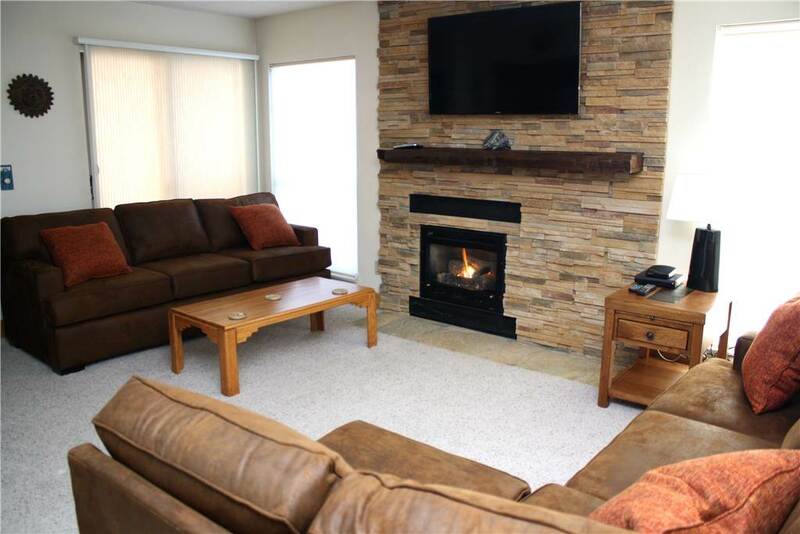 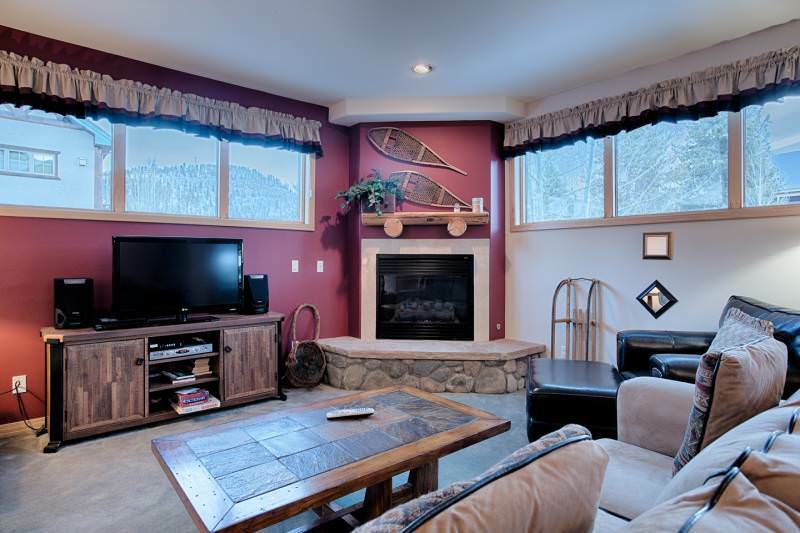 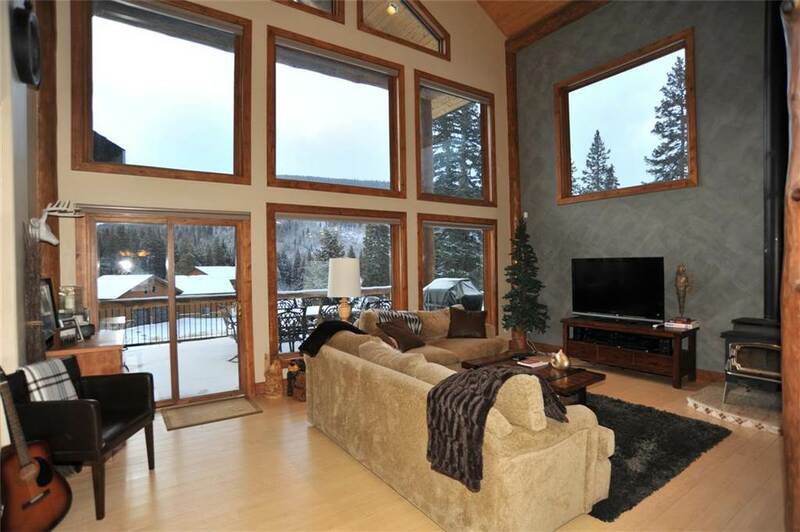 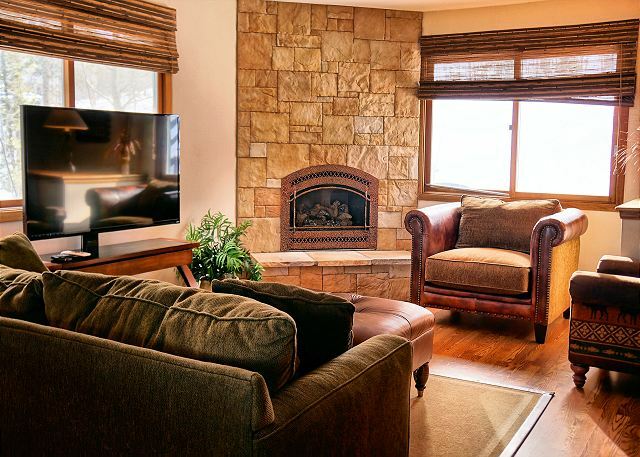 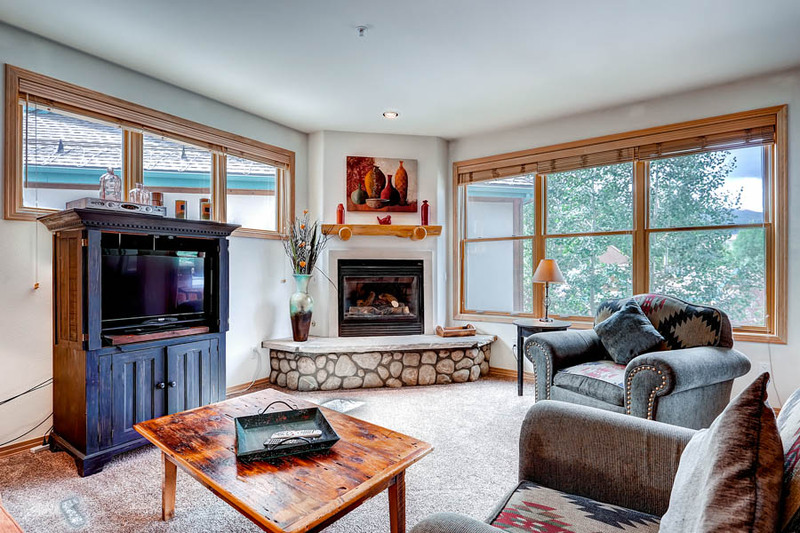 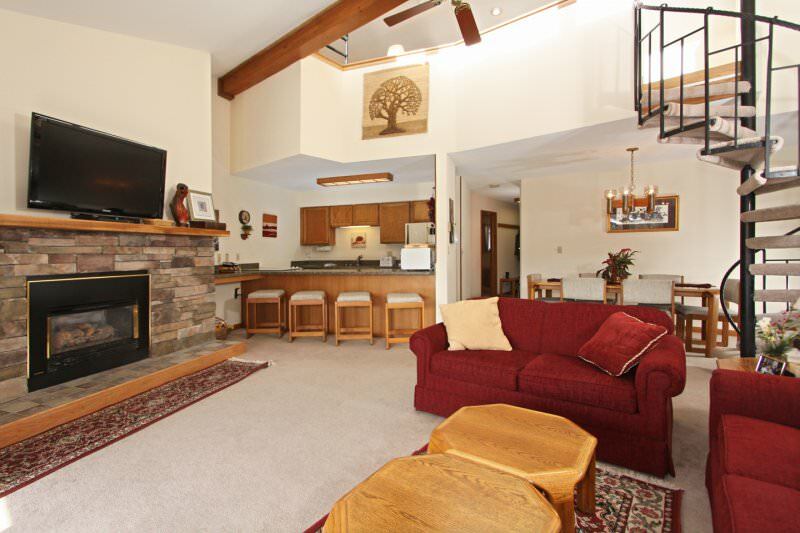 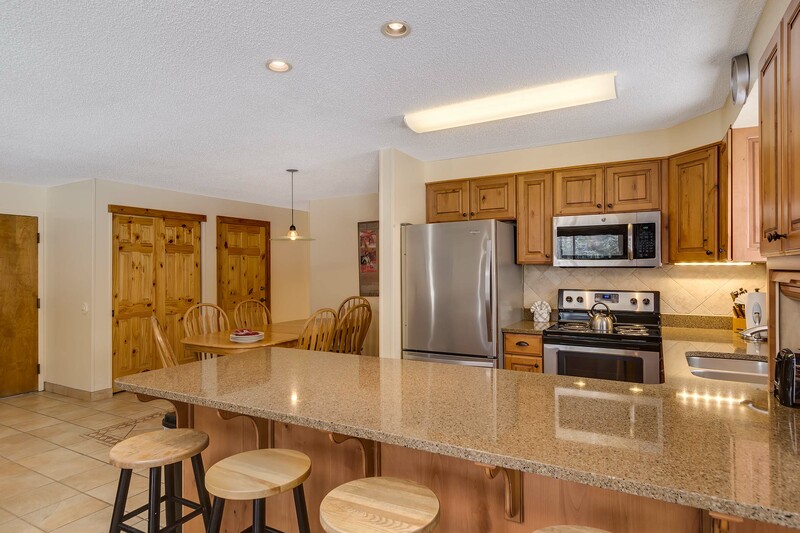 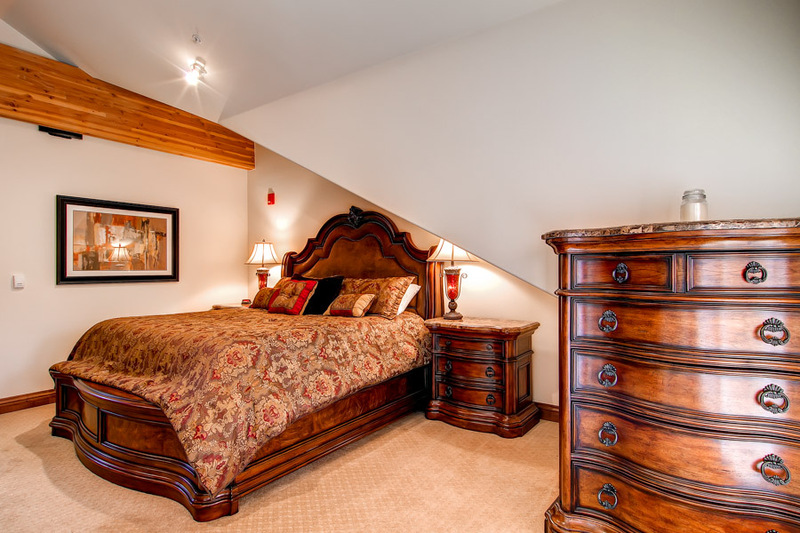 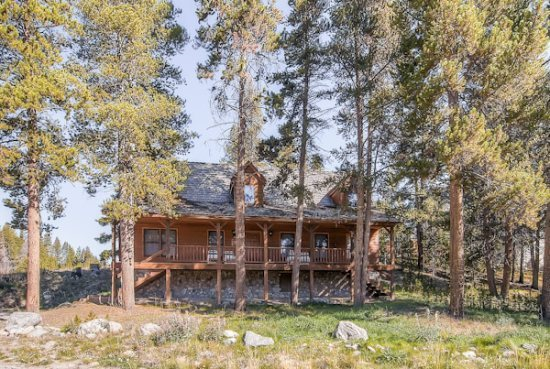 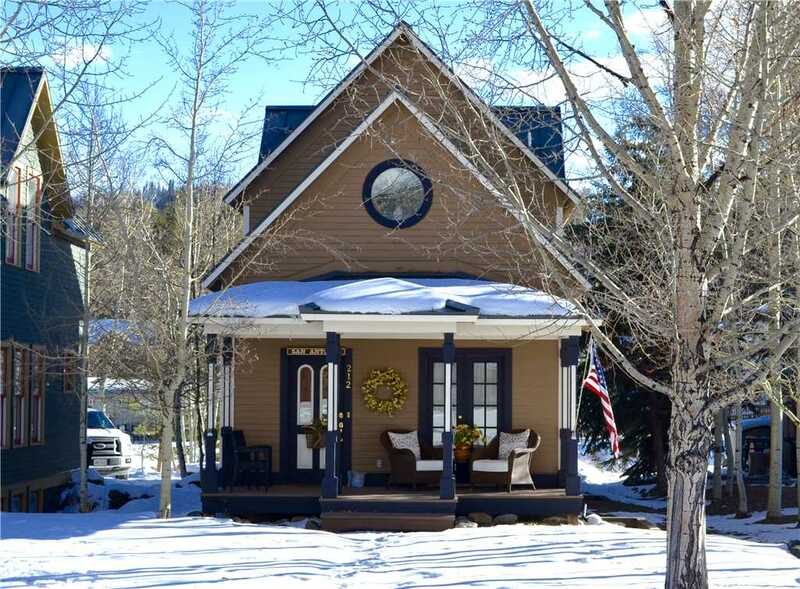 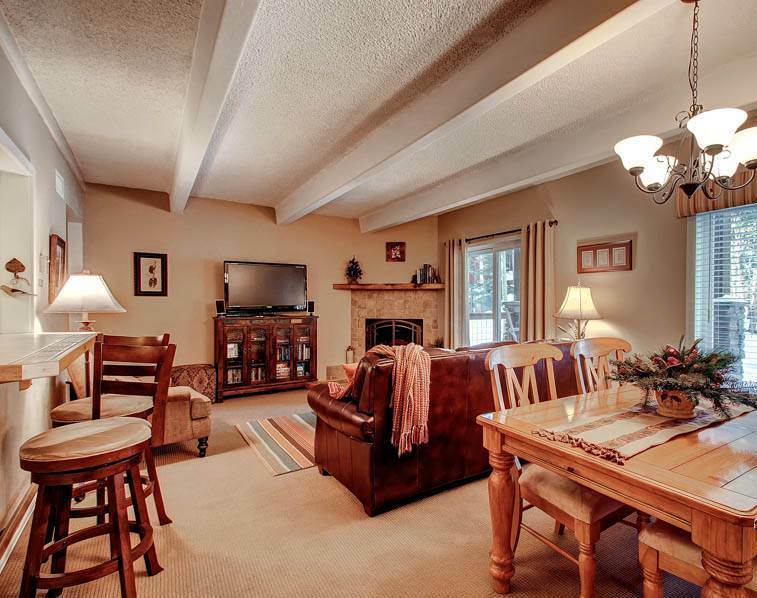 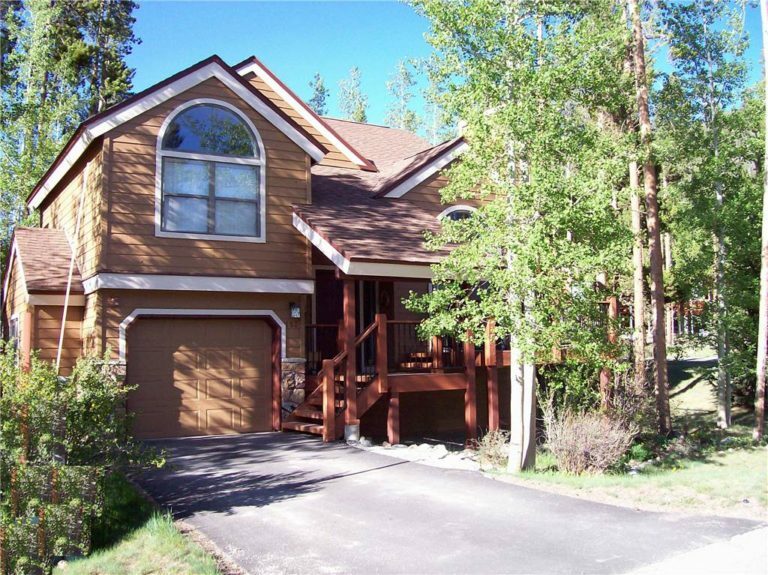 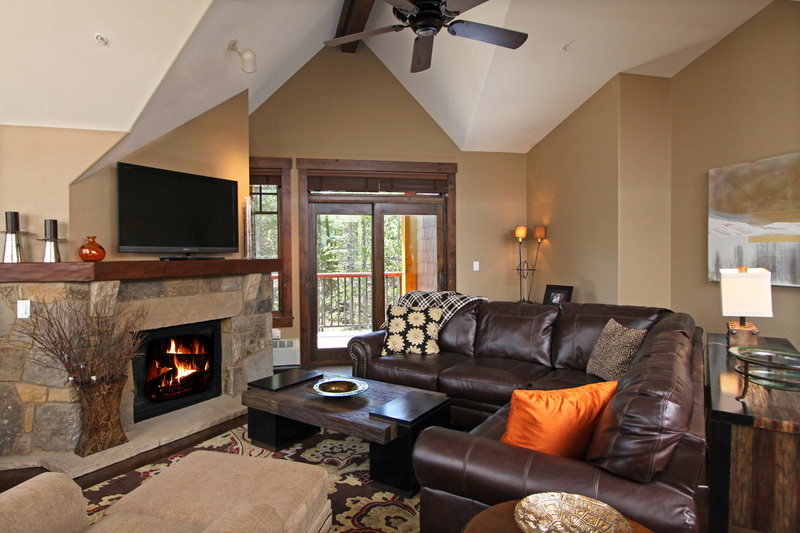 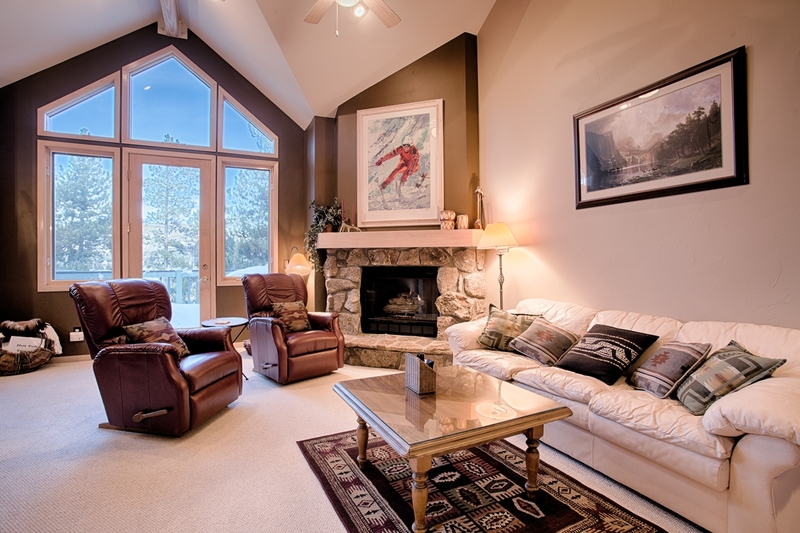 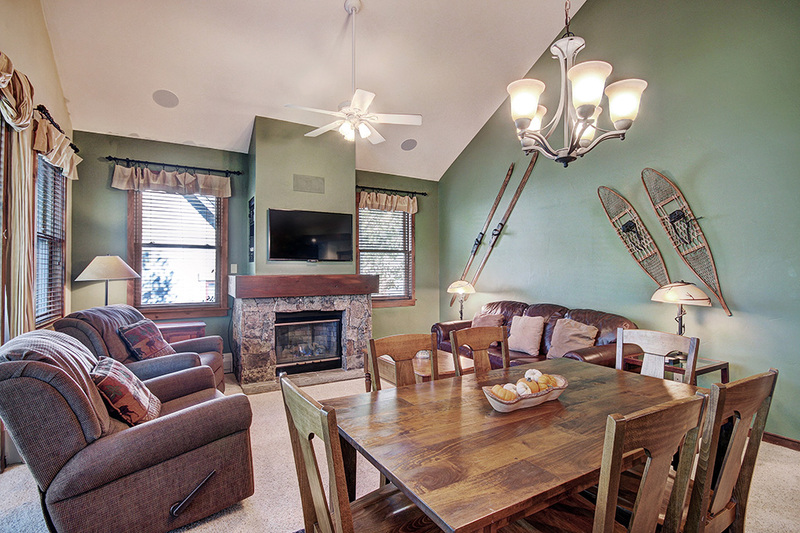 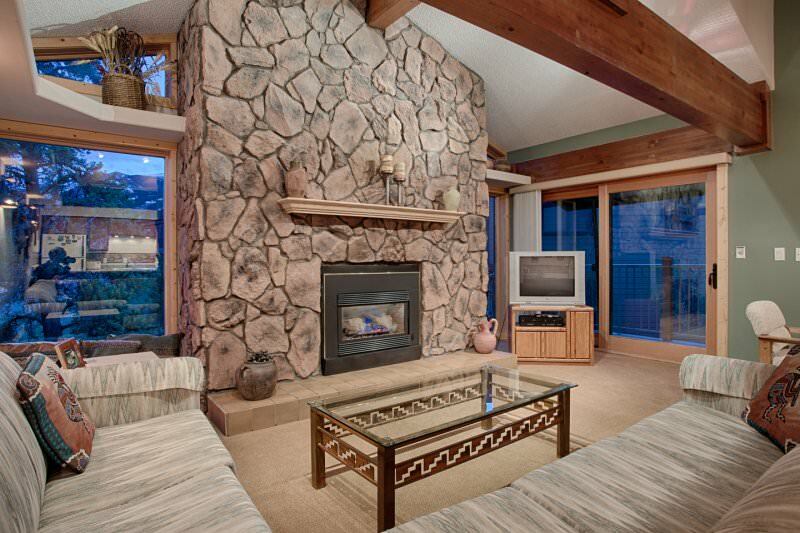 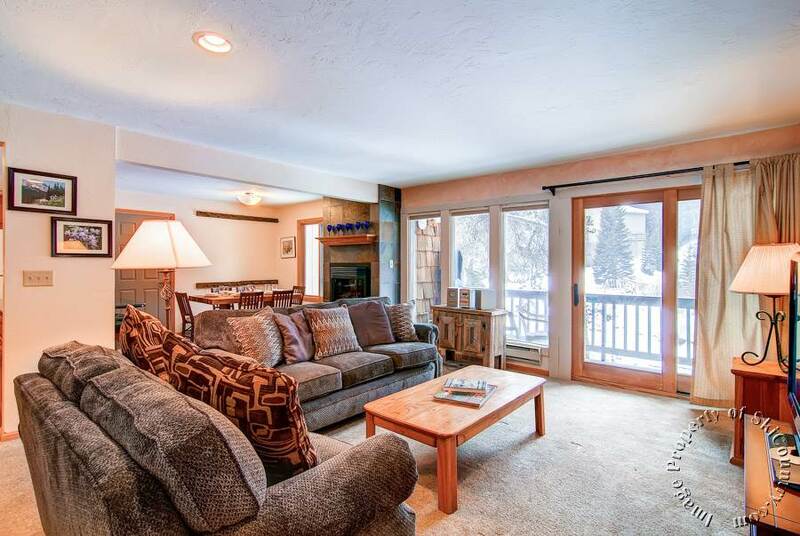 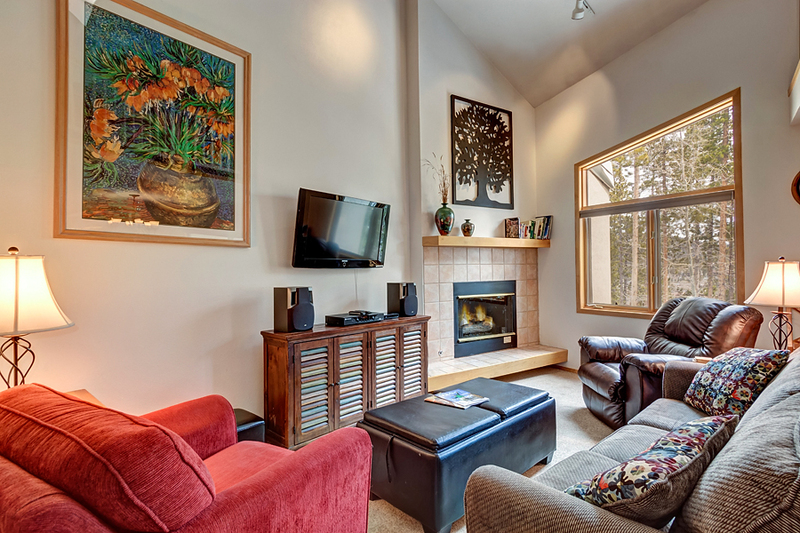 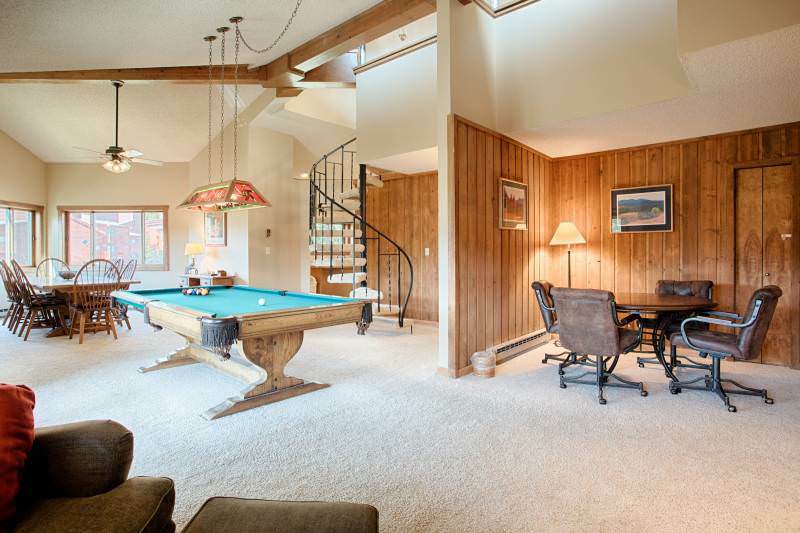 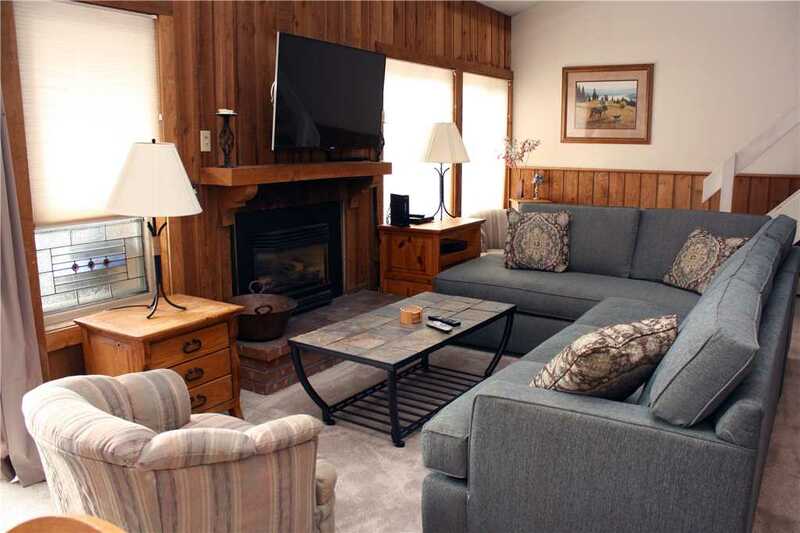 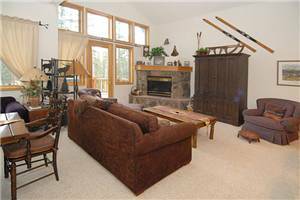 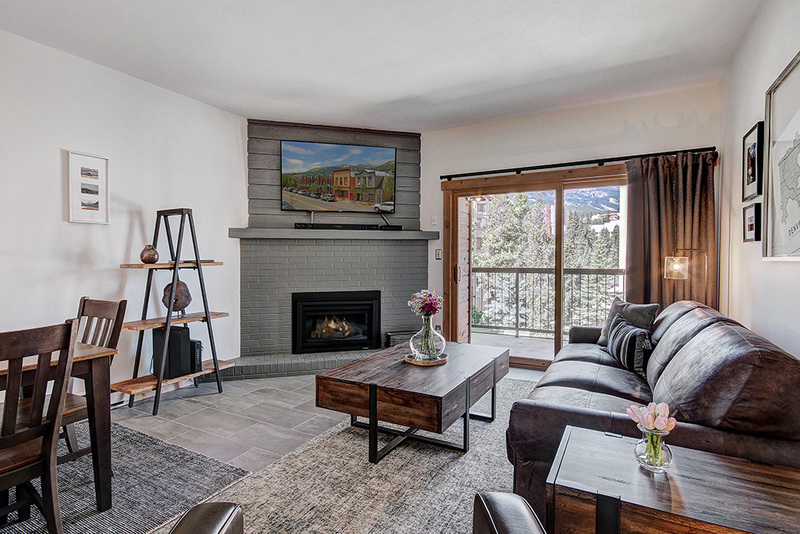 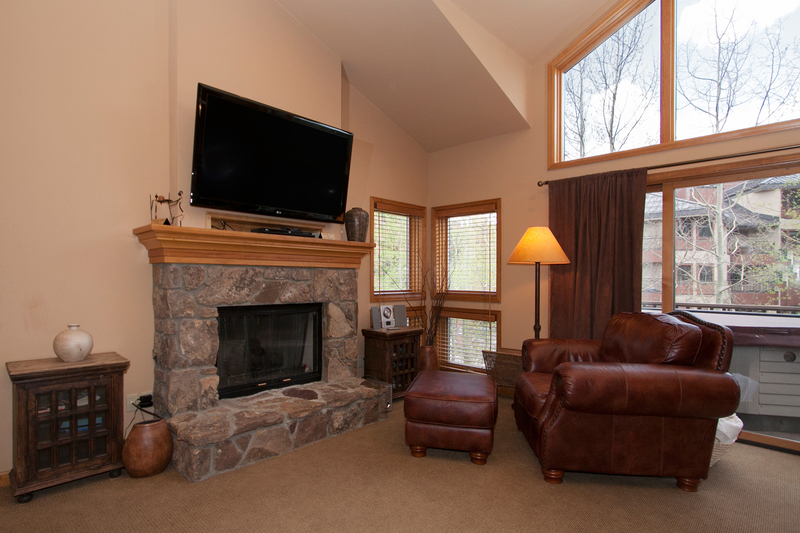 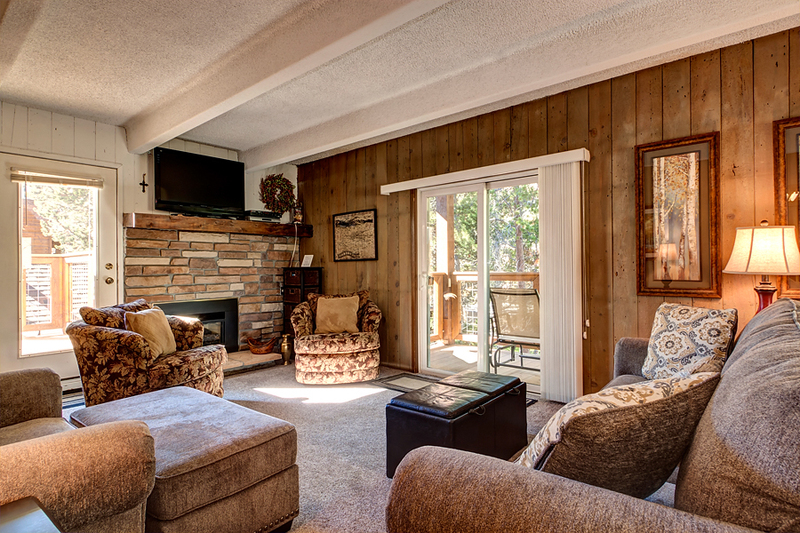 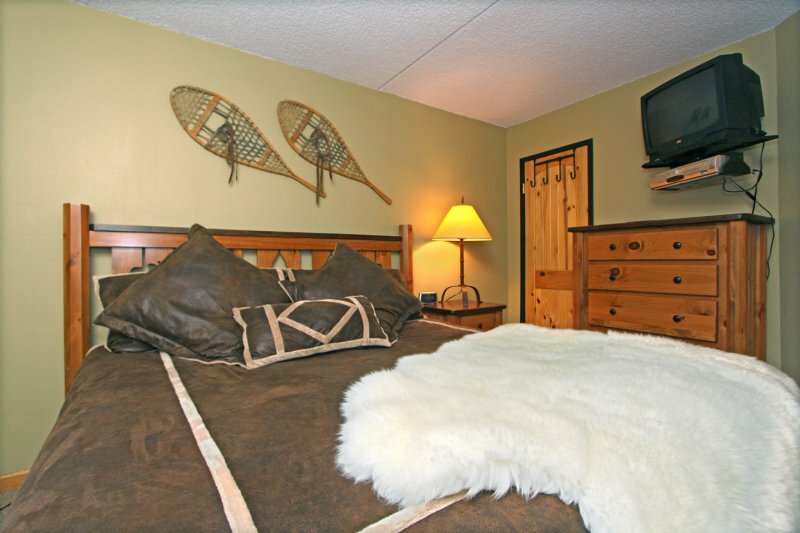 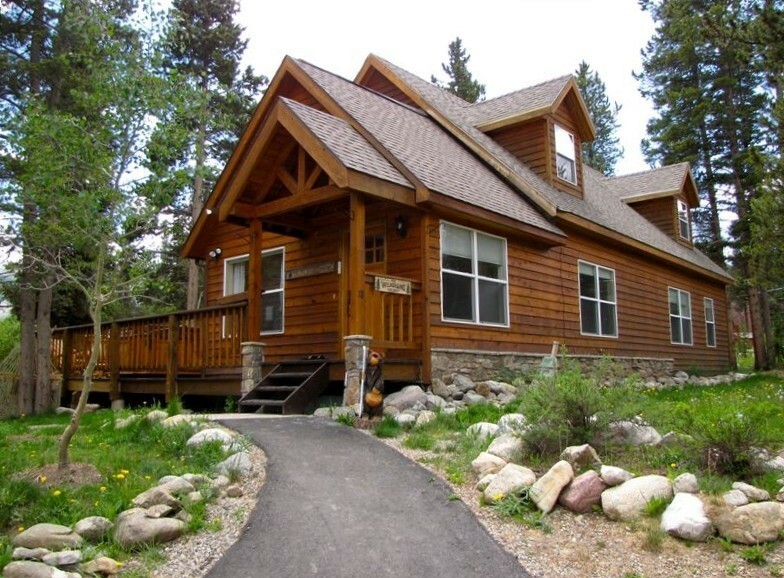 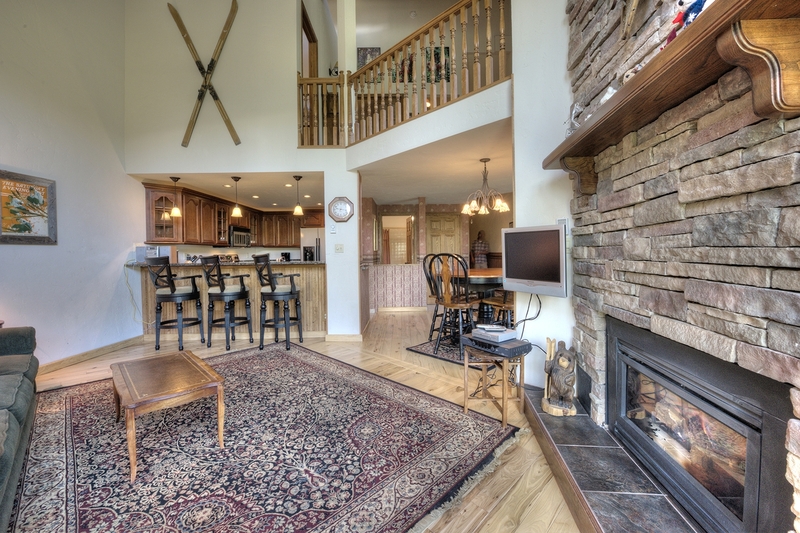 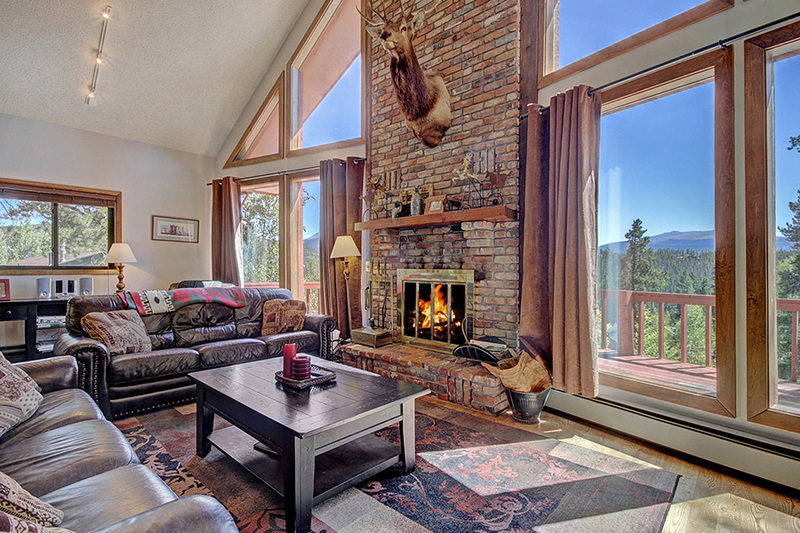 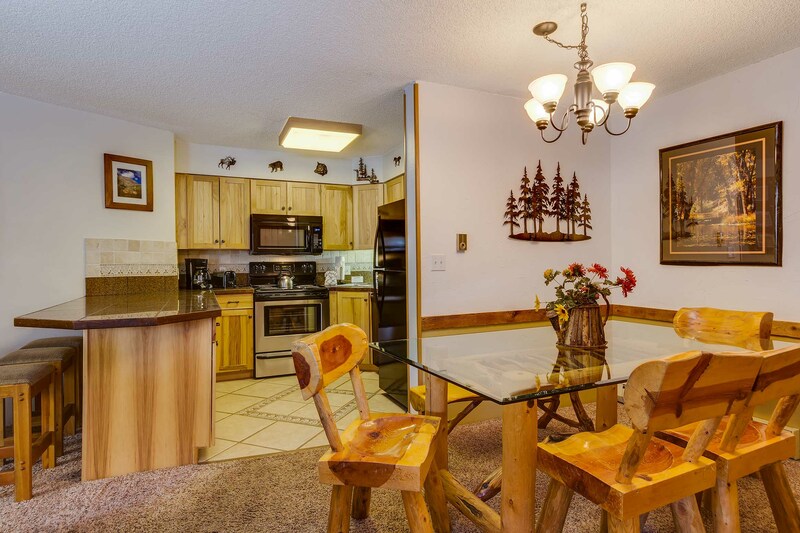 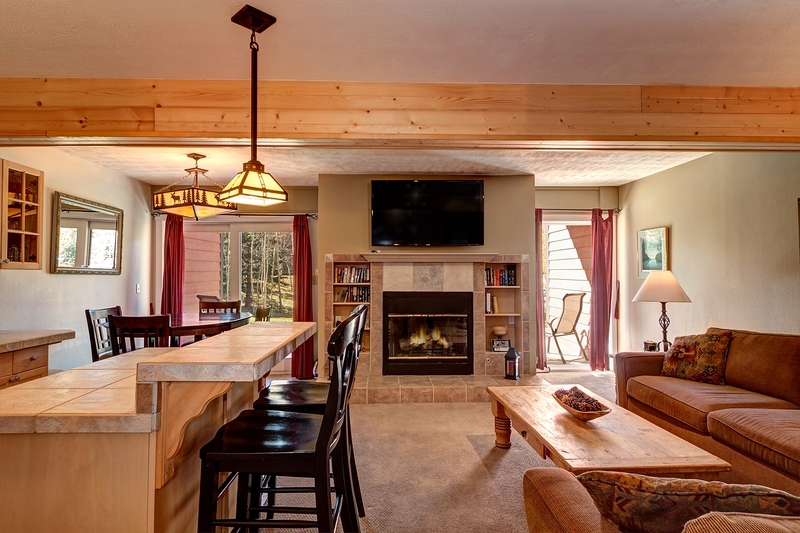 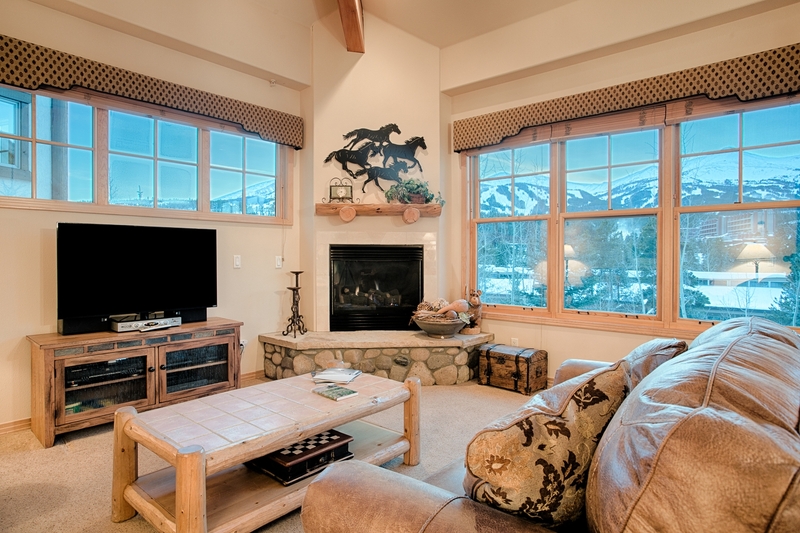 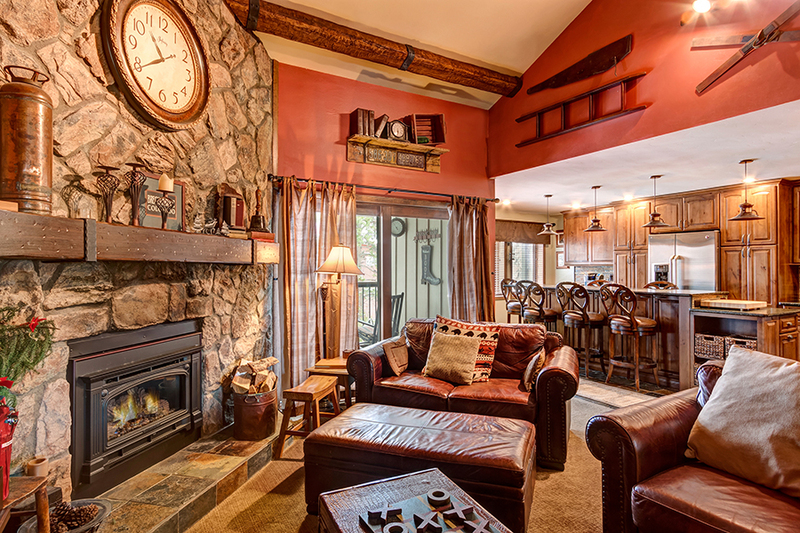 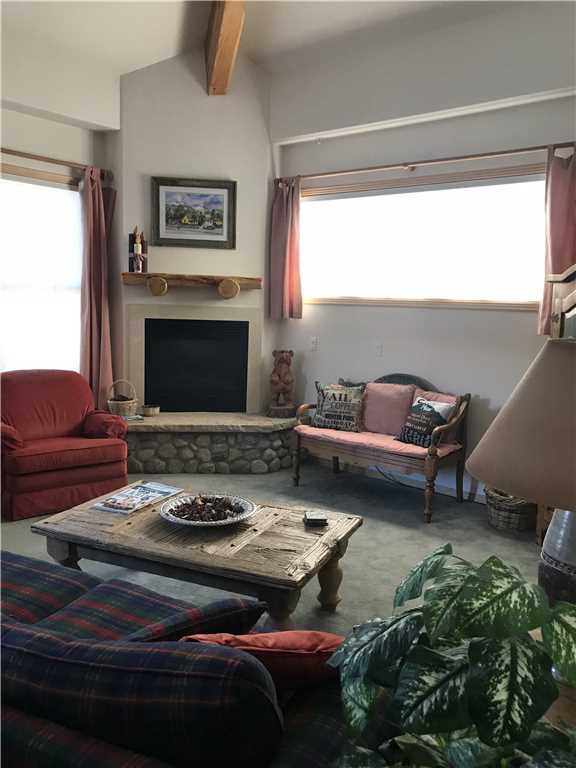 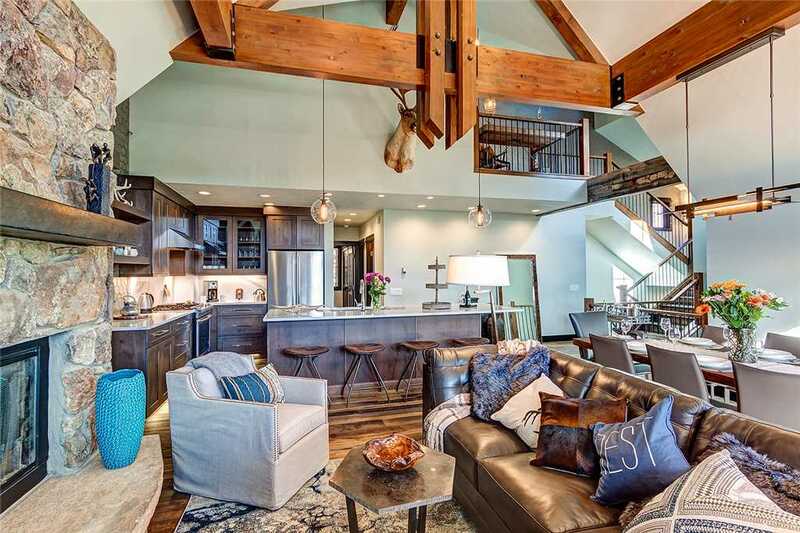 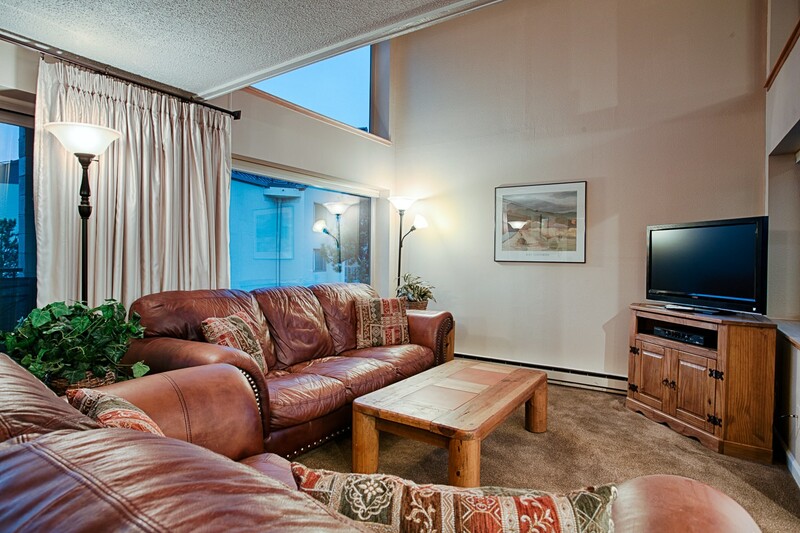 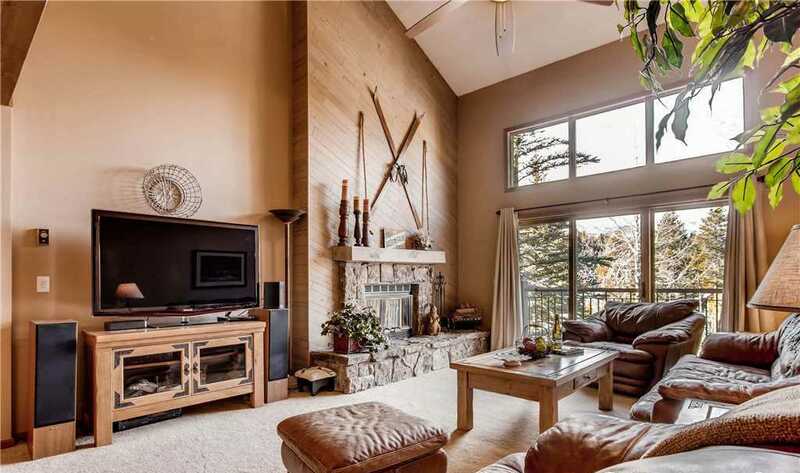 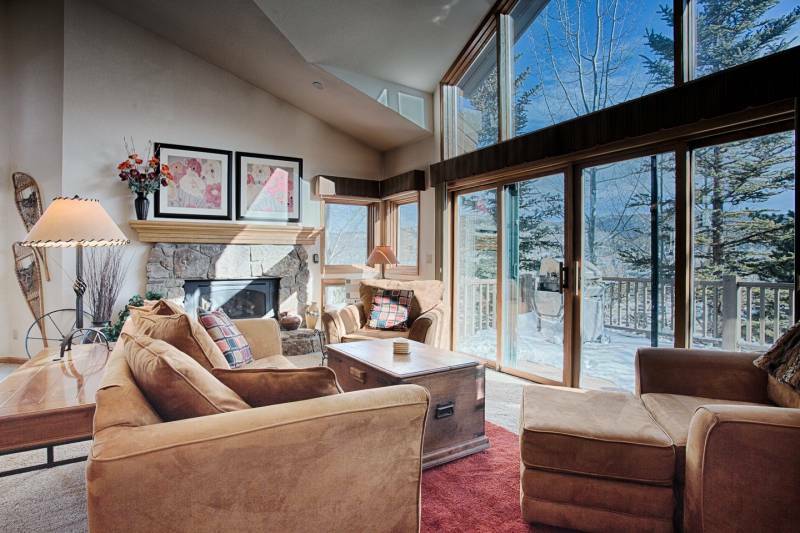 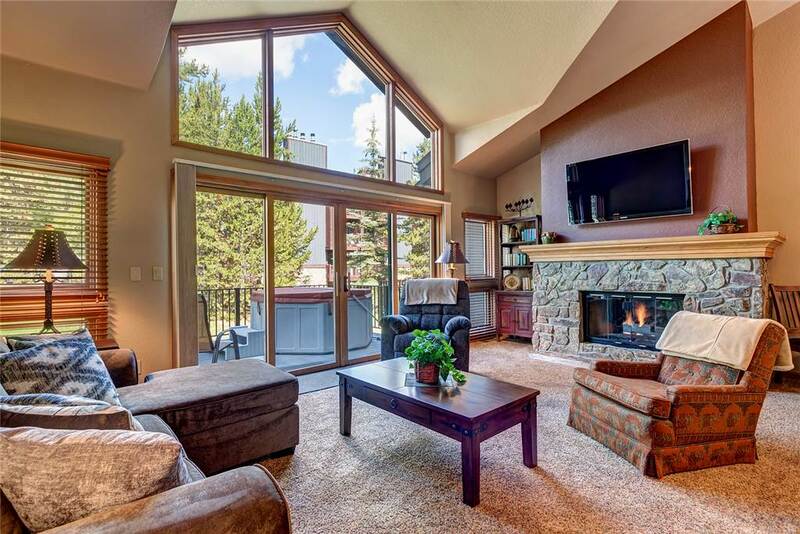 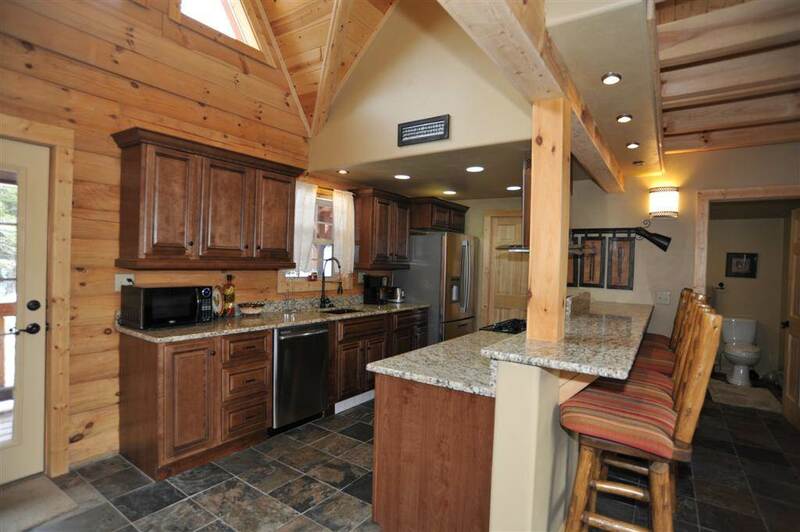 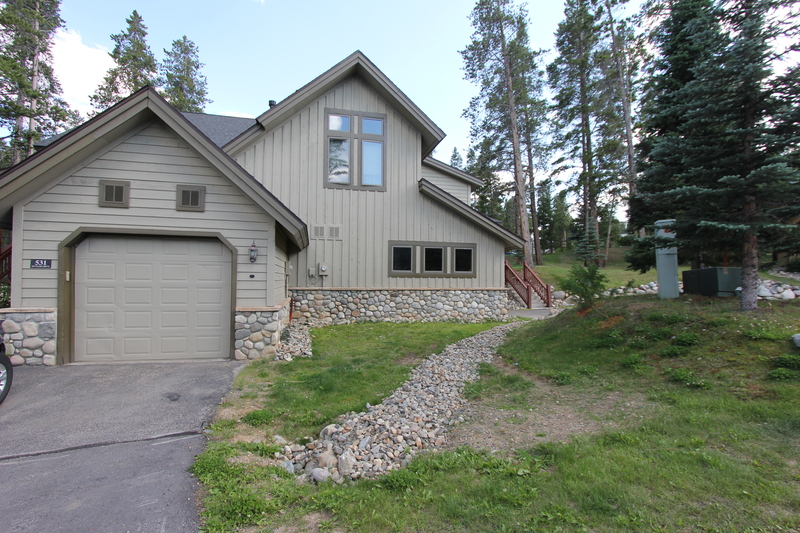 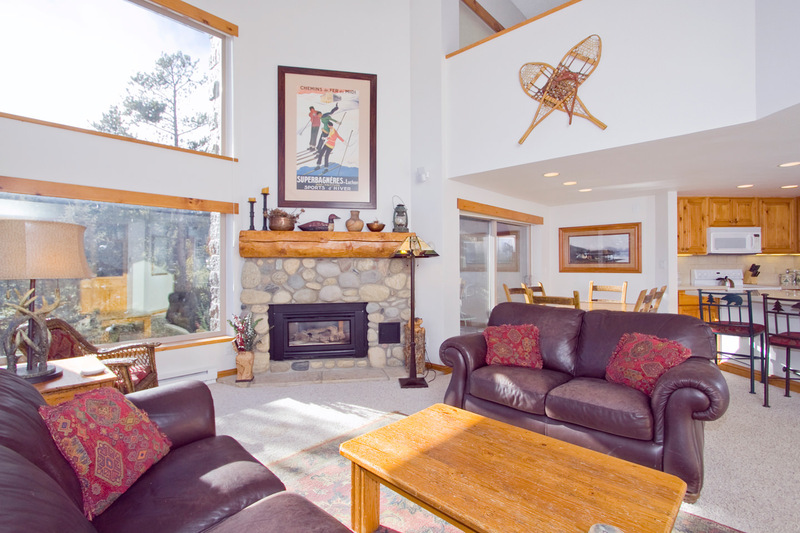 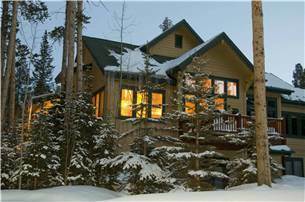 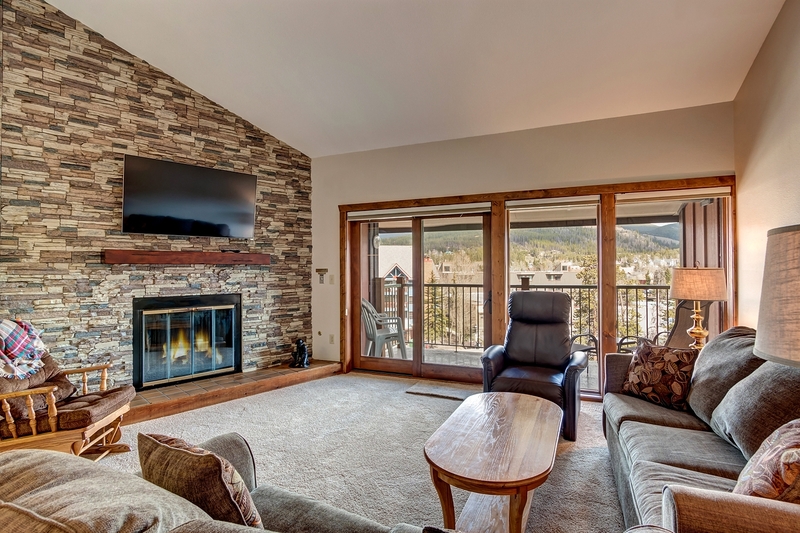 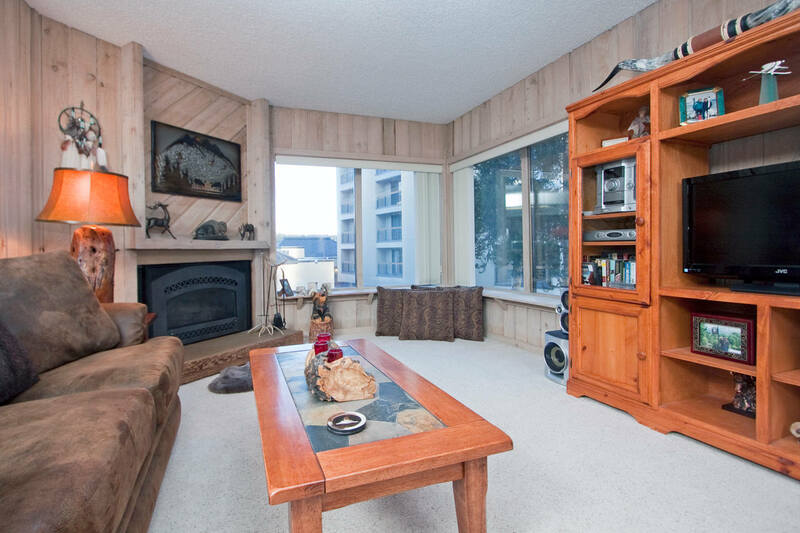 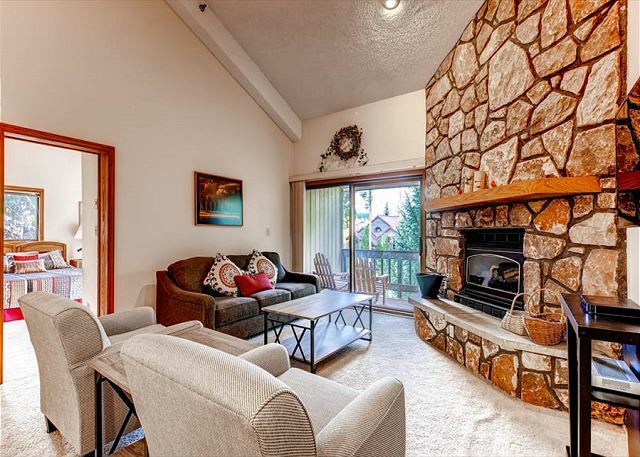 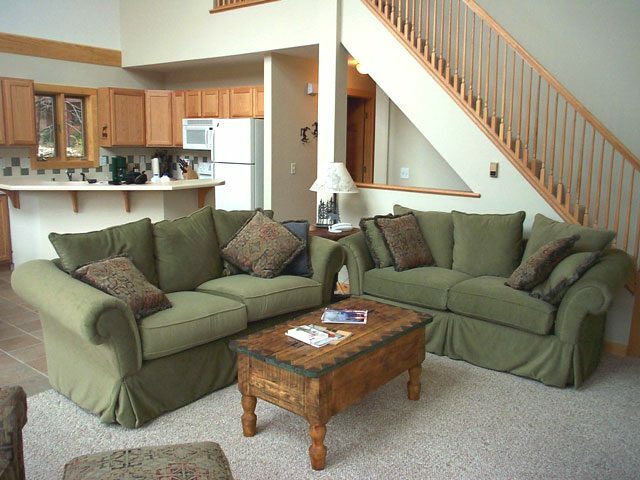 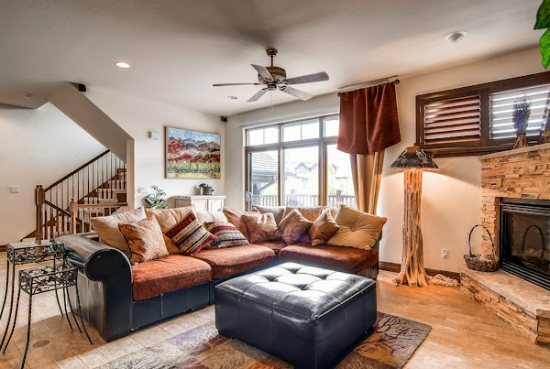 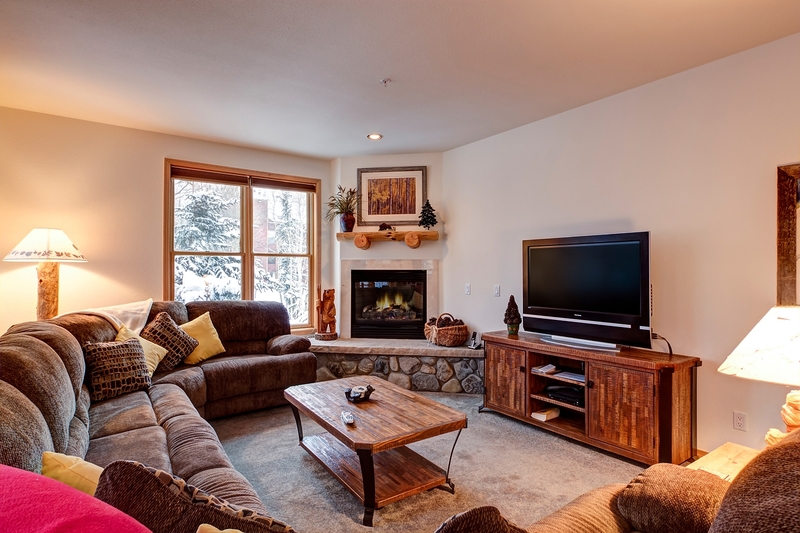 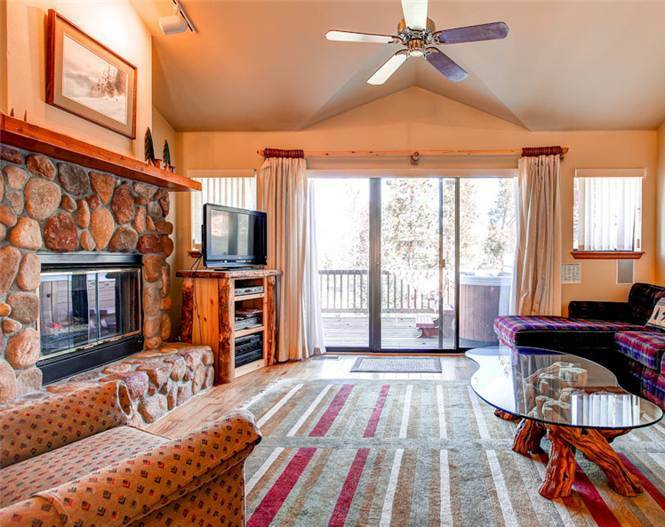 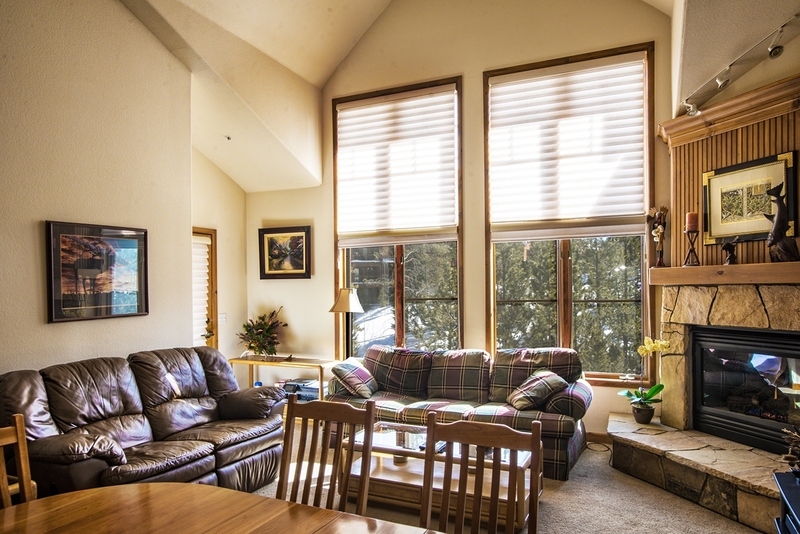 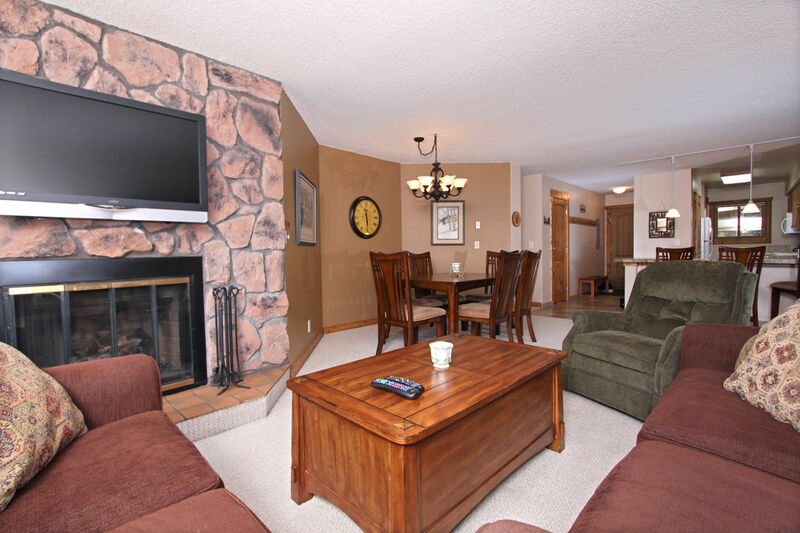 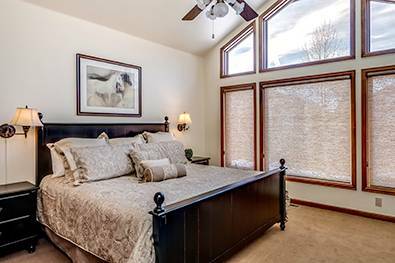 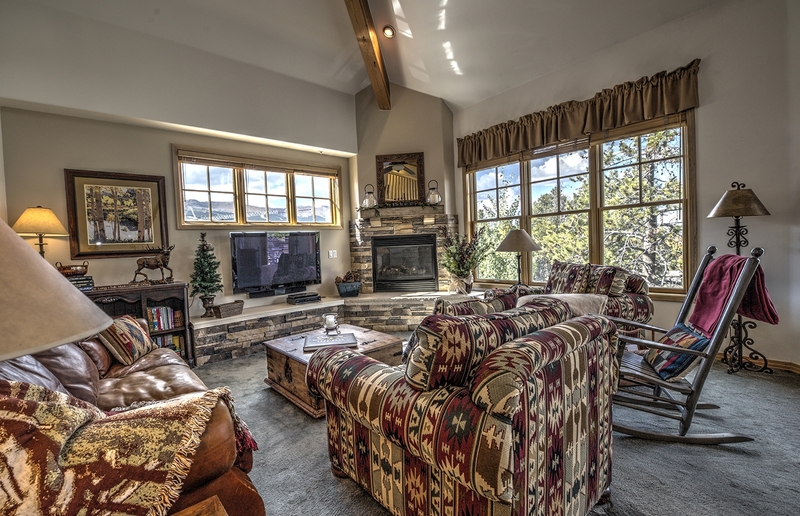 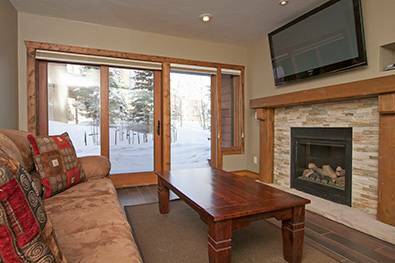 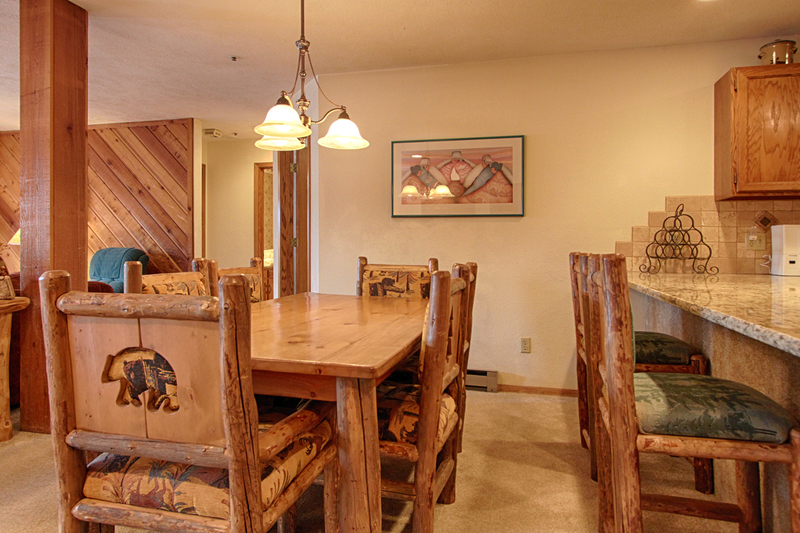 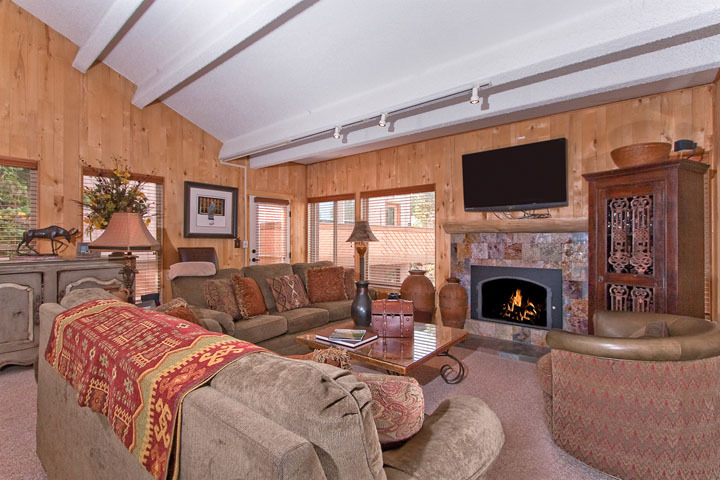 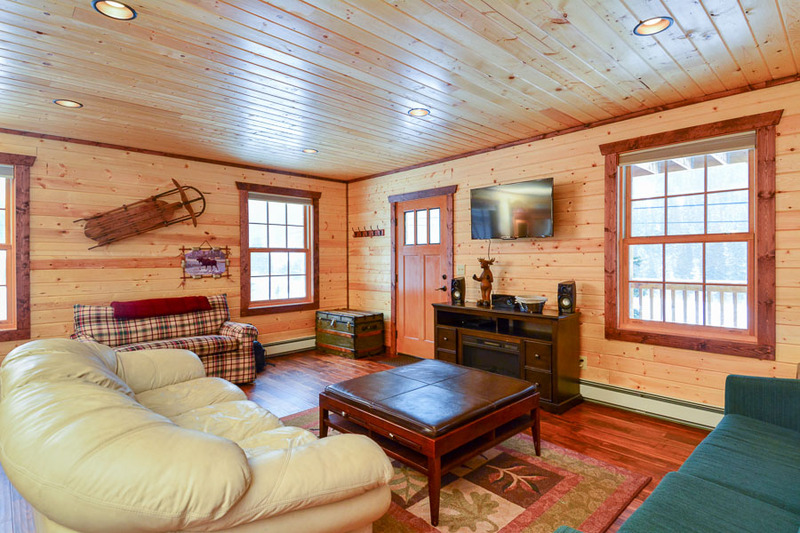 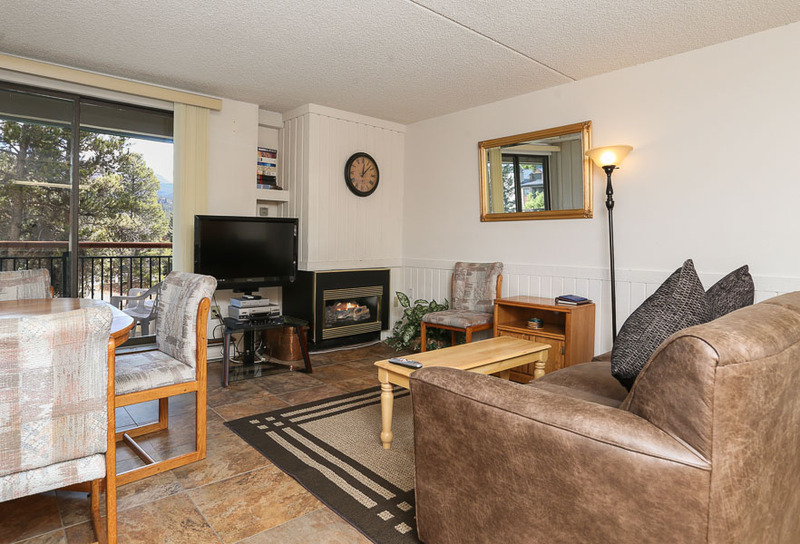 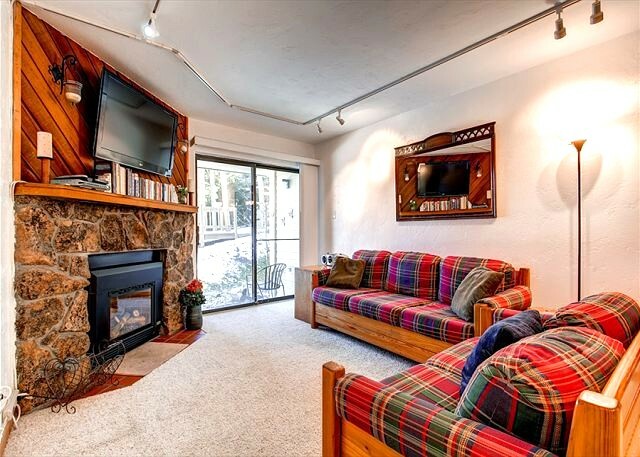 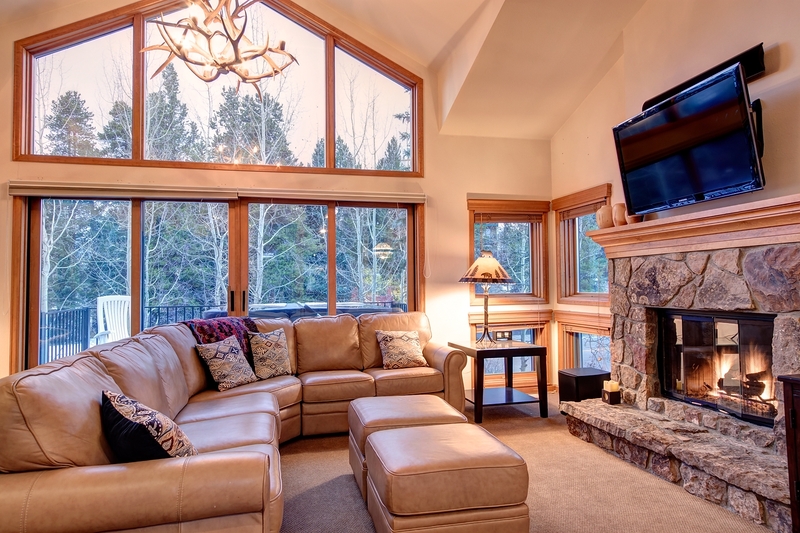 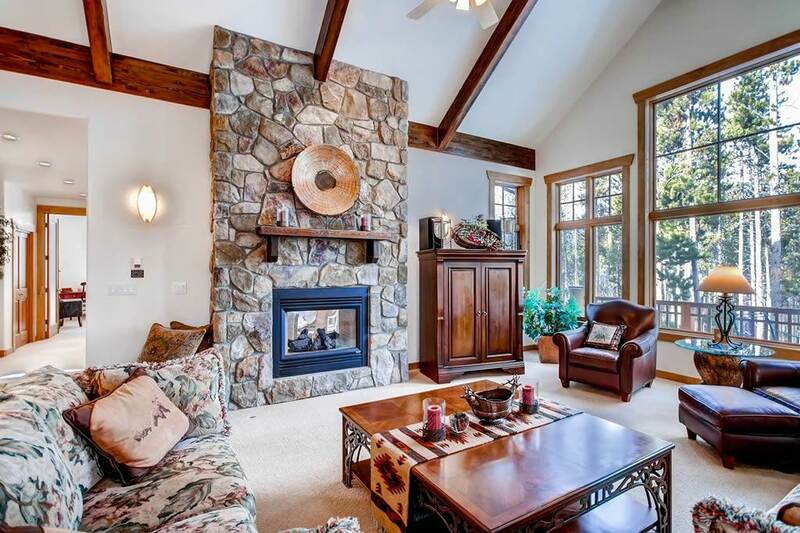 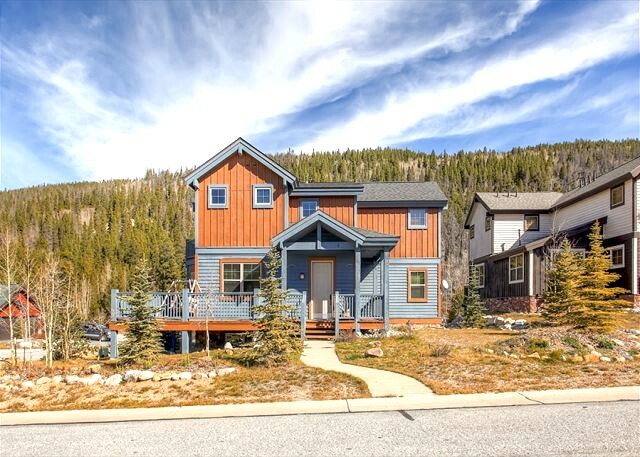 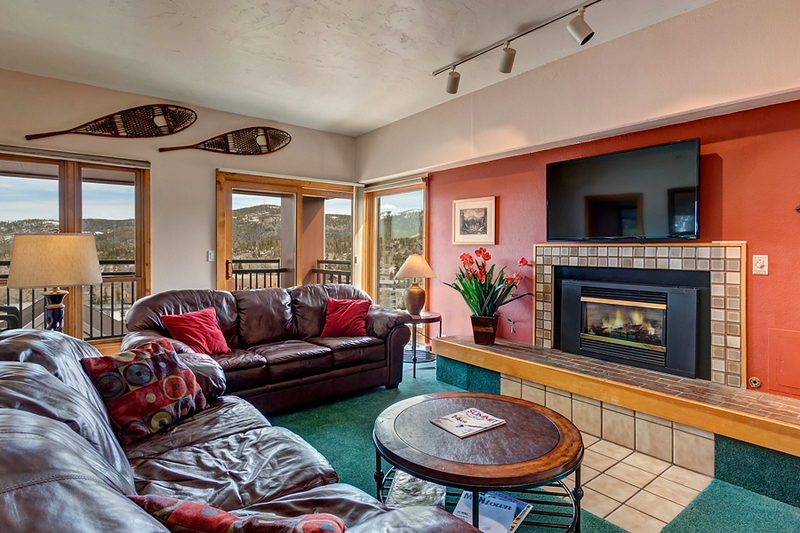 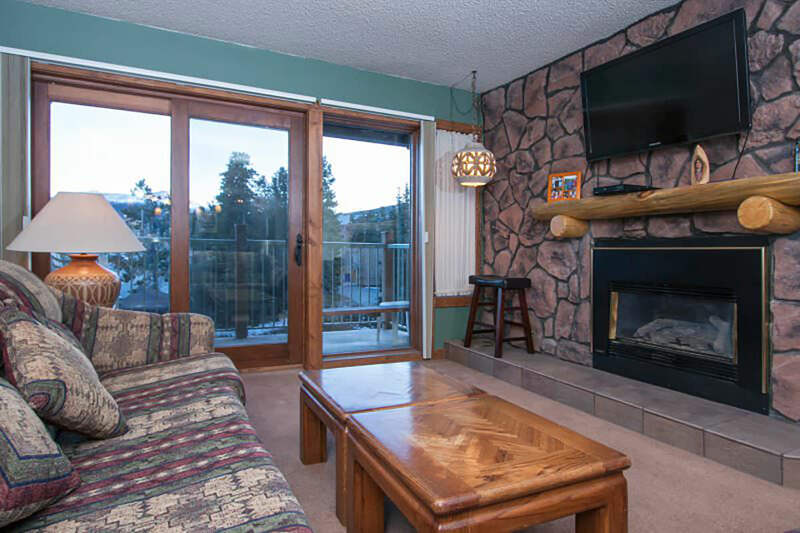 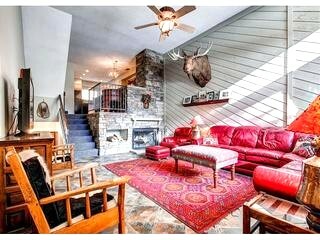 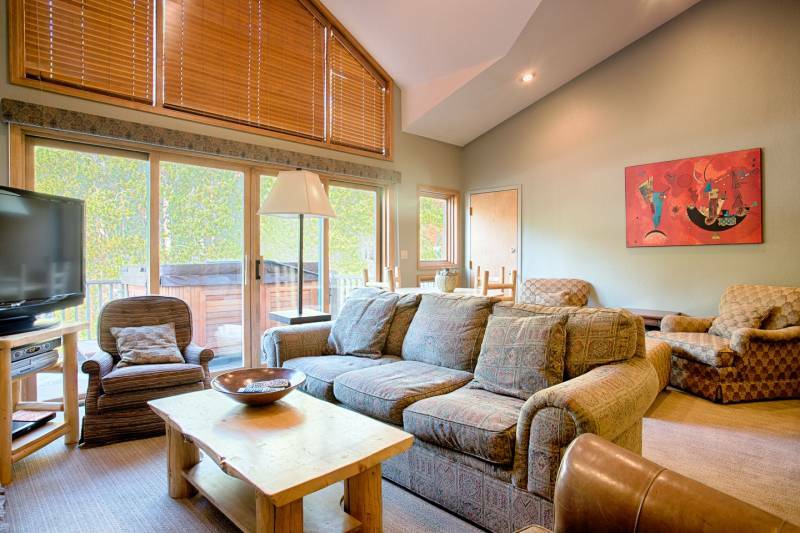 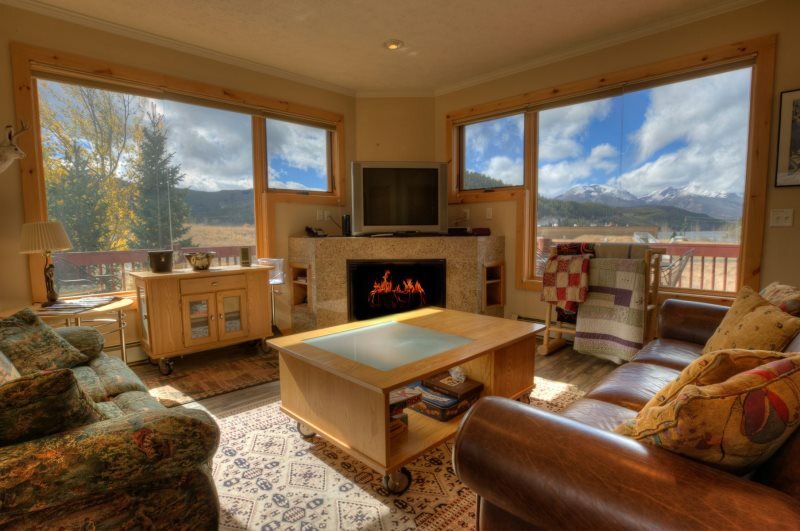 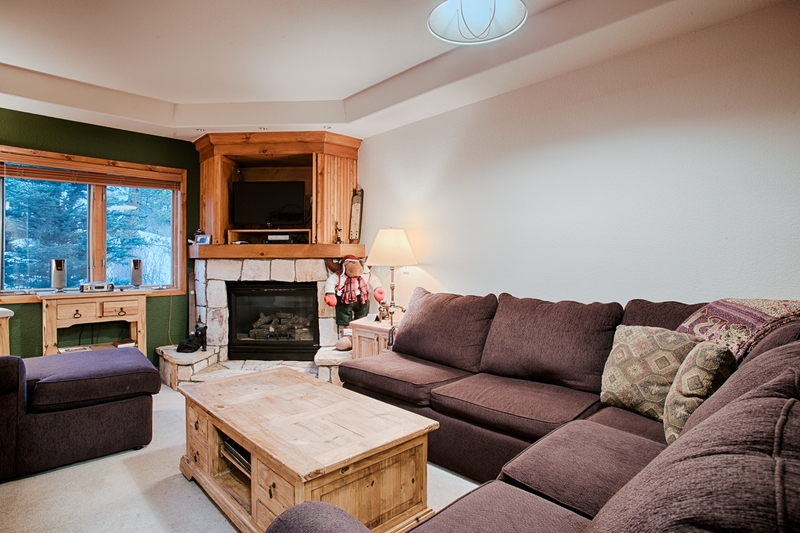 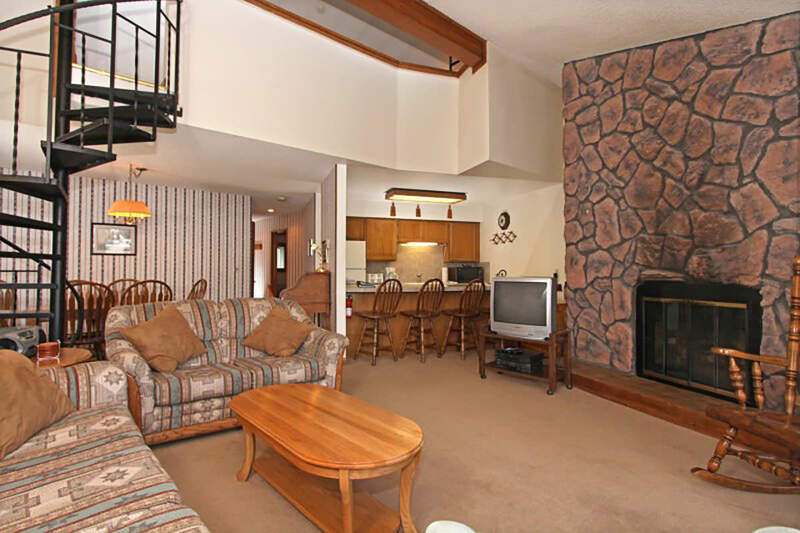 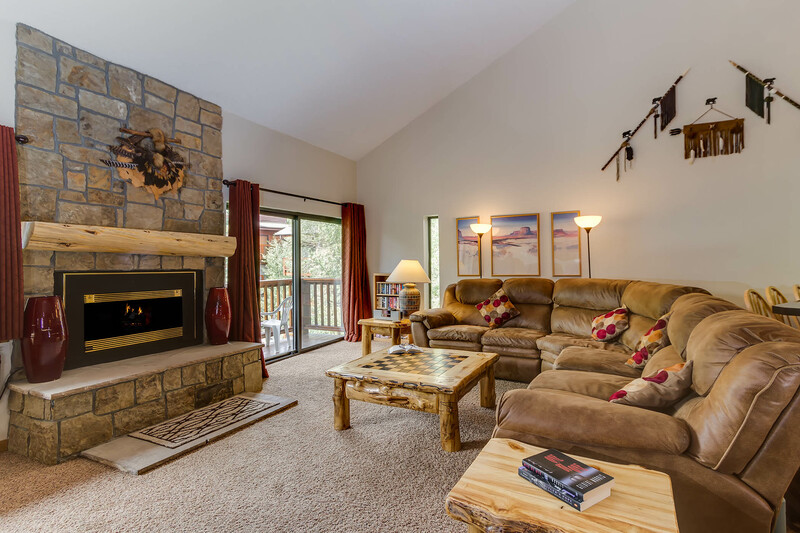 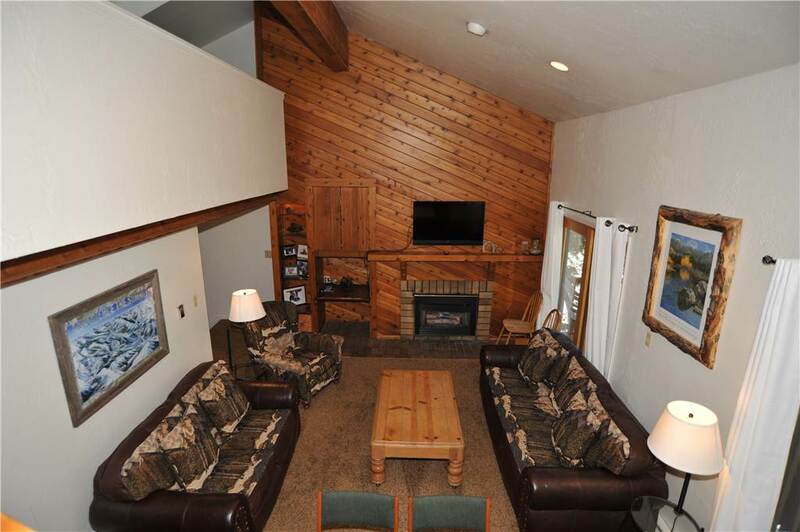 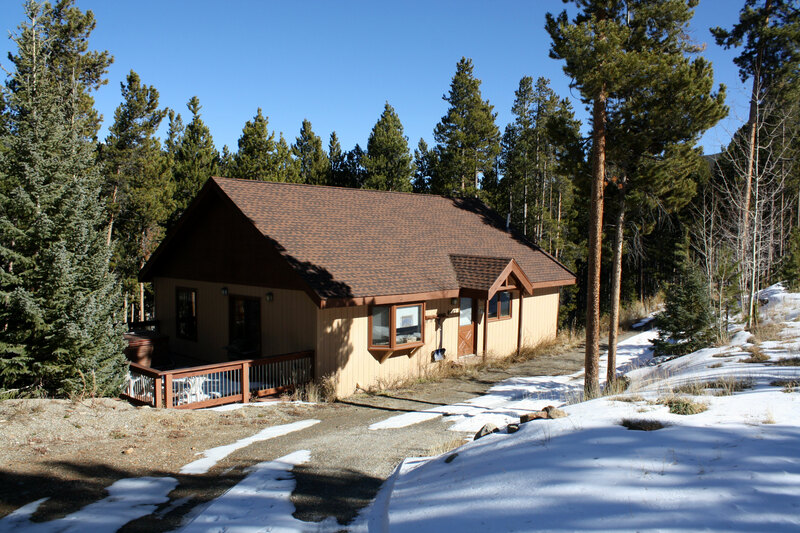 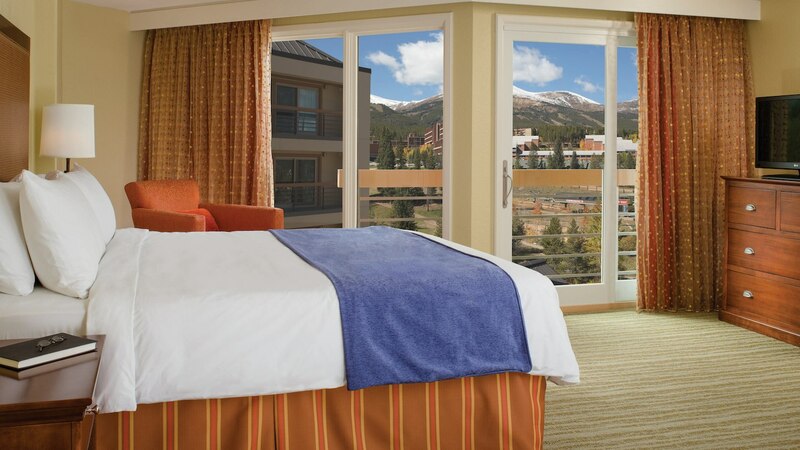 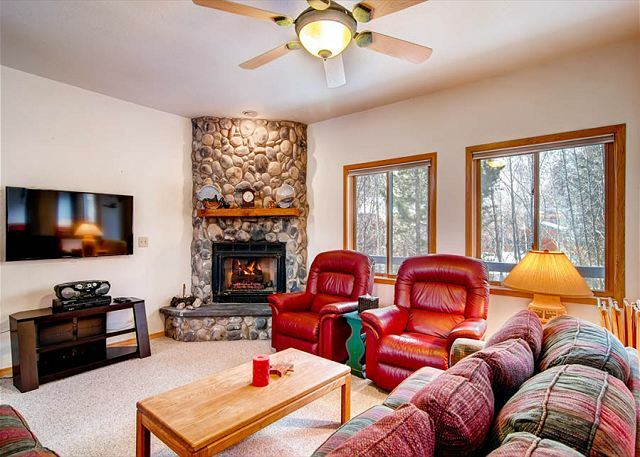 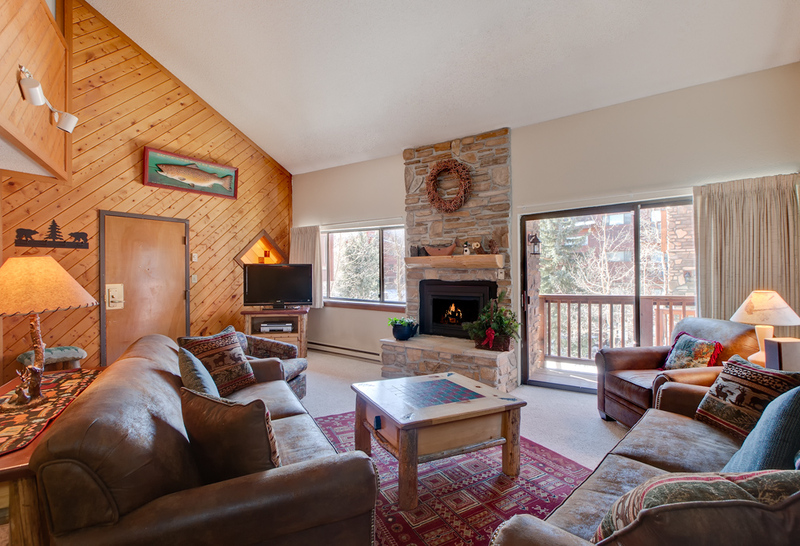 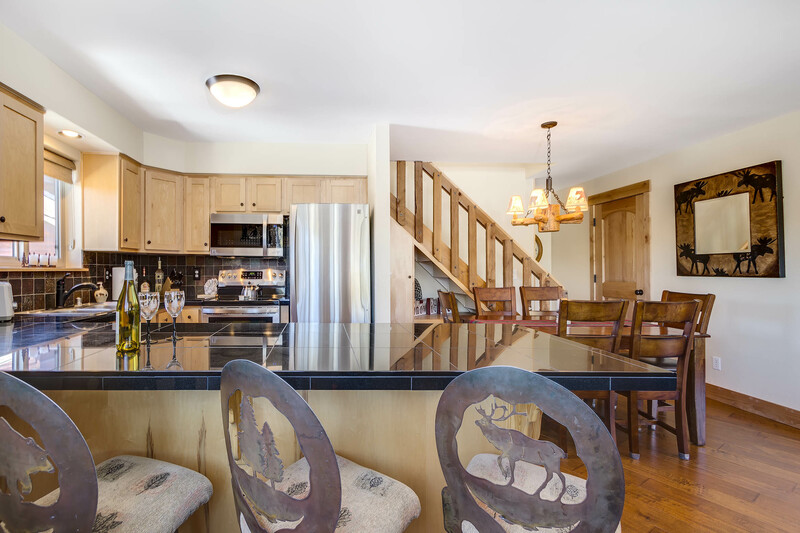 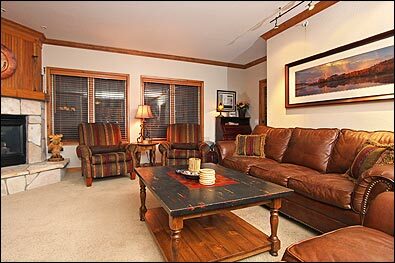 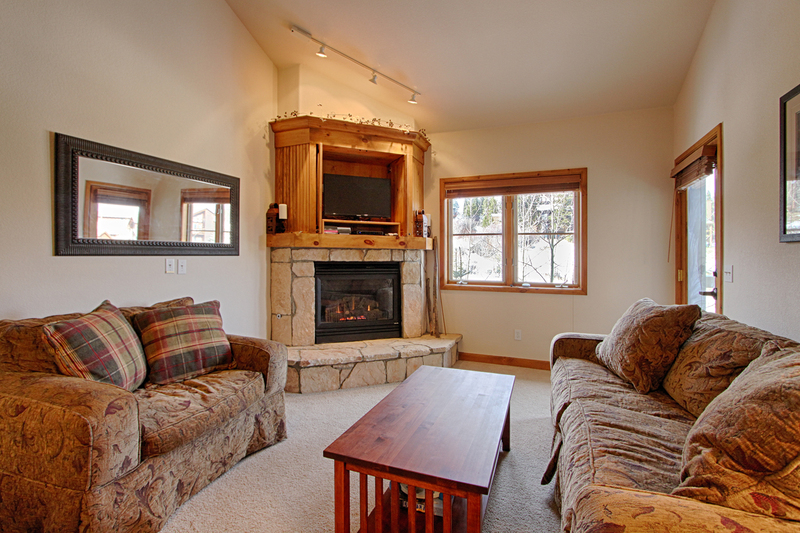 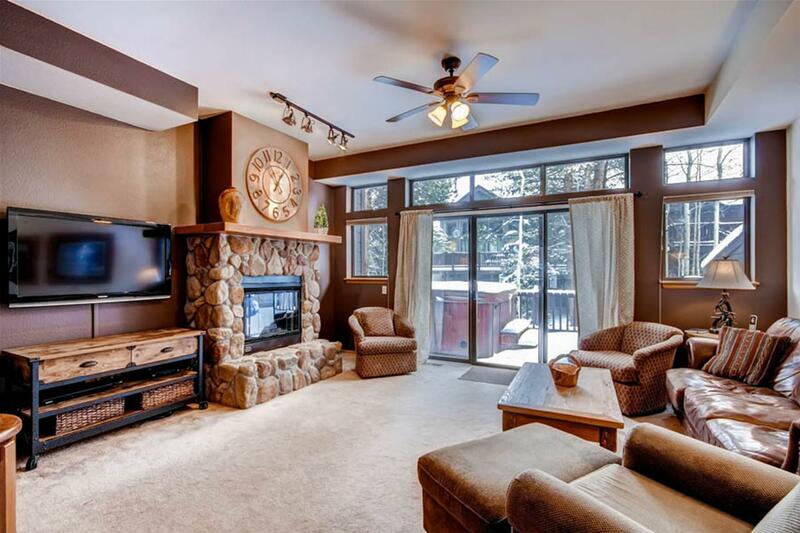 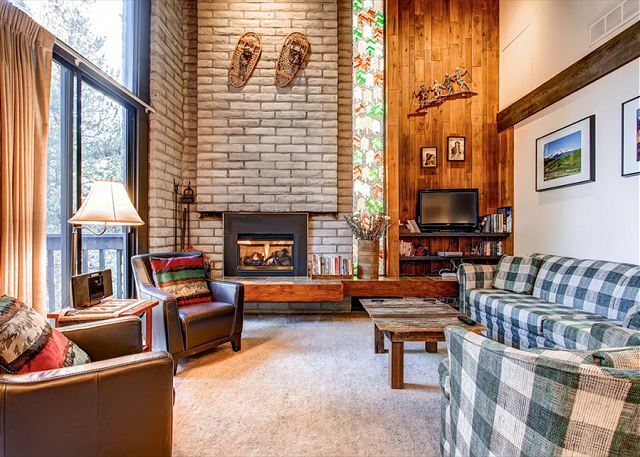 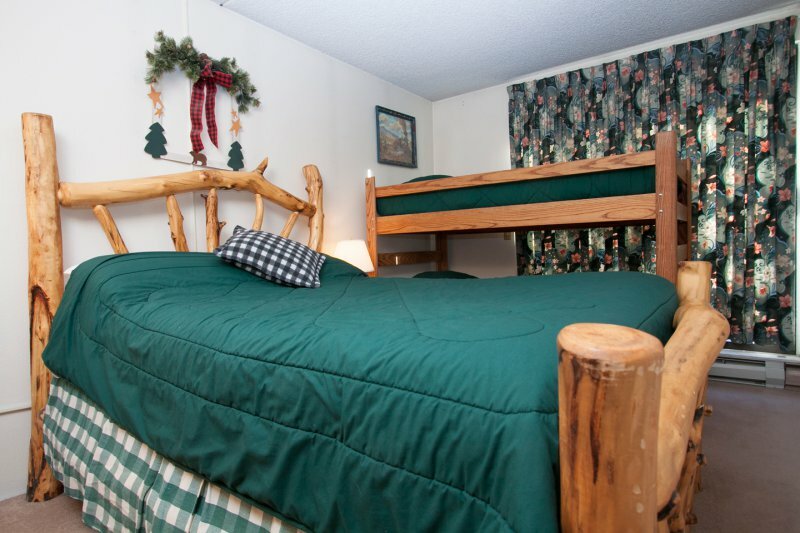 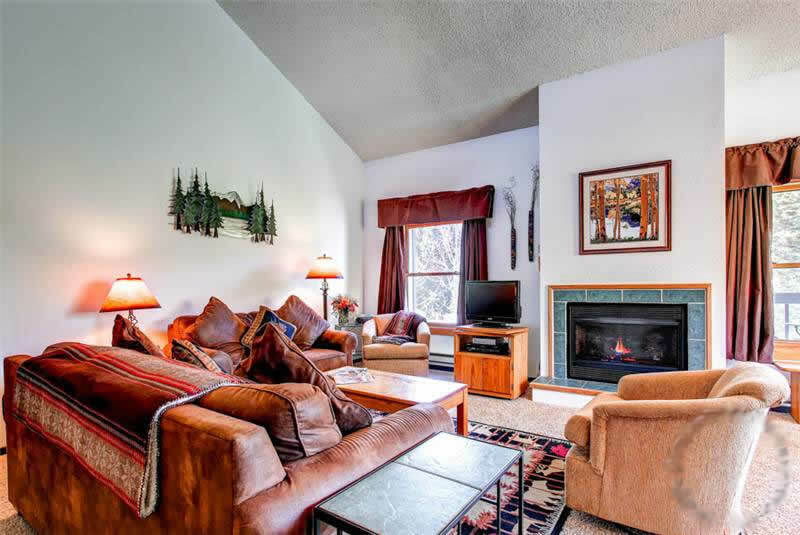 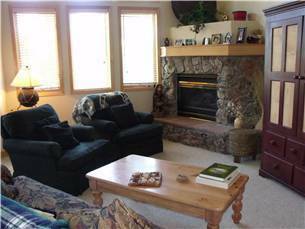 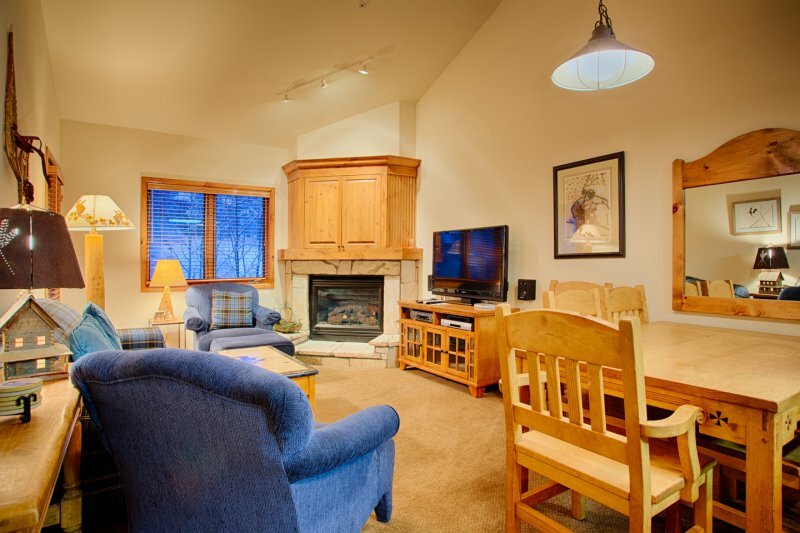 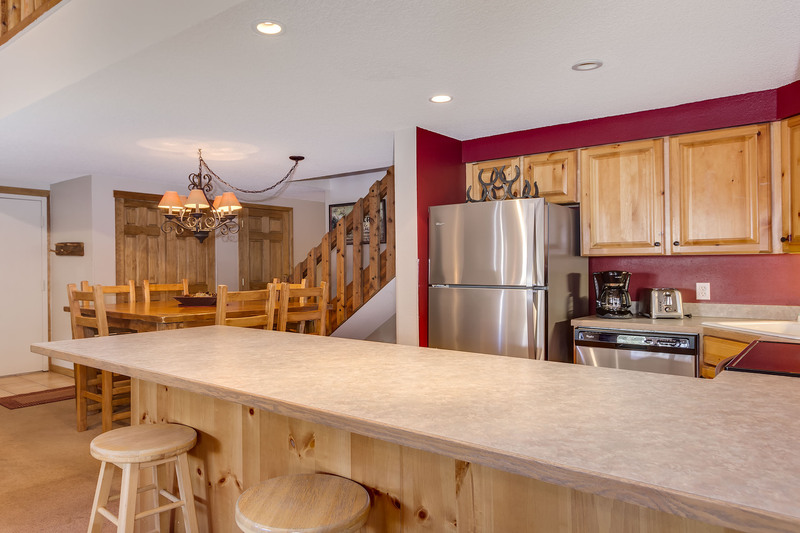 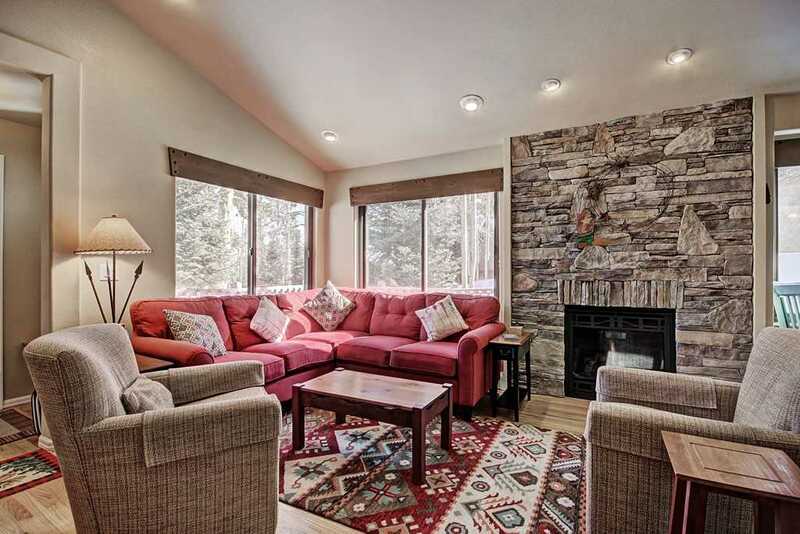 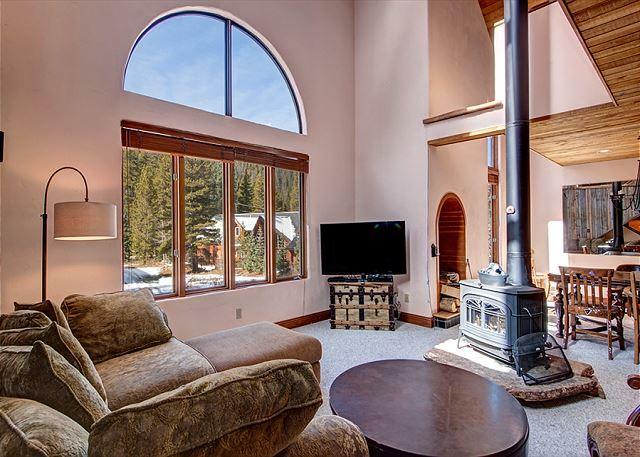 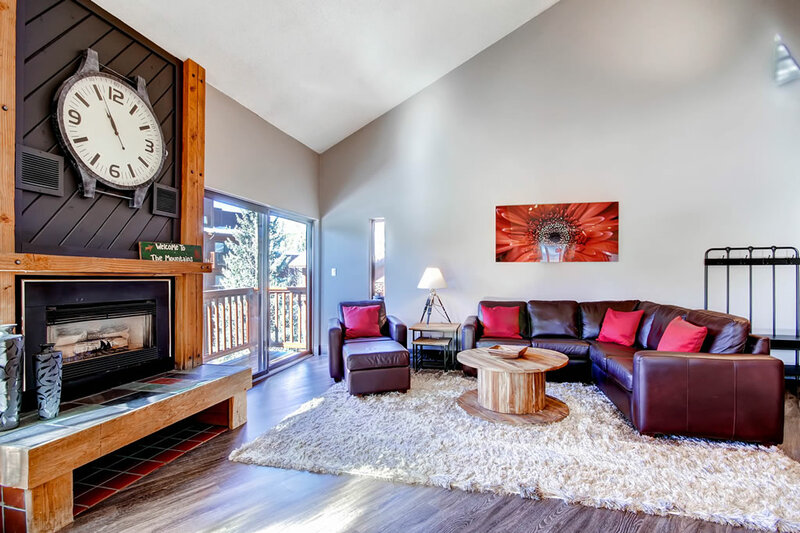 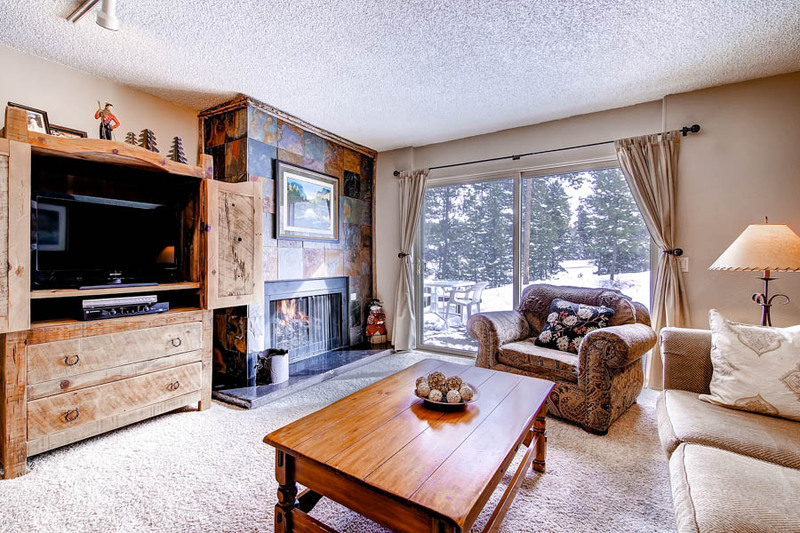 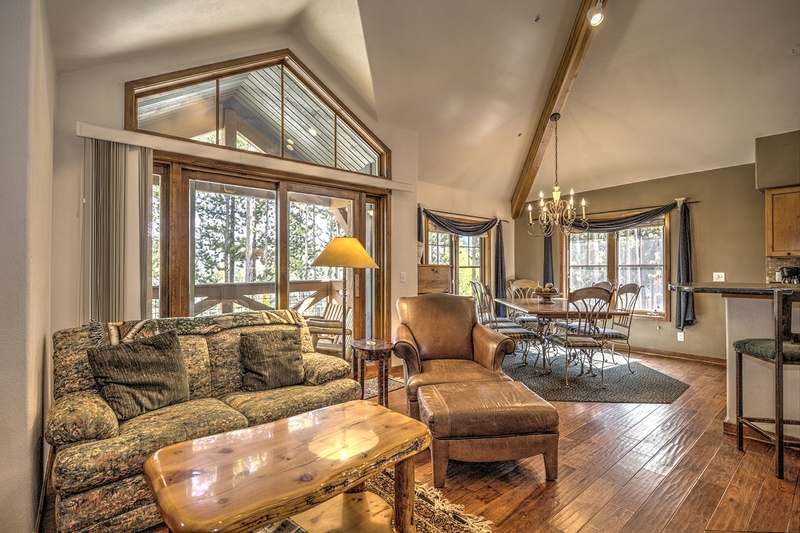 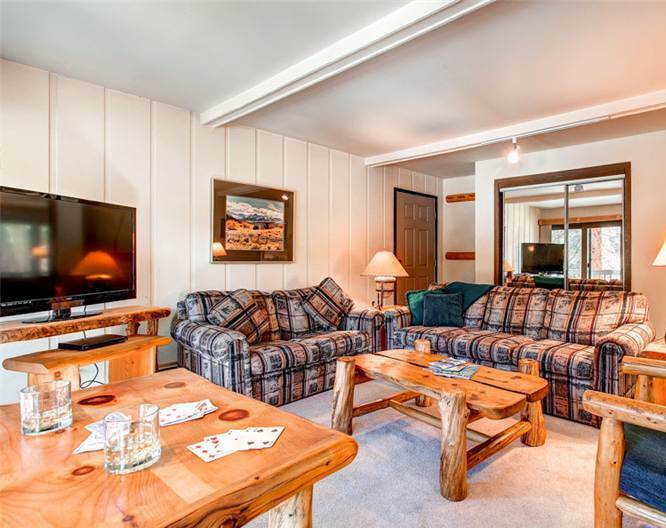 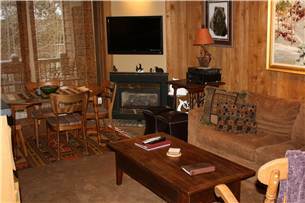 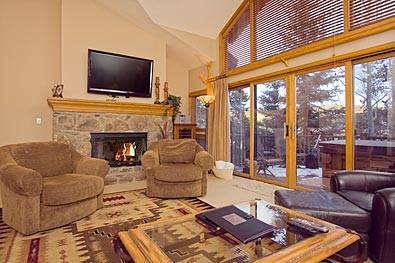 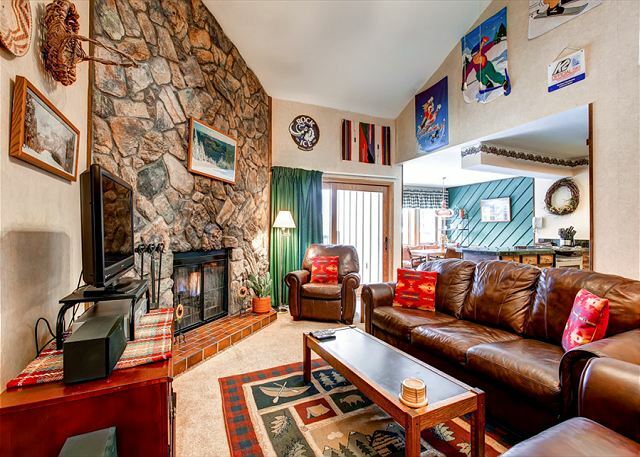 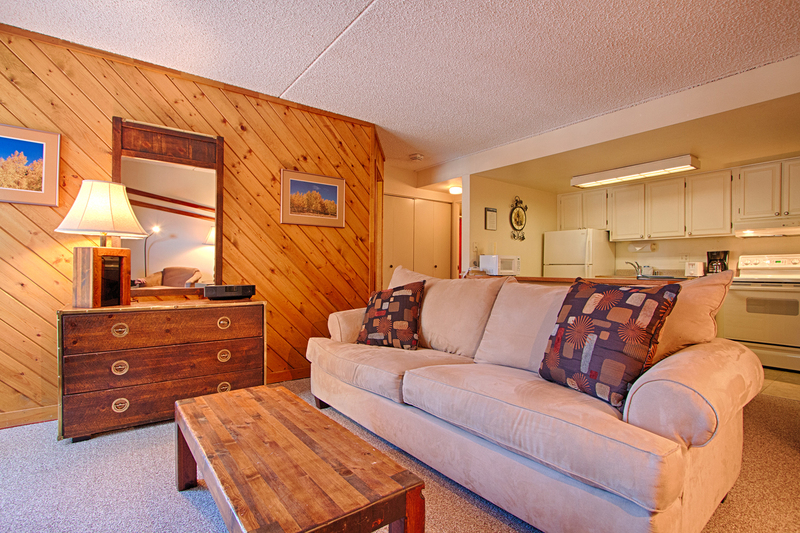 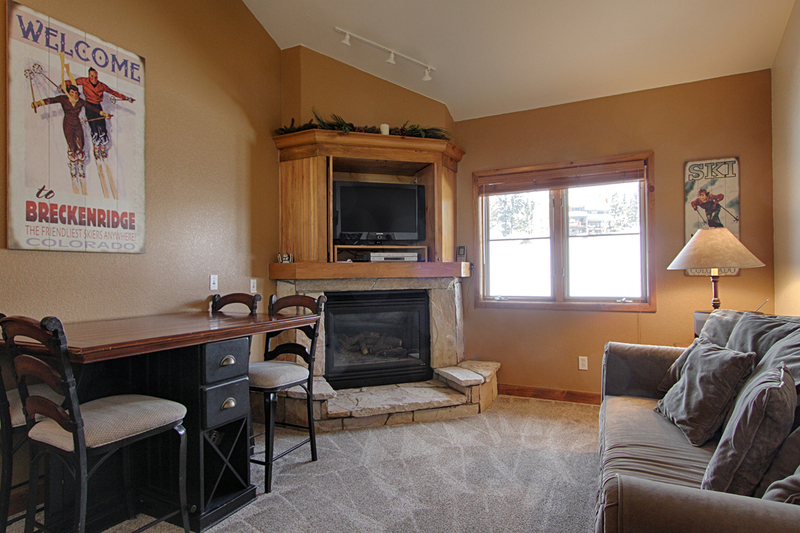 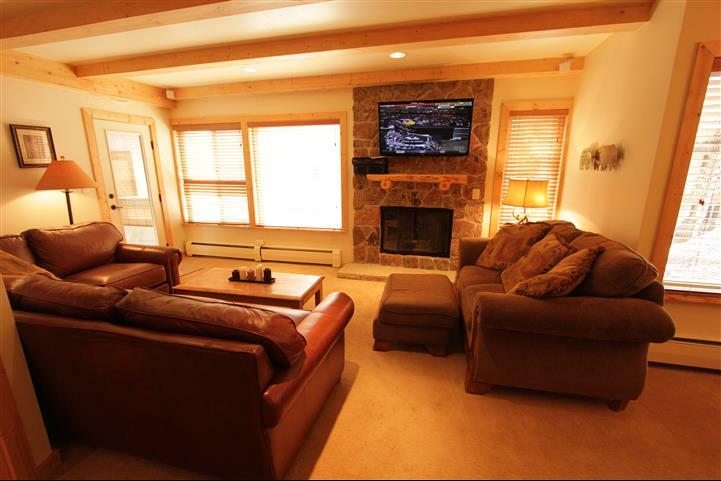 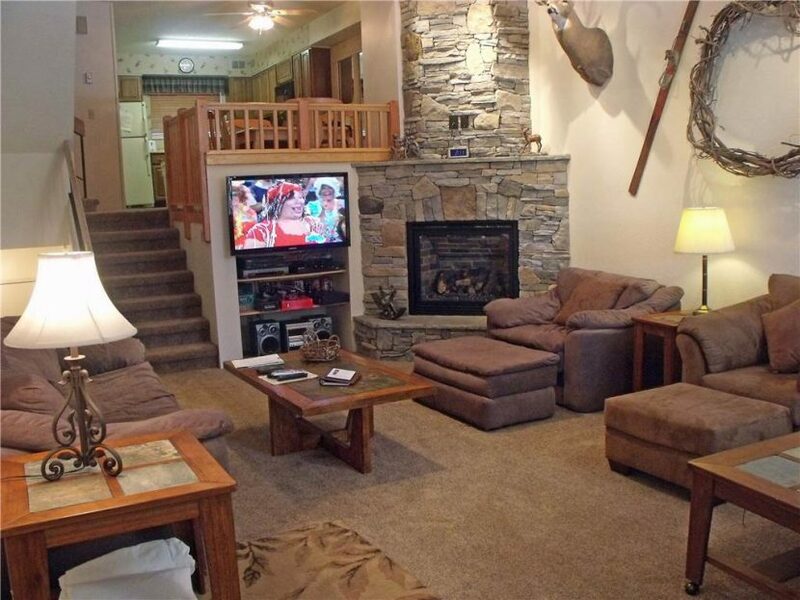 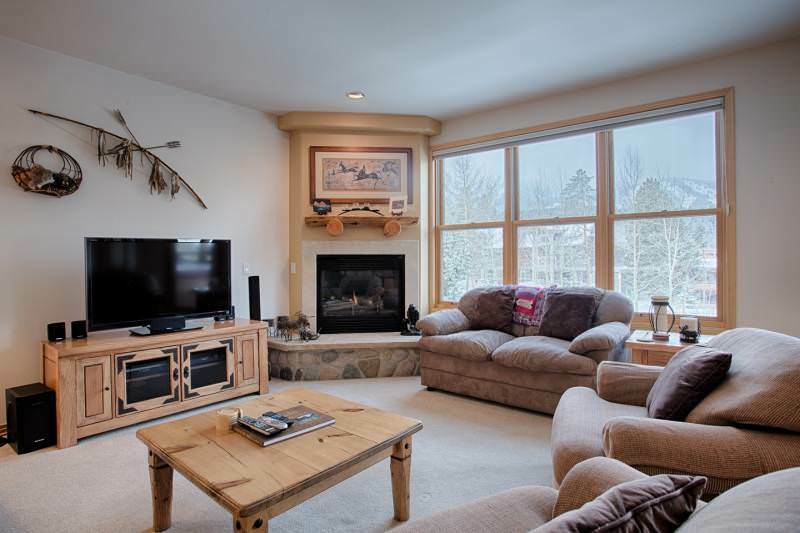 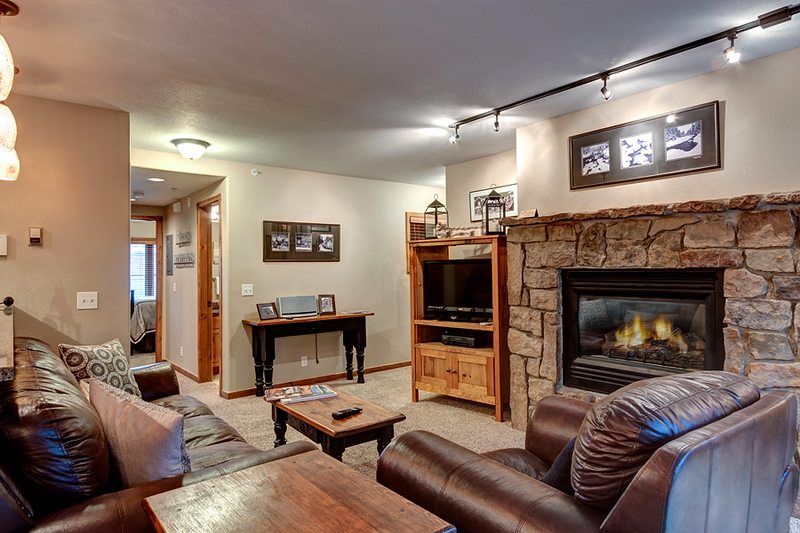 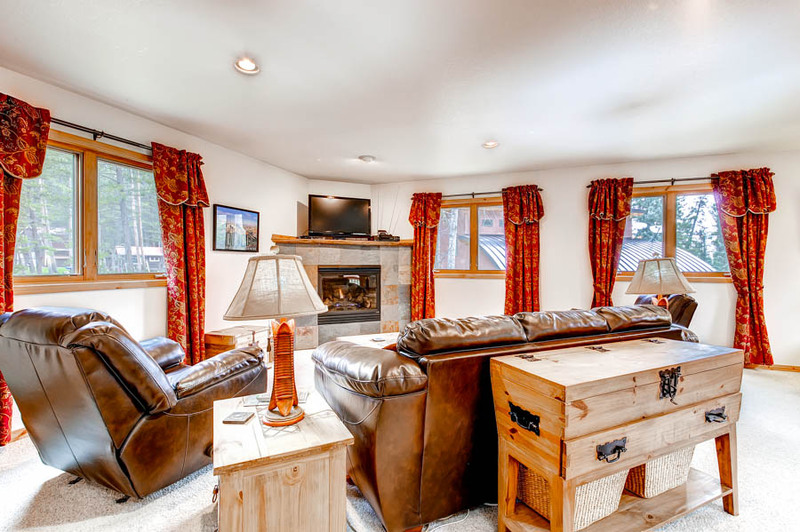 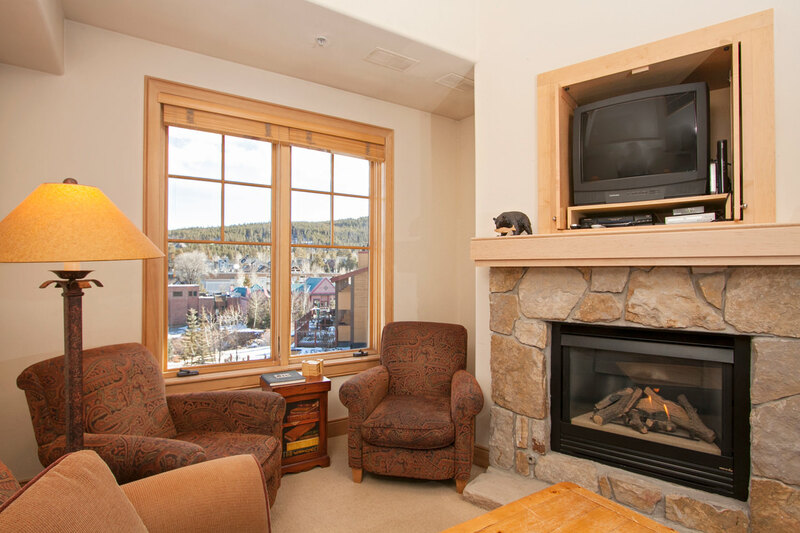 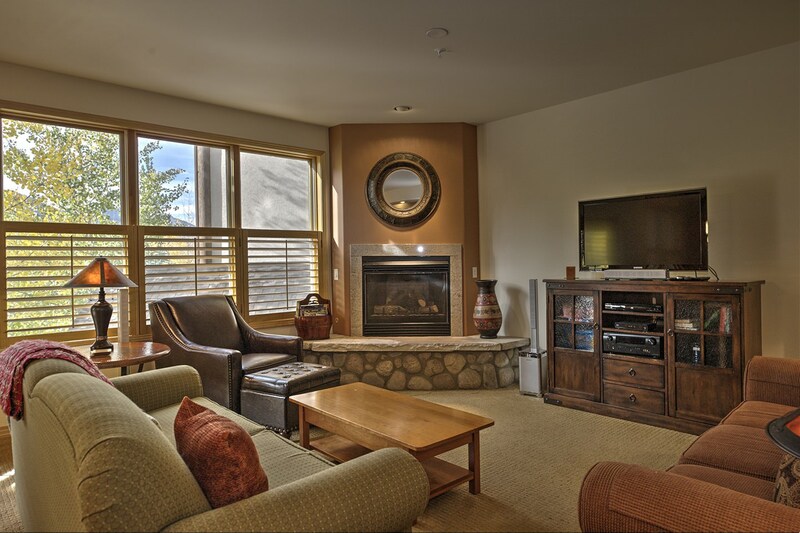 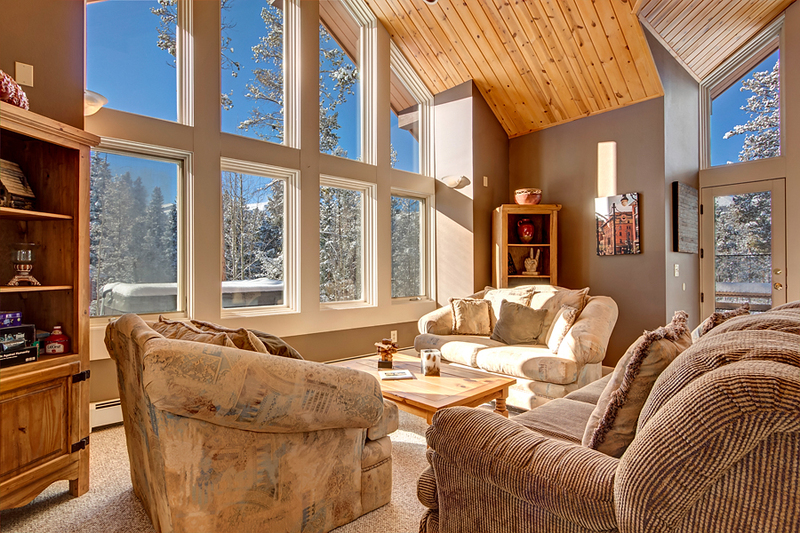 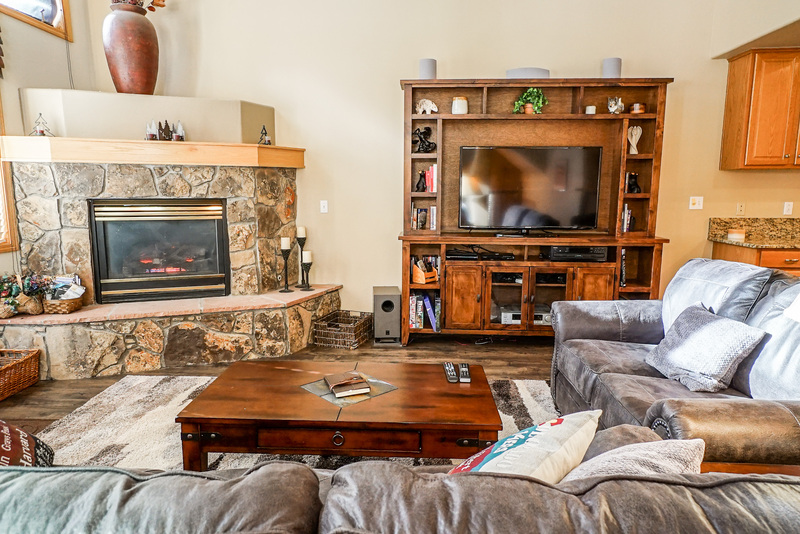 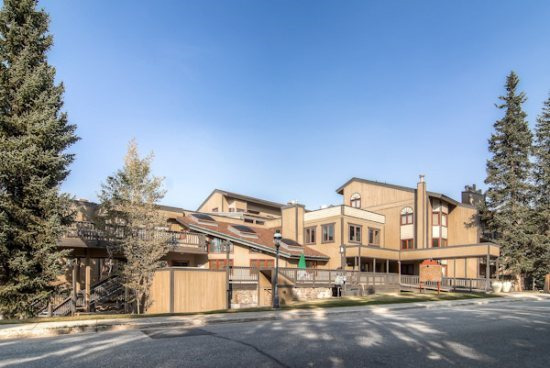 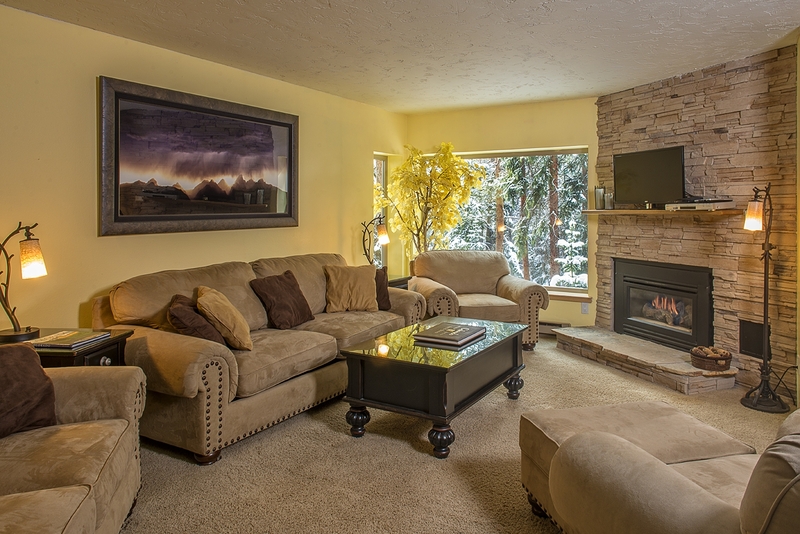 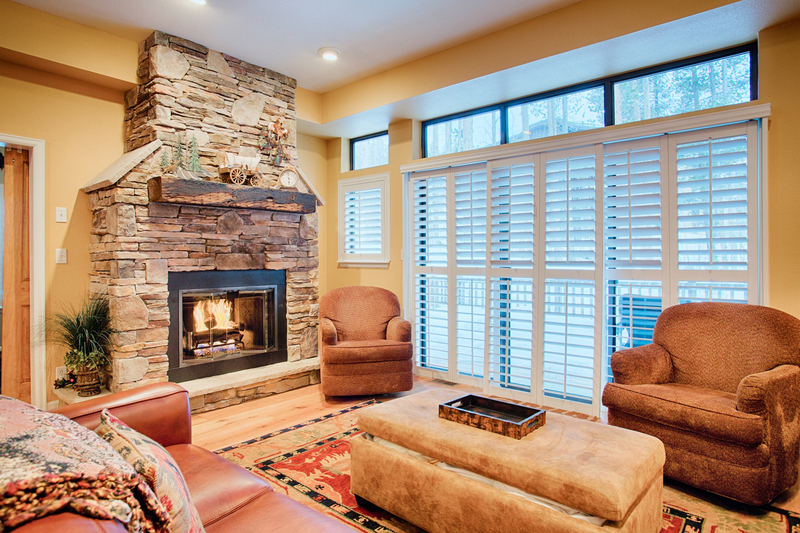 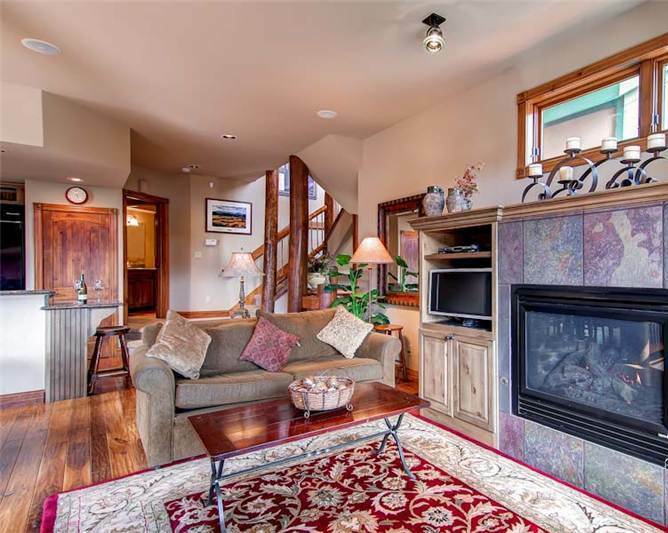 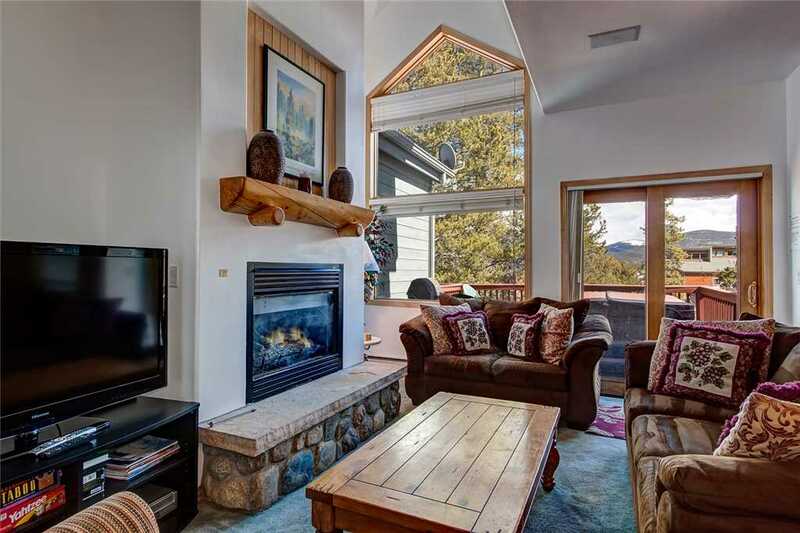 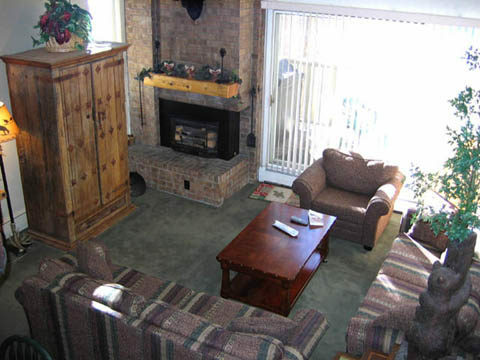 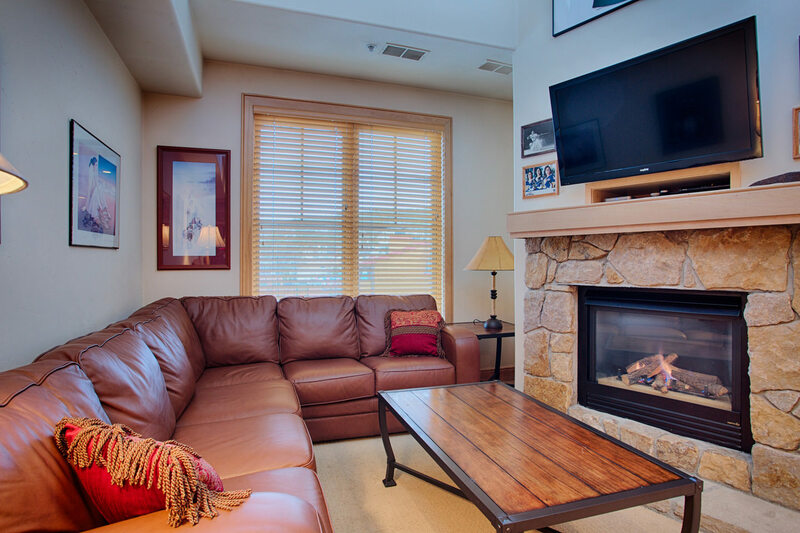 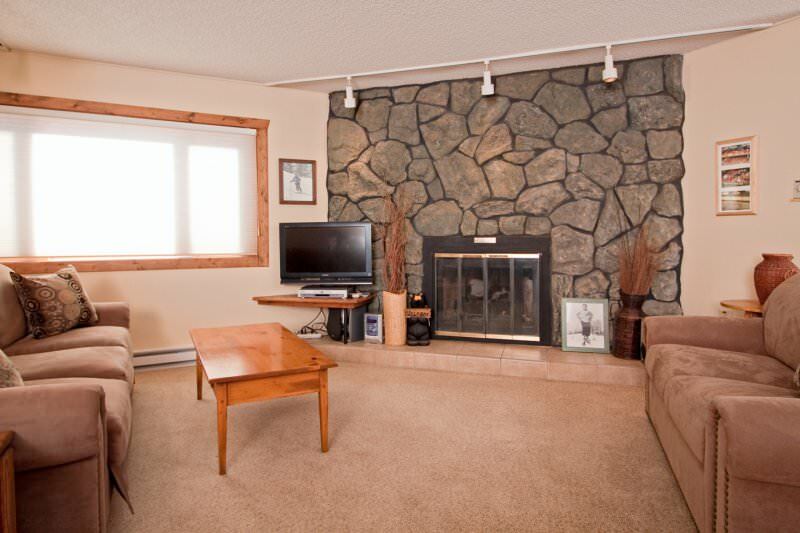 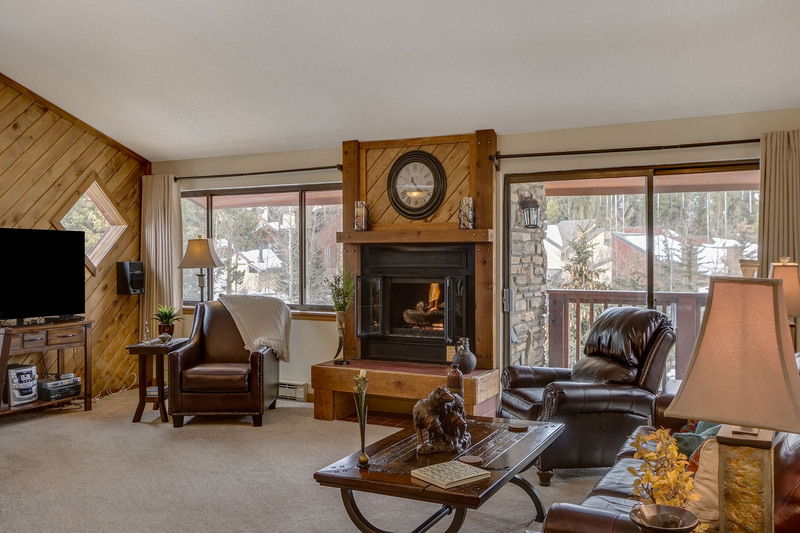 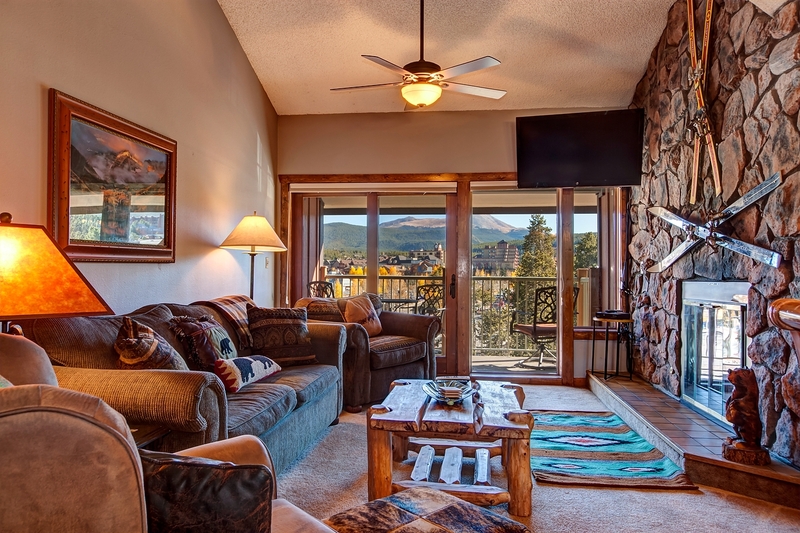 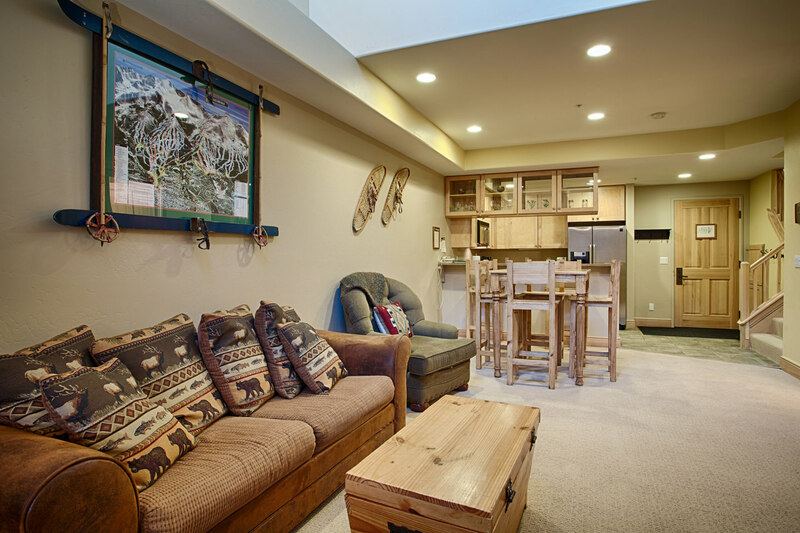 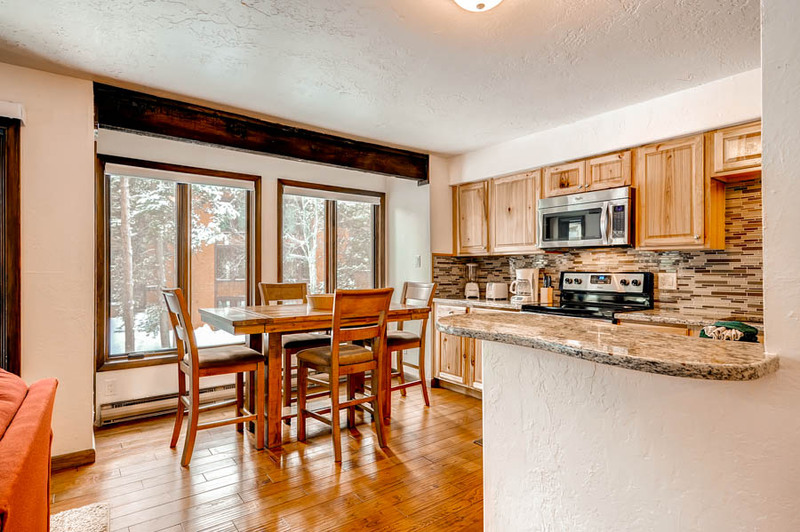 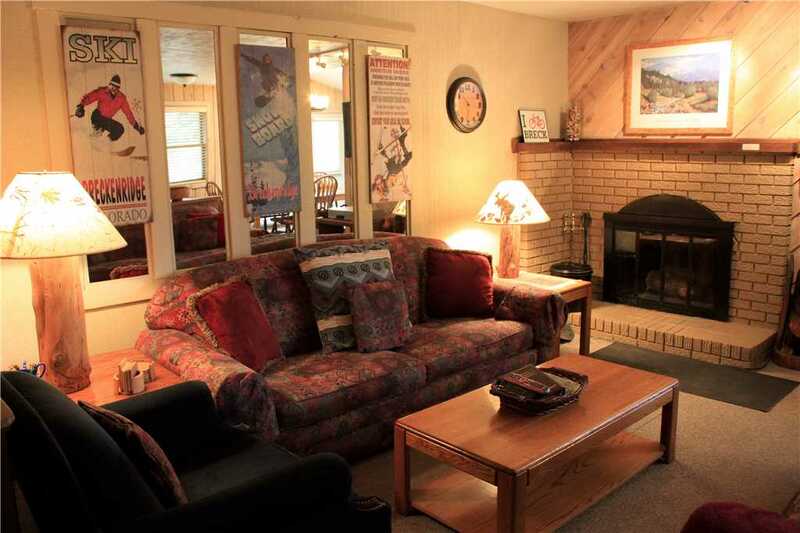 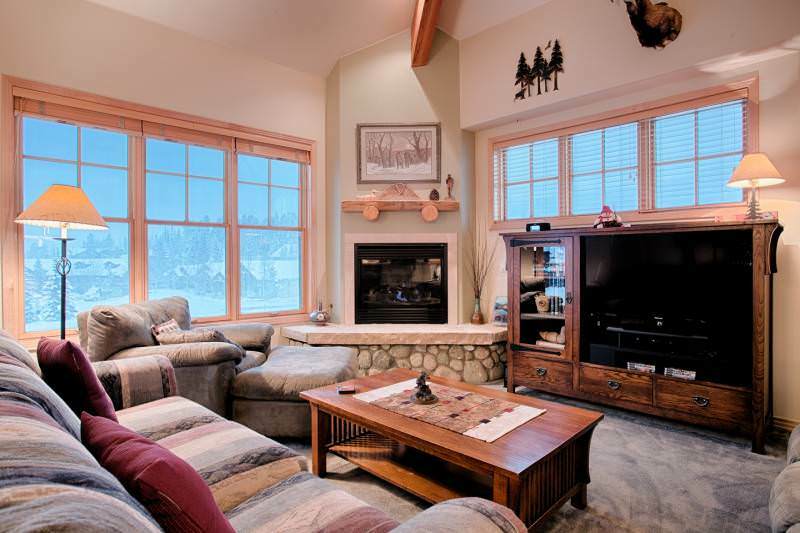 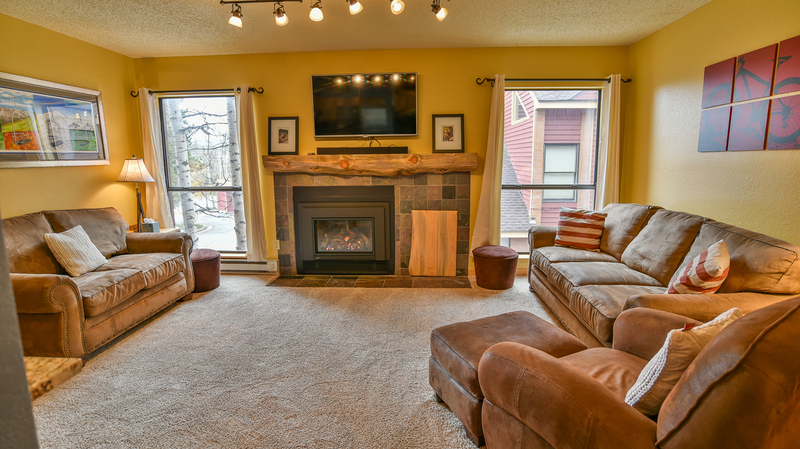 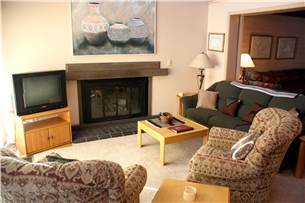 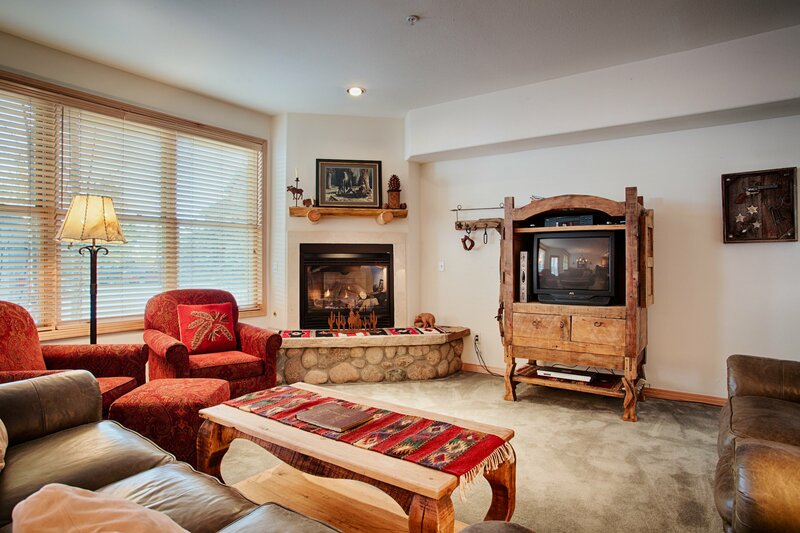 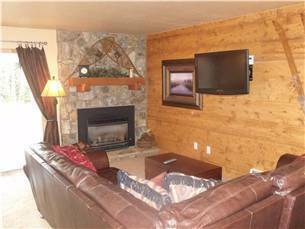 Sawmill Creek offers two indoor common area hot tubs, shared grills on the patio and an excellent location to town and the ski resort. 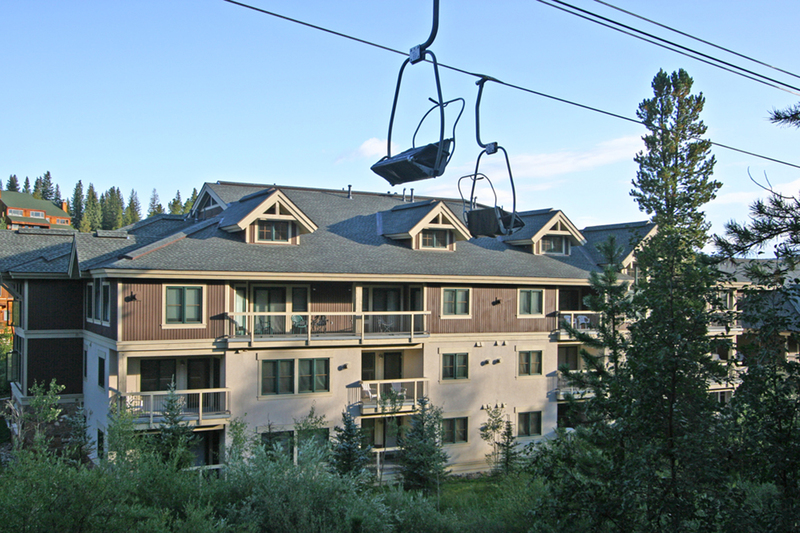 Just 20 yards from the bottom of the Four O’clock run, it is a nice and easy way to get back after a day on the mountain. 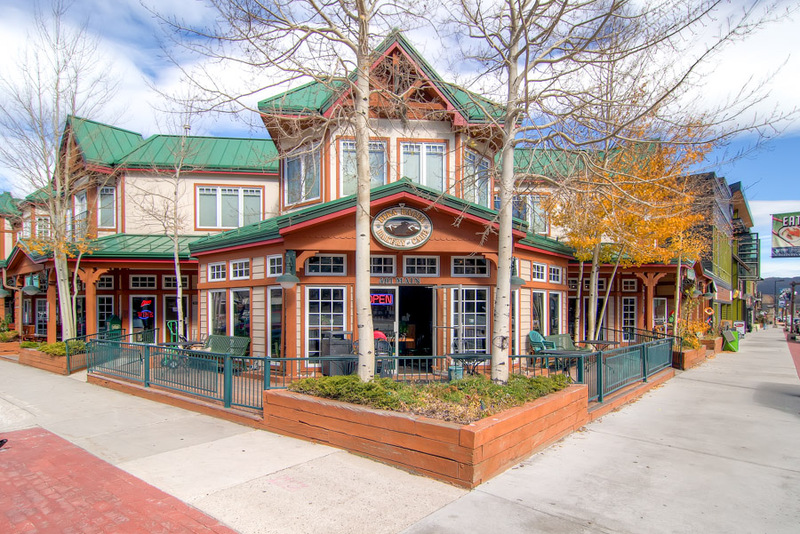 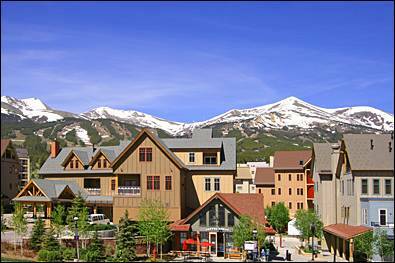 After relaxing in the hot tubs, take the walk to downtown historic Main Street and visit our numerous shops and restaurants, just a block away.